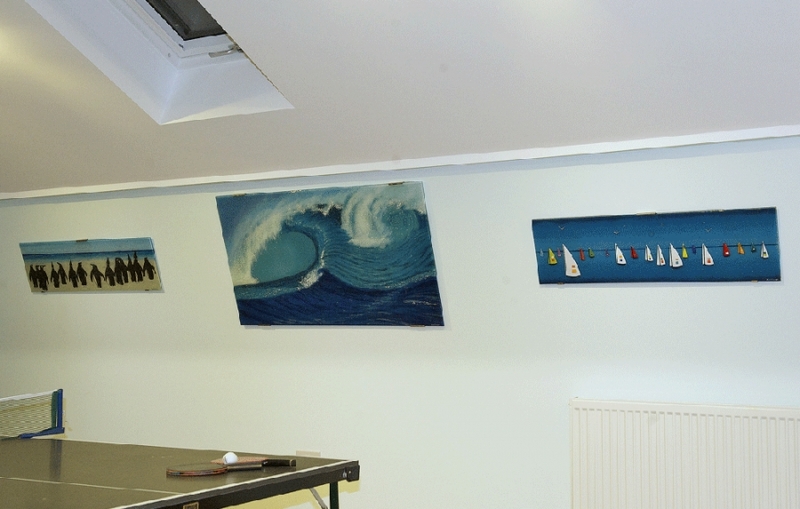 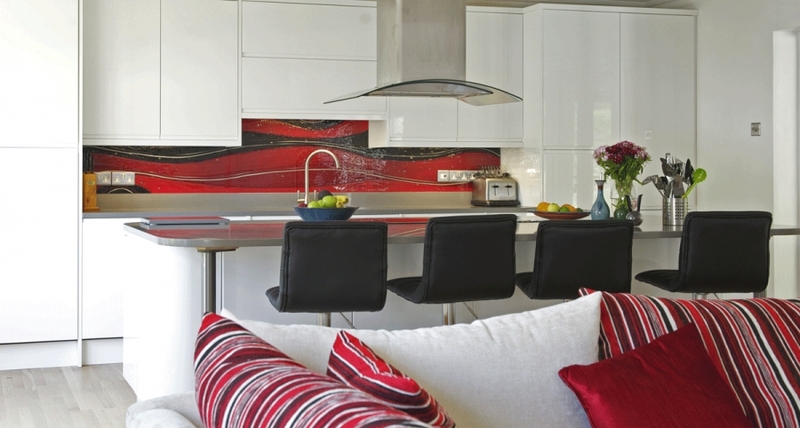 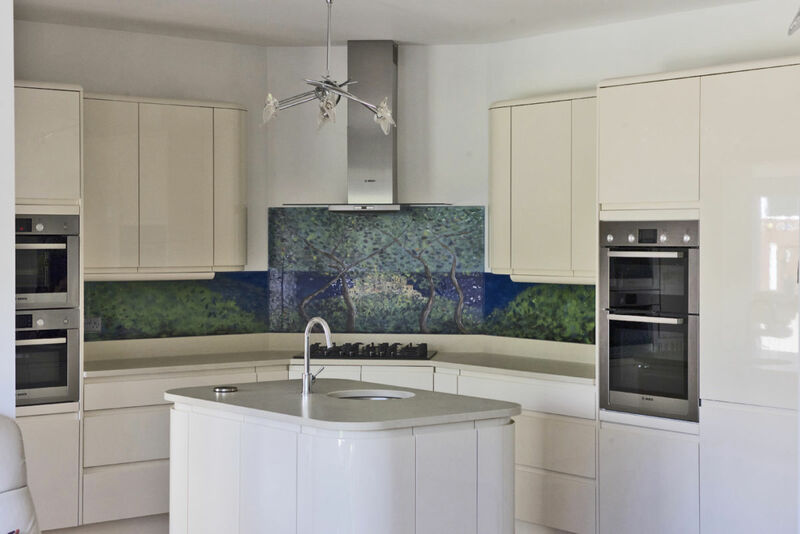 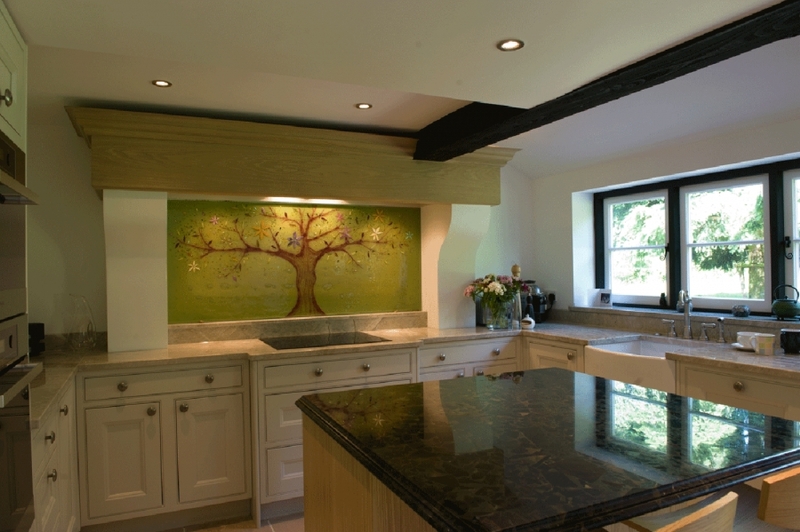 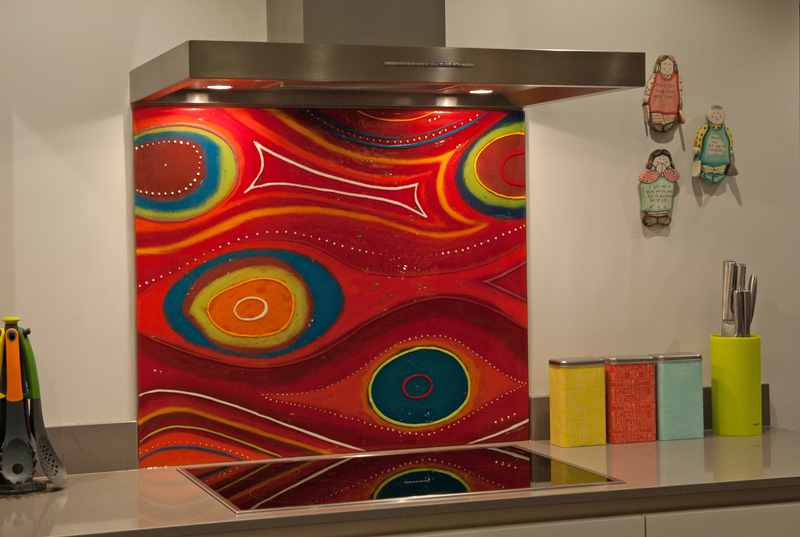 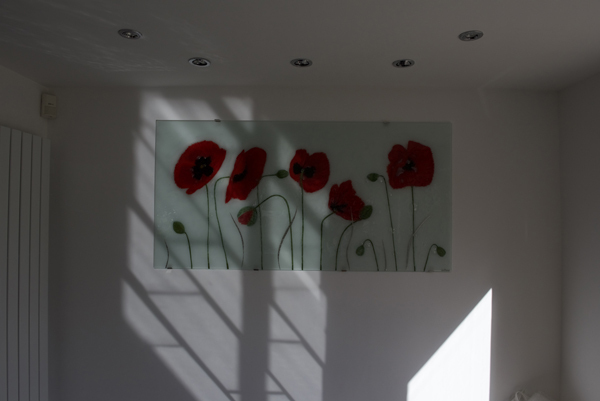 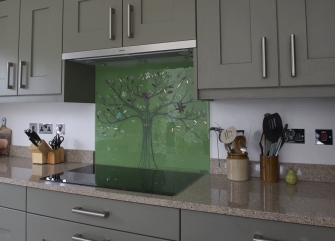 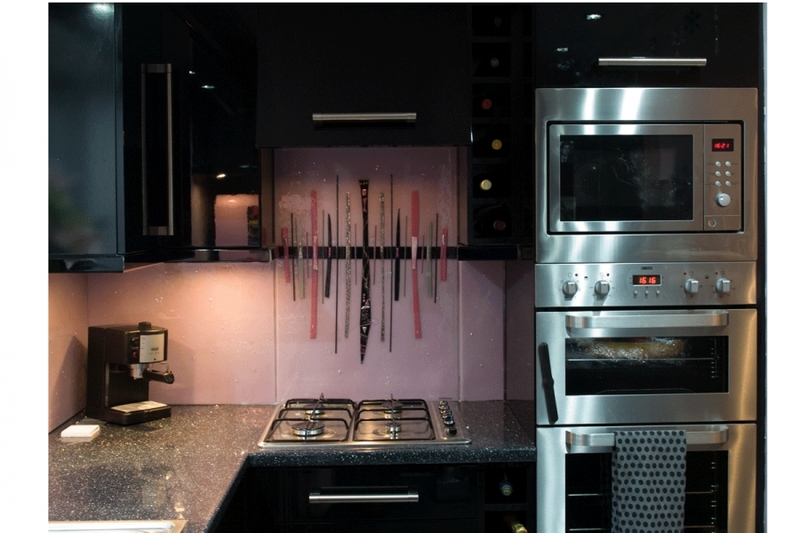 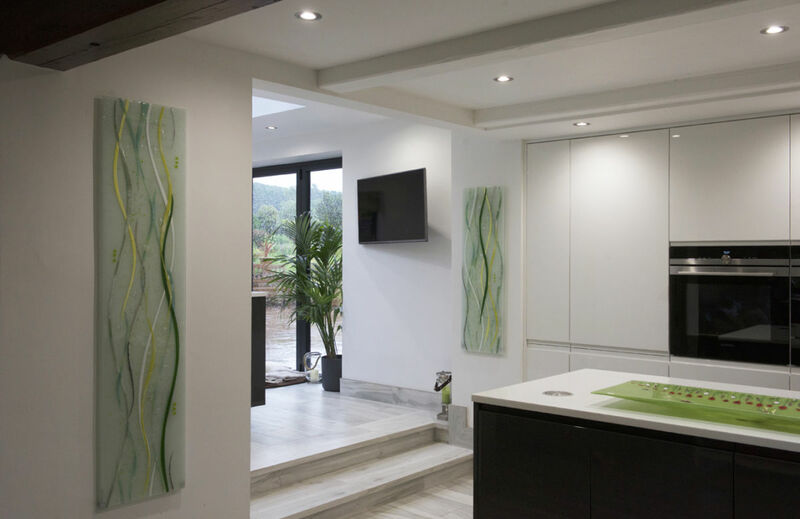 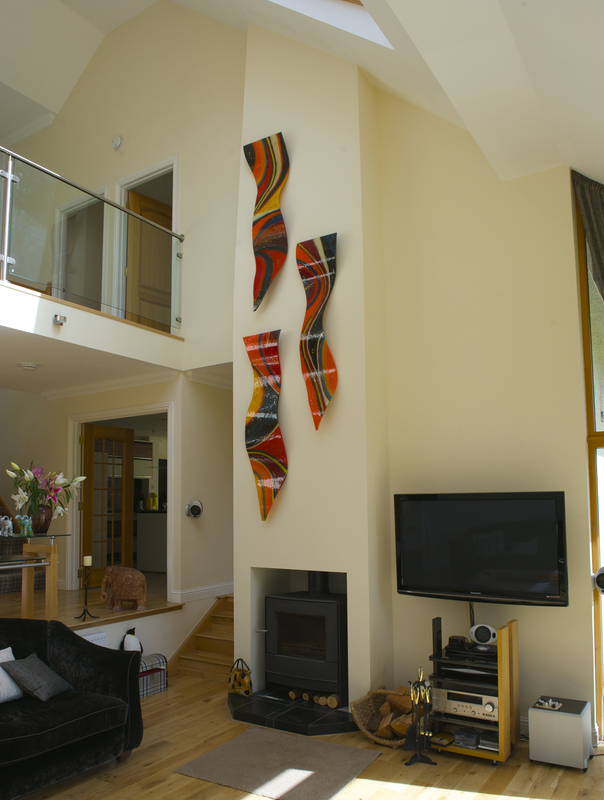 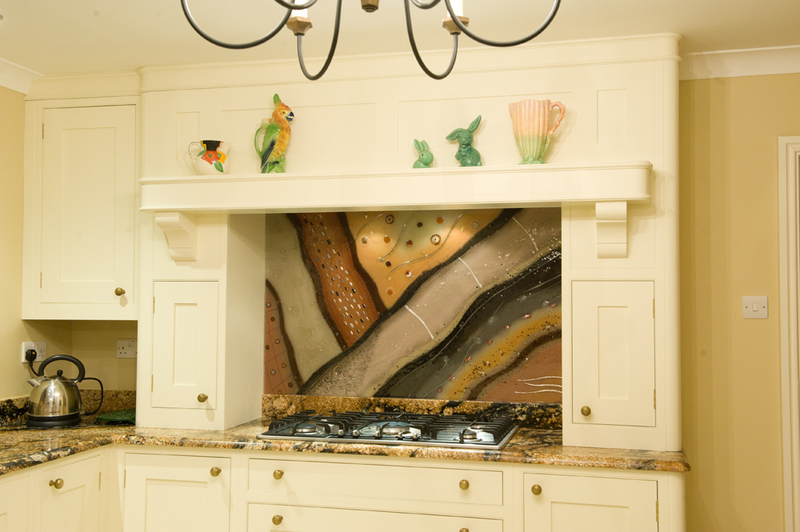 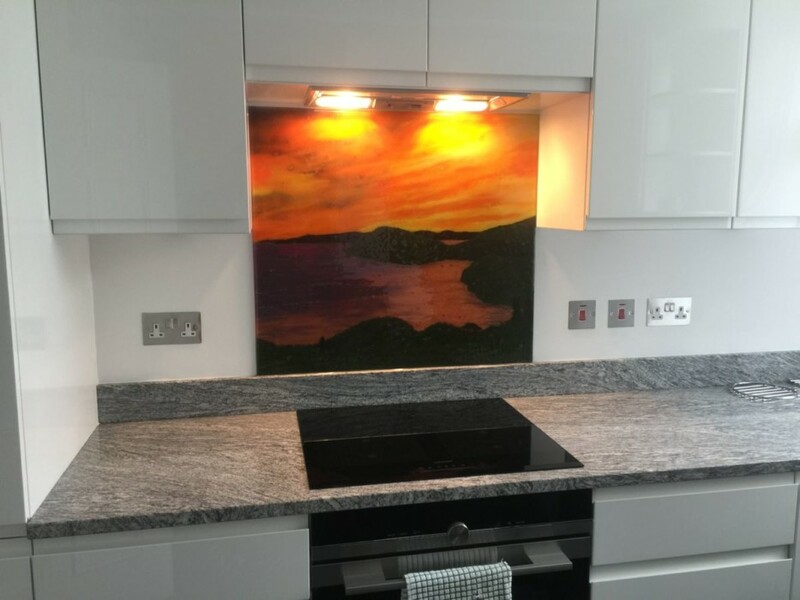 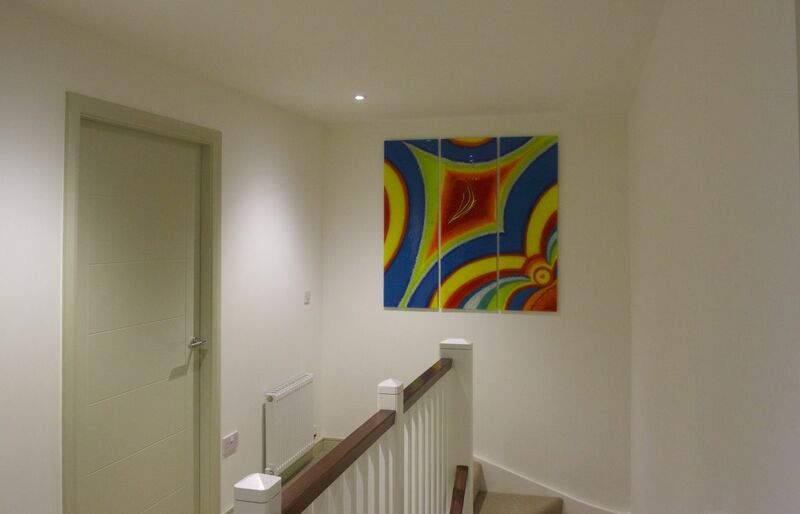 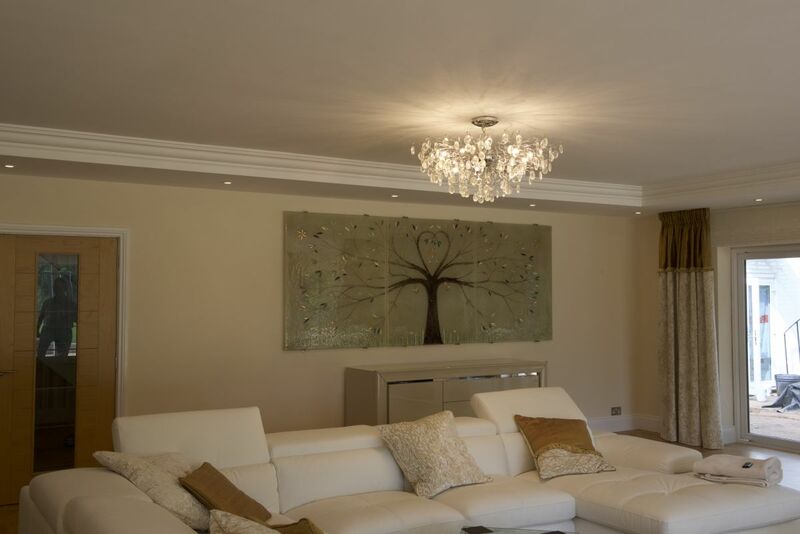 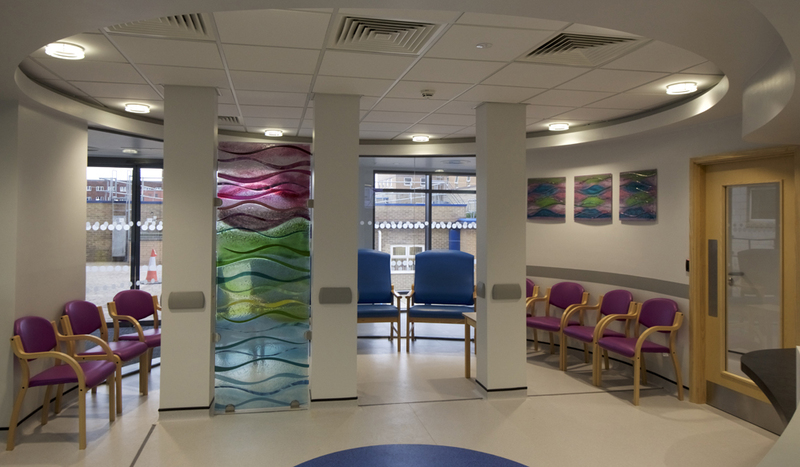 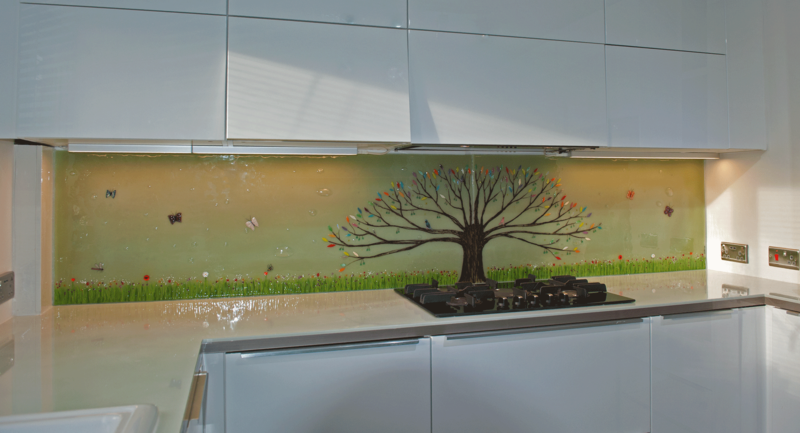 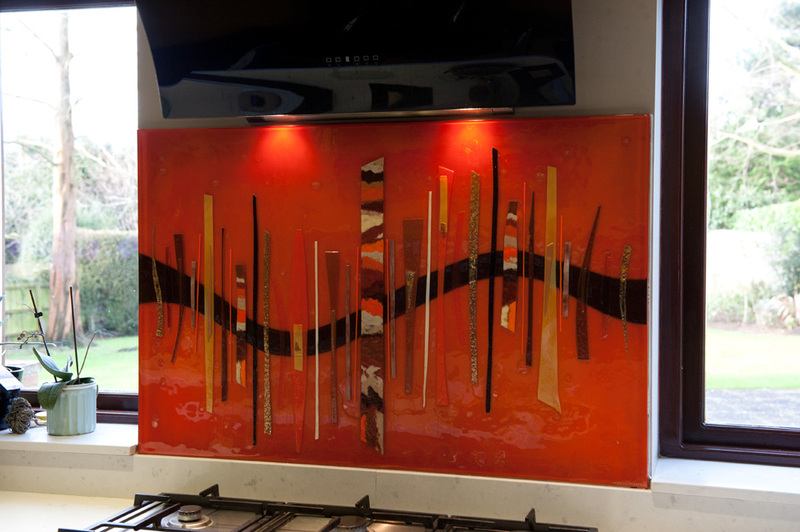 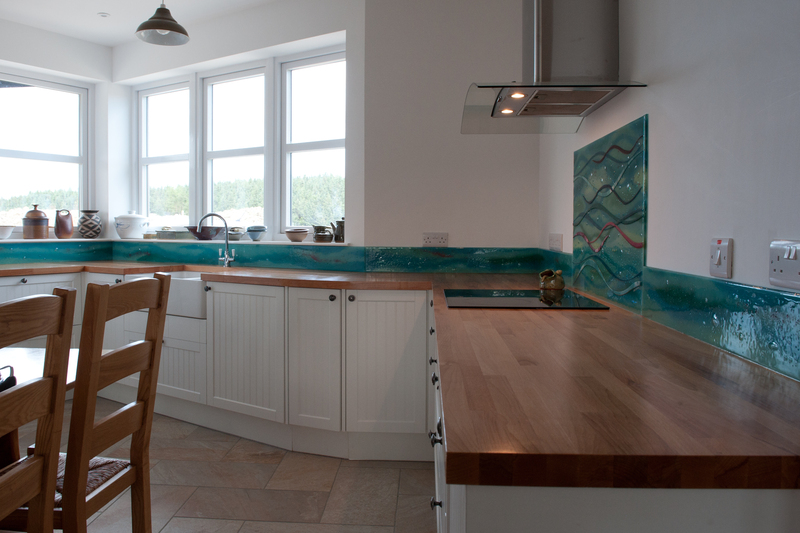 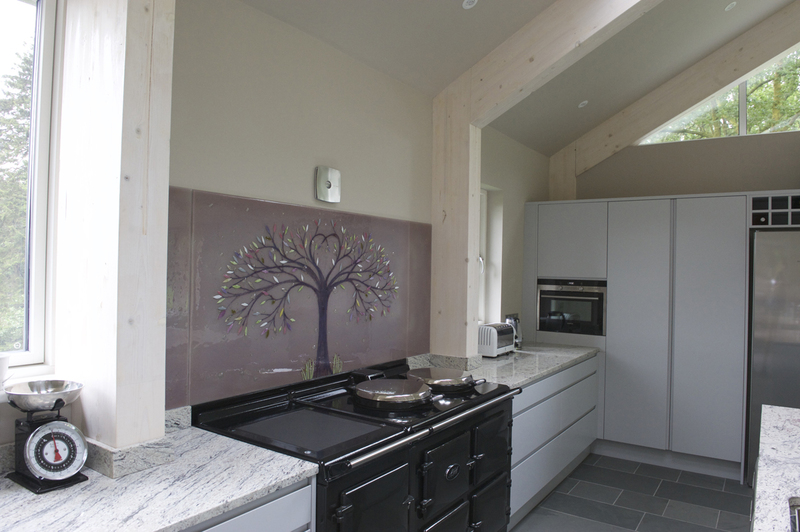 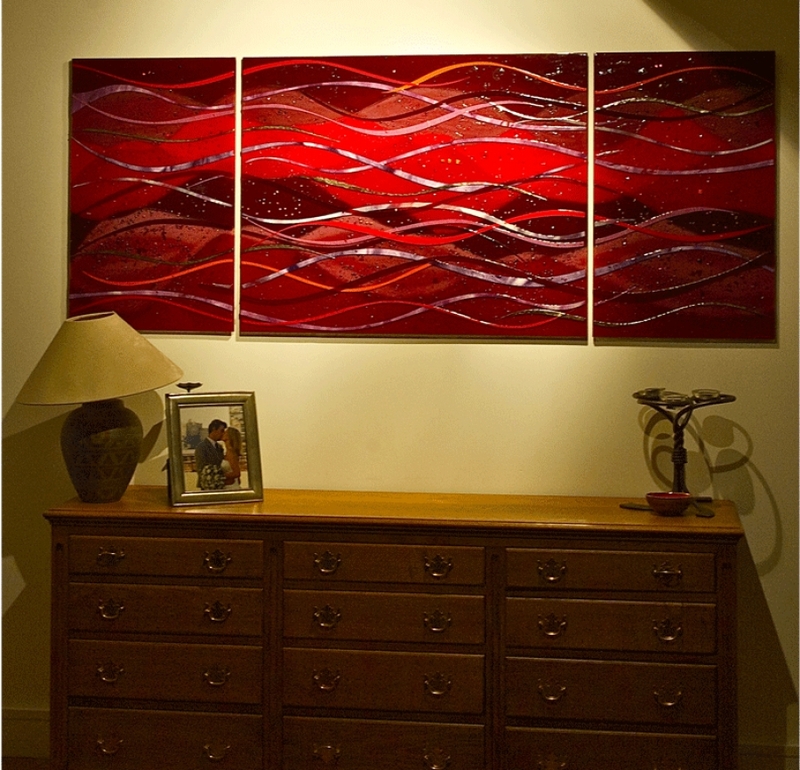 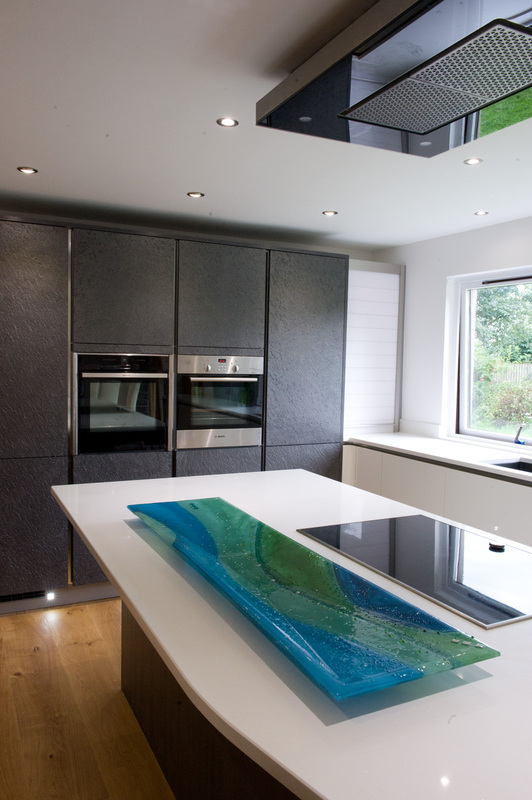 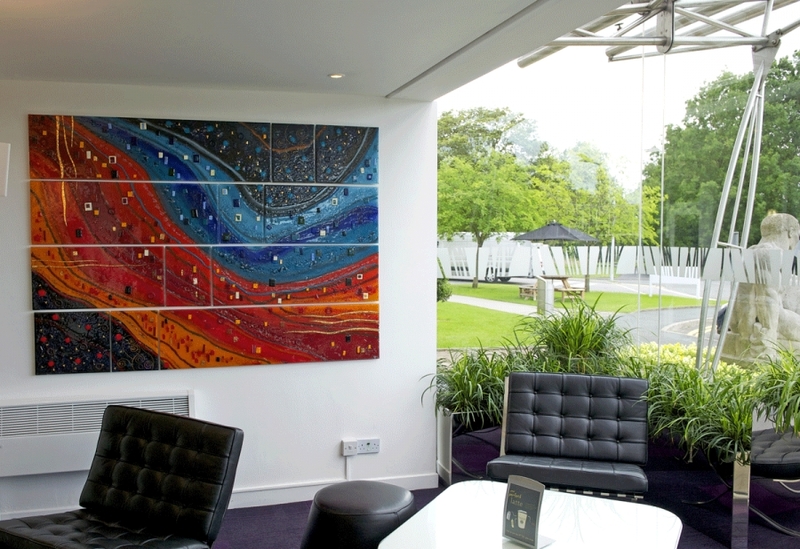 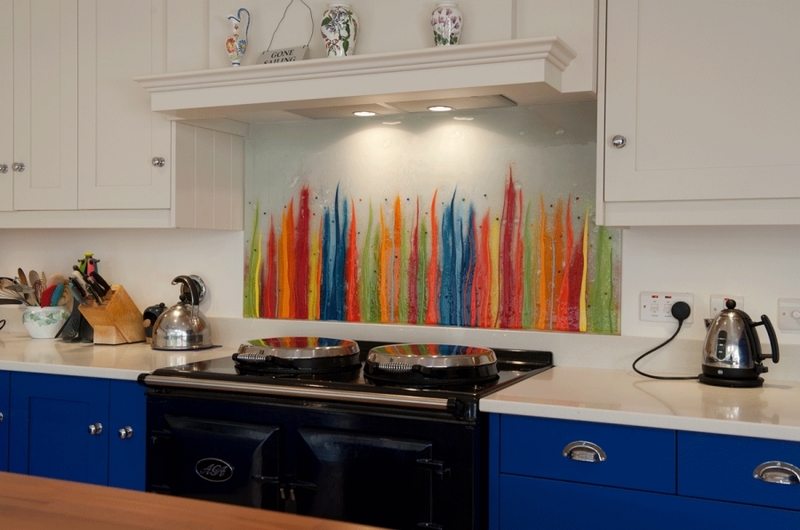 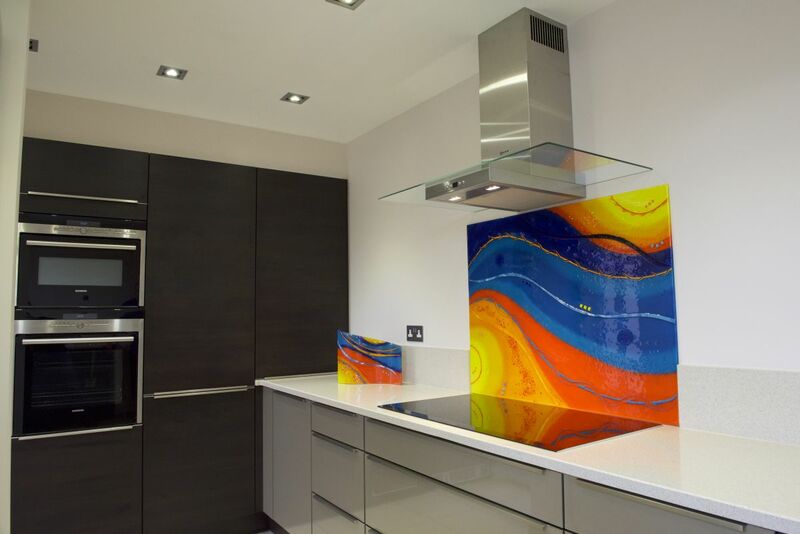 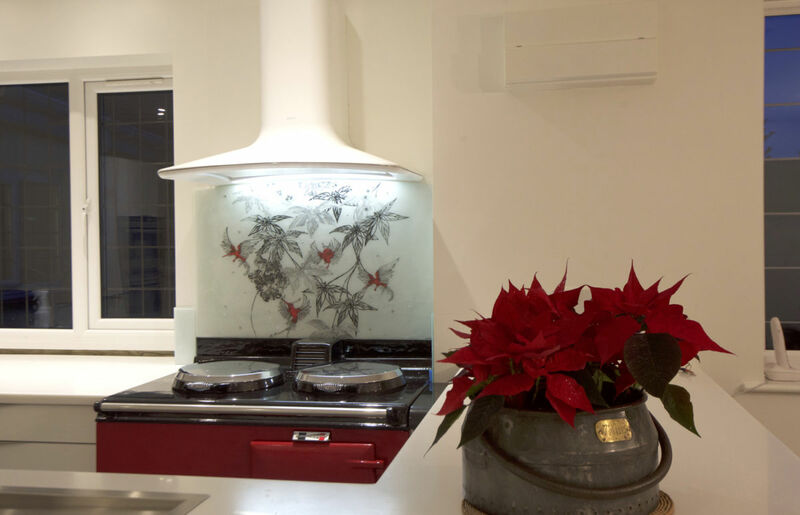 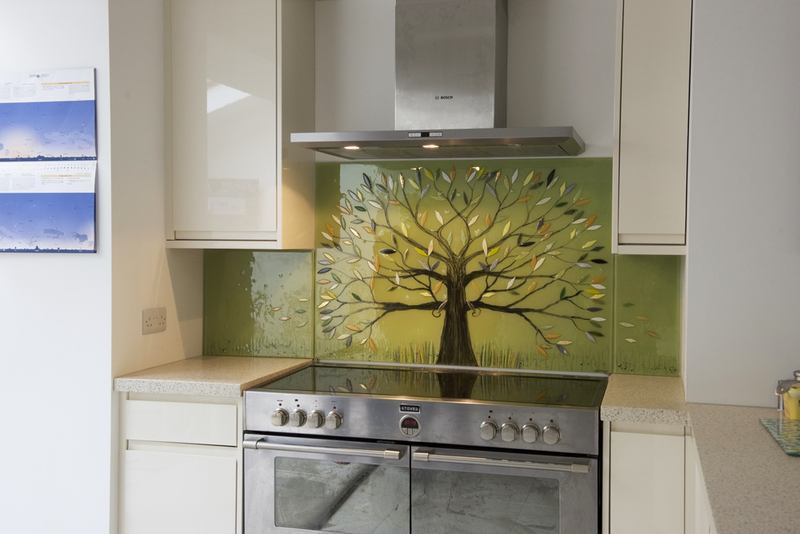 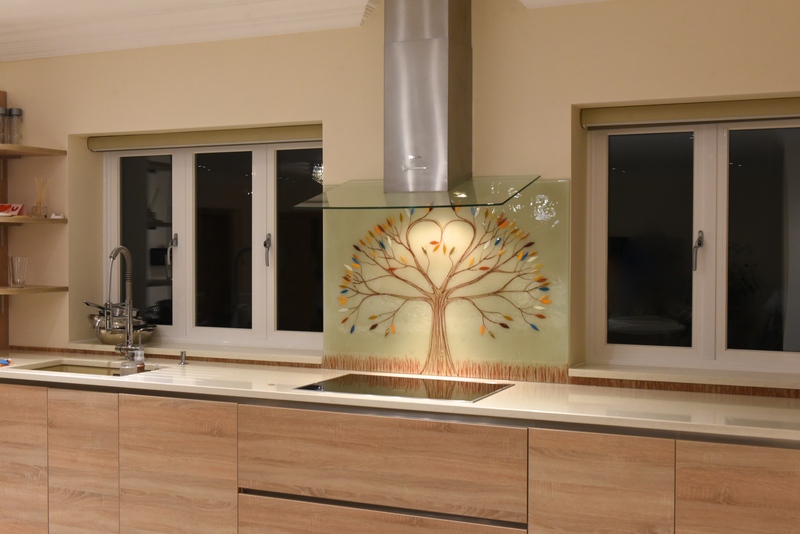 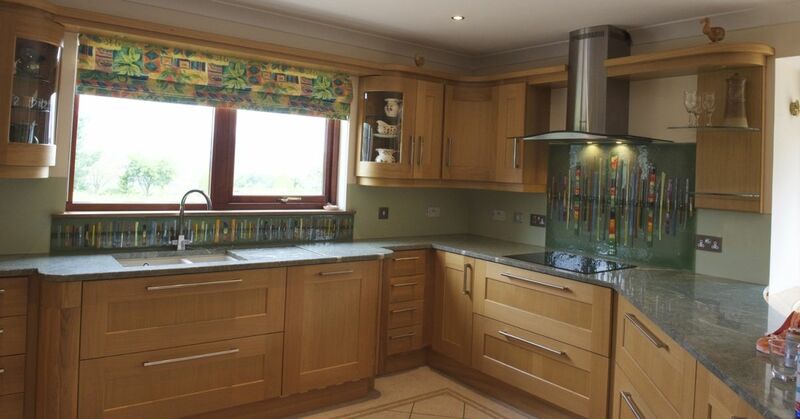 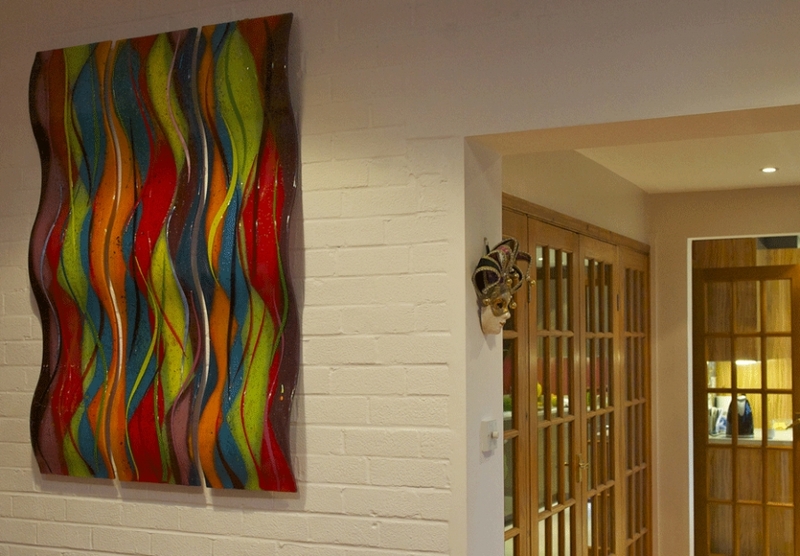 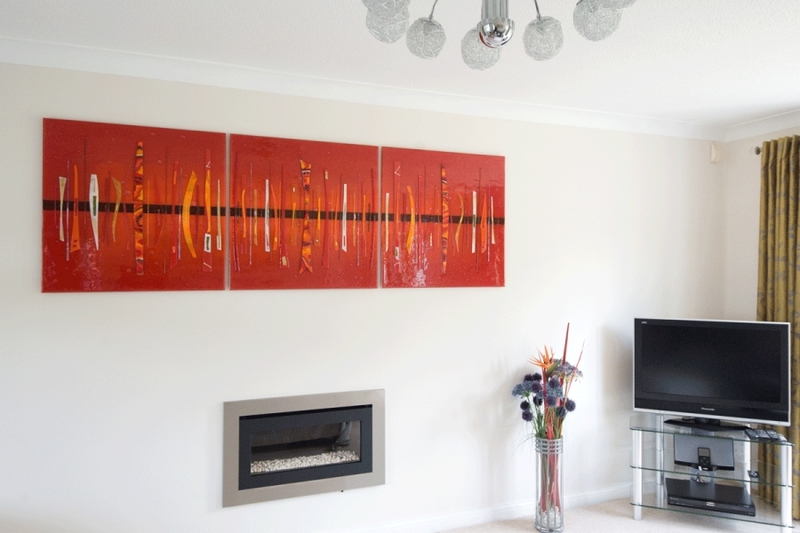 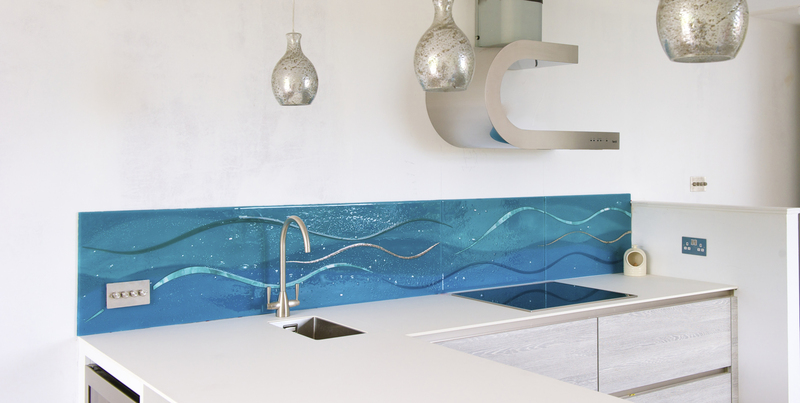 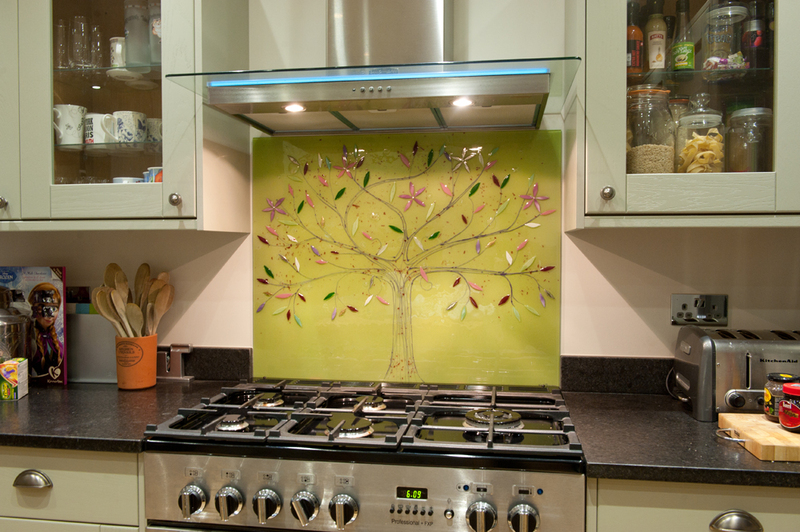 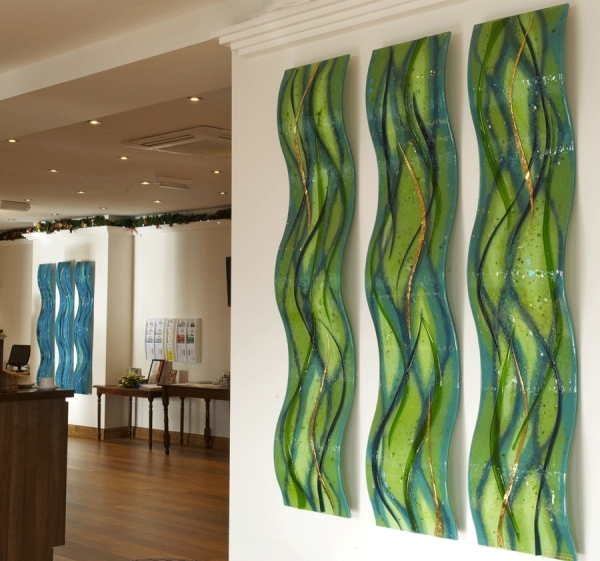 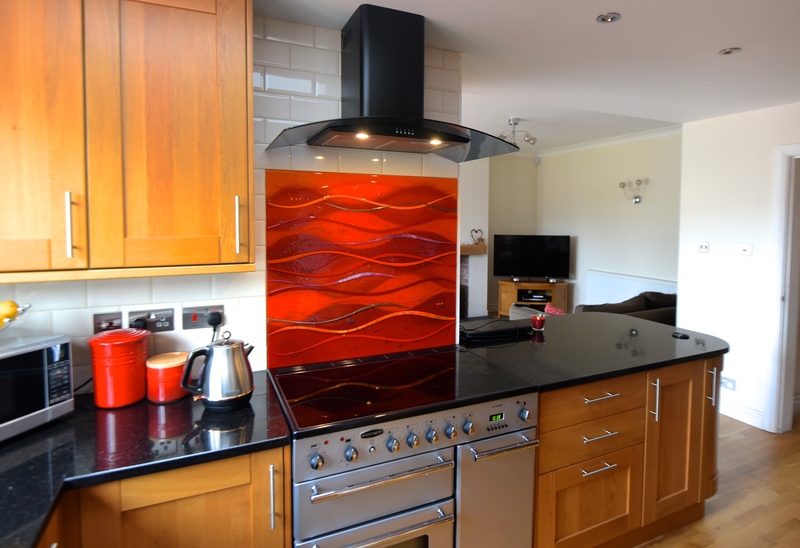 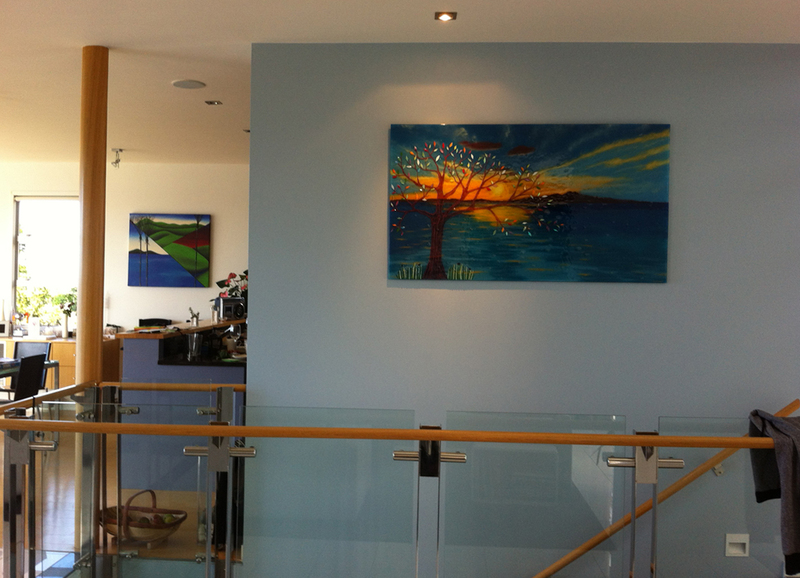 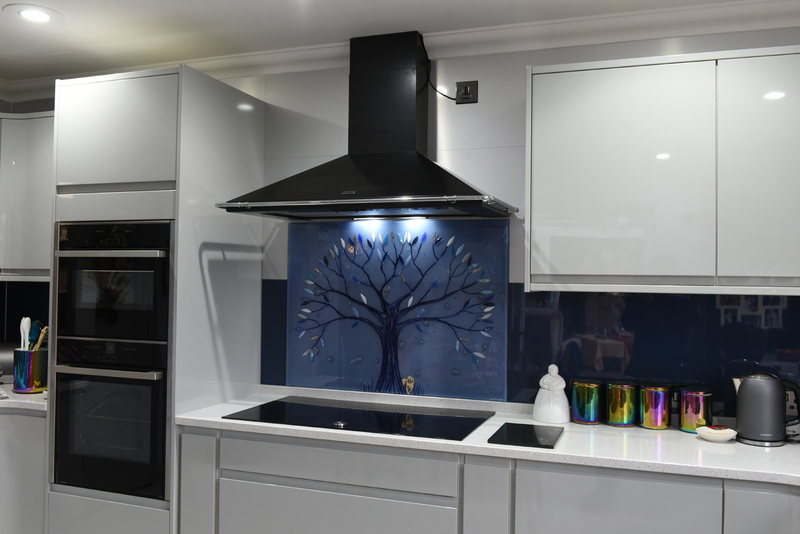 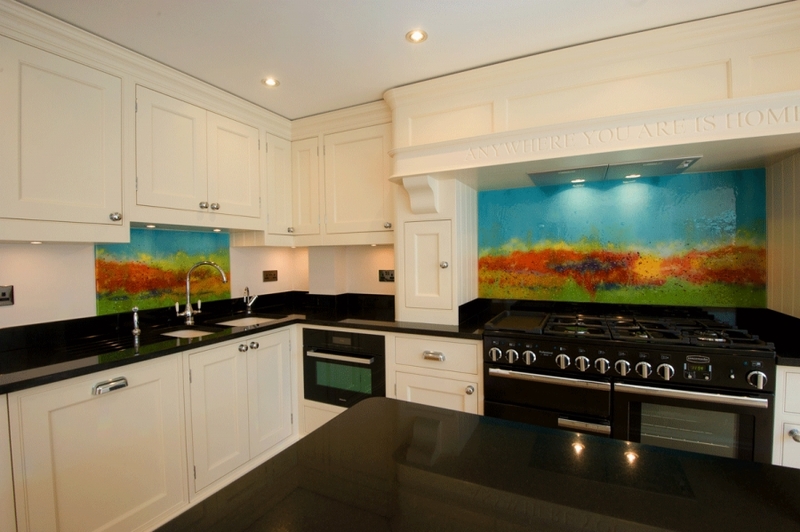 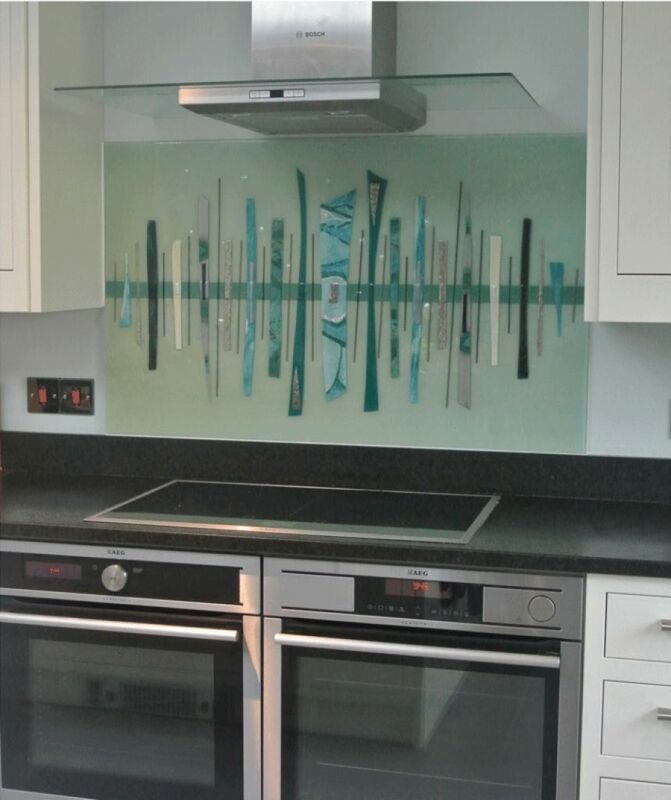 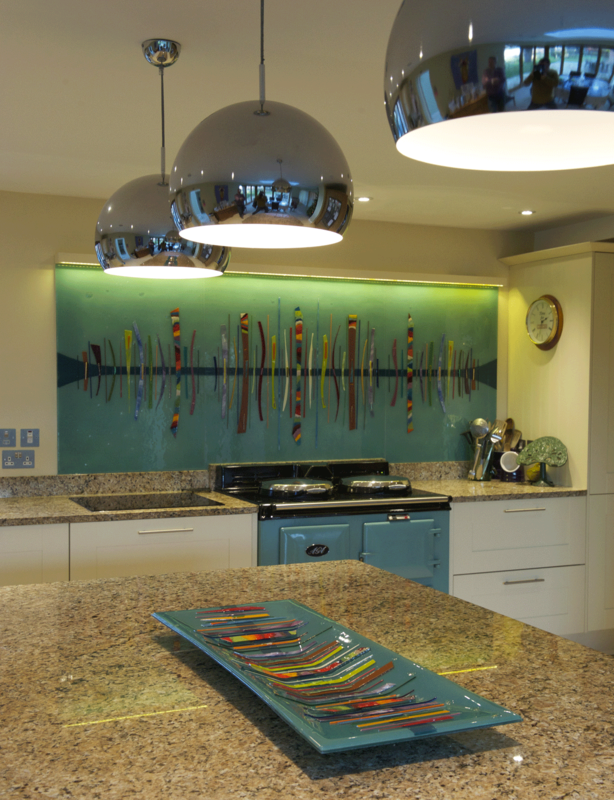 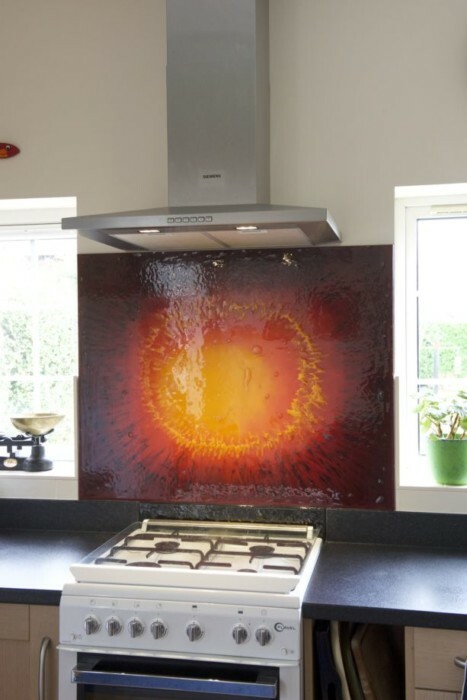 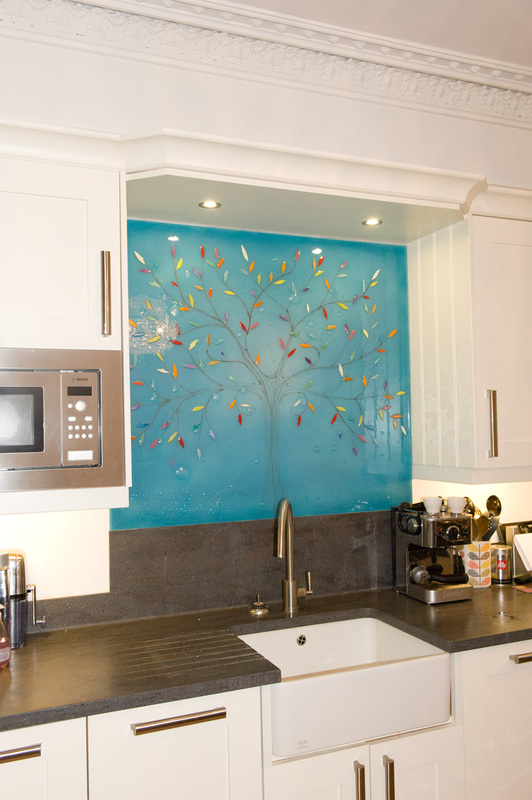 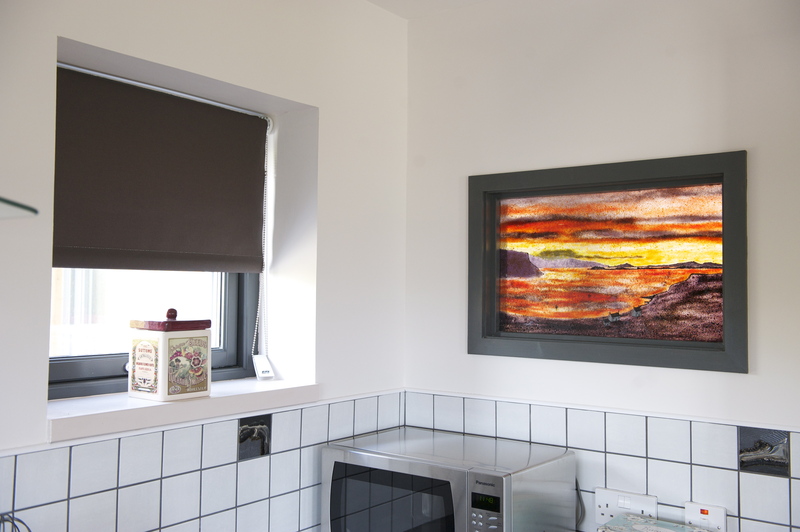 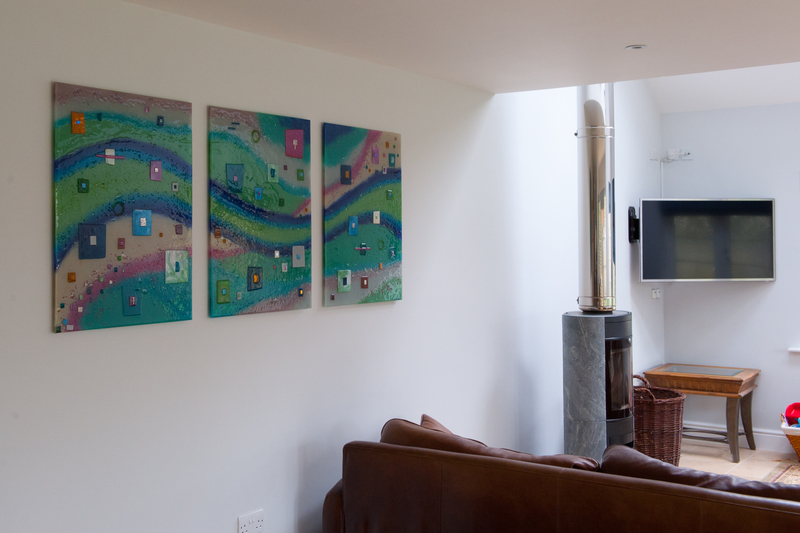 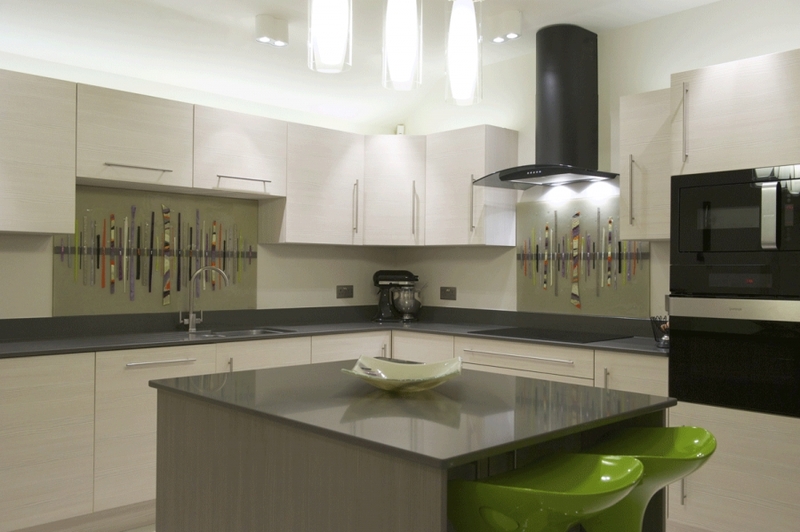 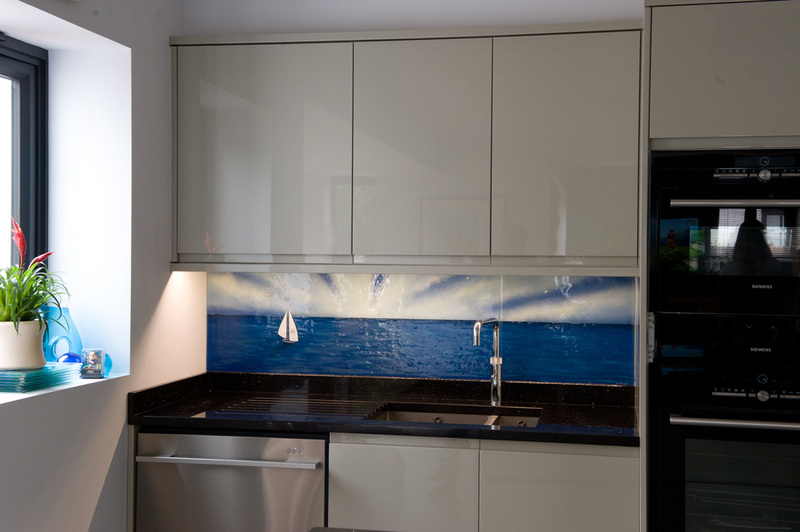 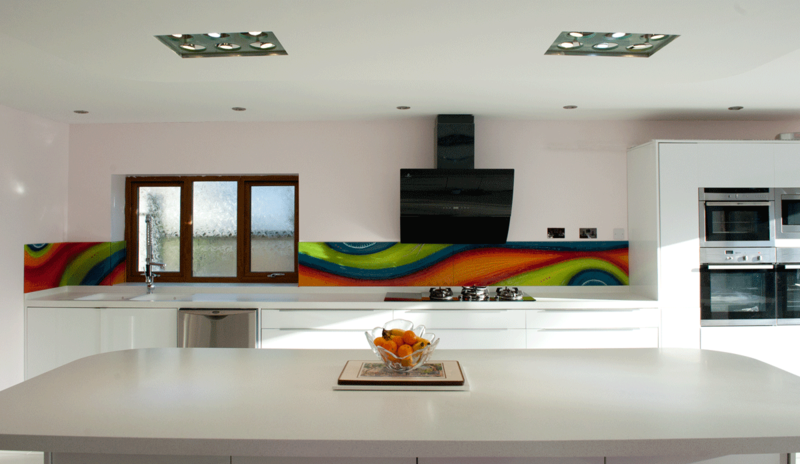 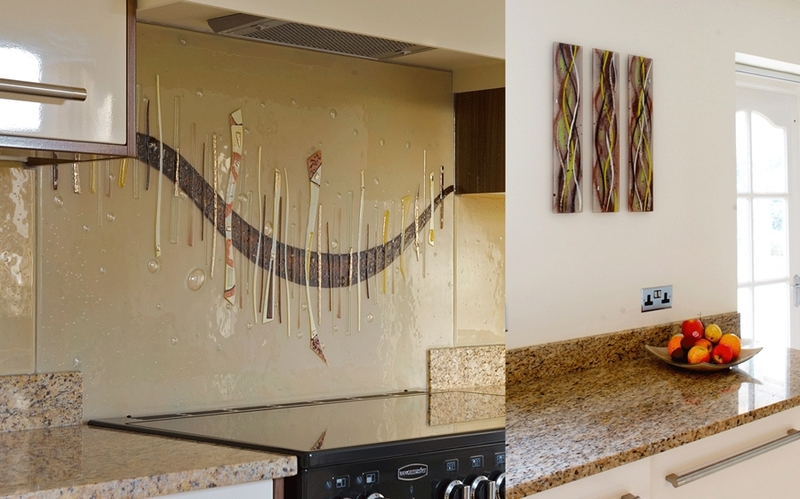 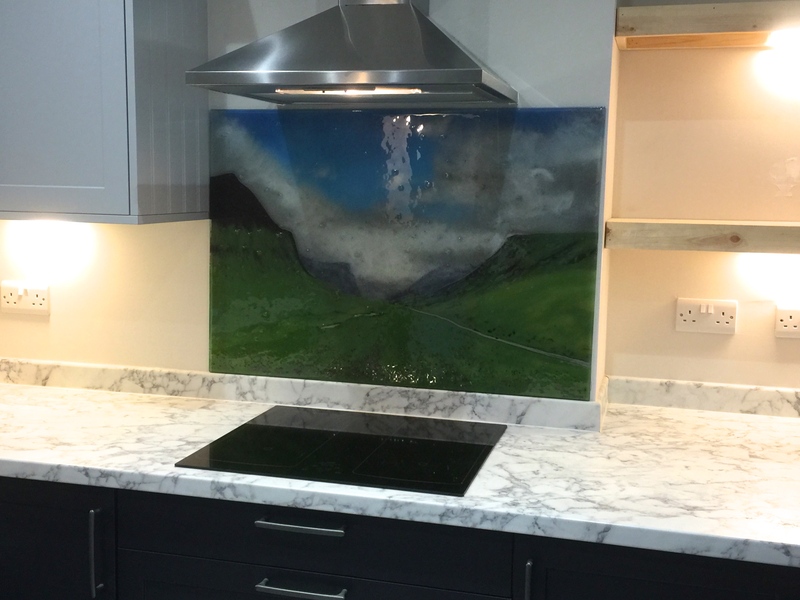 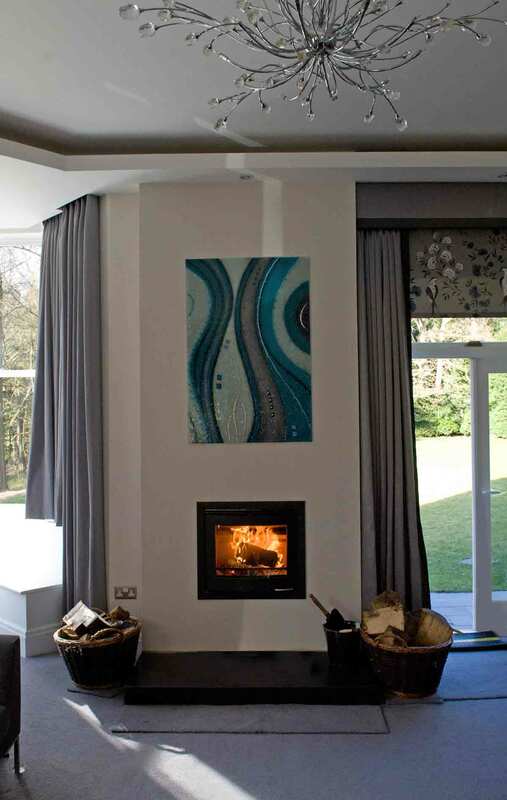 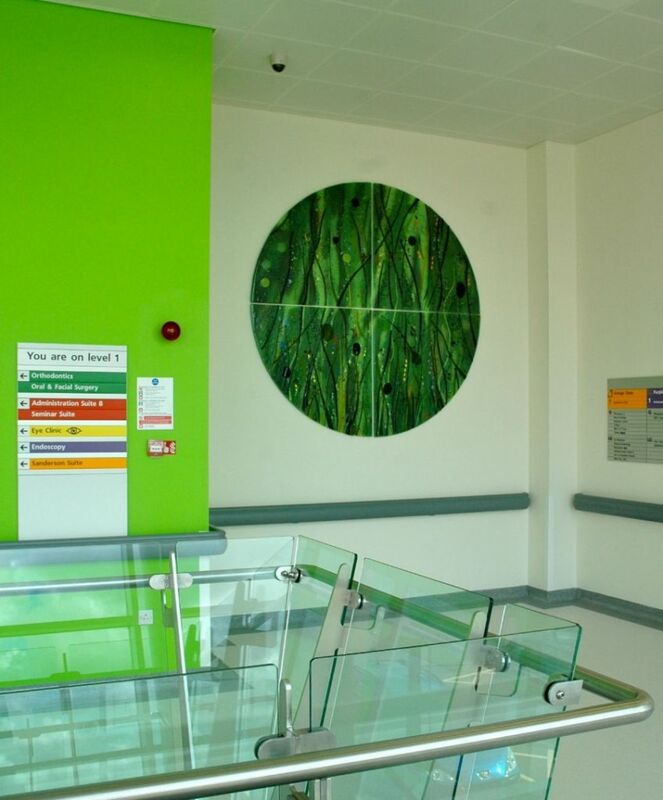 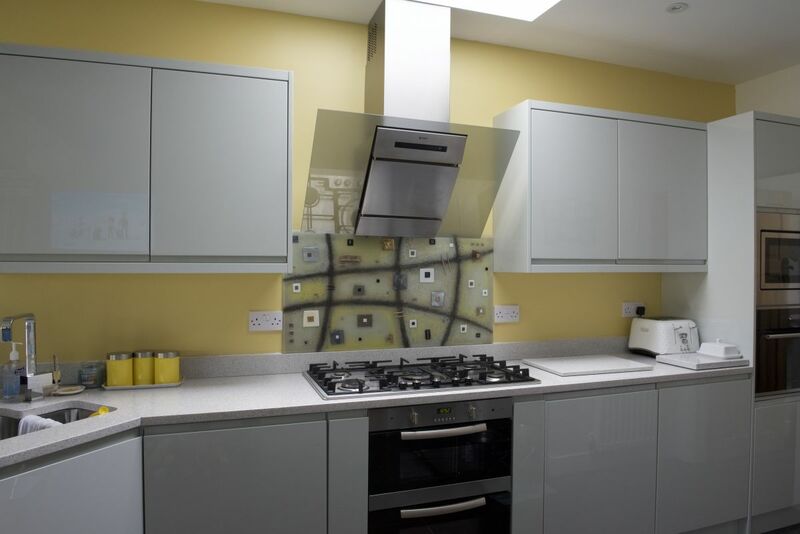 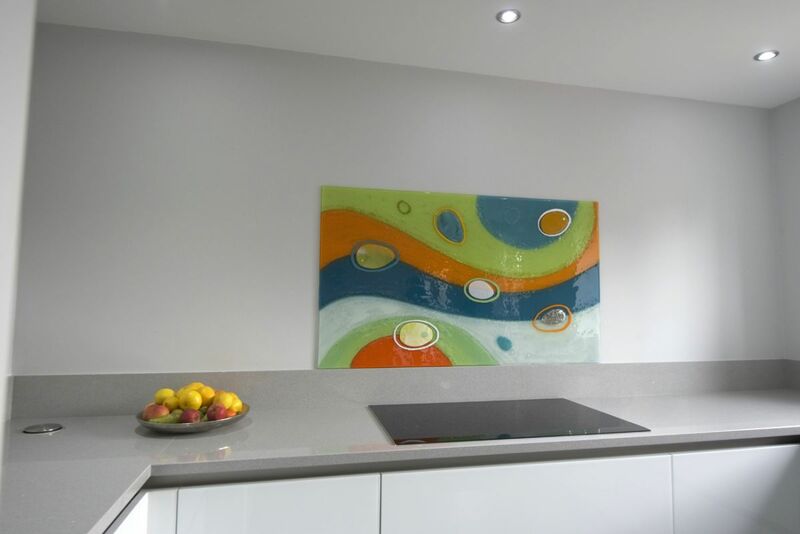 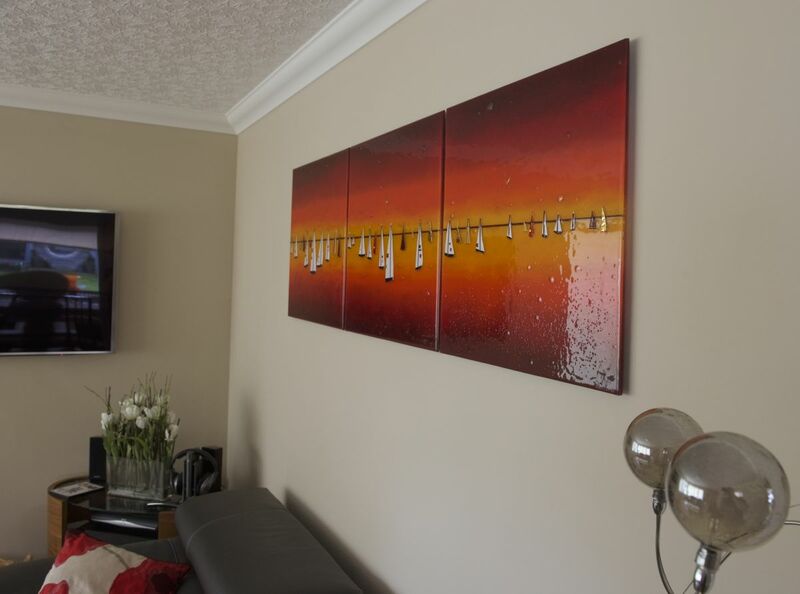 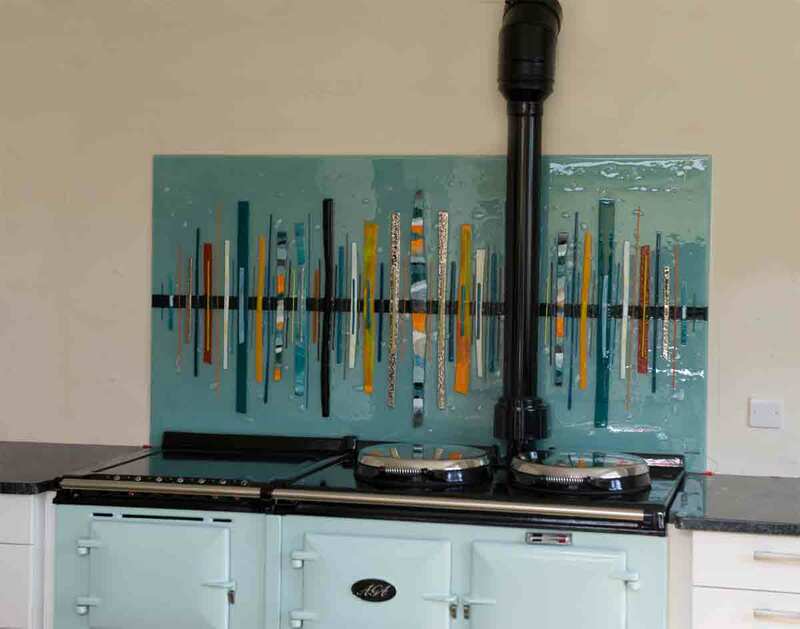 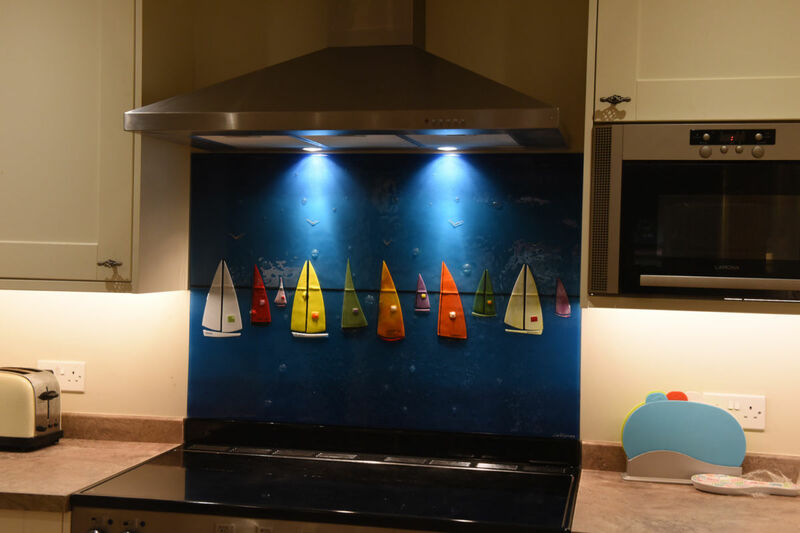 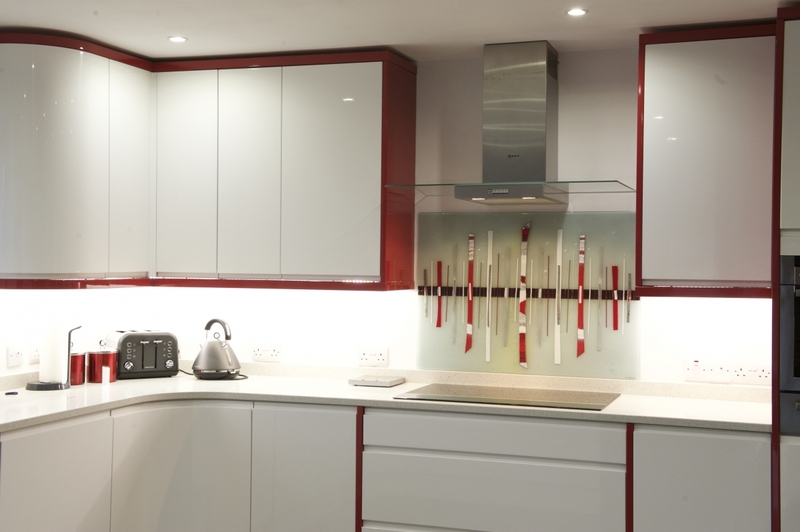 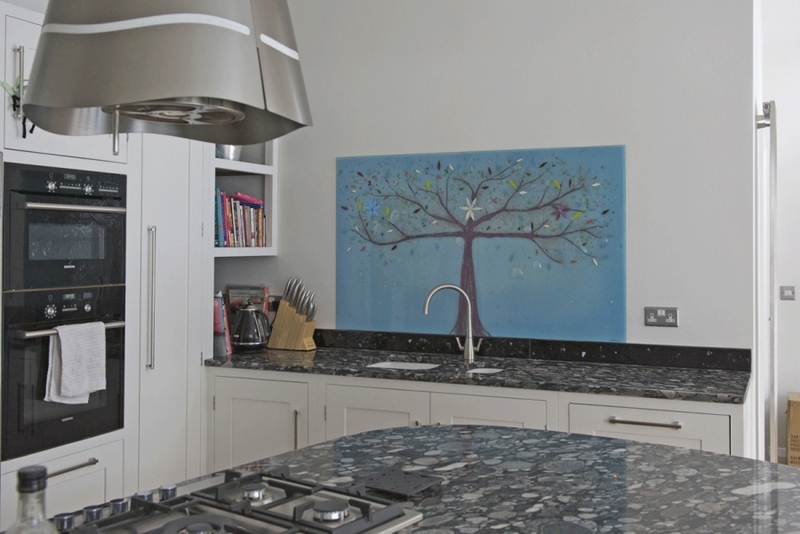 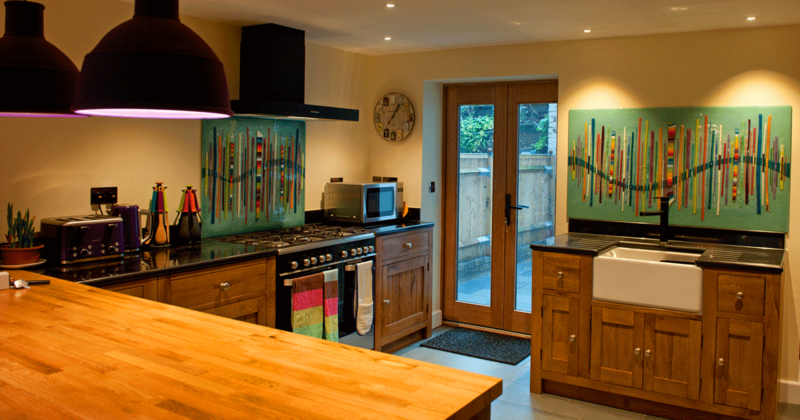 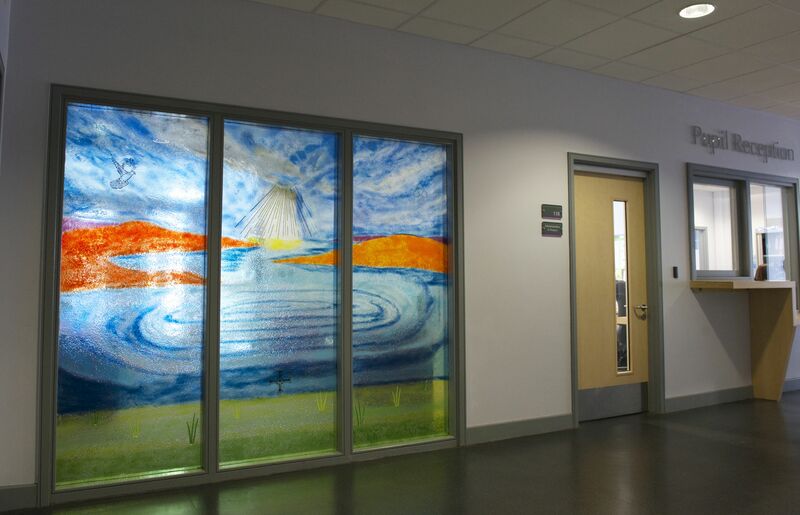 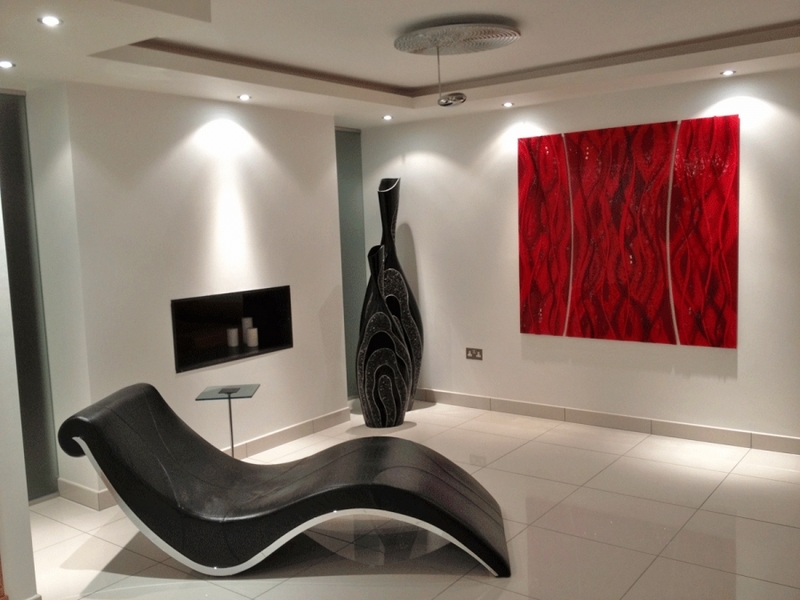 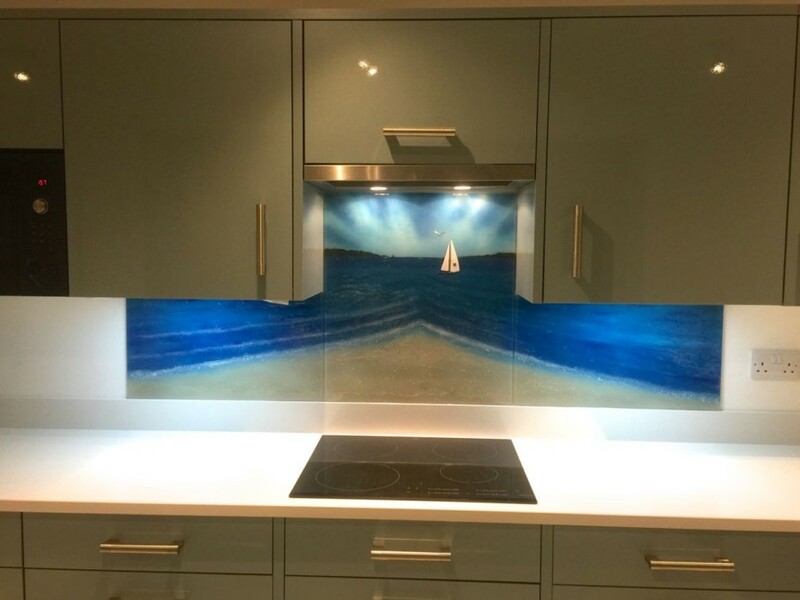 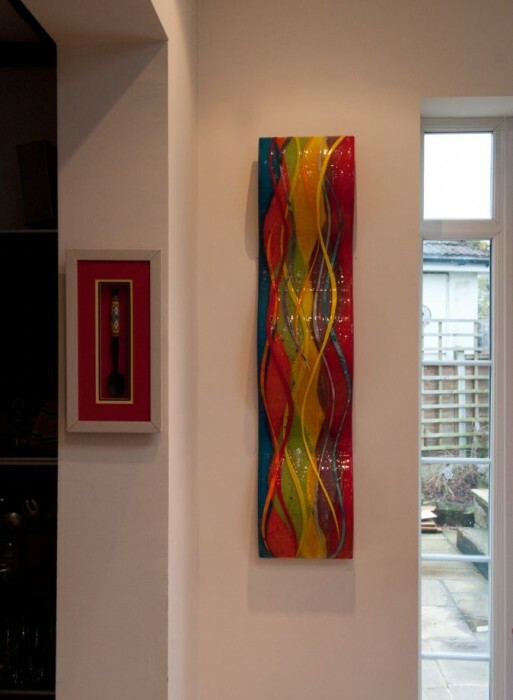 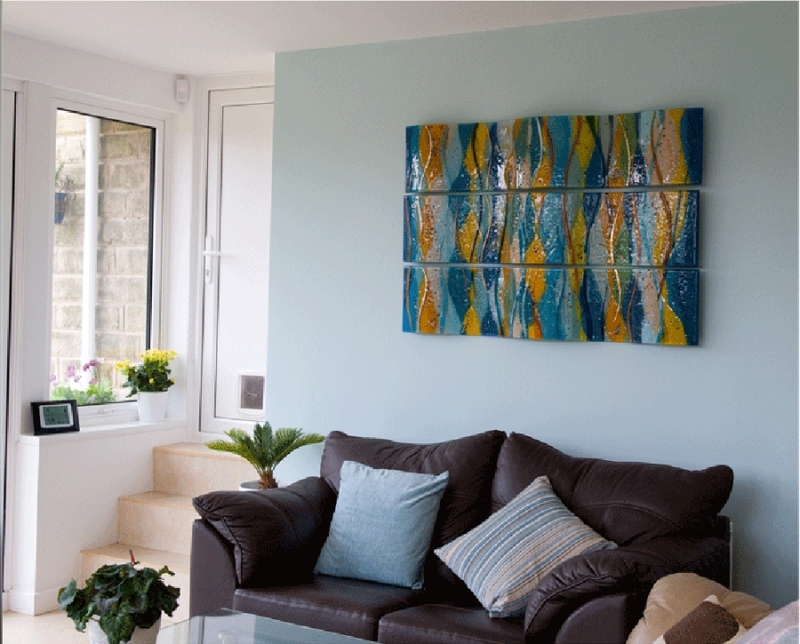 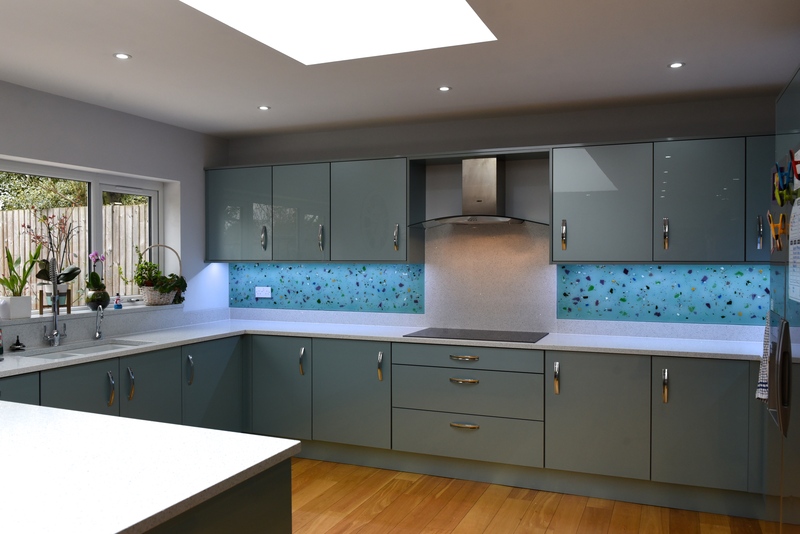 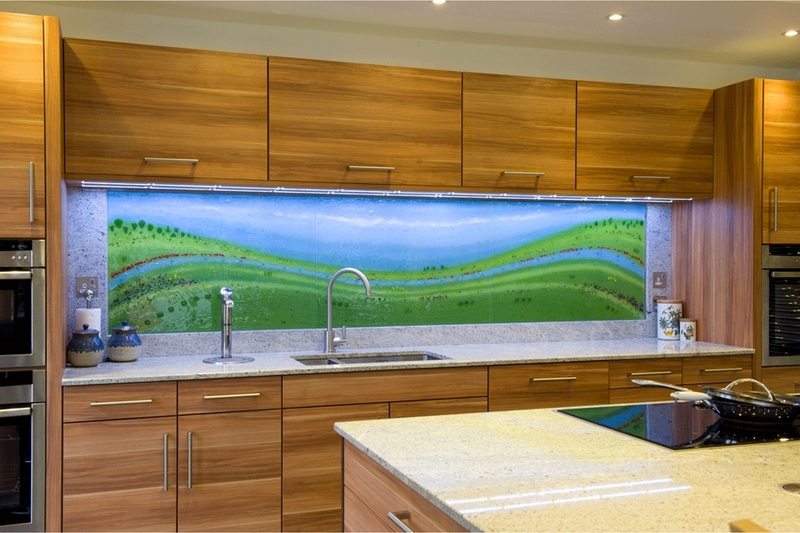 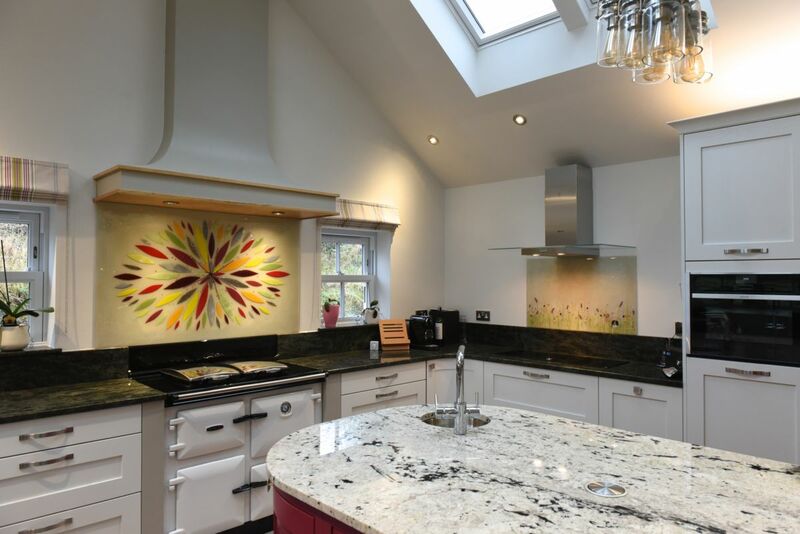 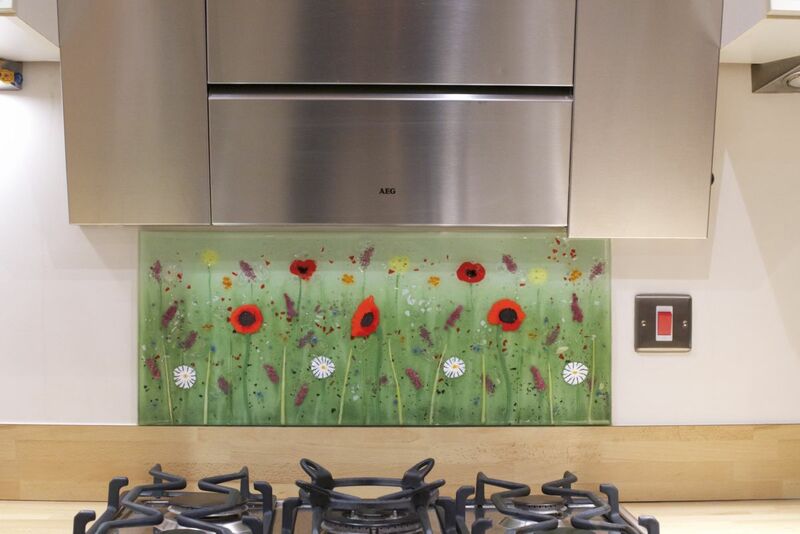 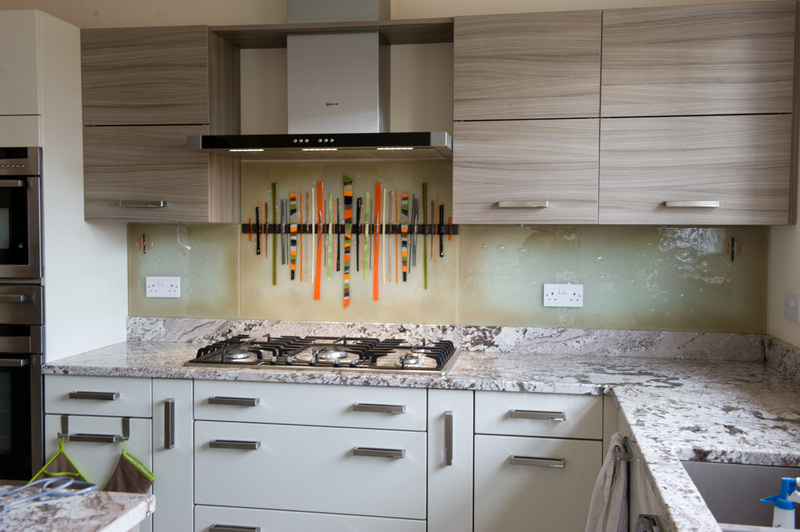 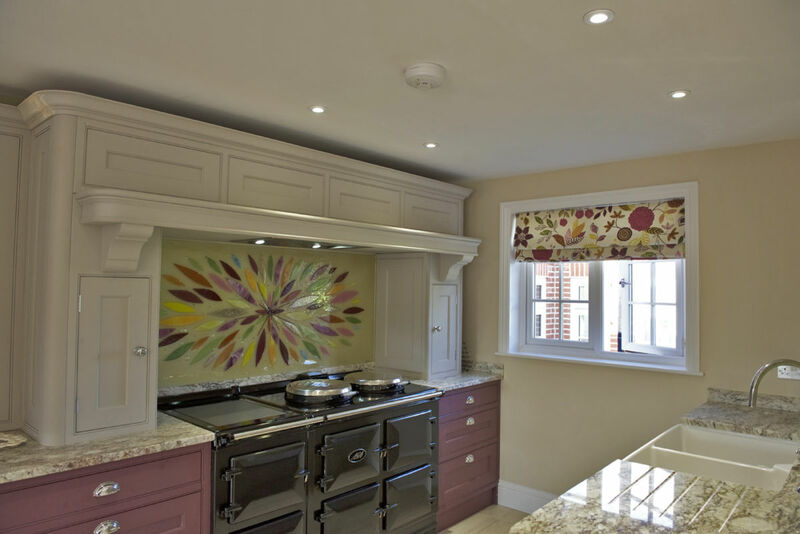 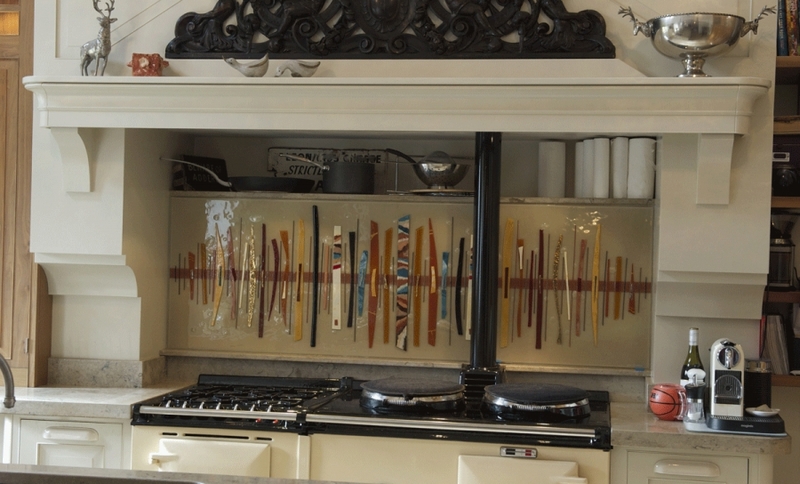 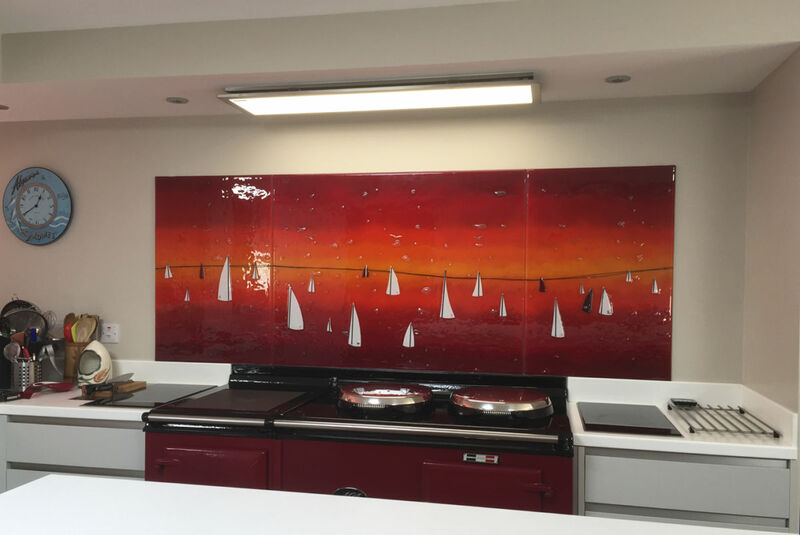 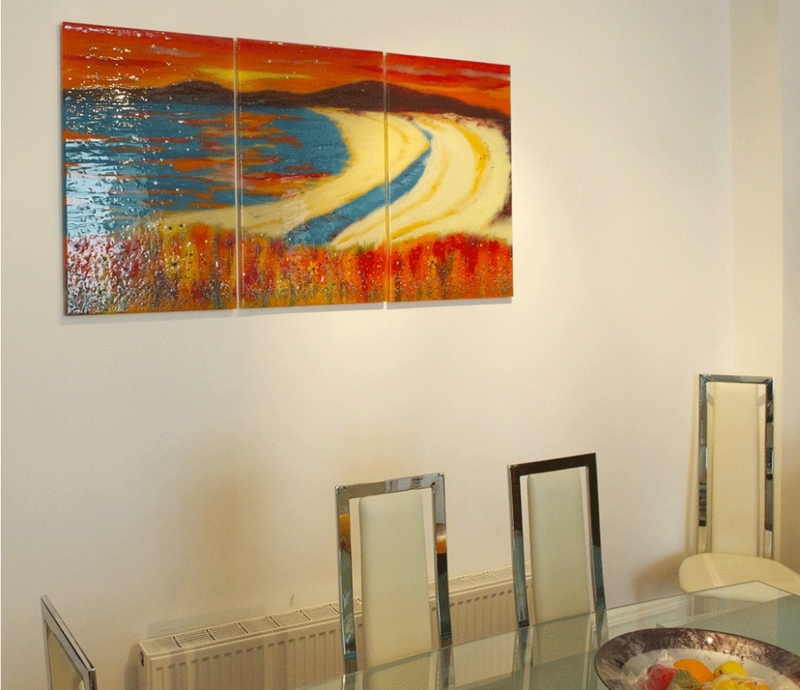 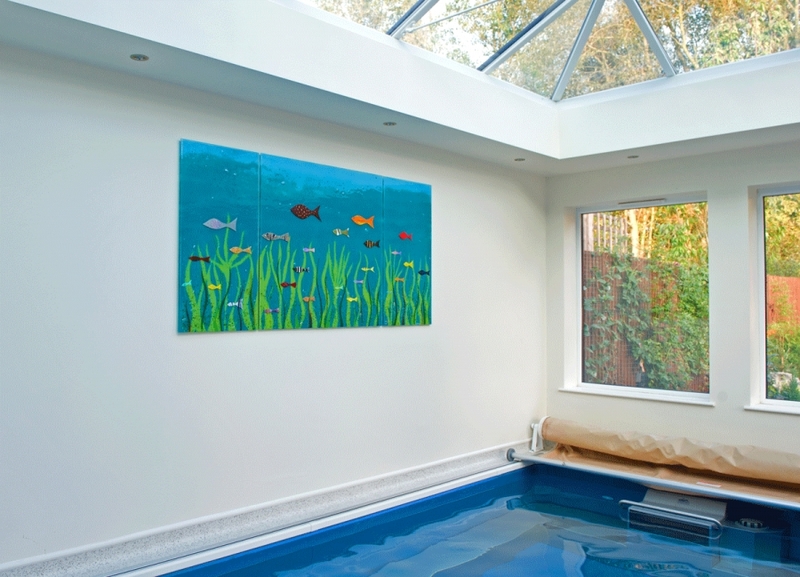 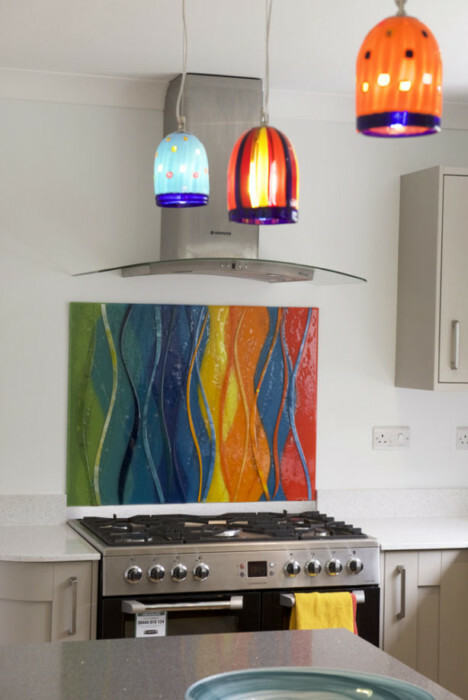 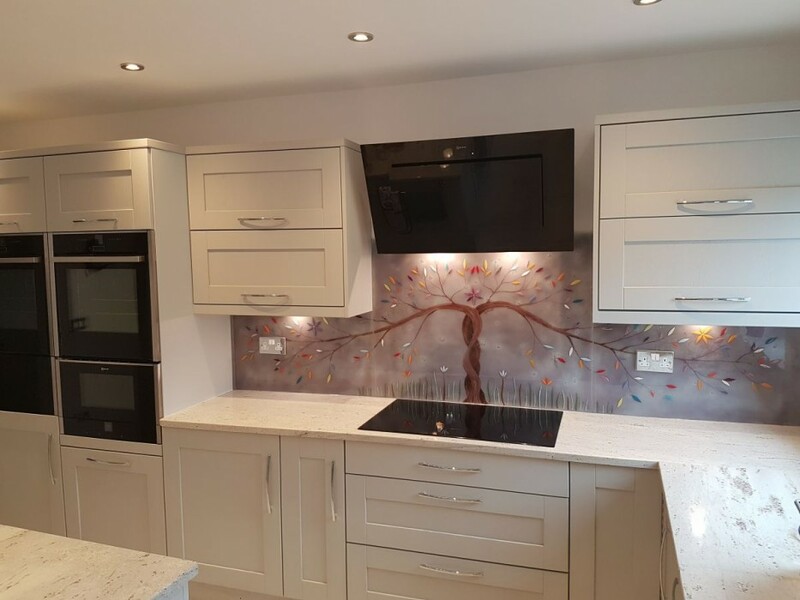 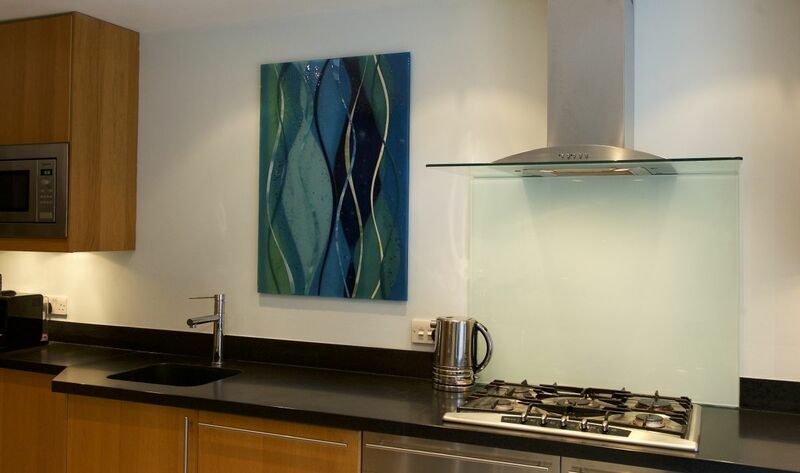 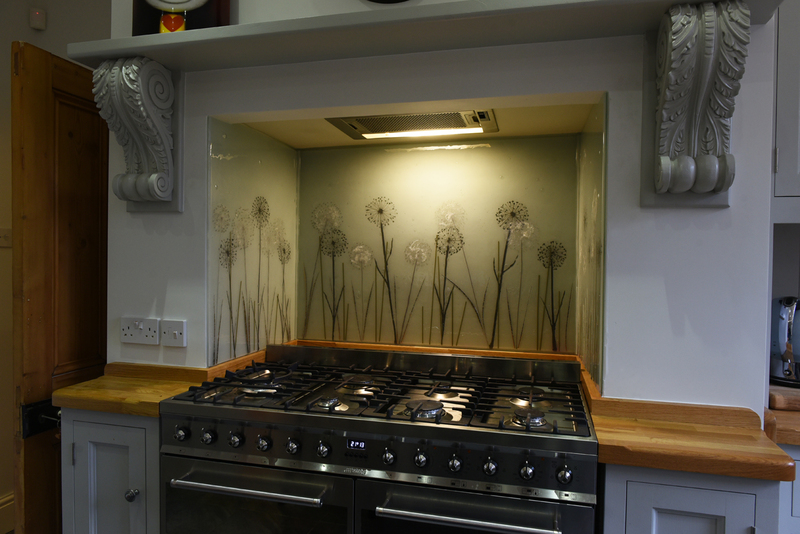 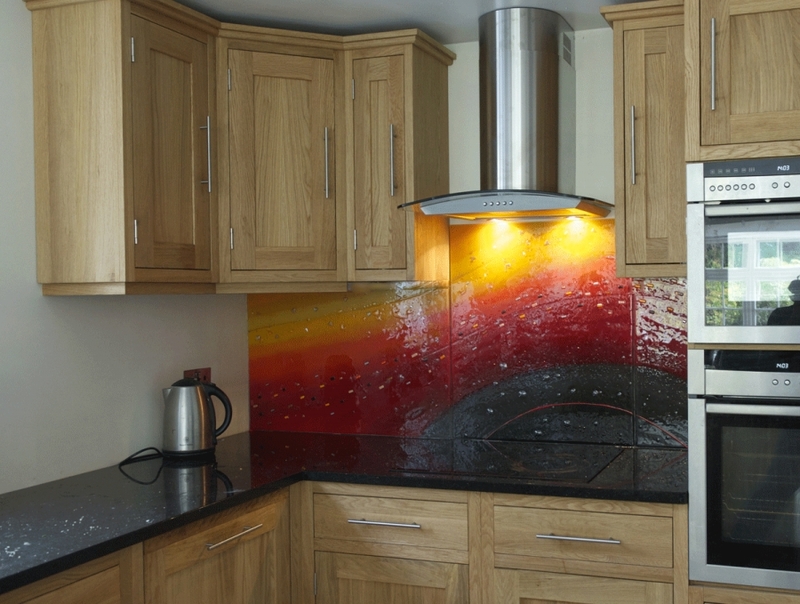 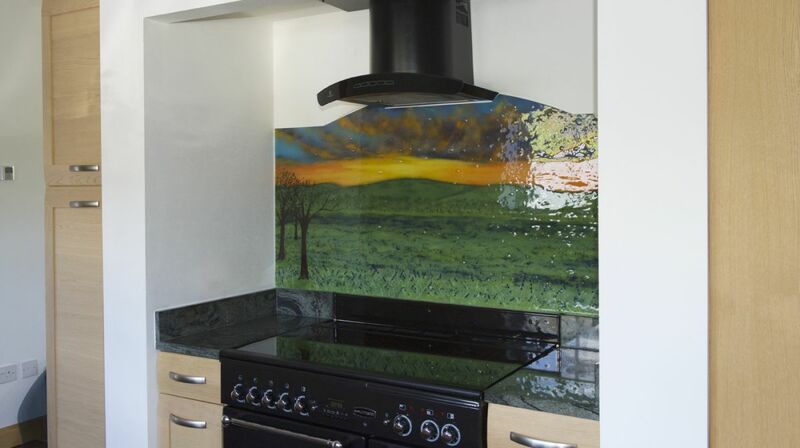 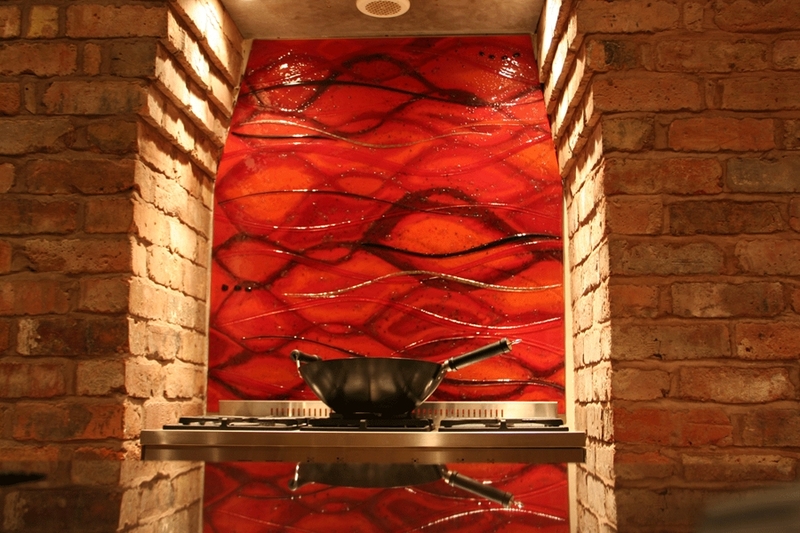 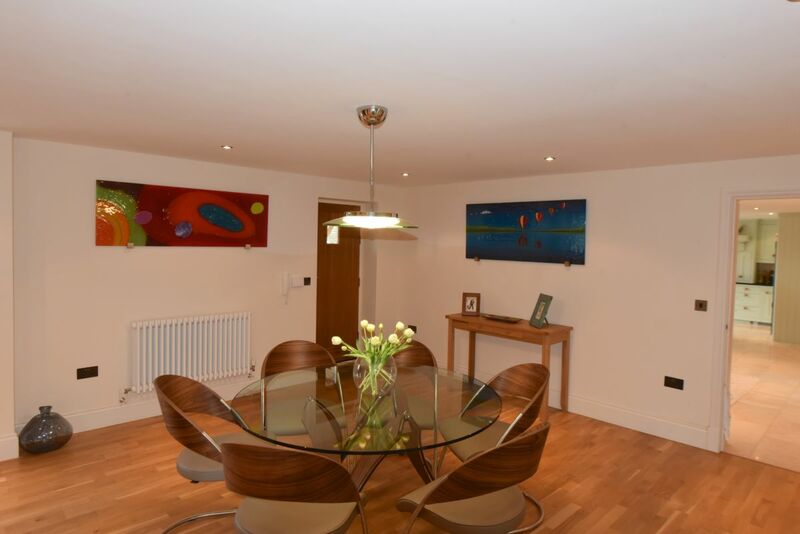 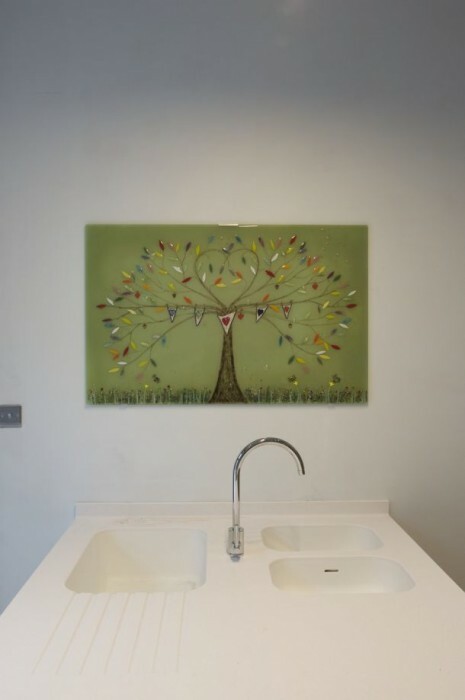 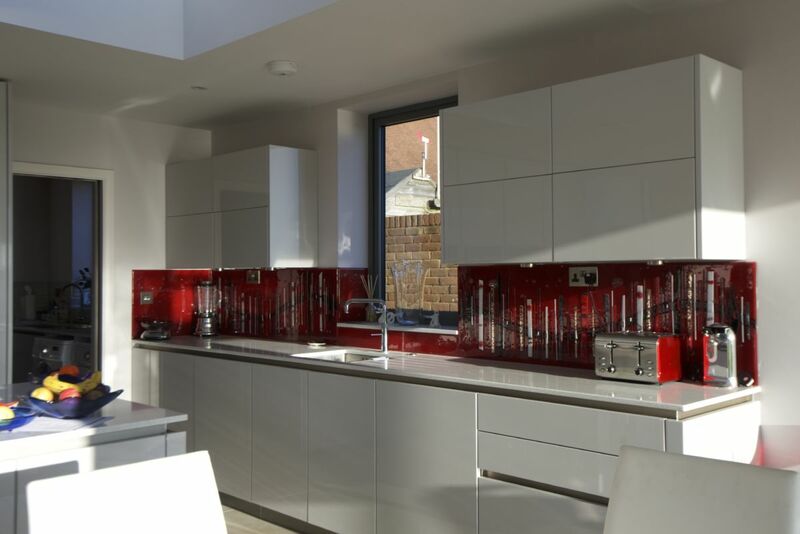 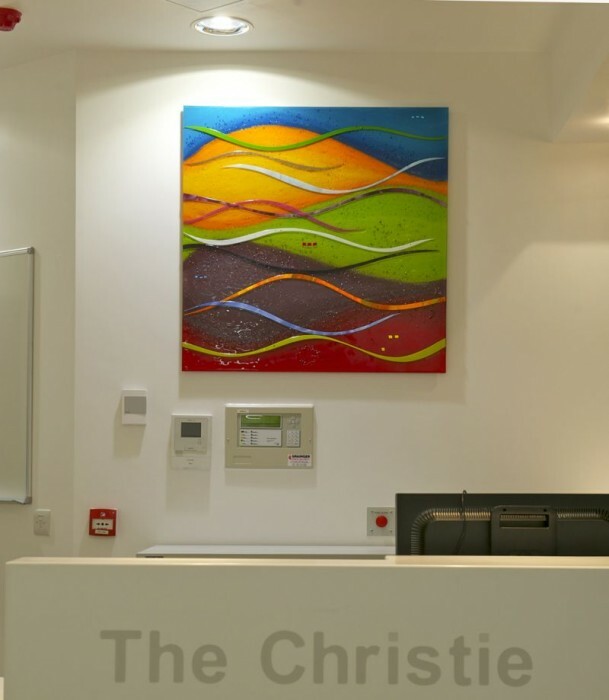 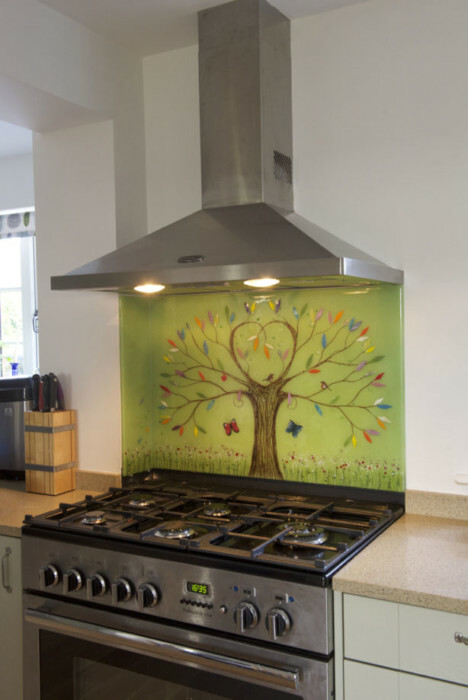 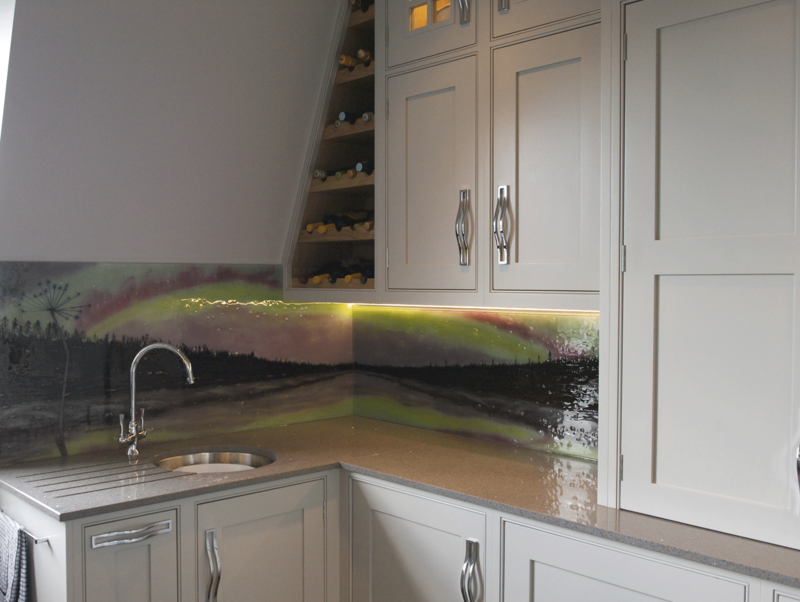 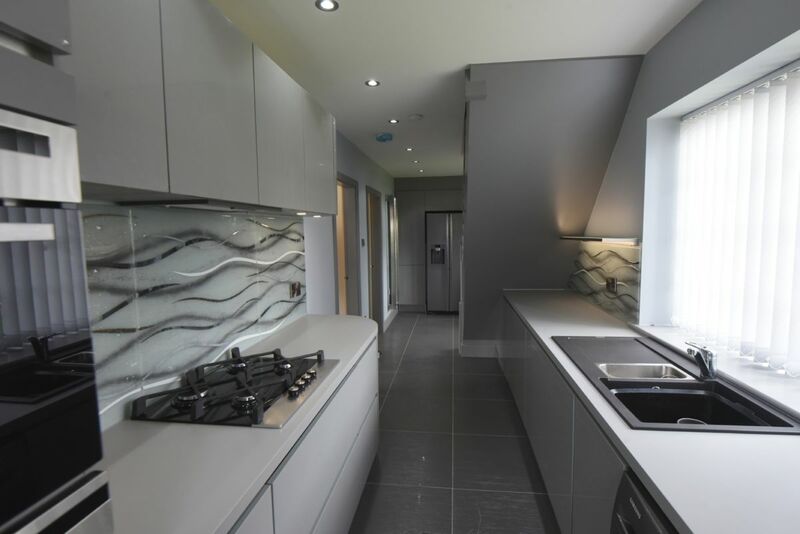 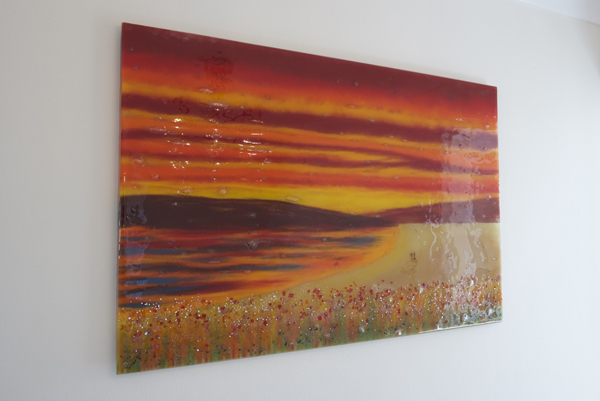 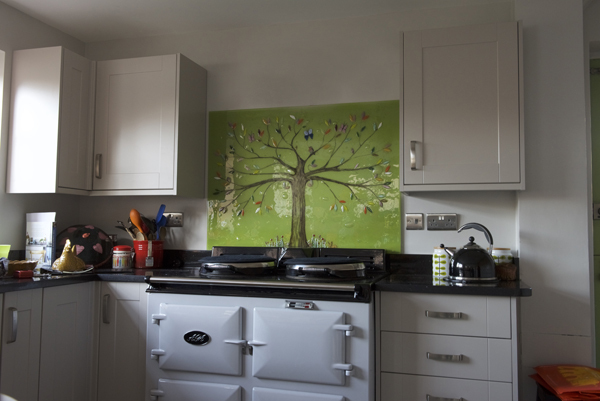 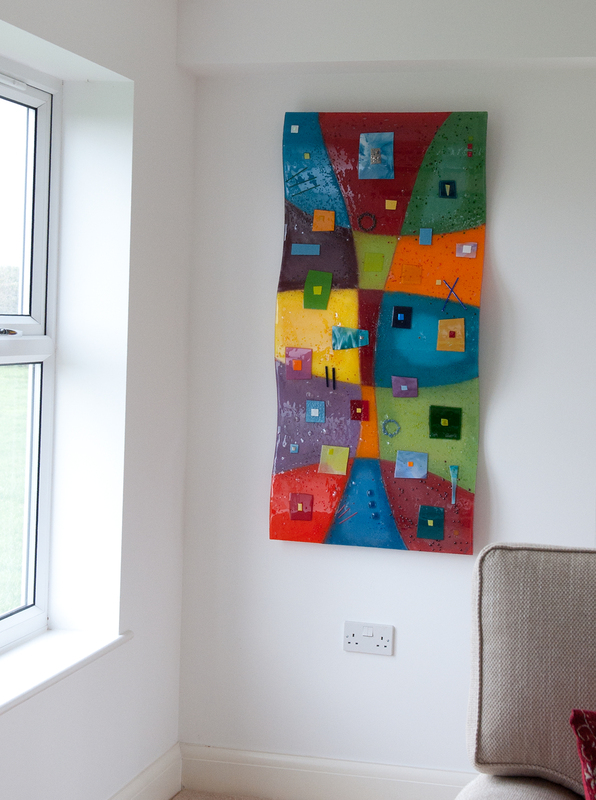 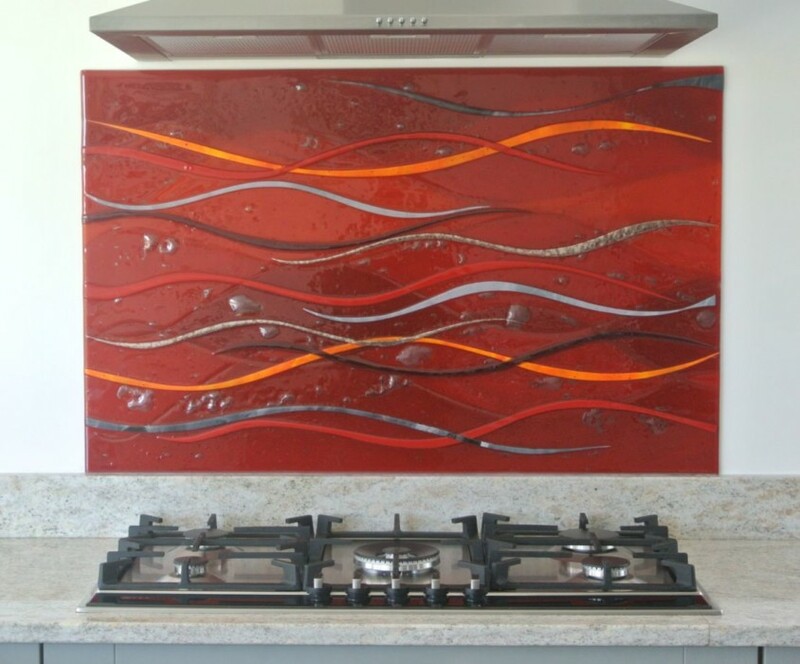 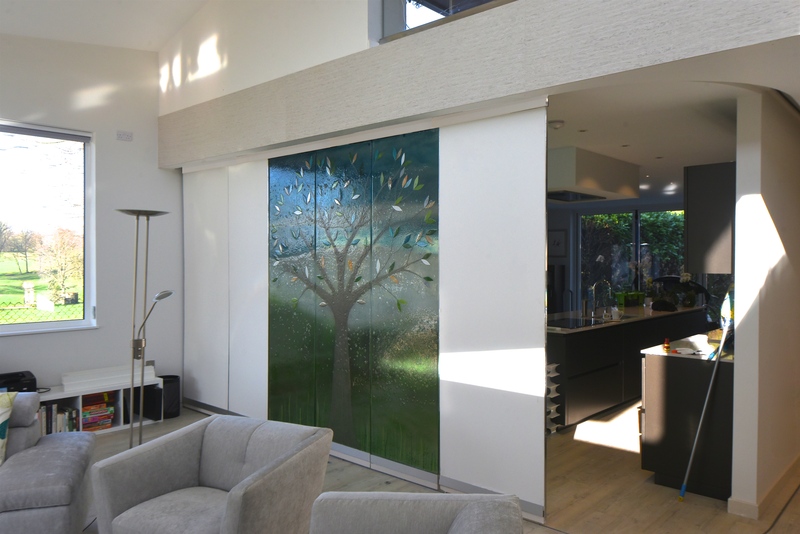 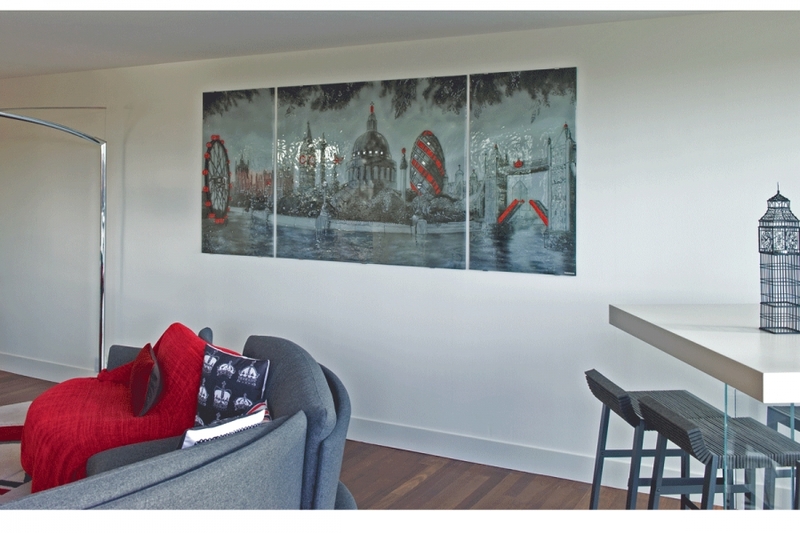 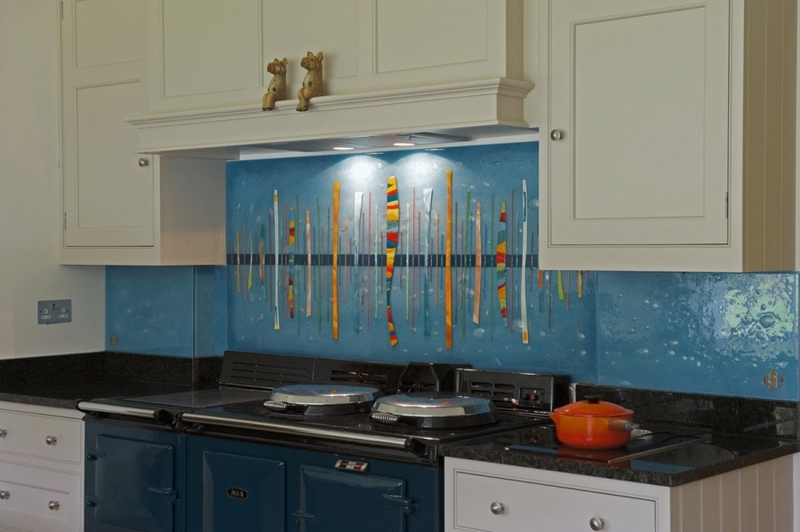 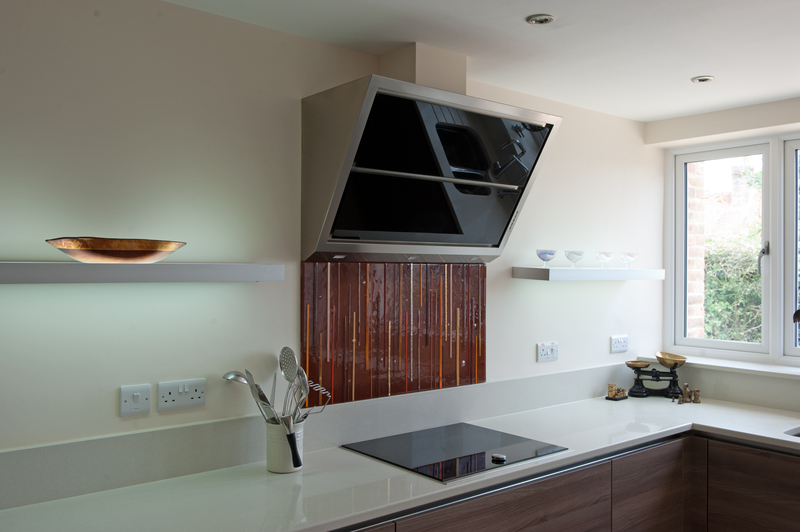 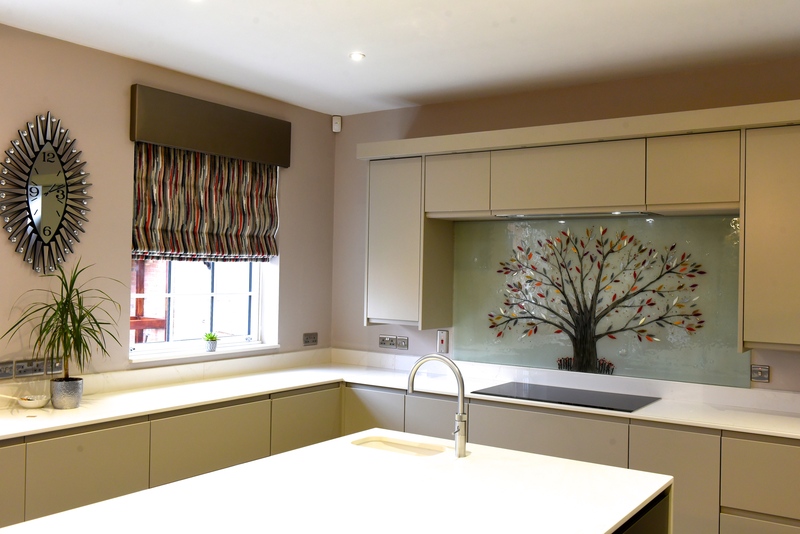 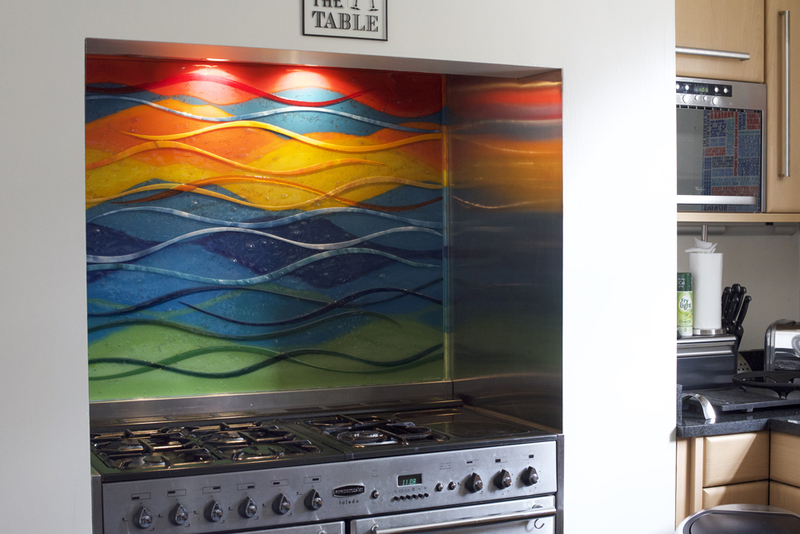 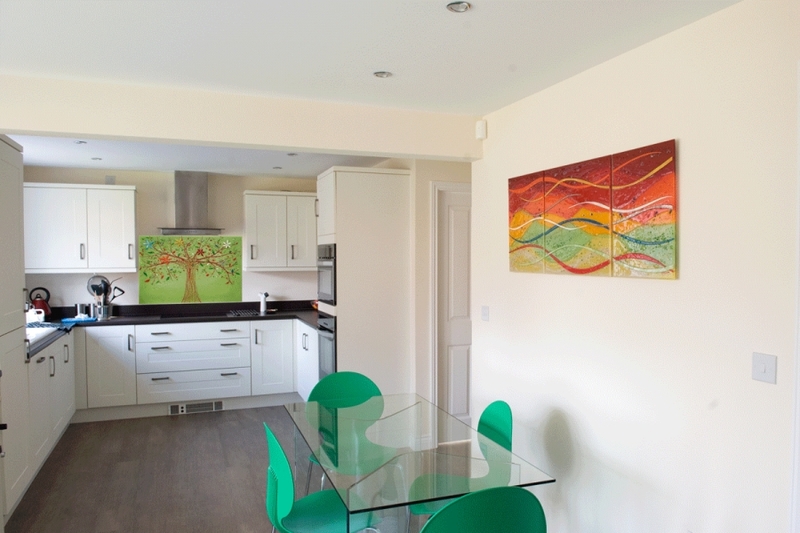 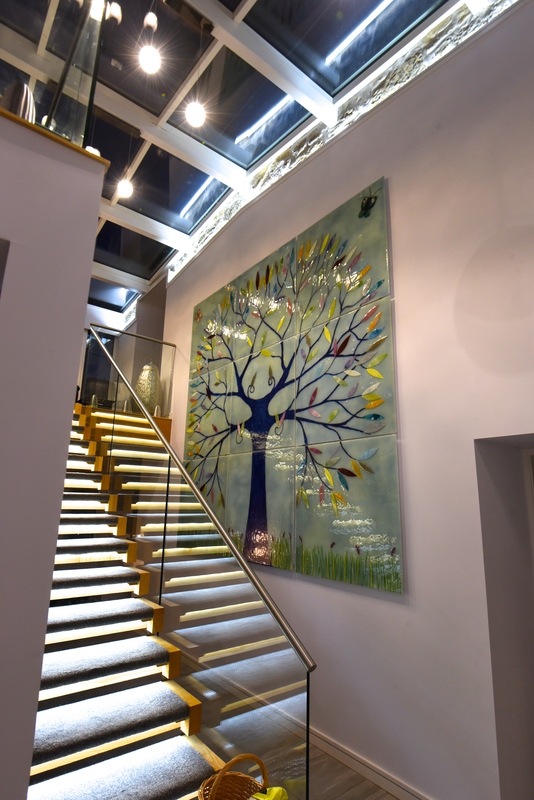 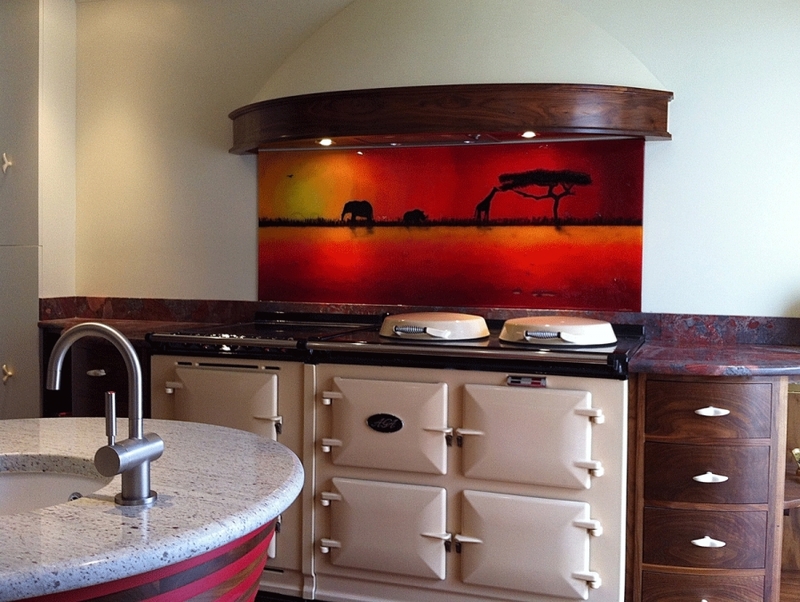 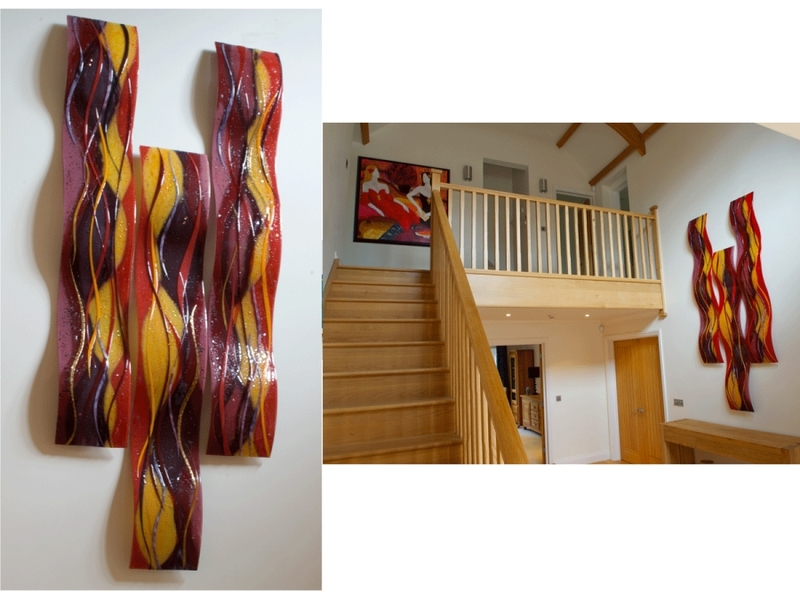 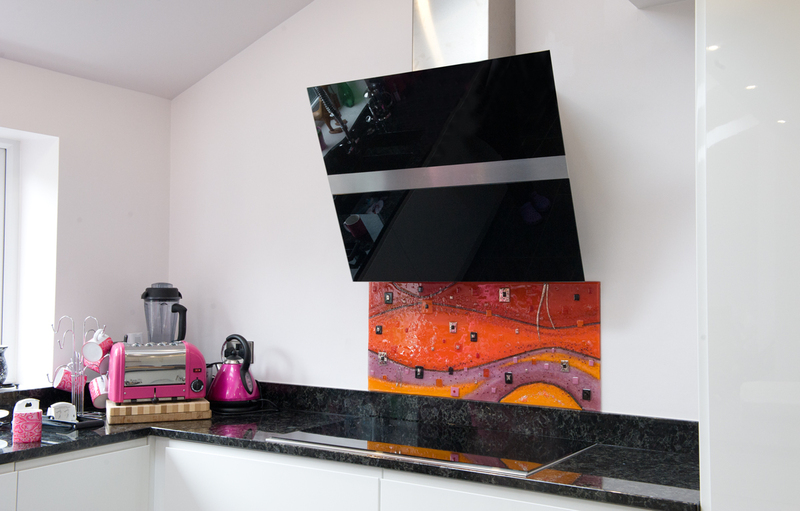 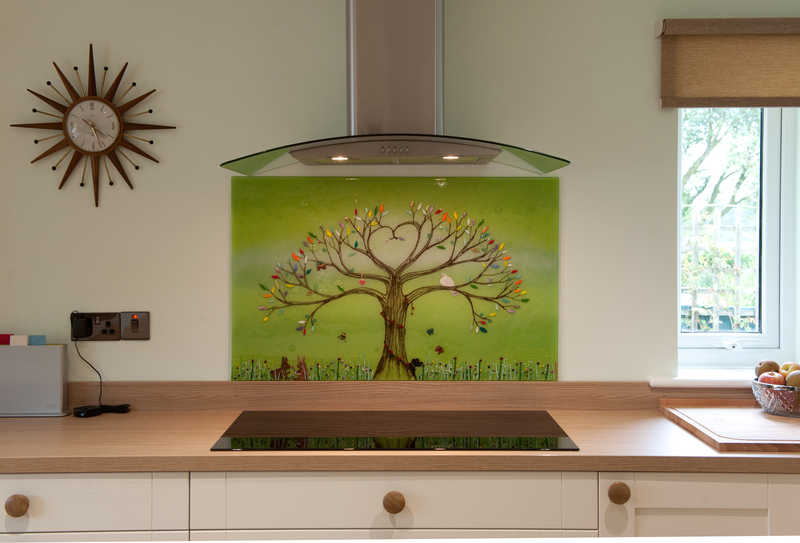 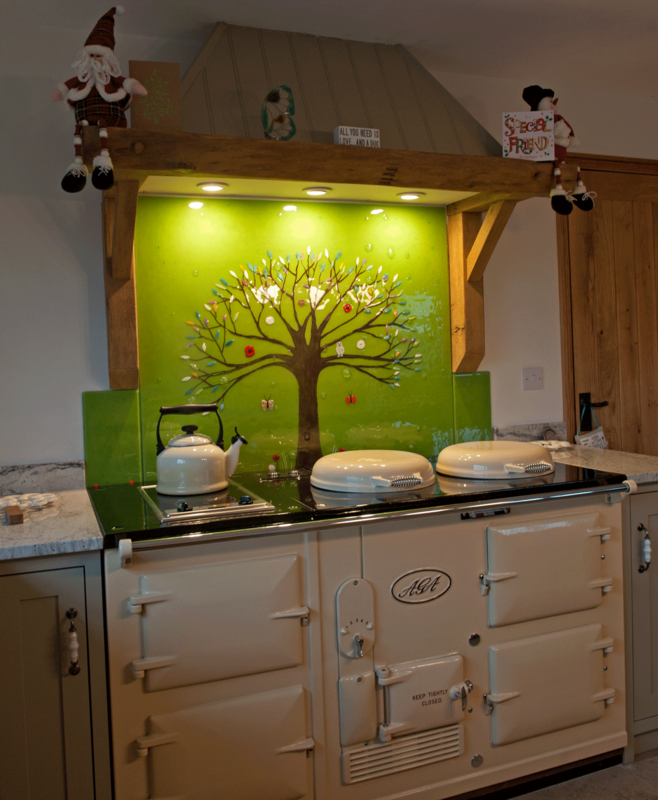 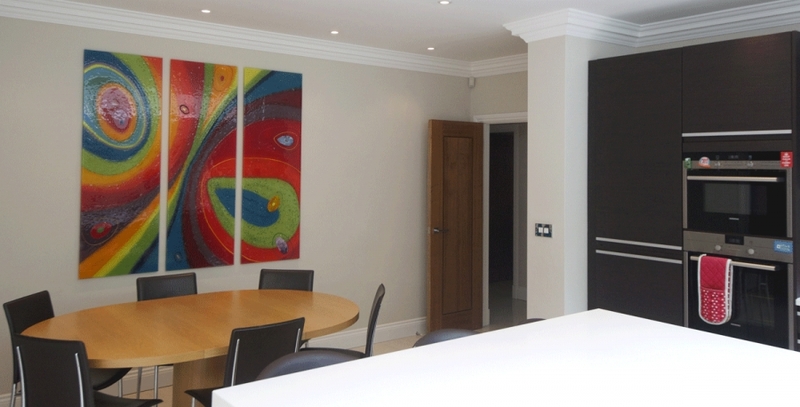 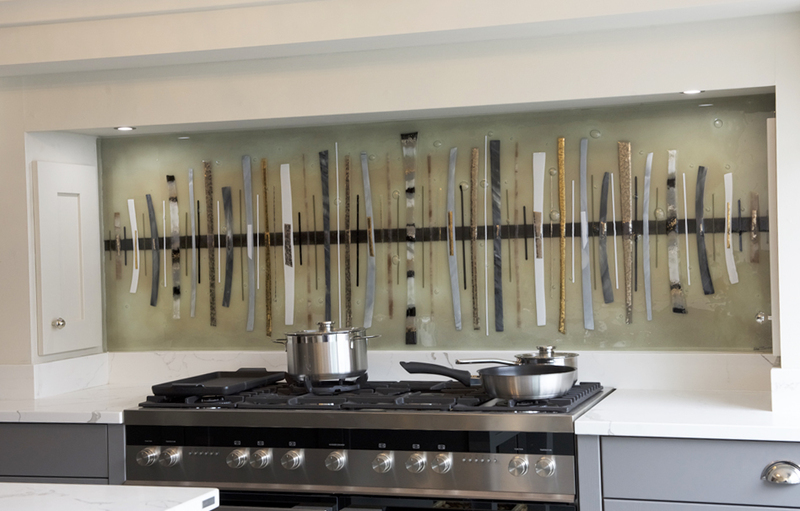 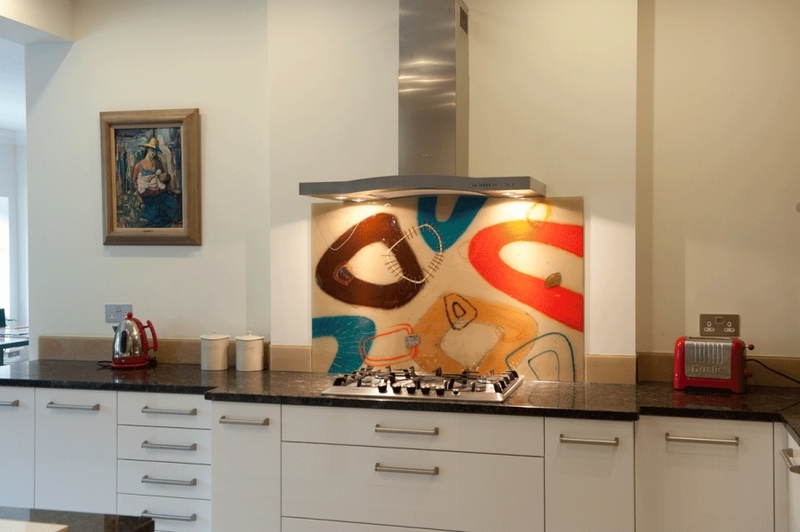 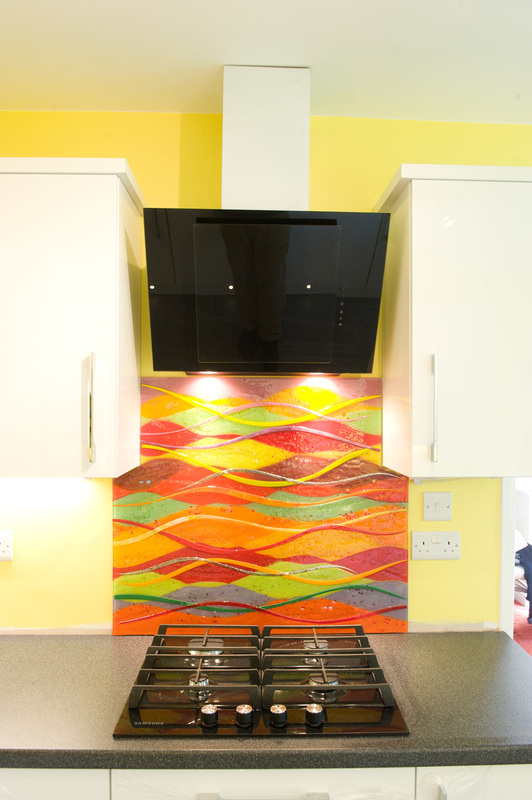 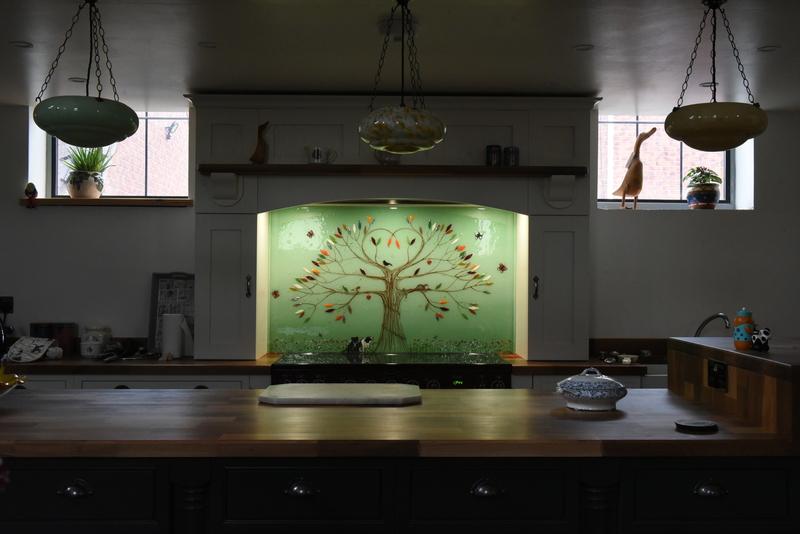 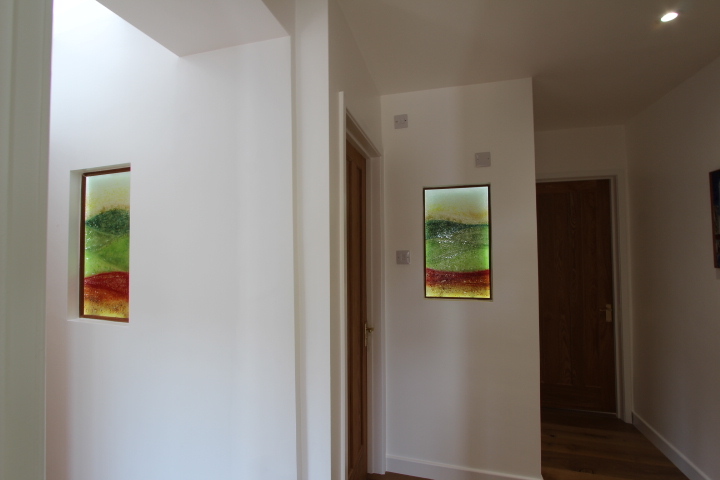 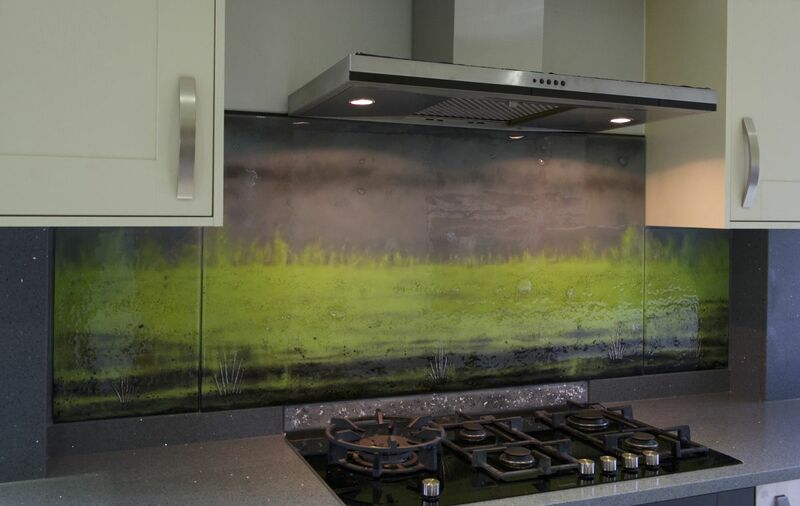 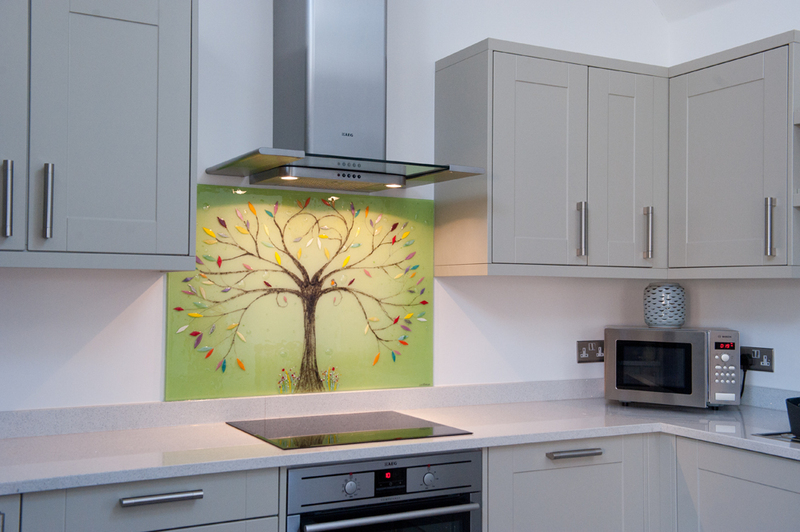 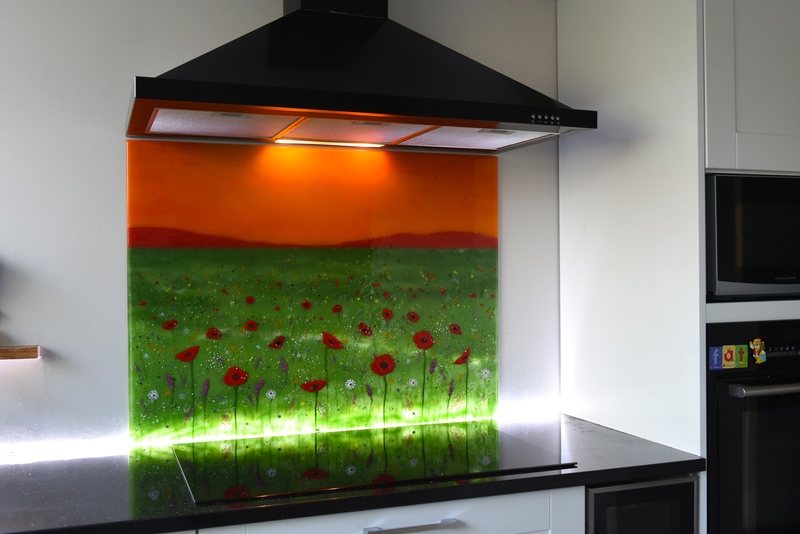 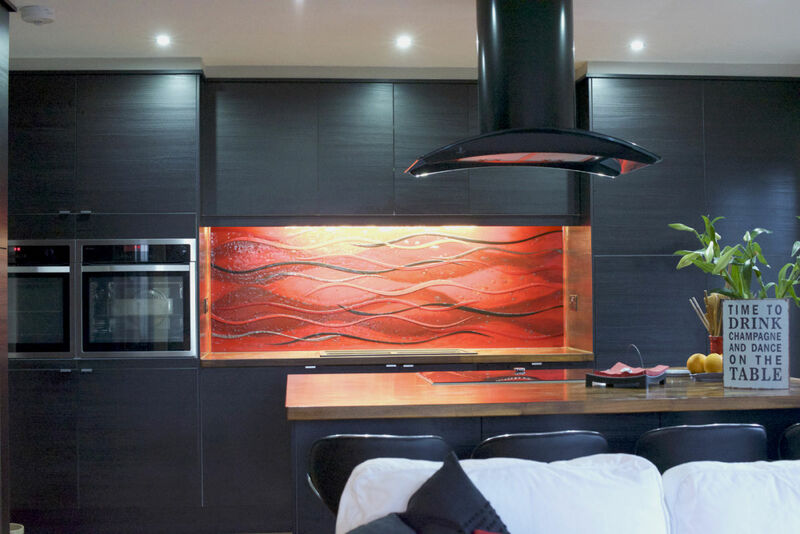 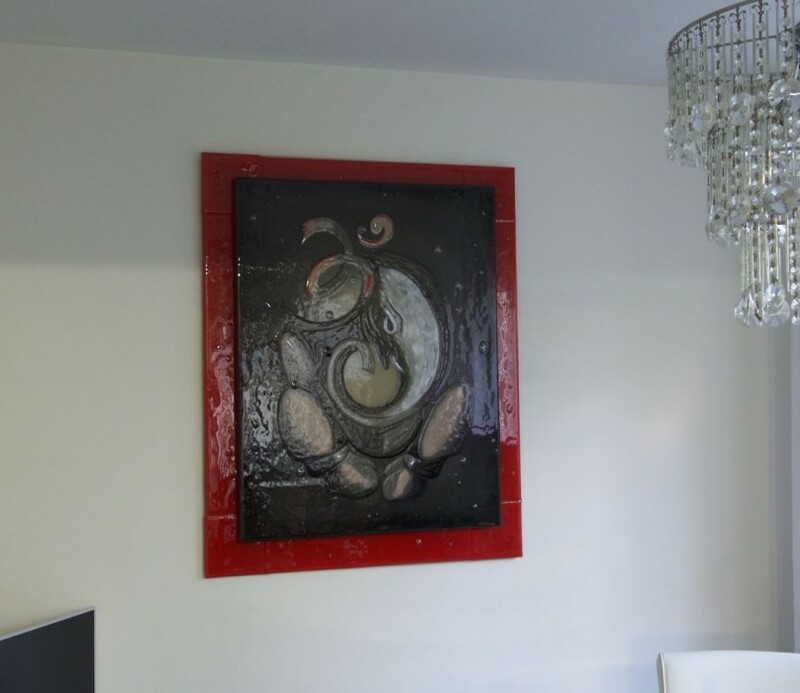 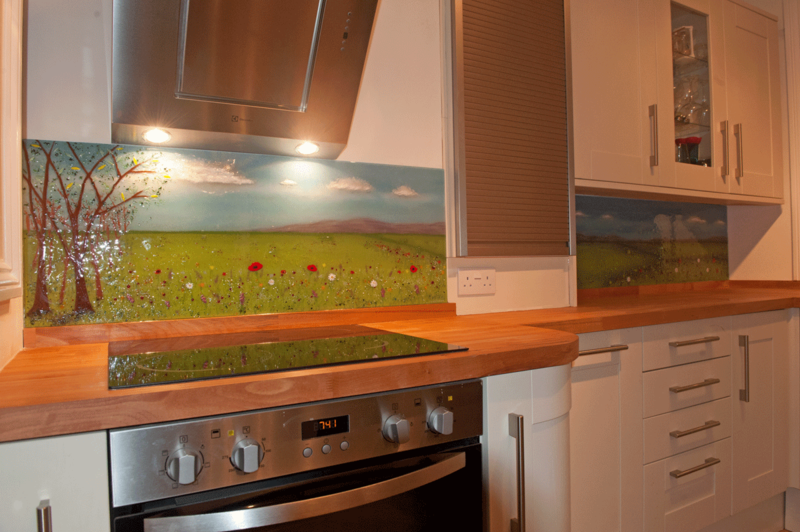 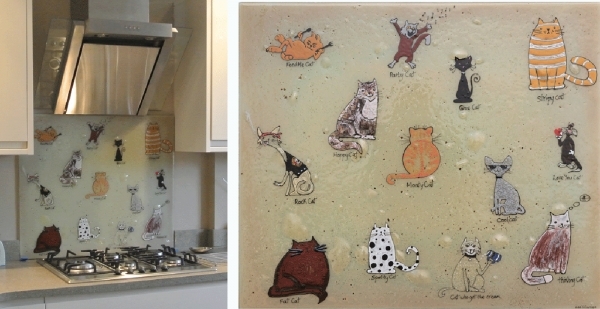 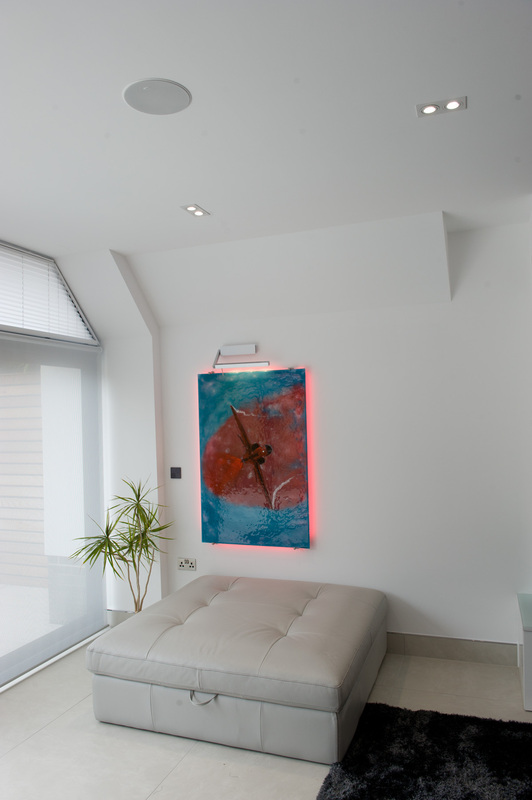 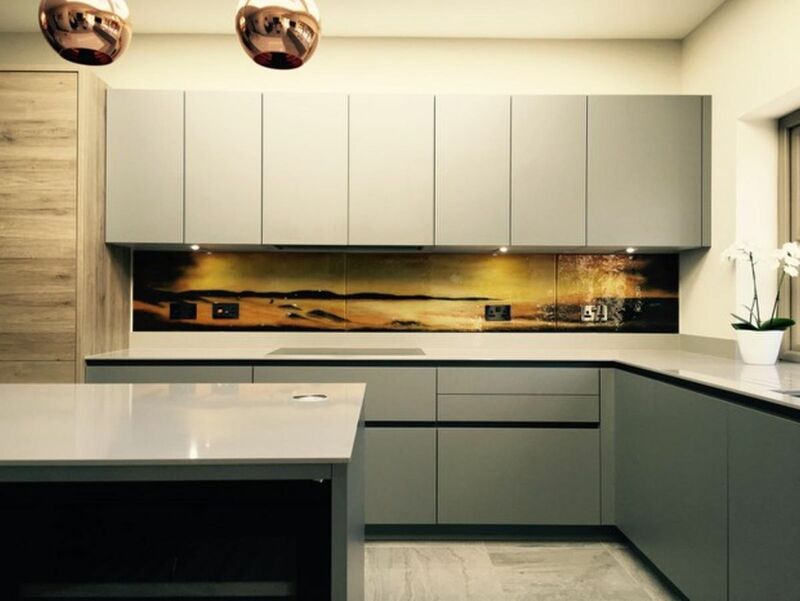 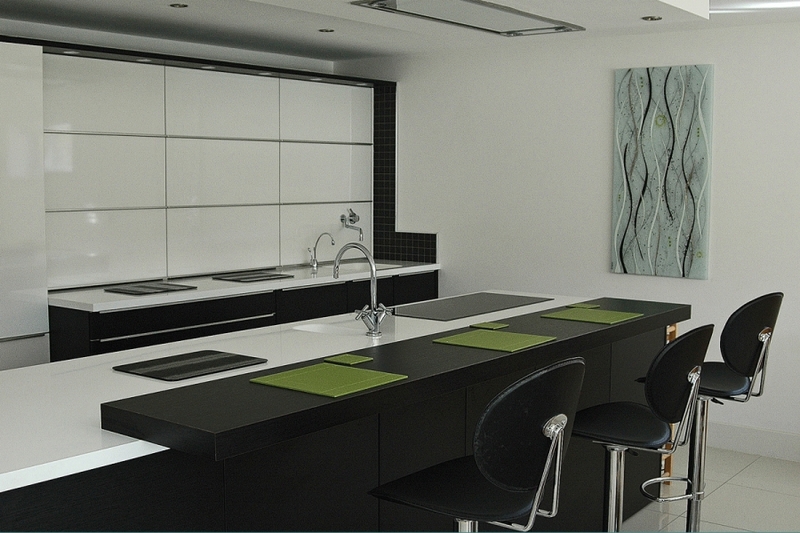 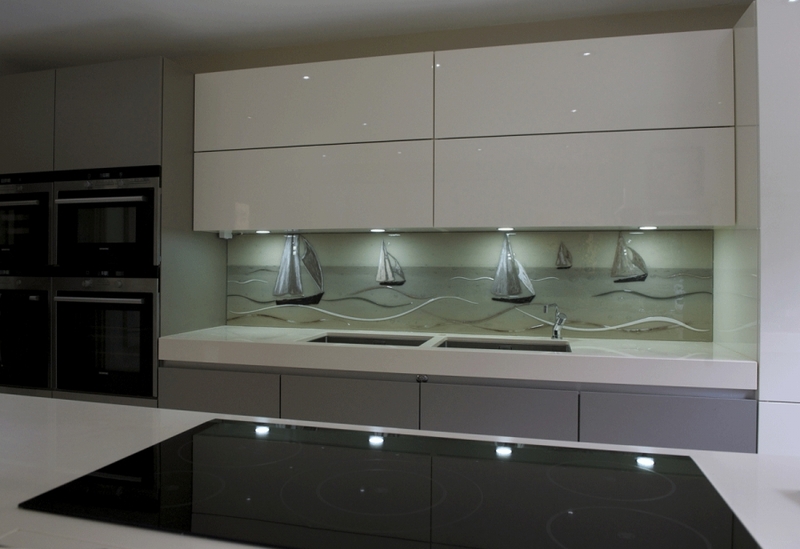 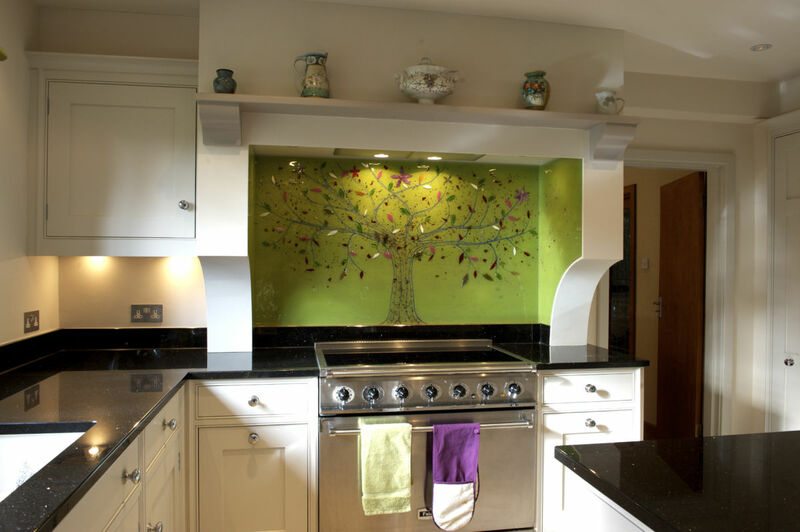 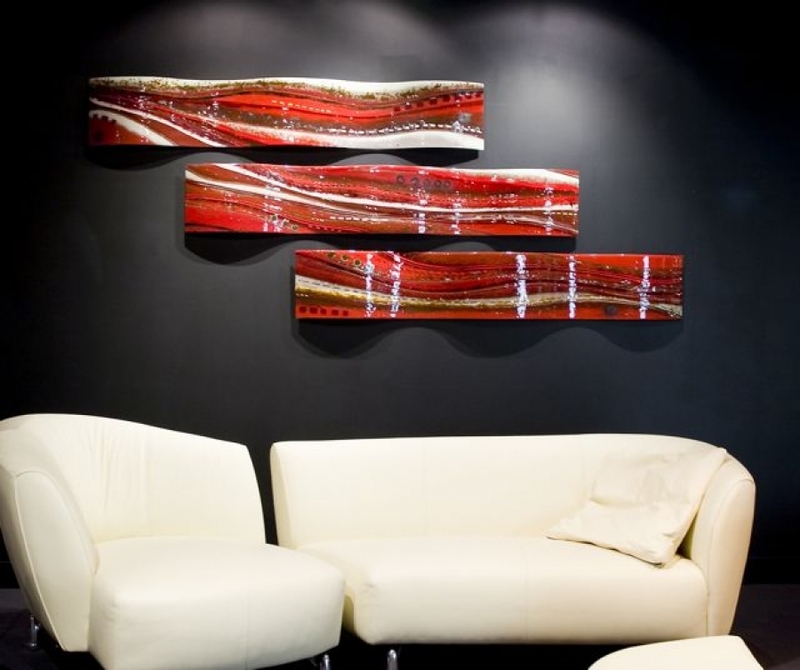 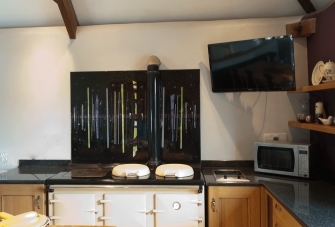 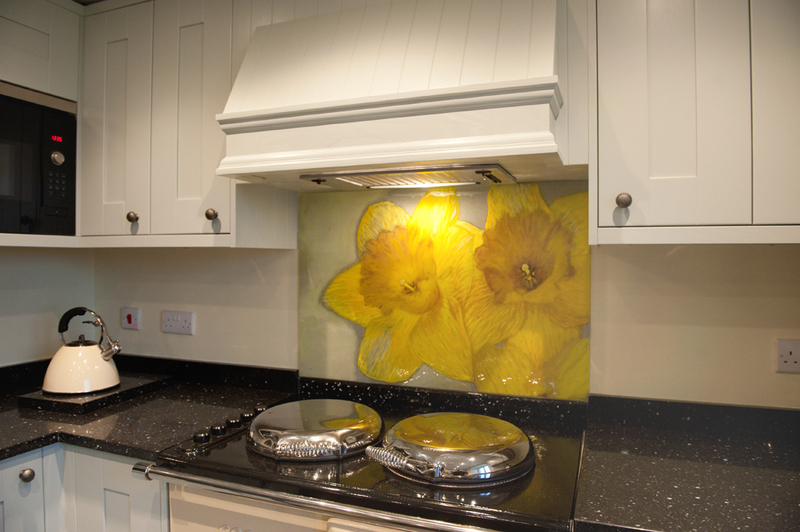 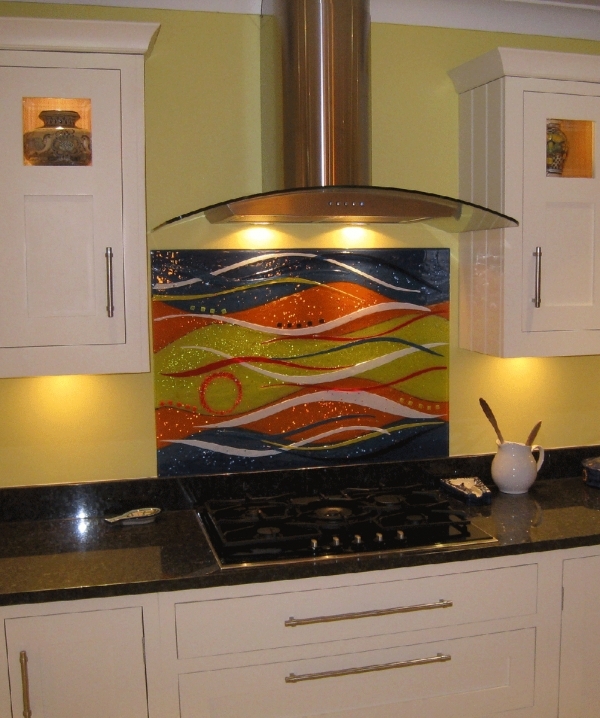 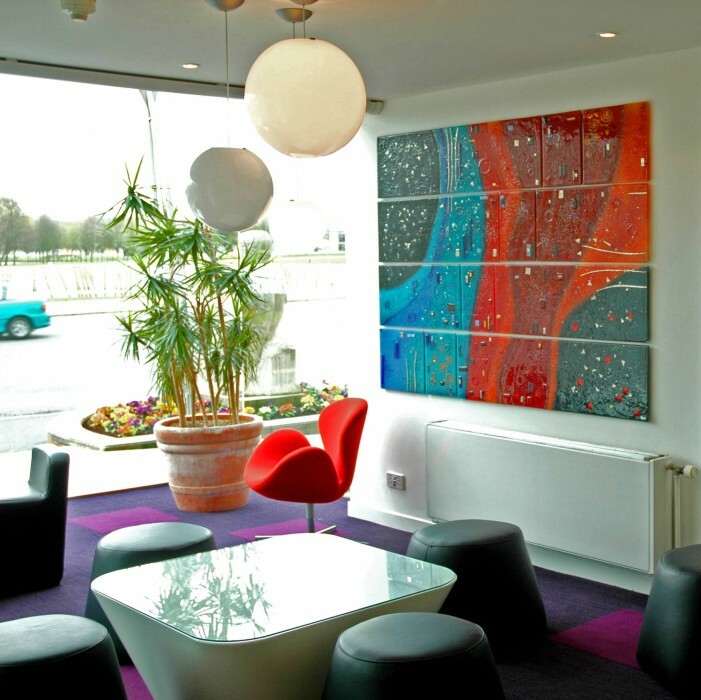 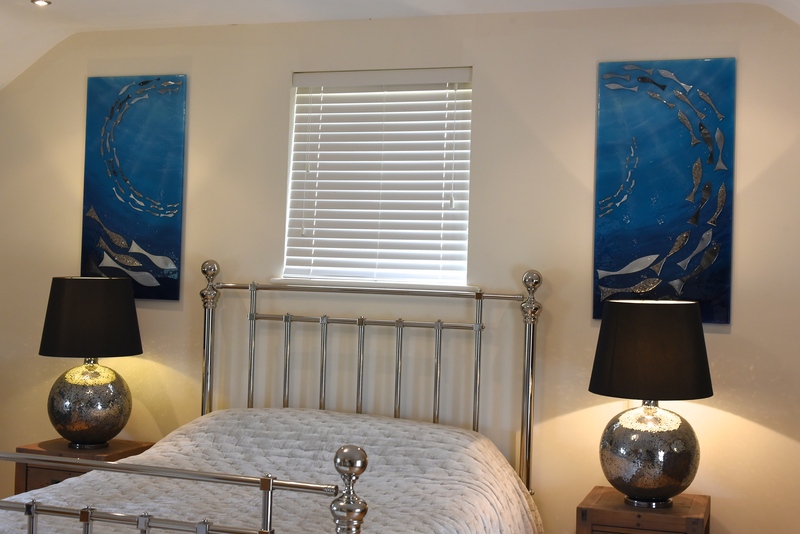 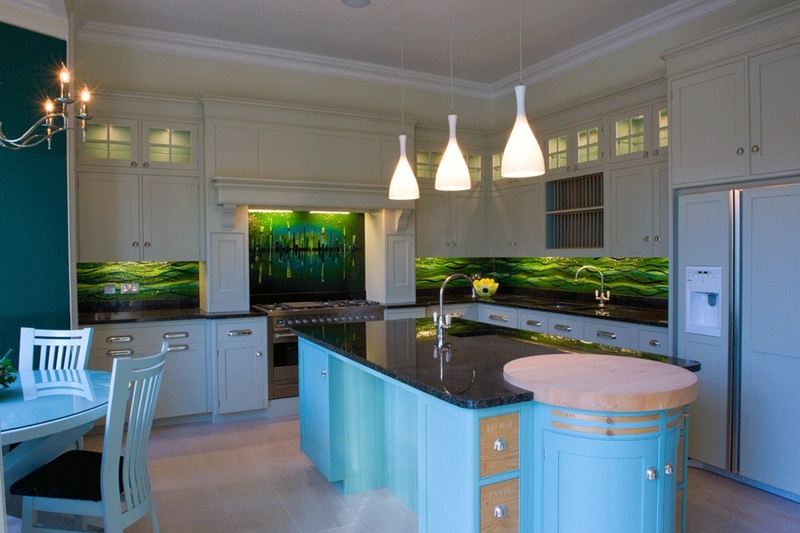 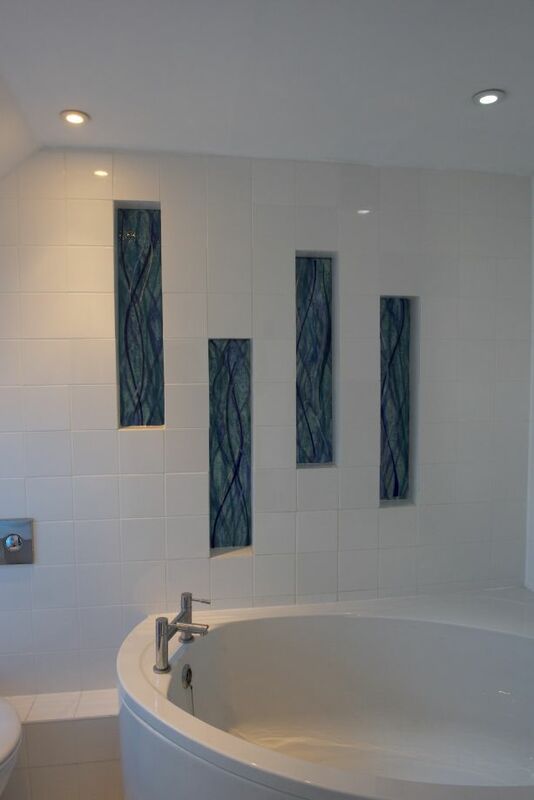 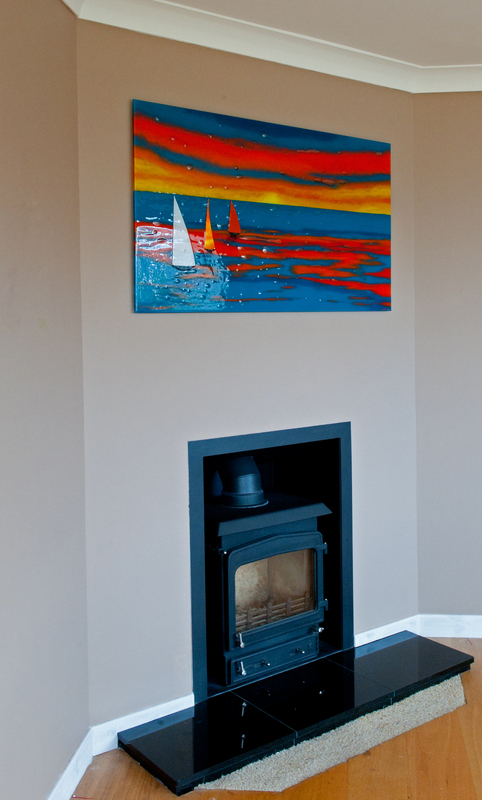 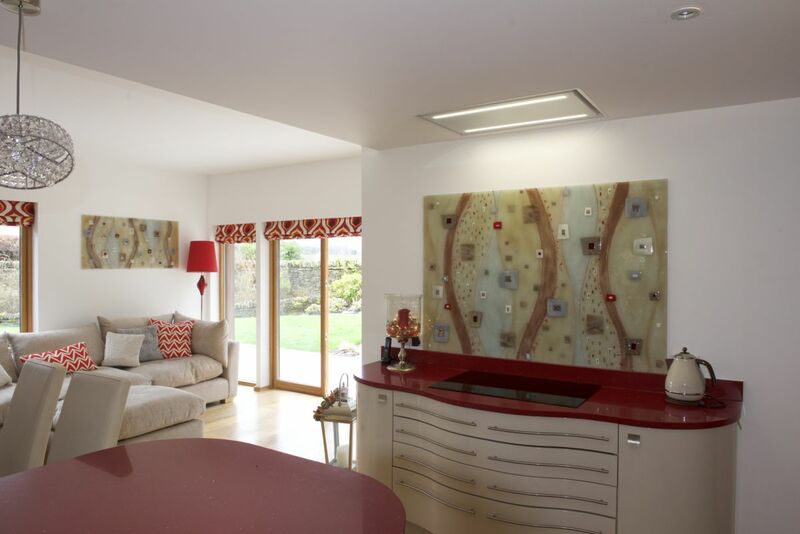 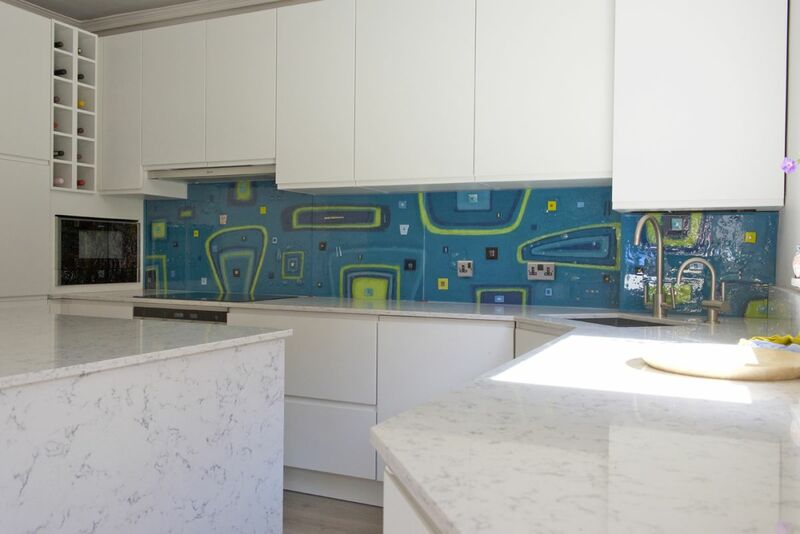 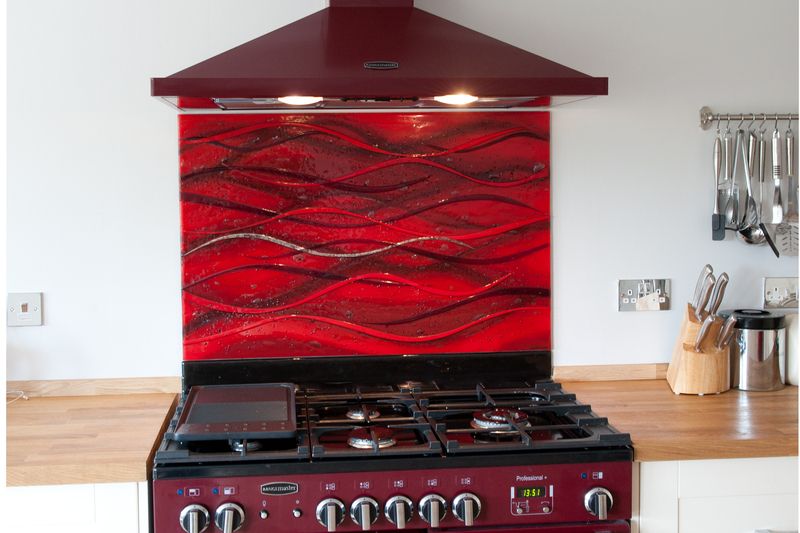 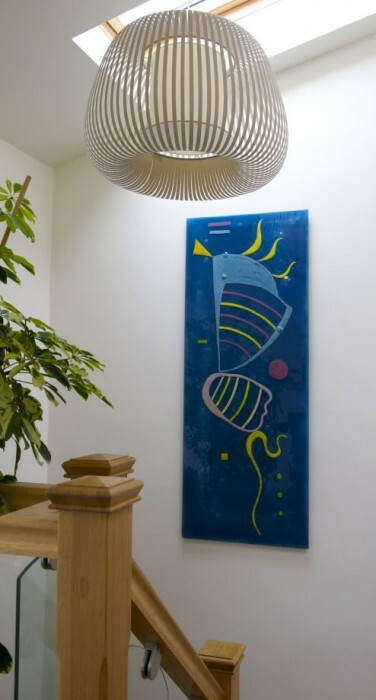 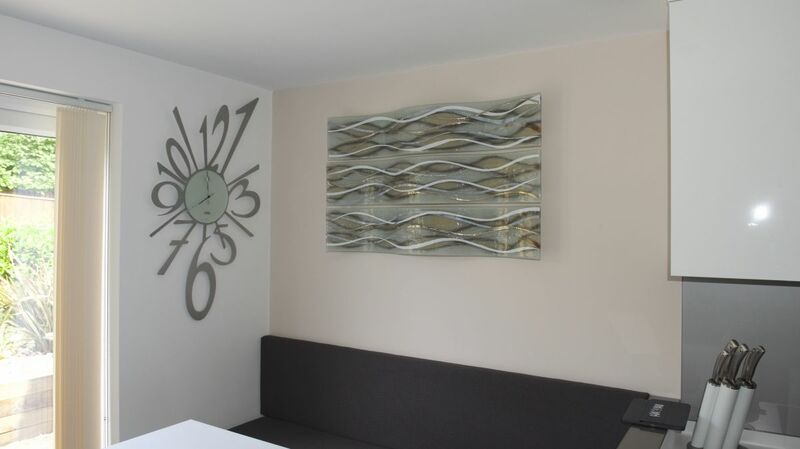 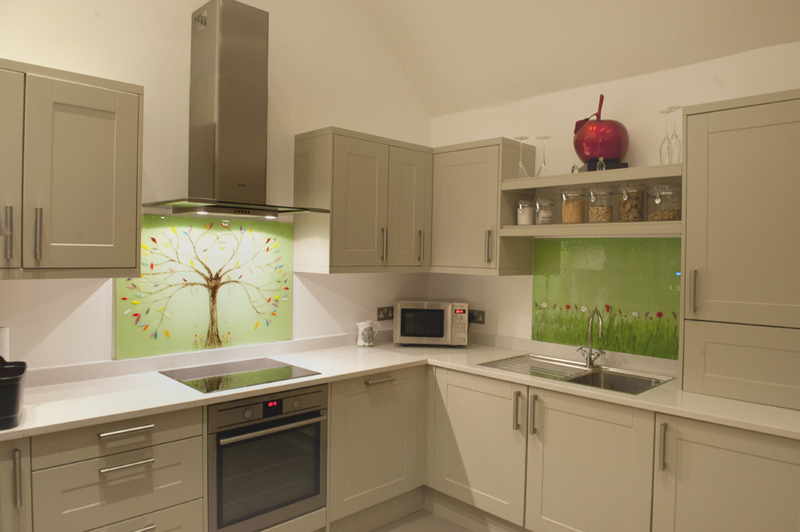 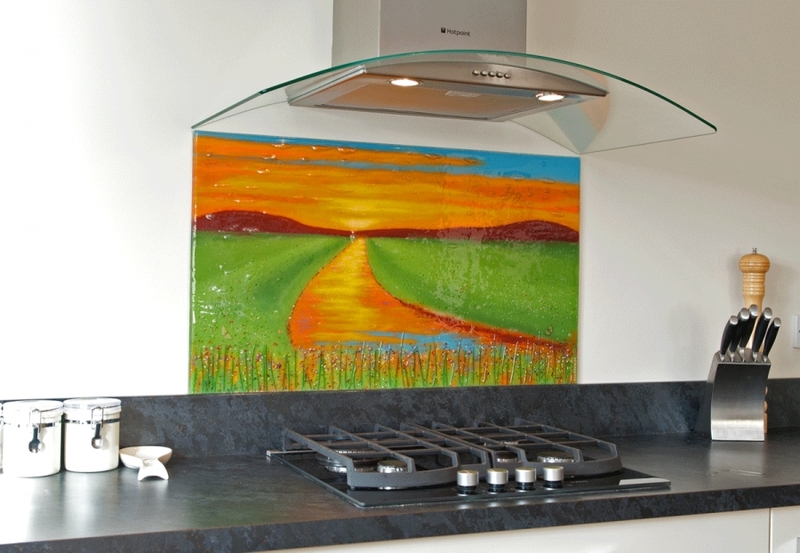 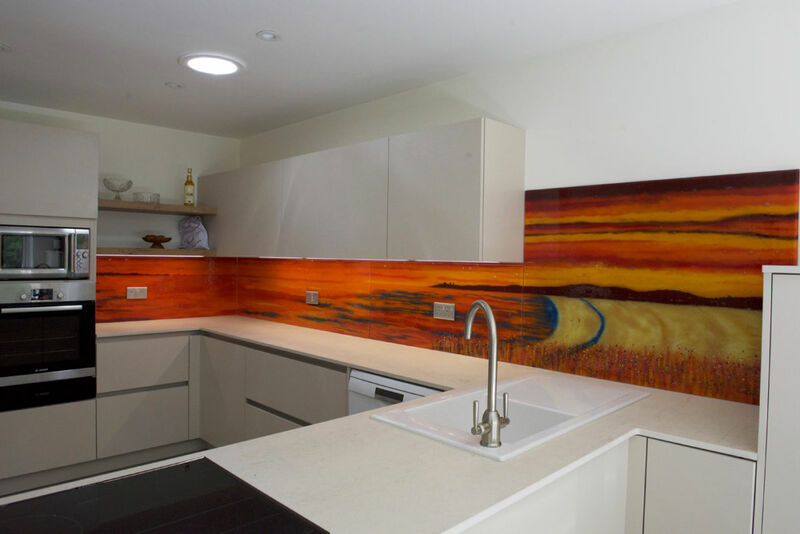 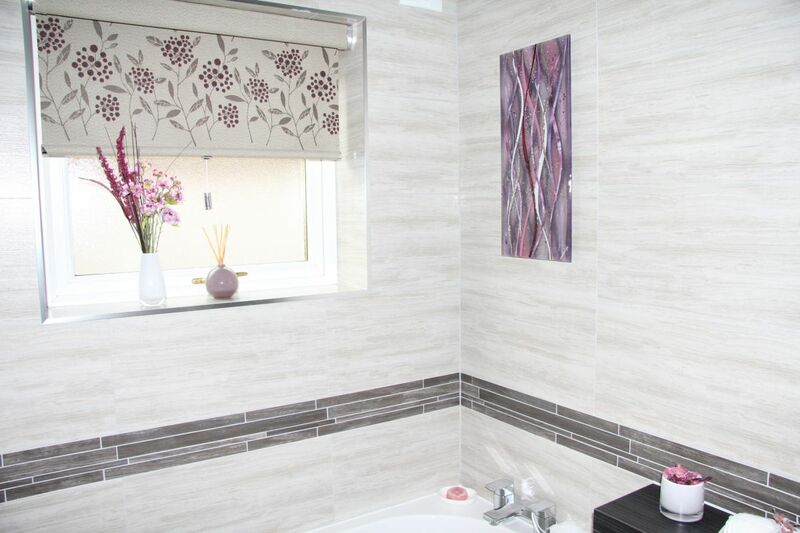 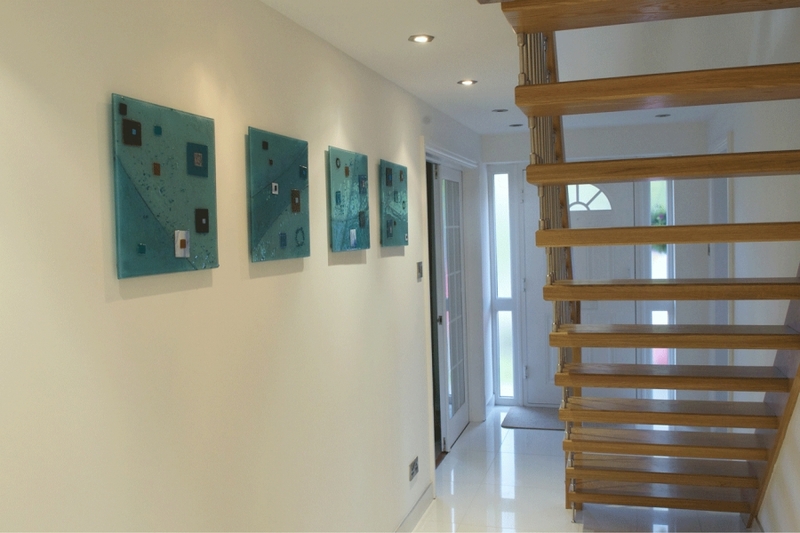 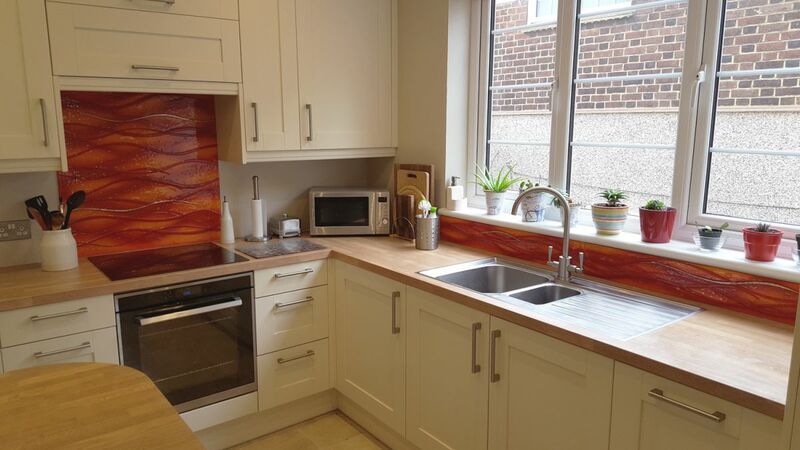 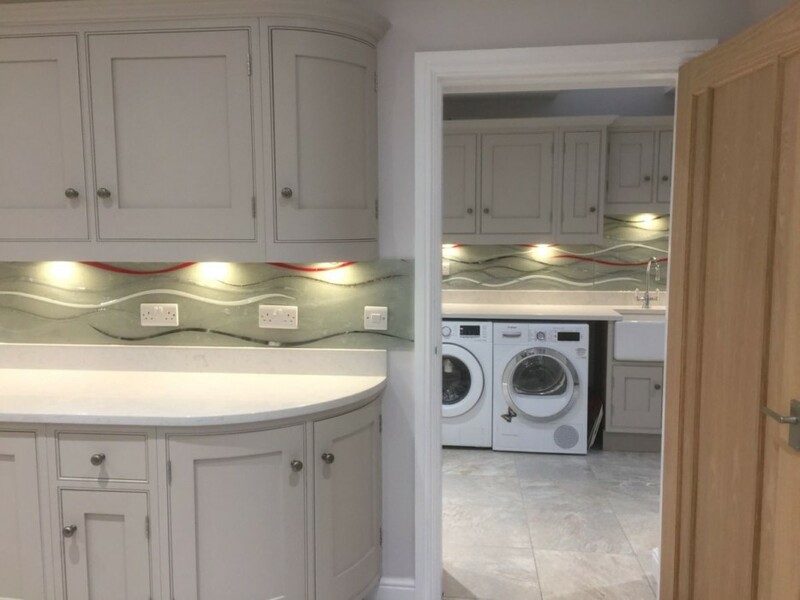 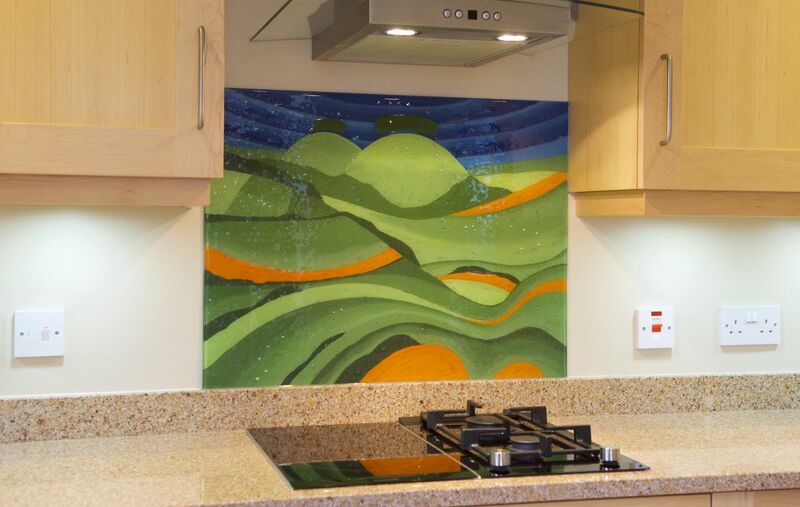 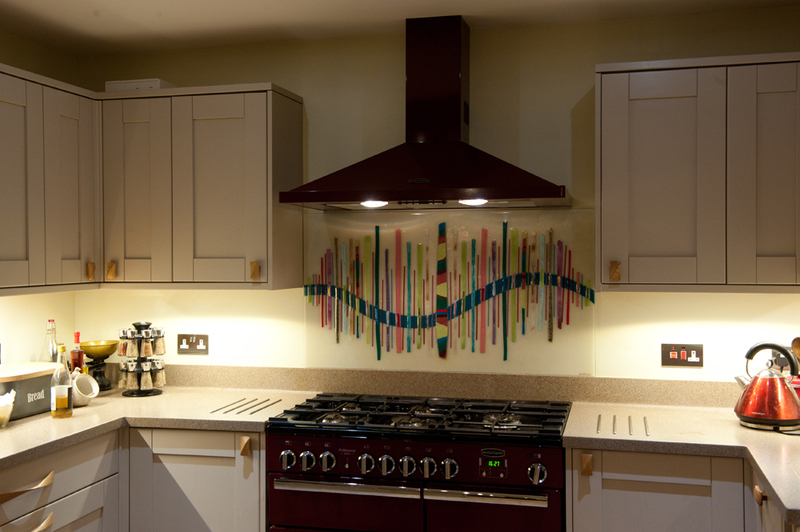 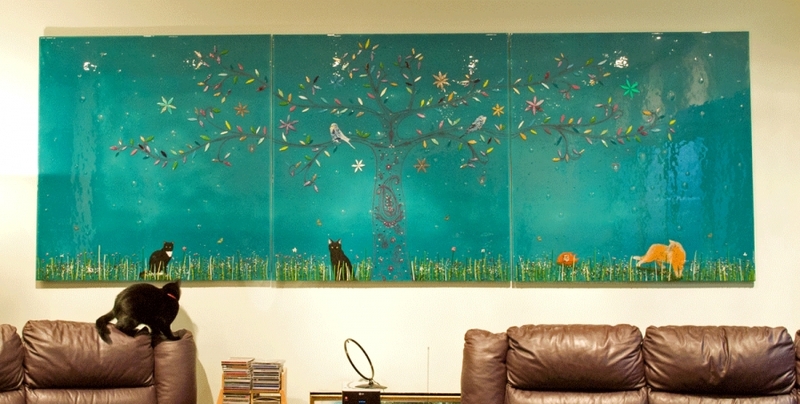 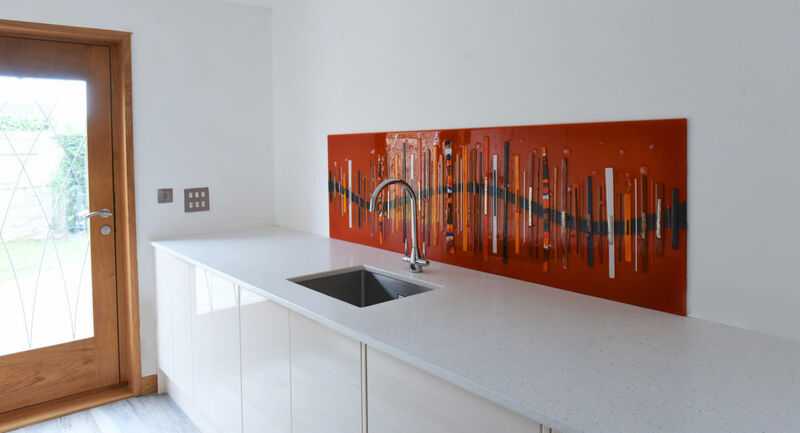 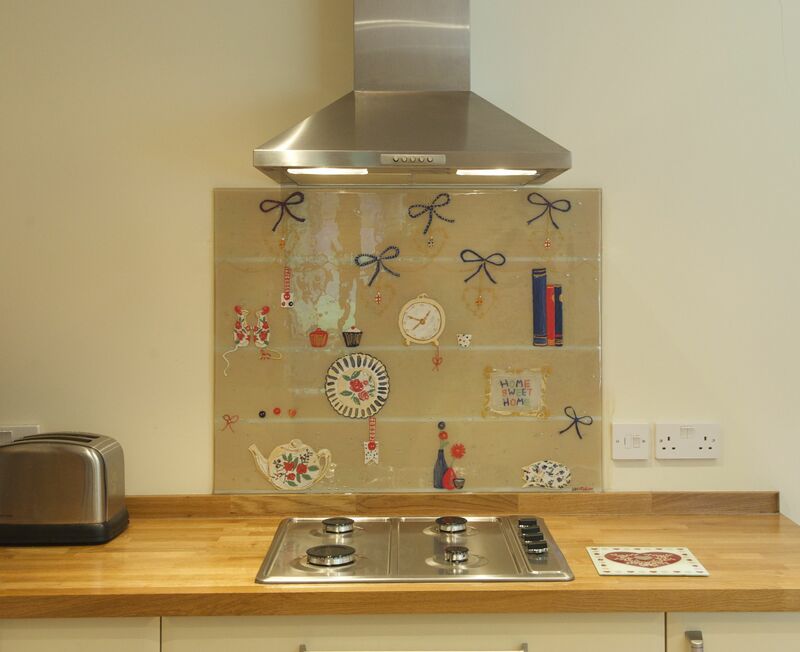 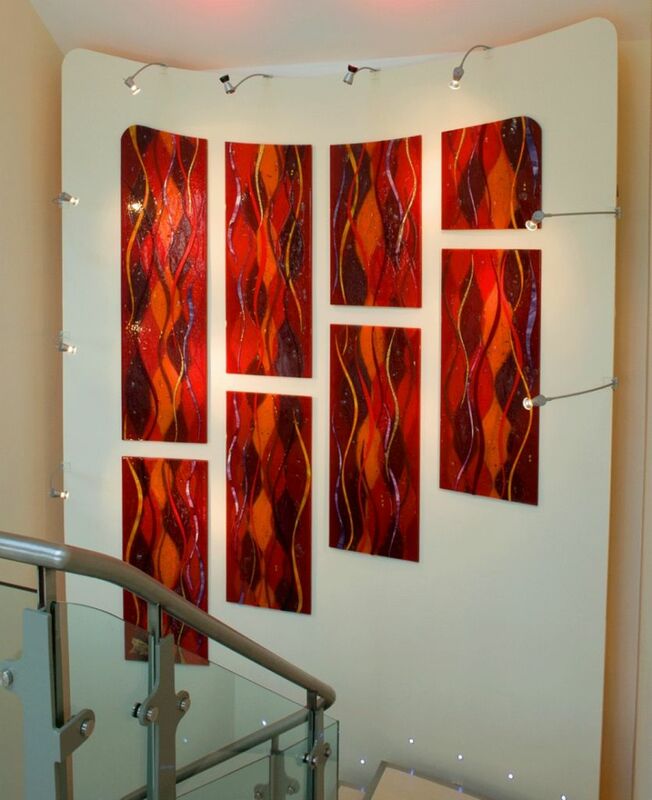 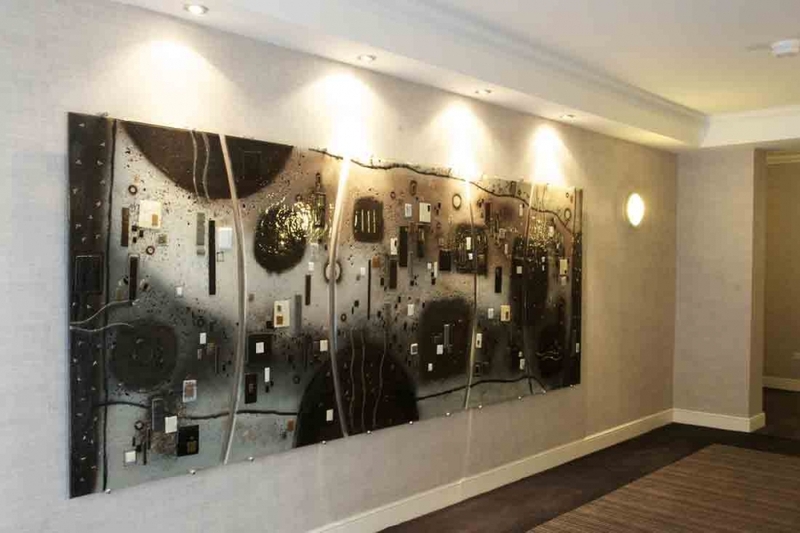 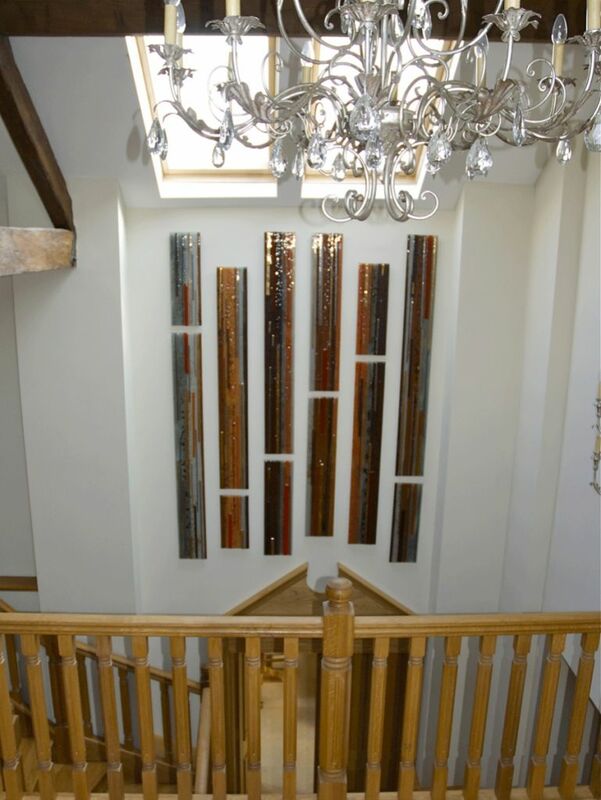 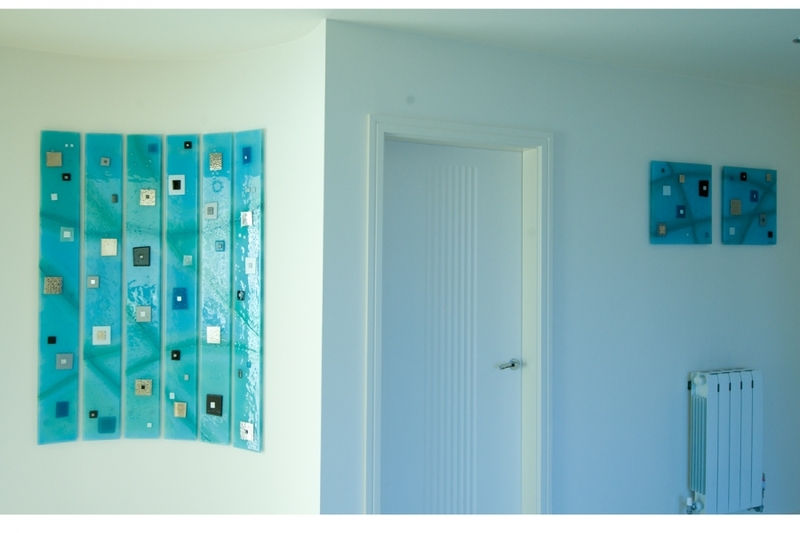 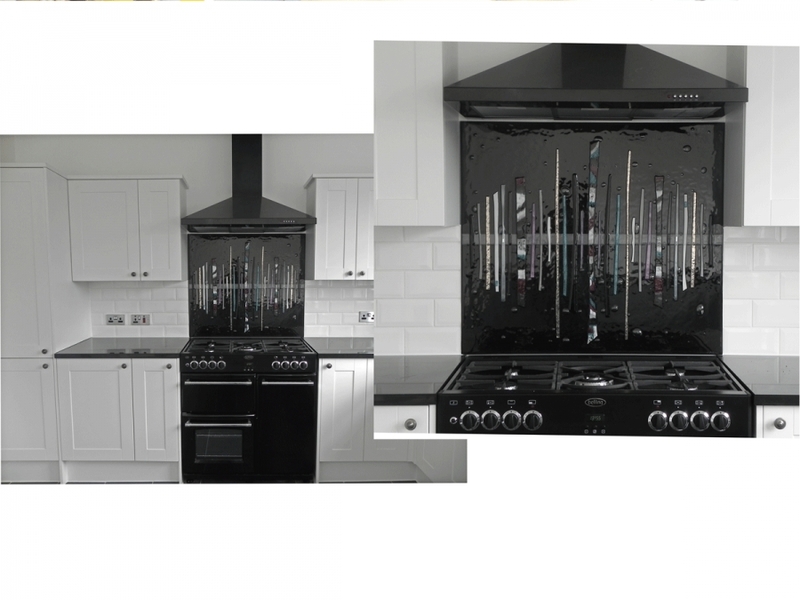 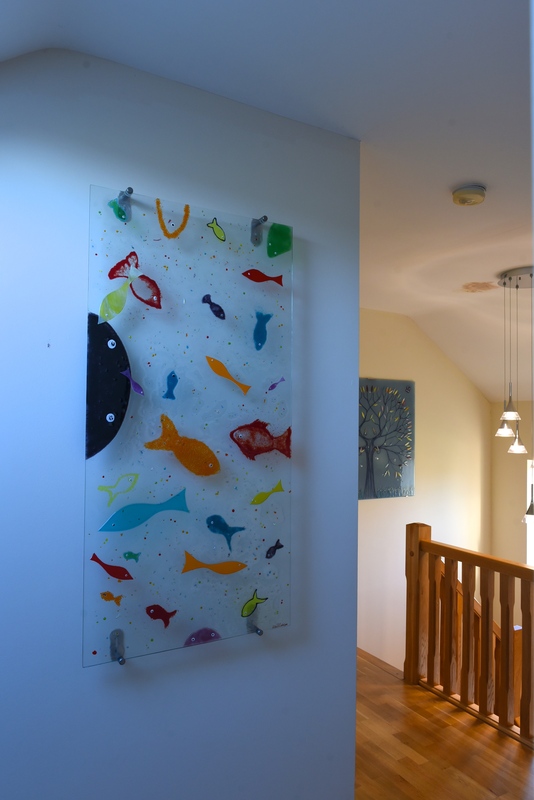 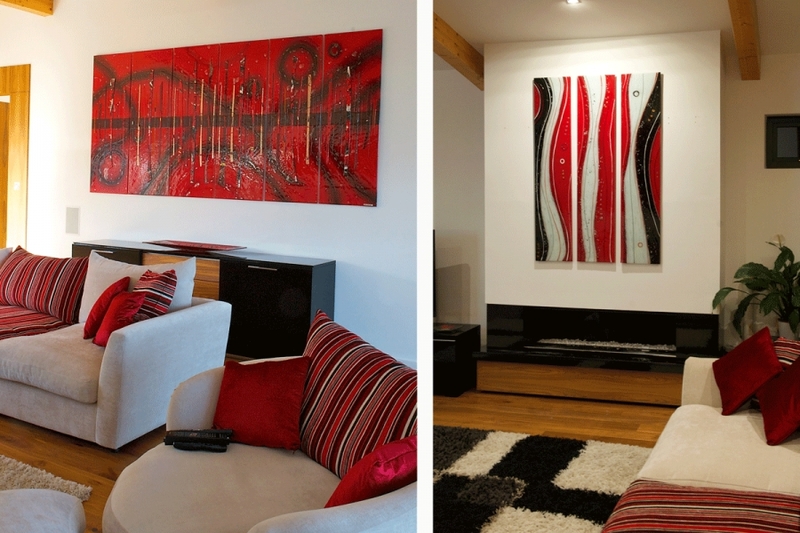 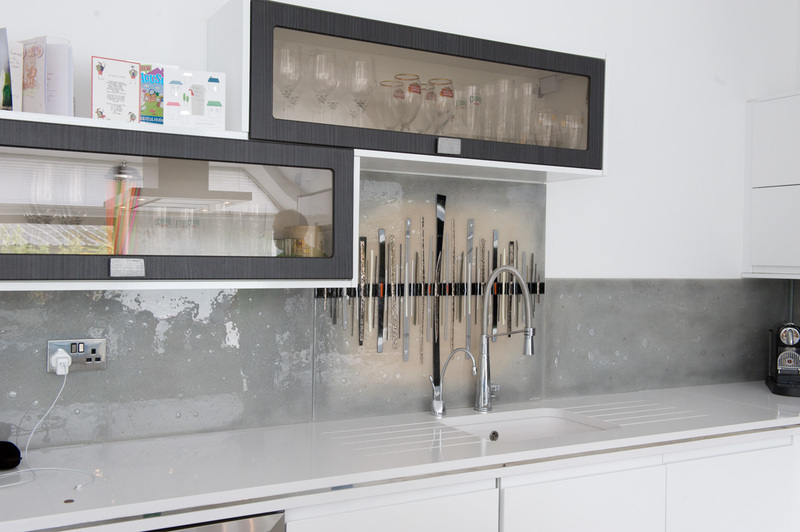 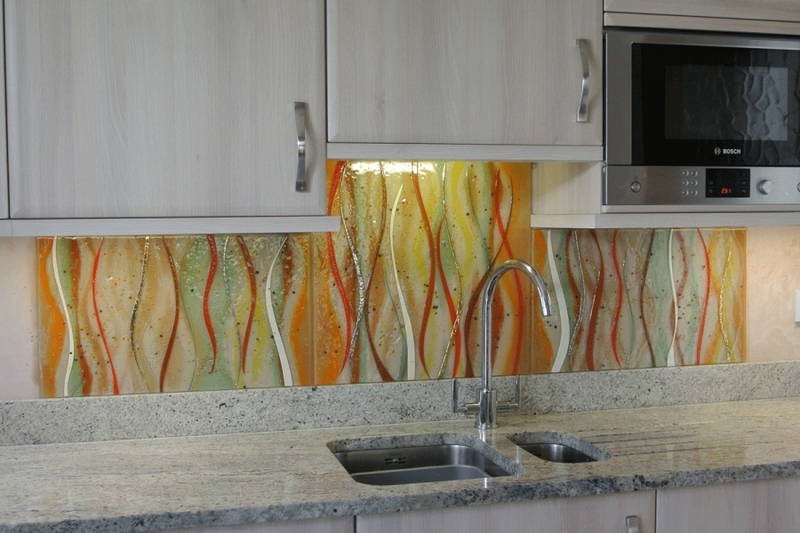 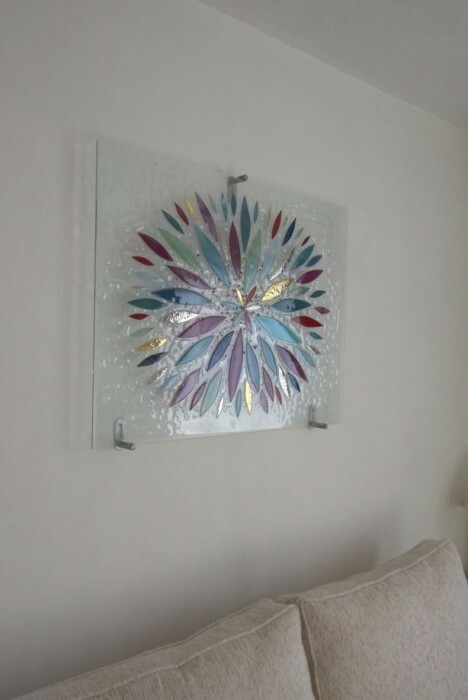 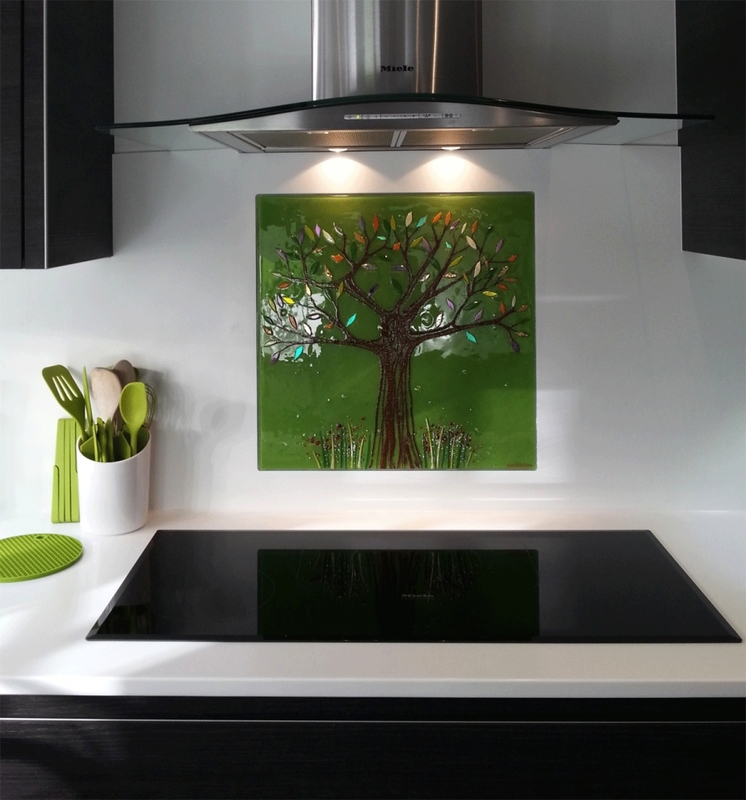 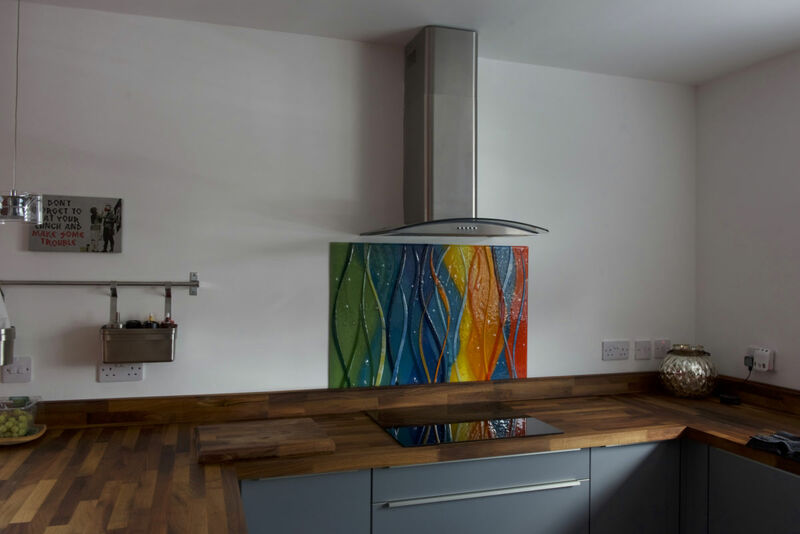 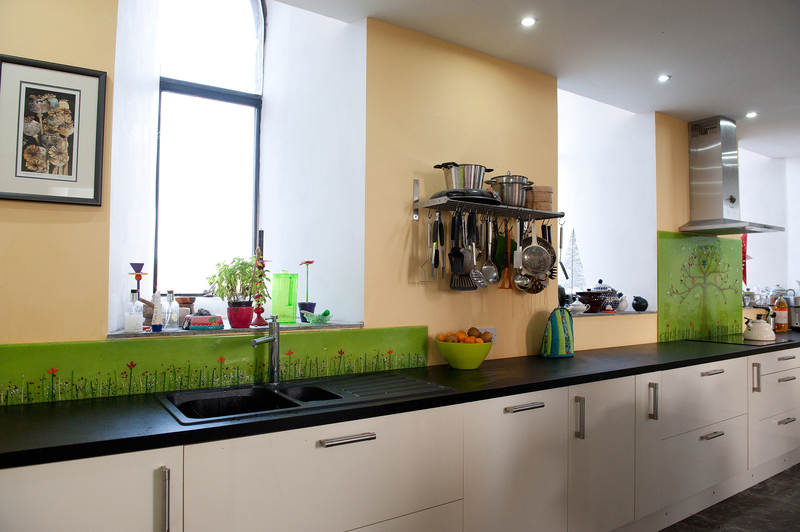 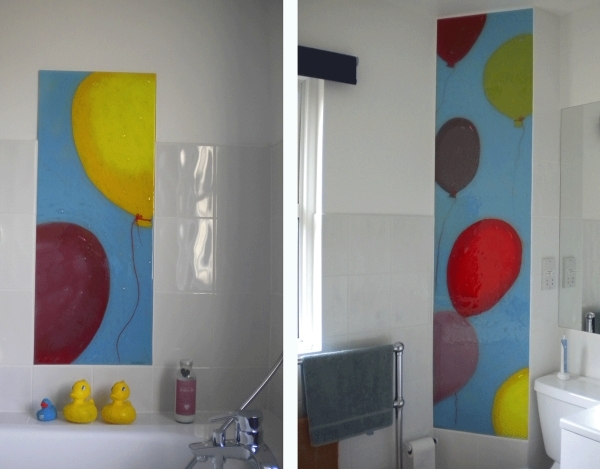 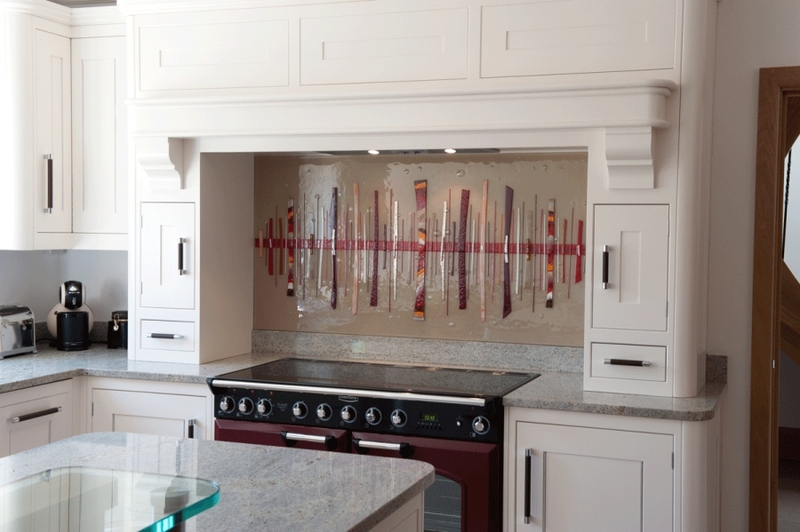 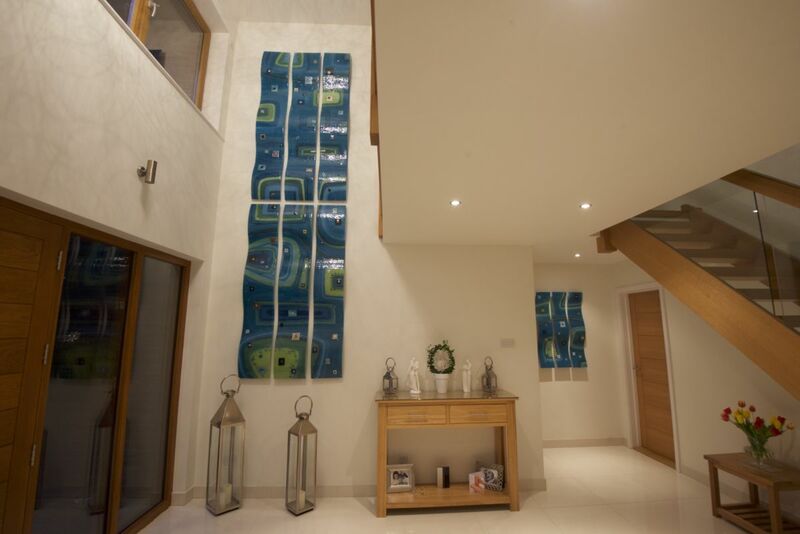 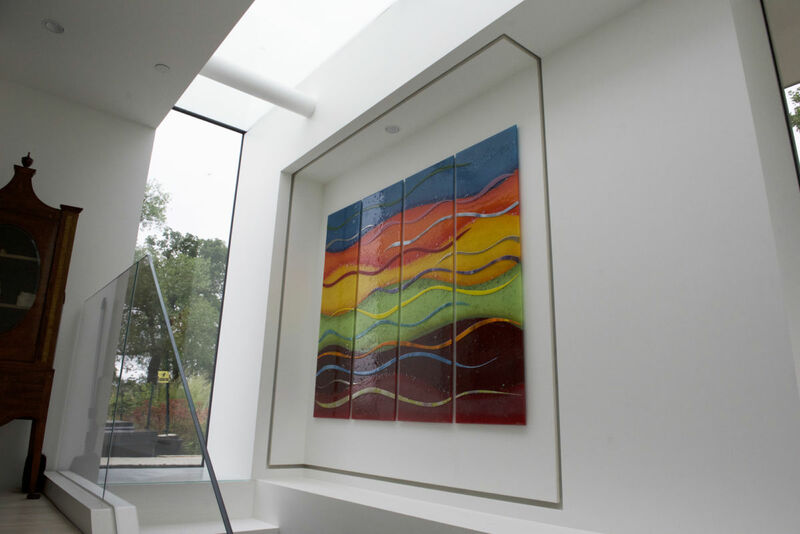 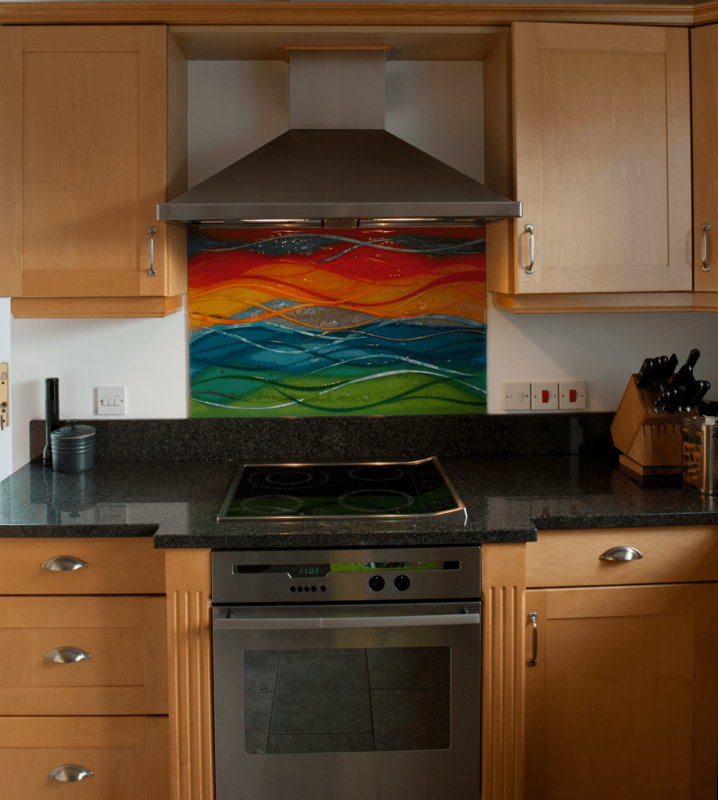 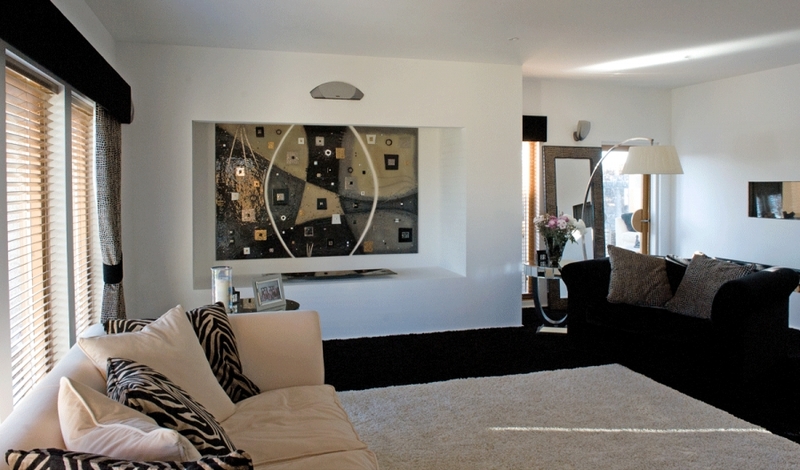 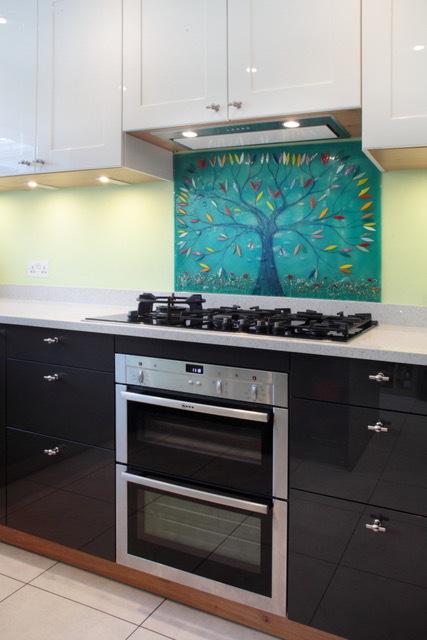 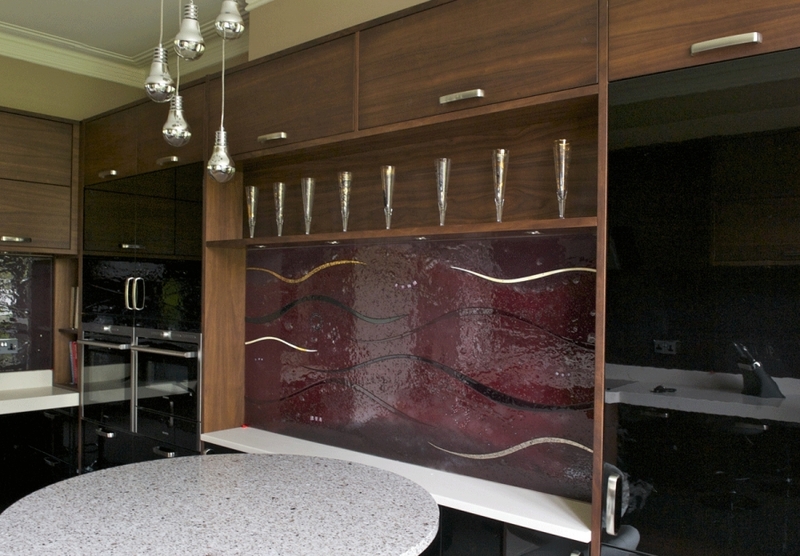 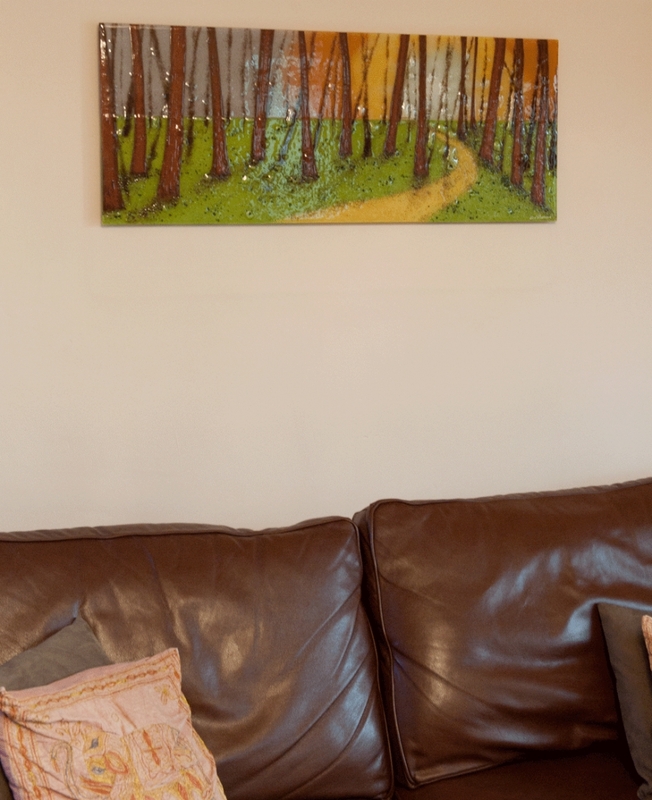 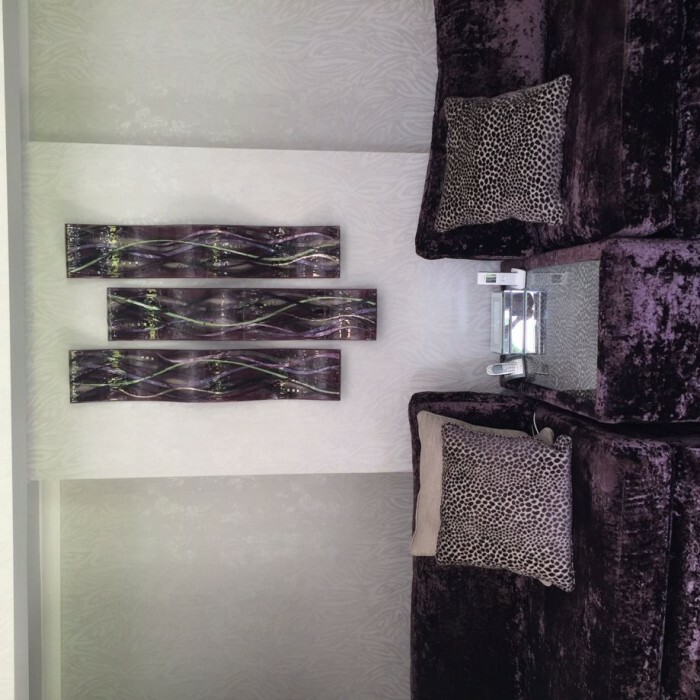 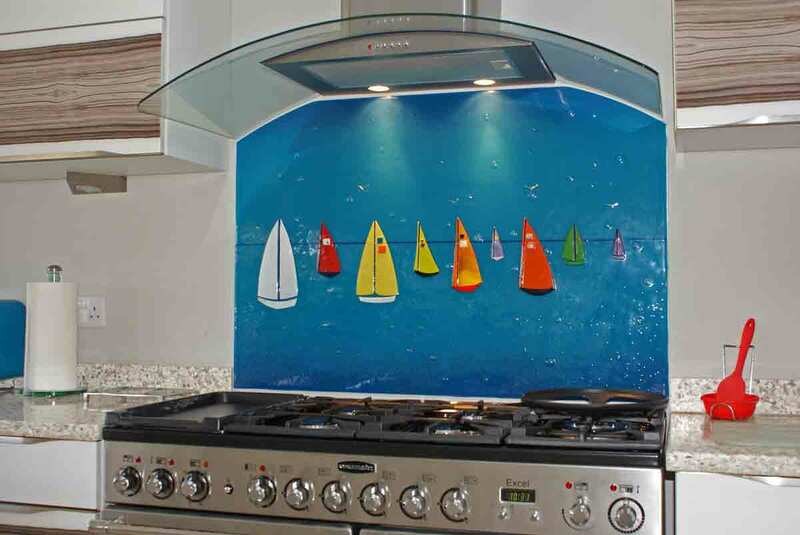 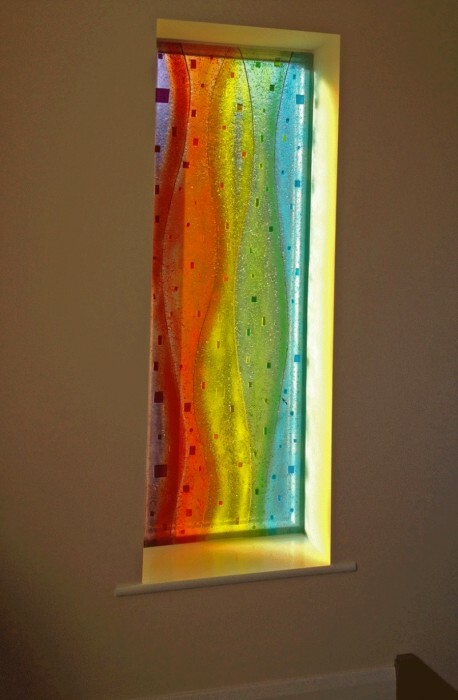 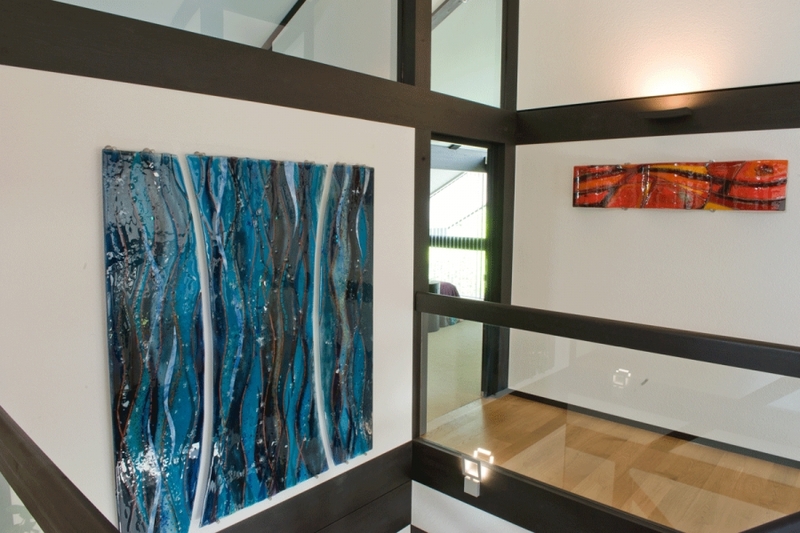 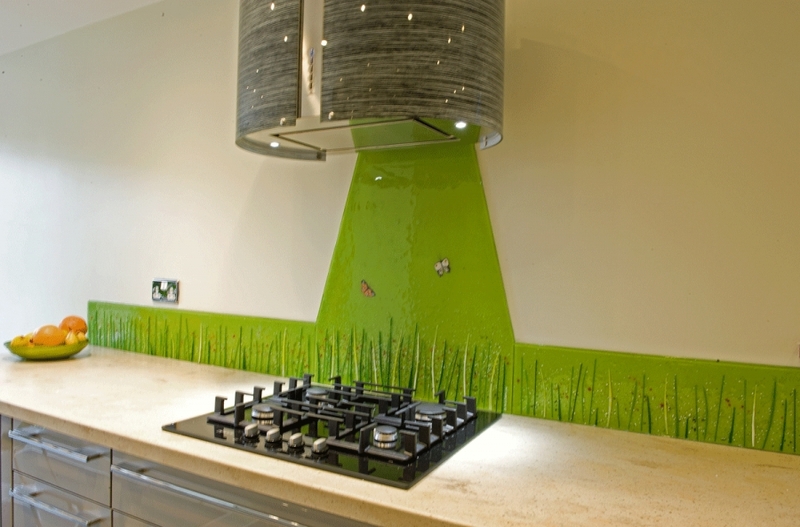 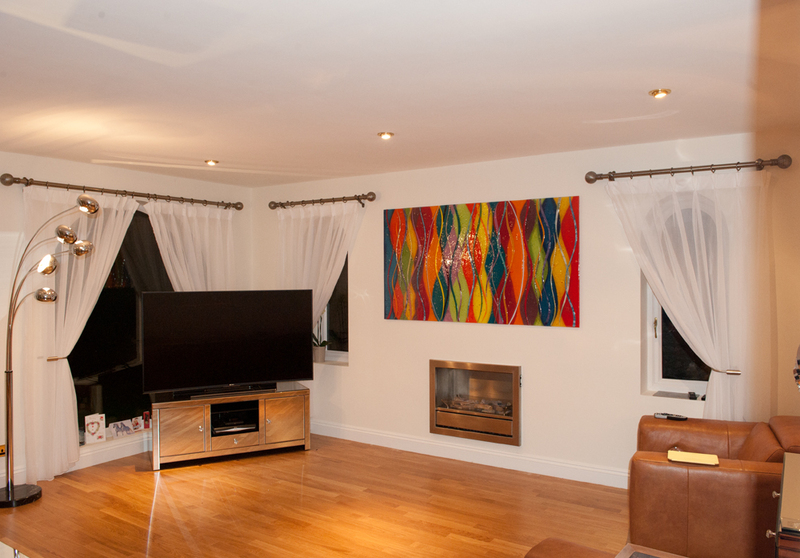 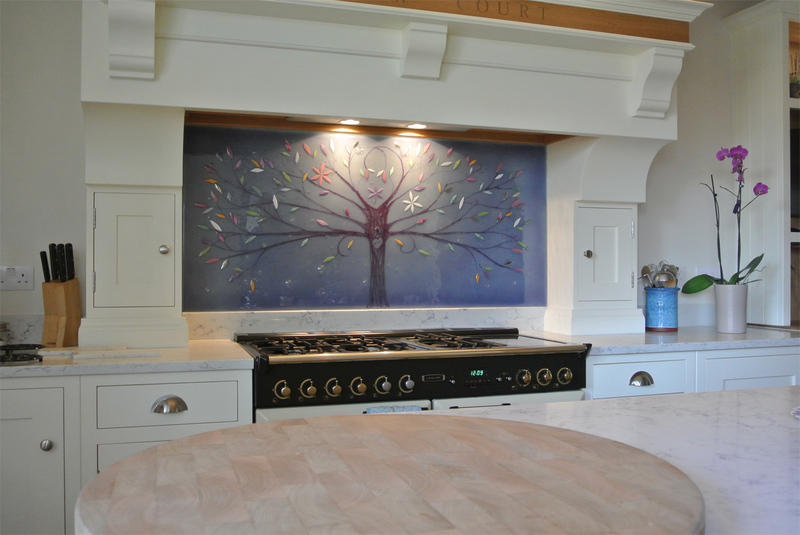 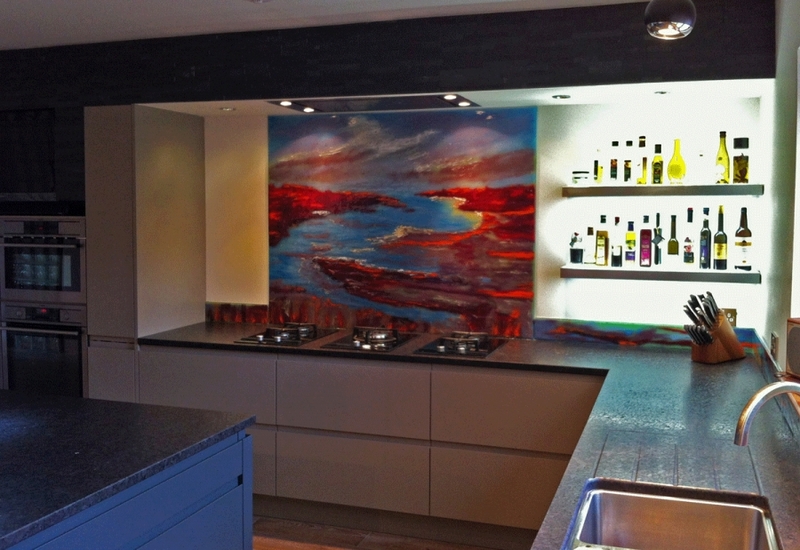 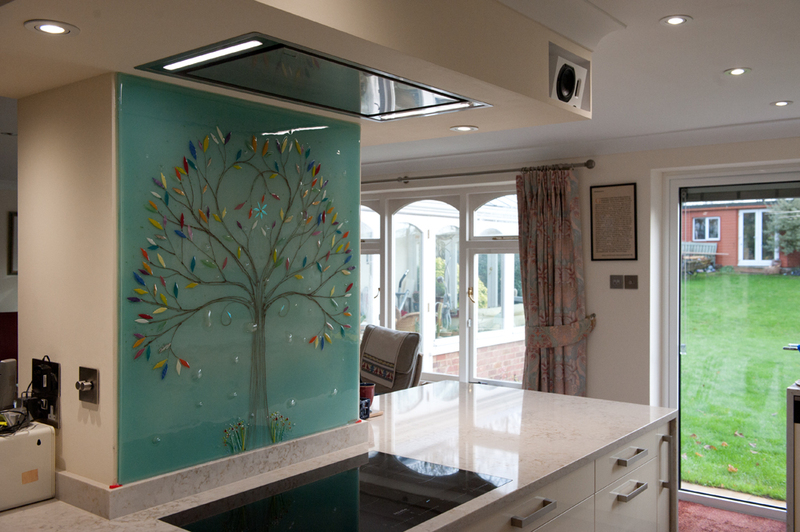 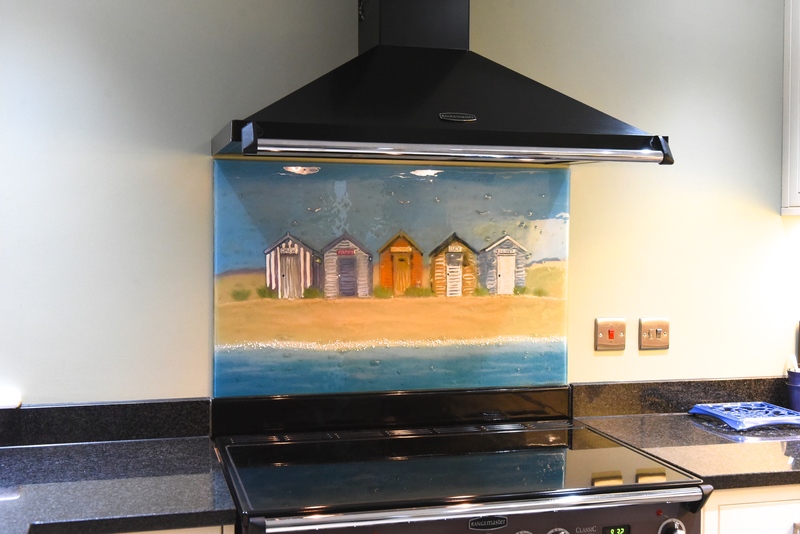 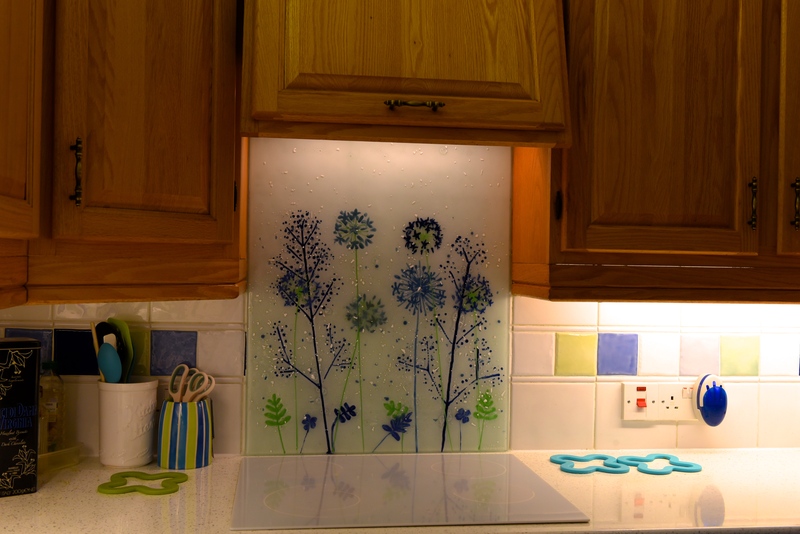 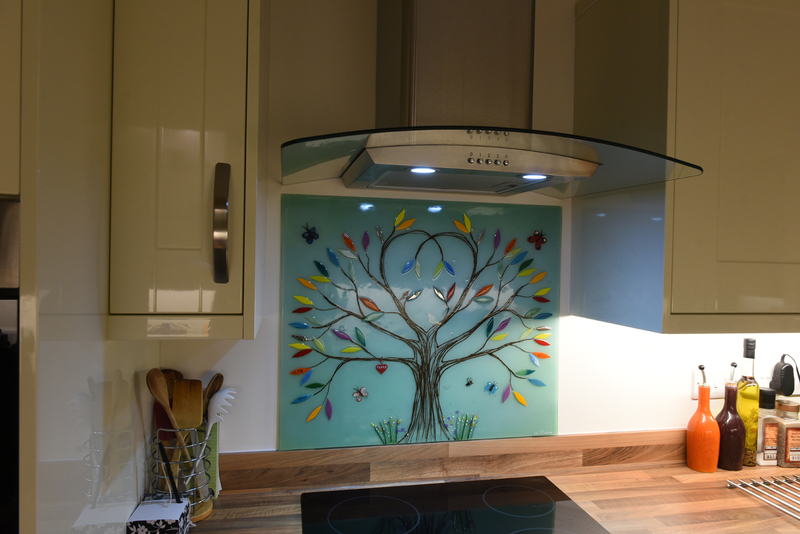 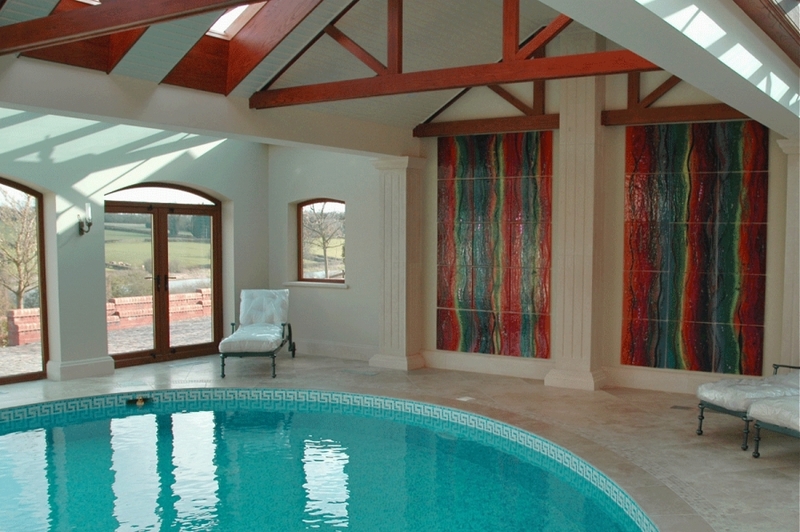 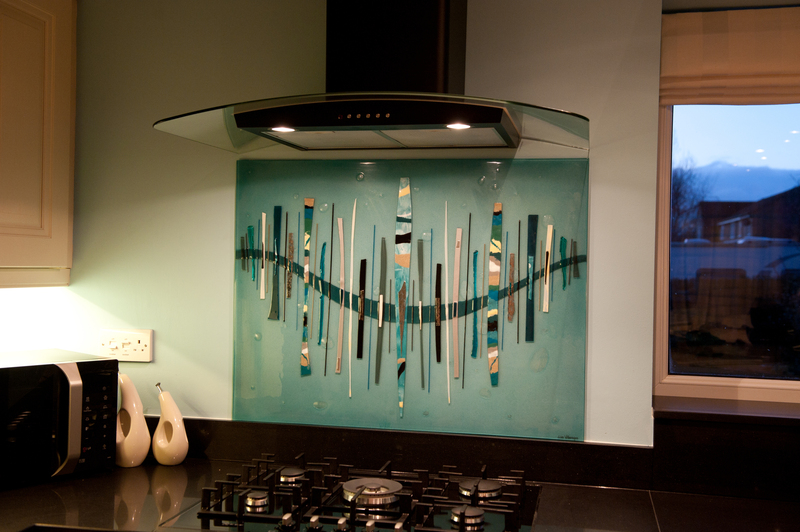 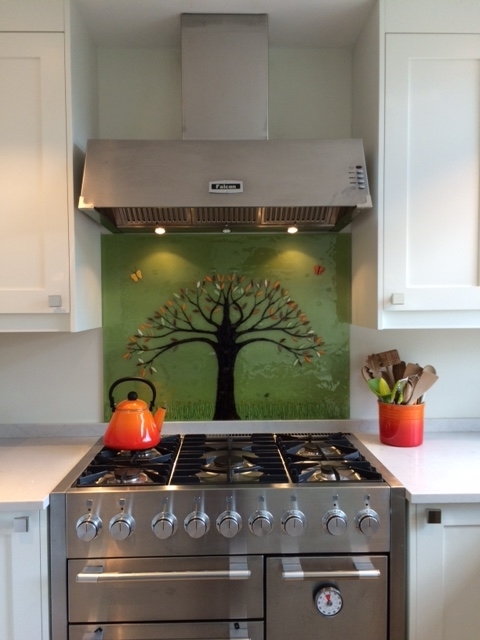 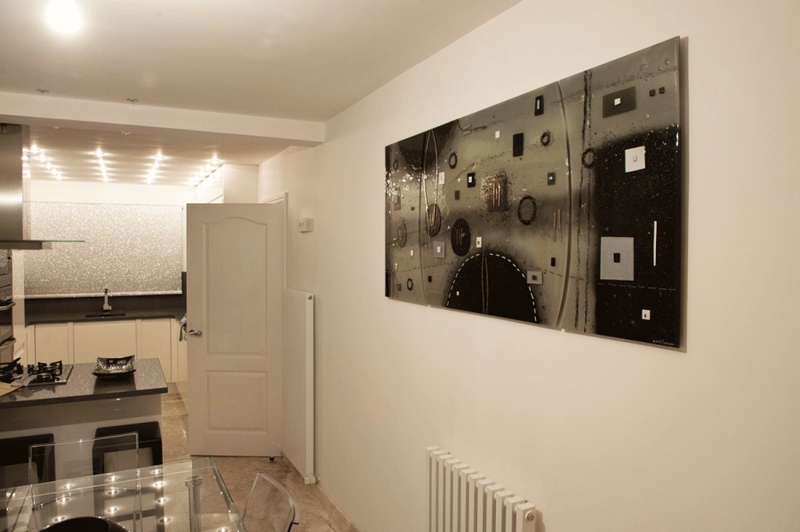 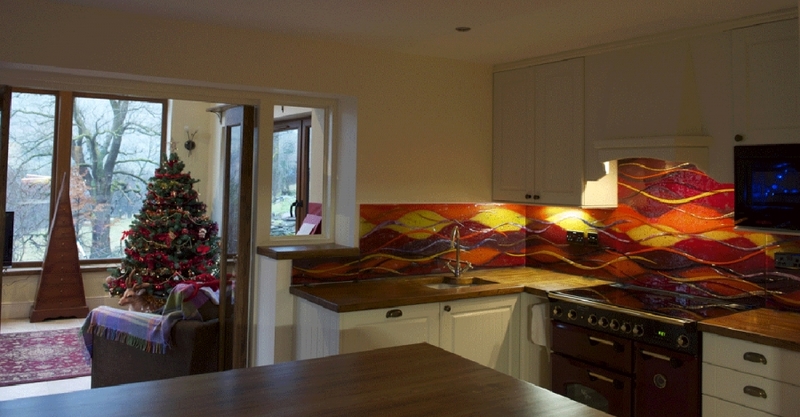 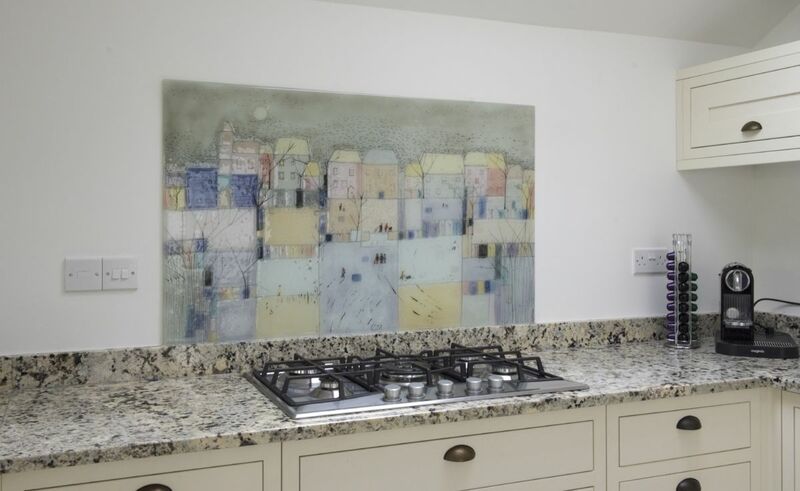 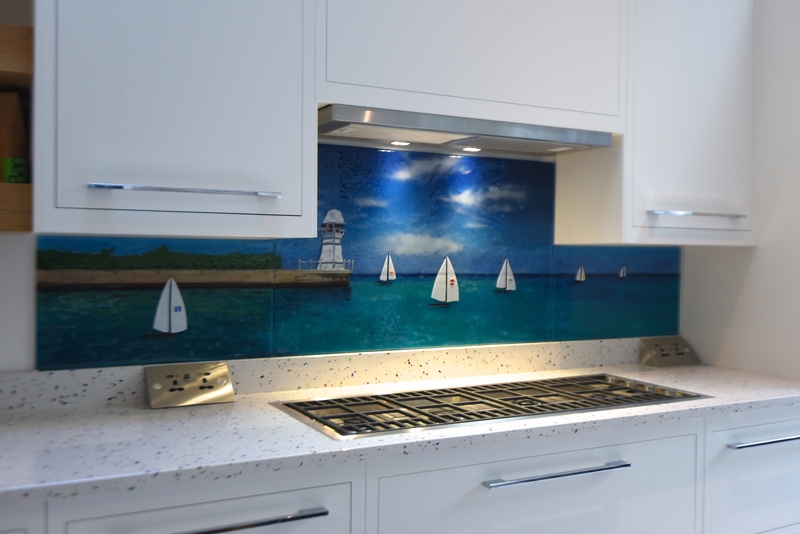 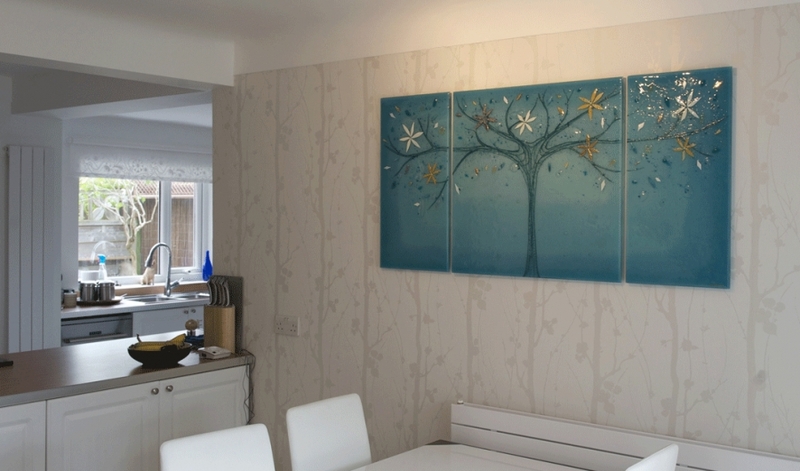 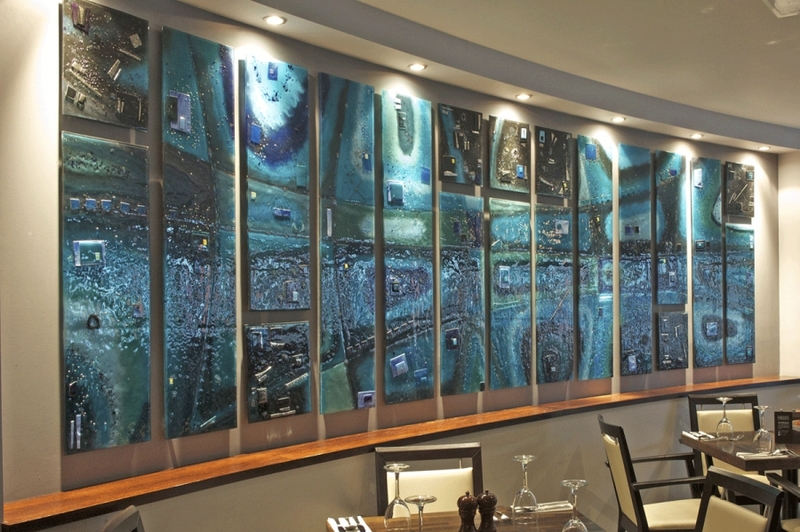 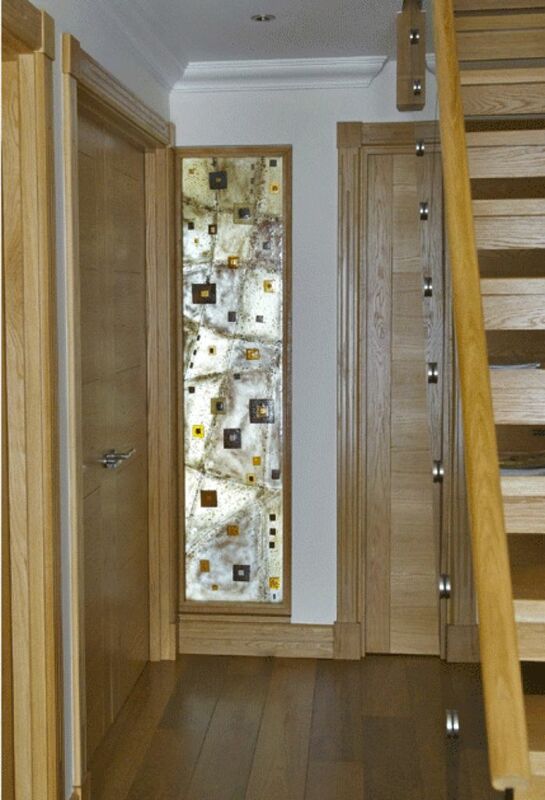 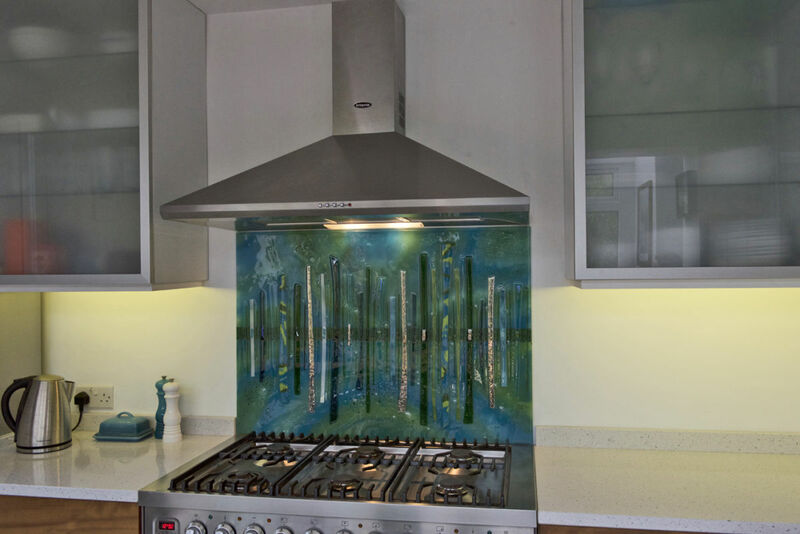 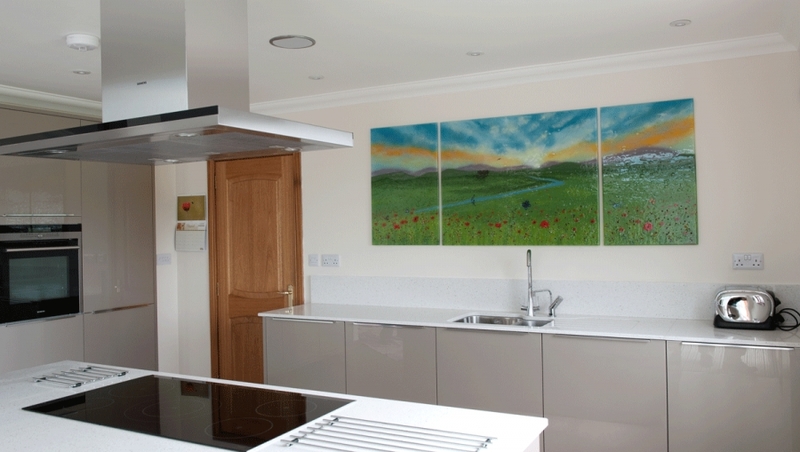 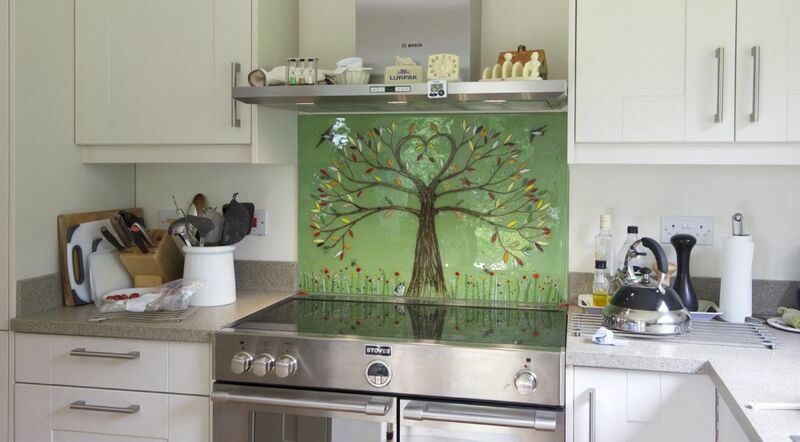 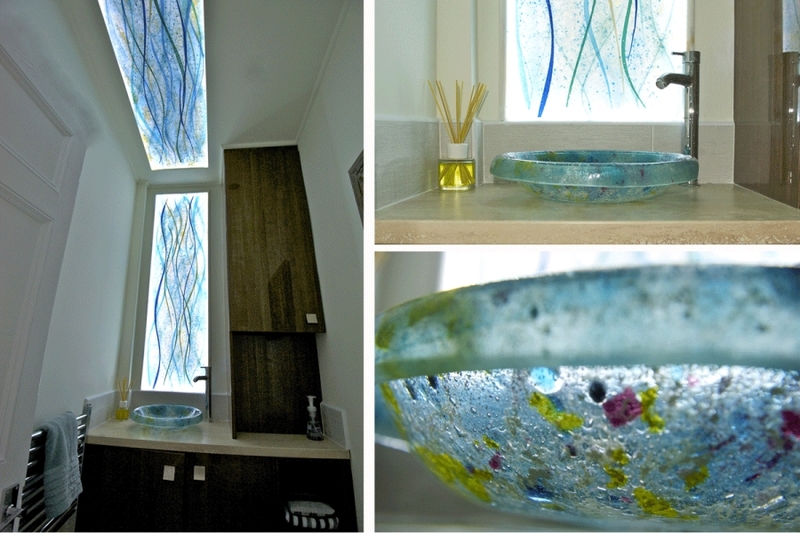 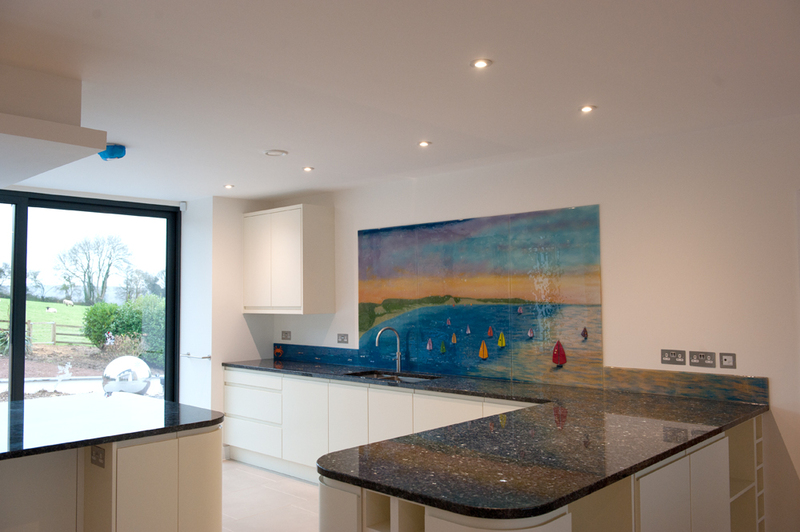 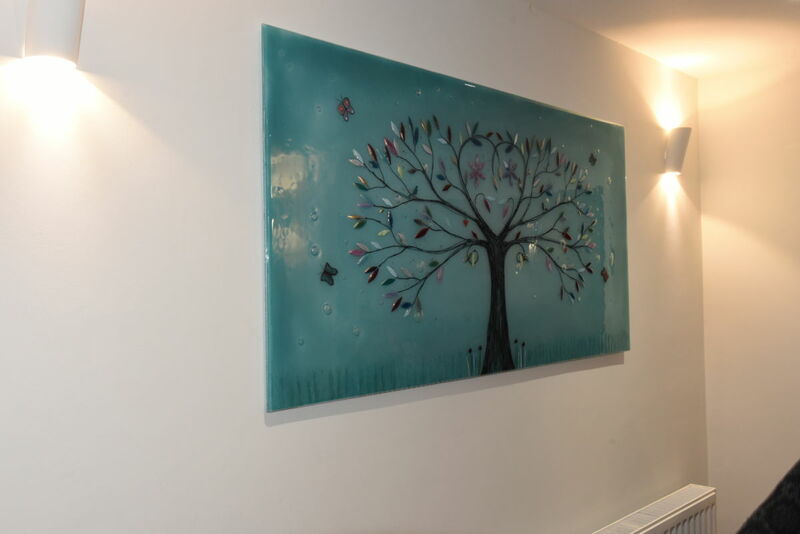 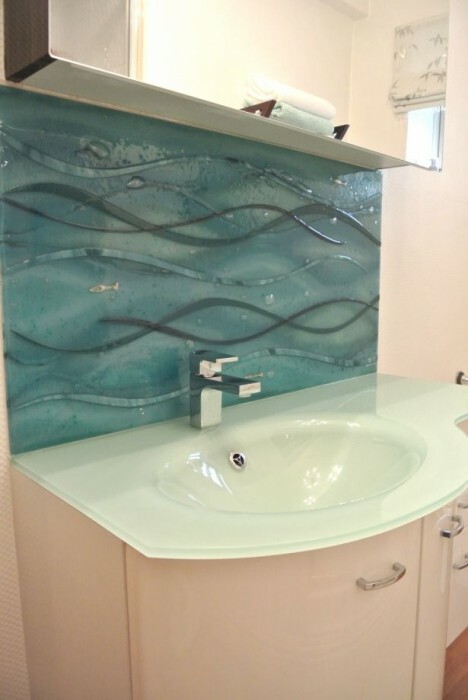 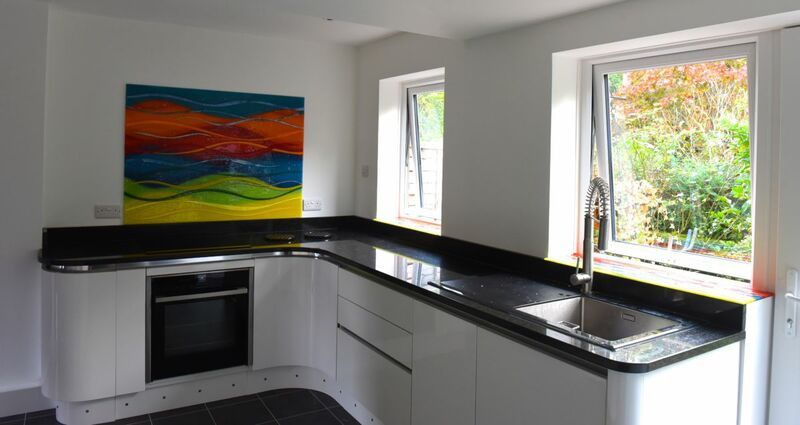 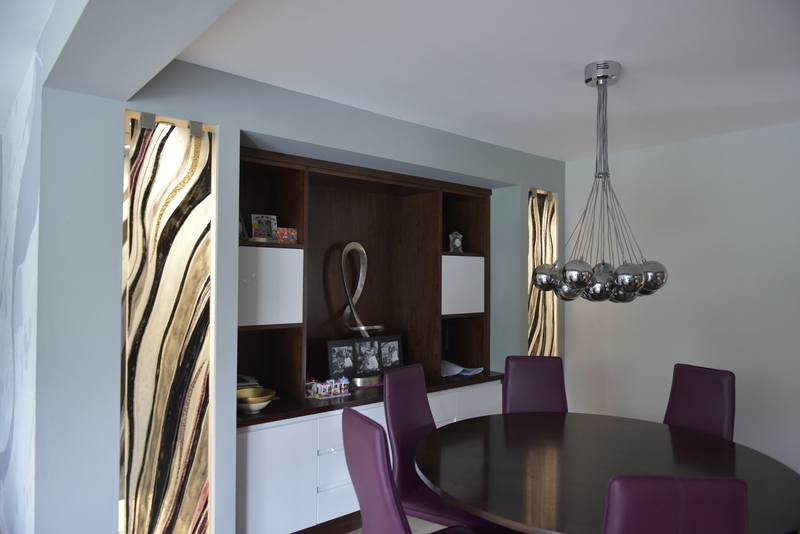 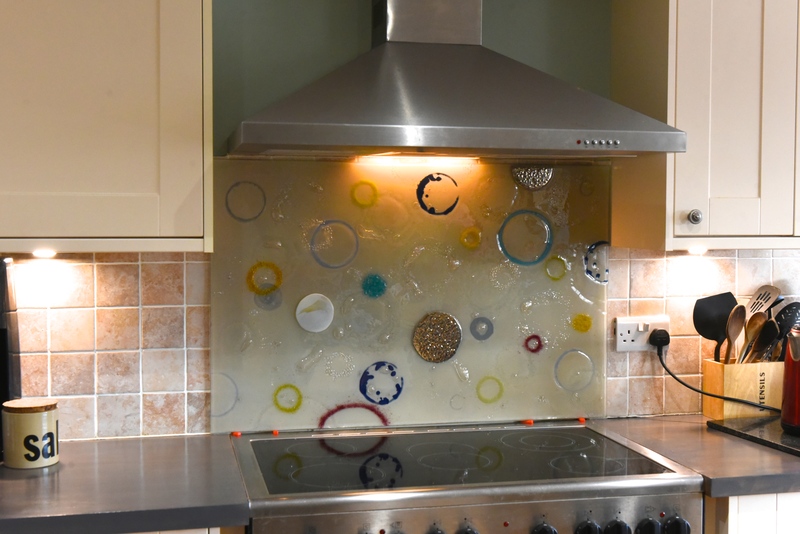 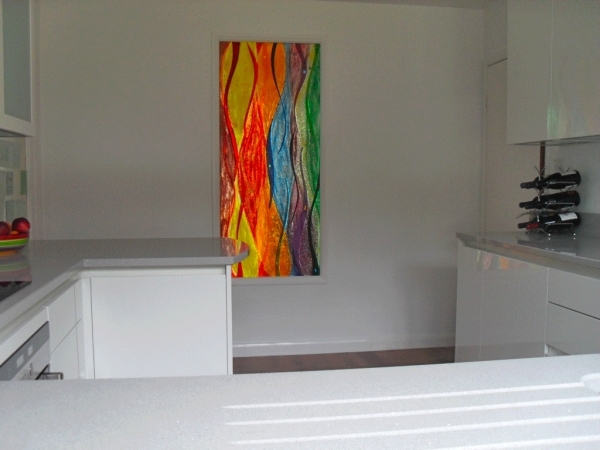 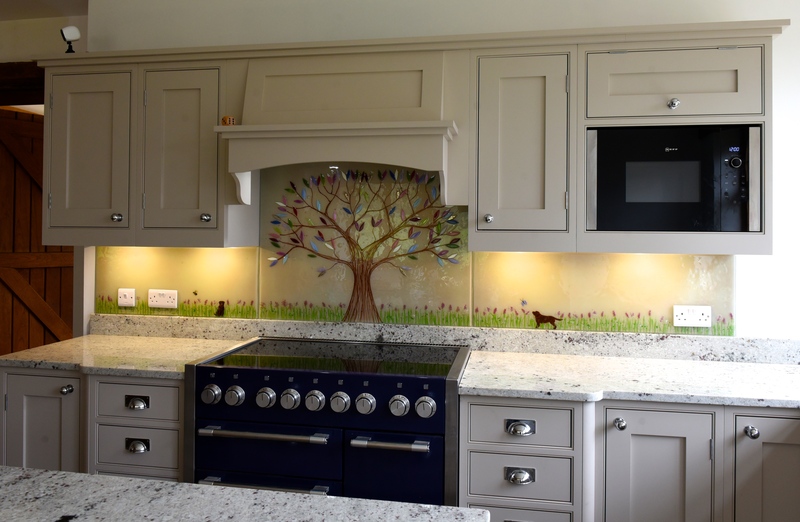 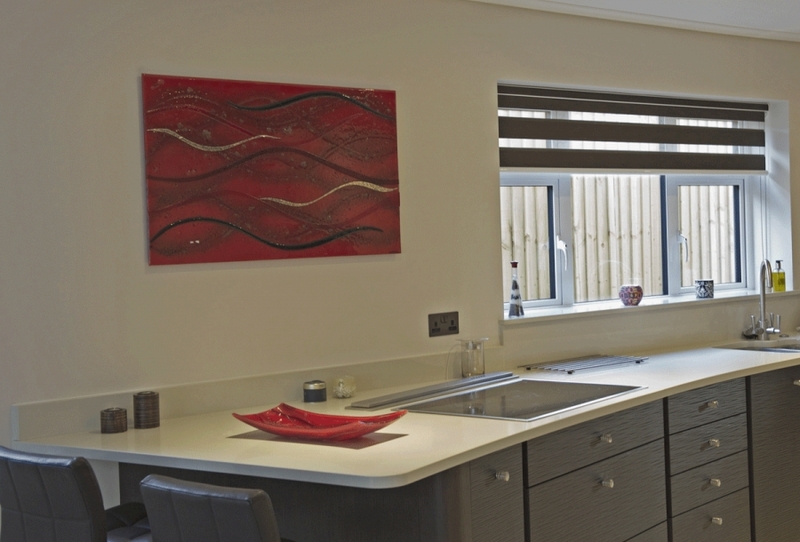 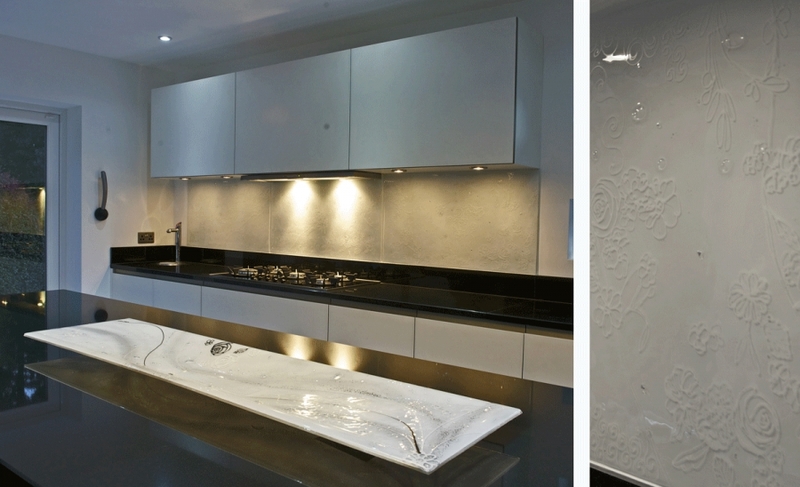 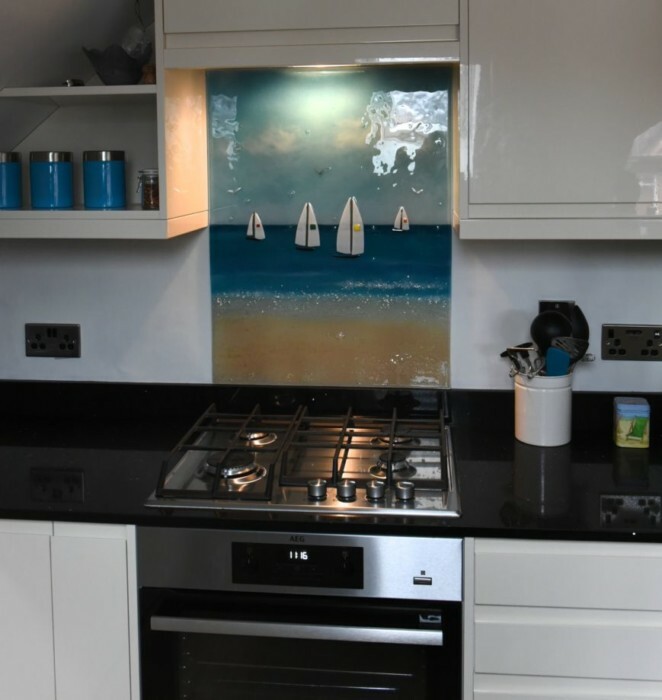 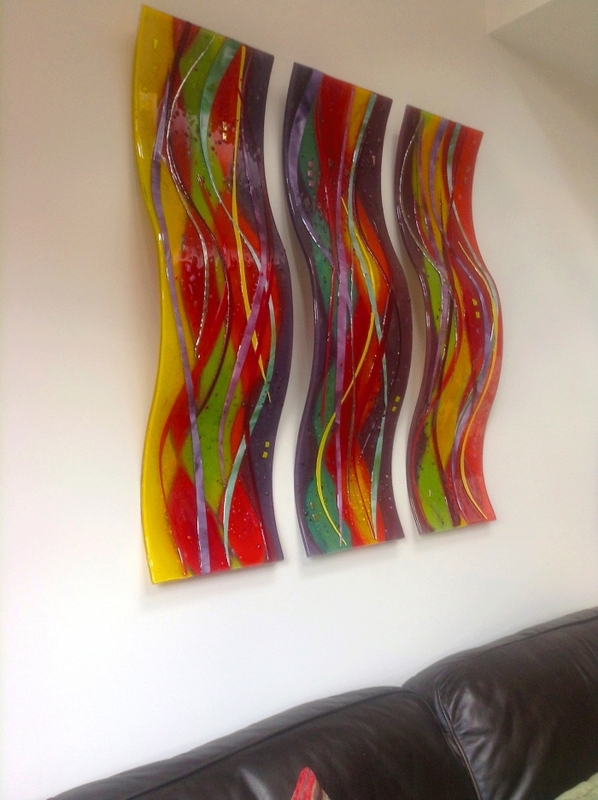 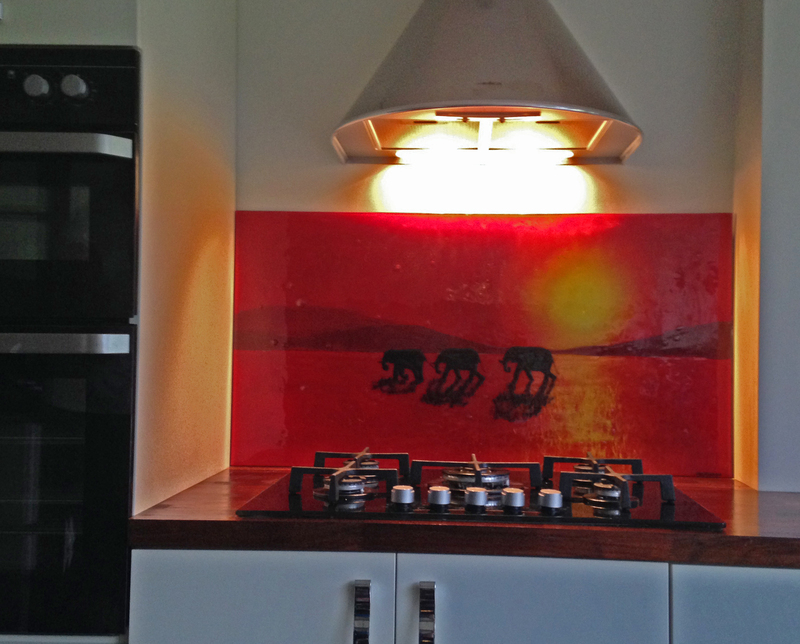 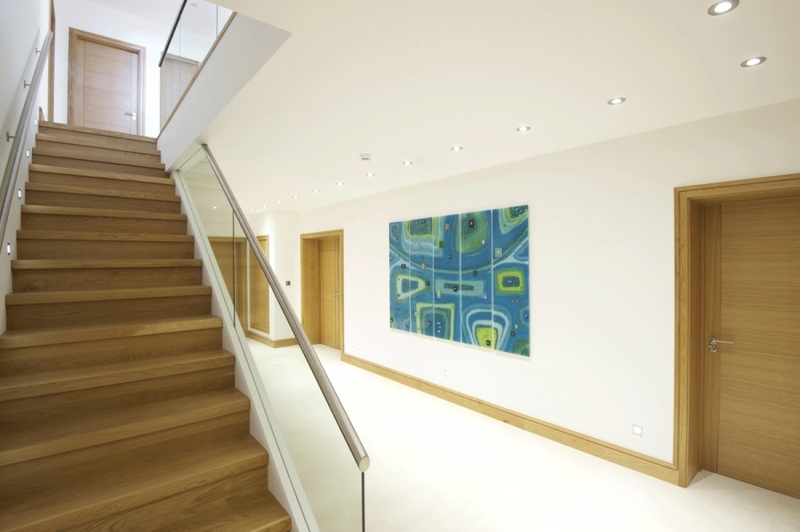 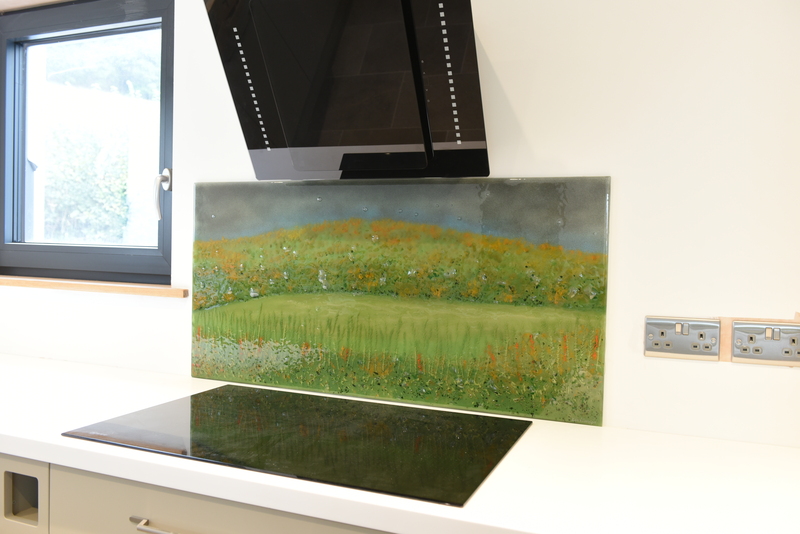 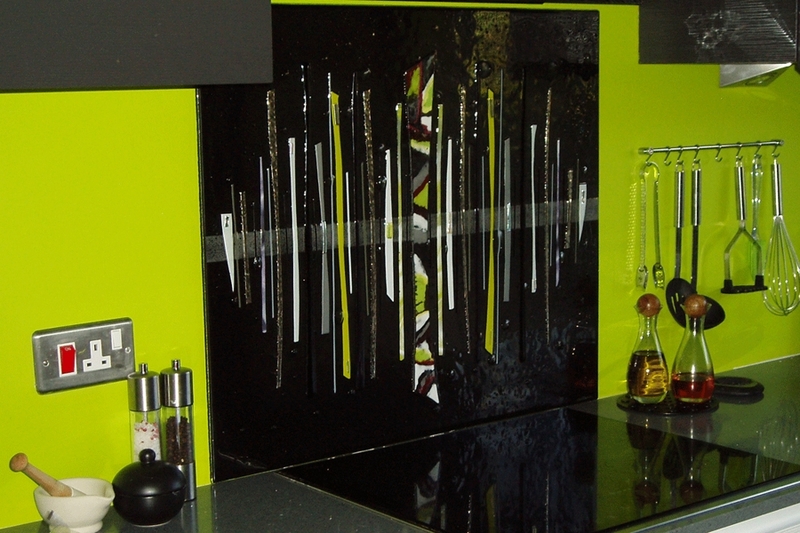 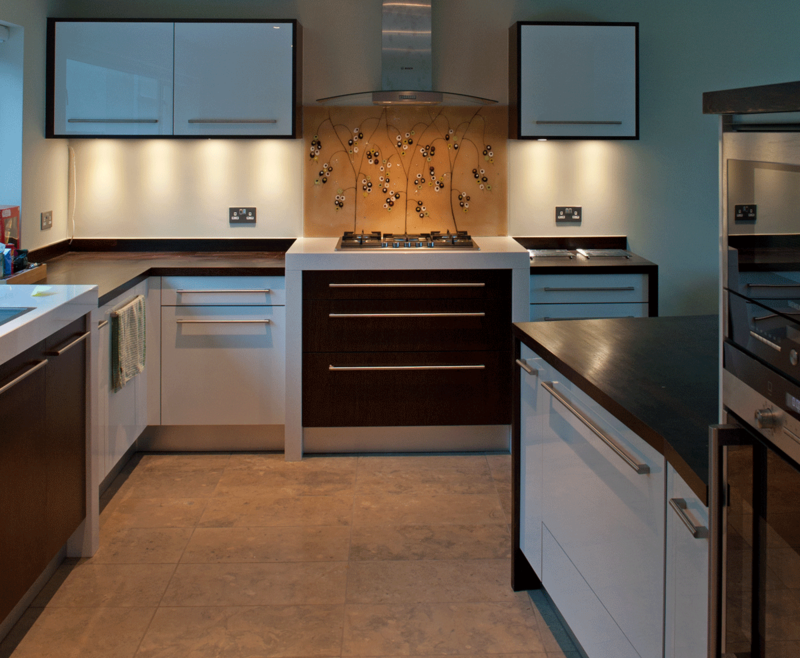 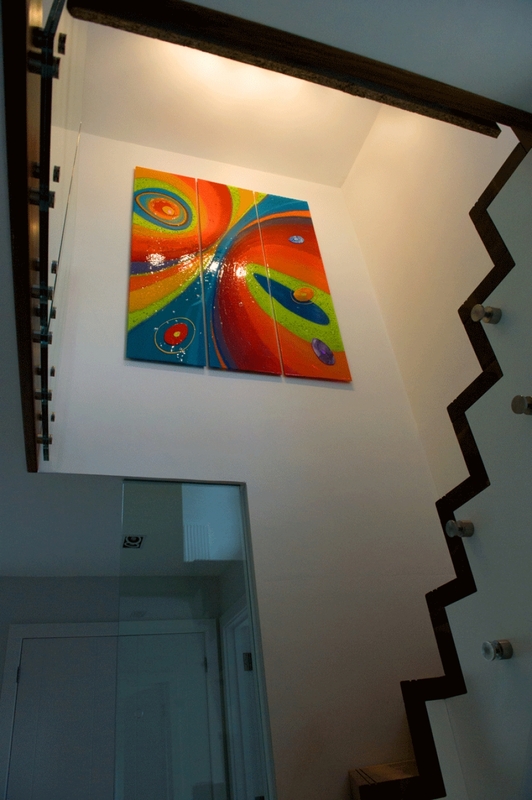 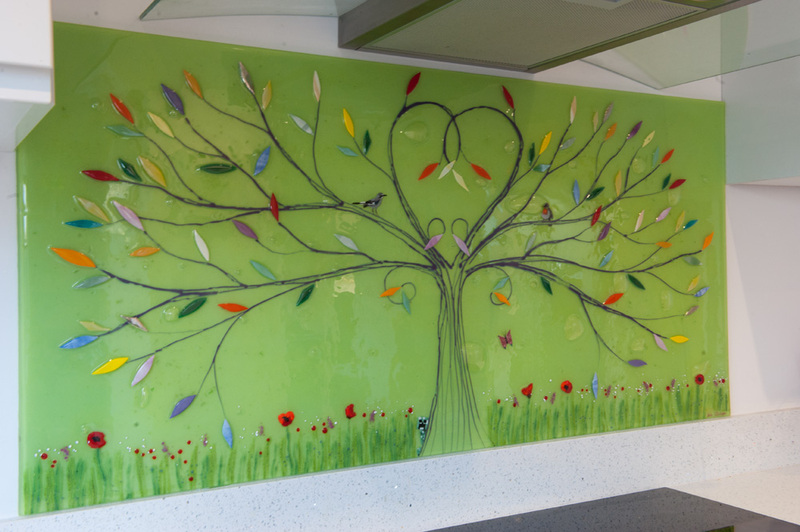 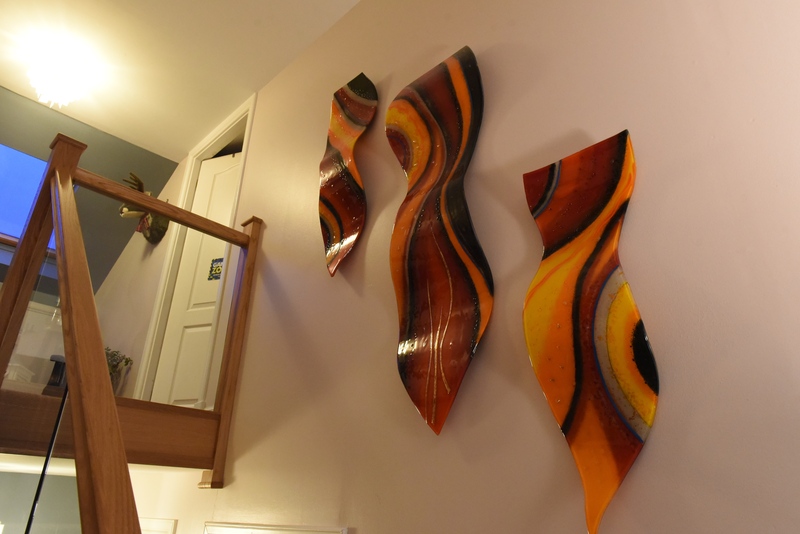 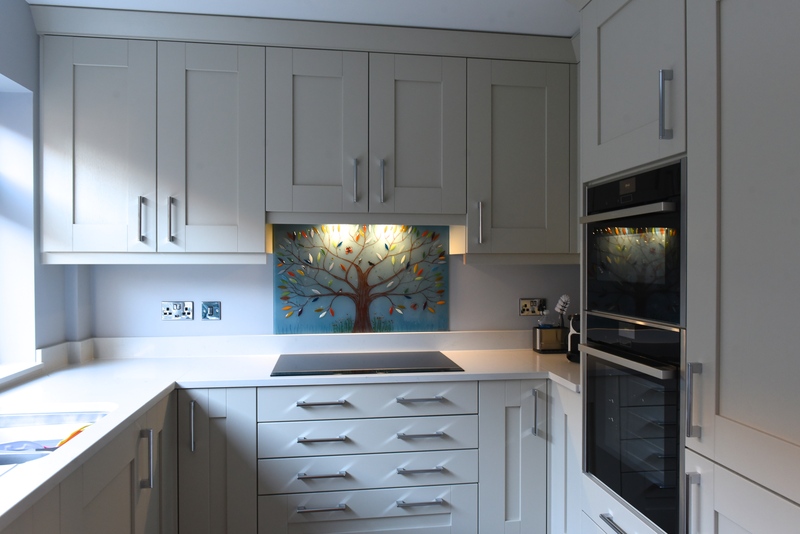 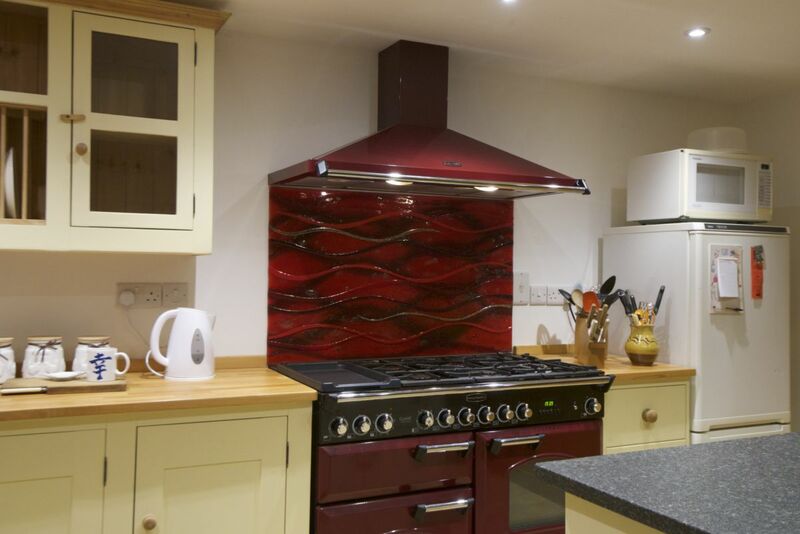 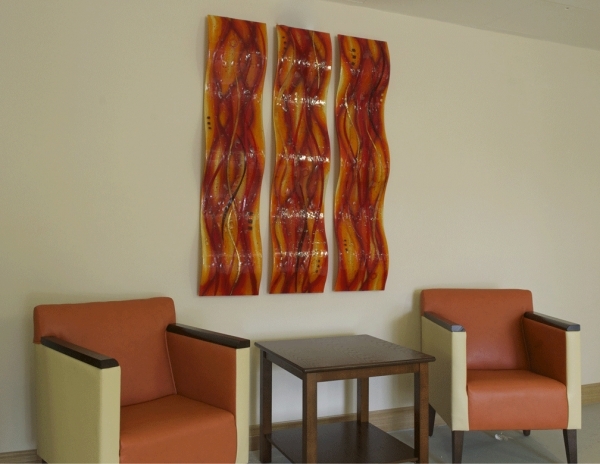 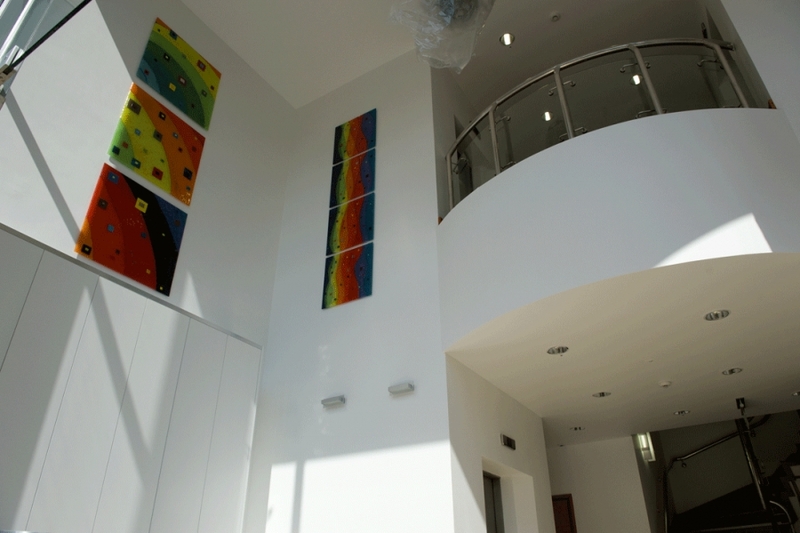 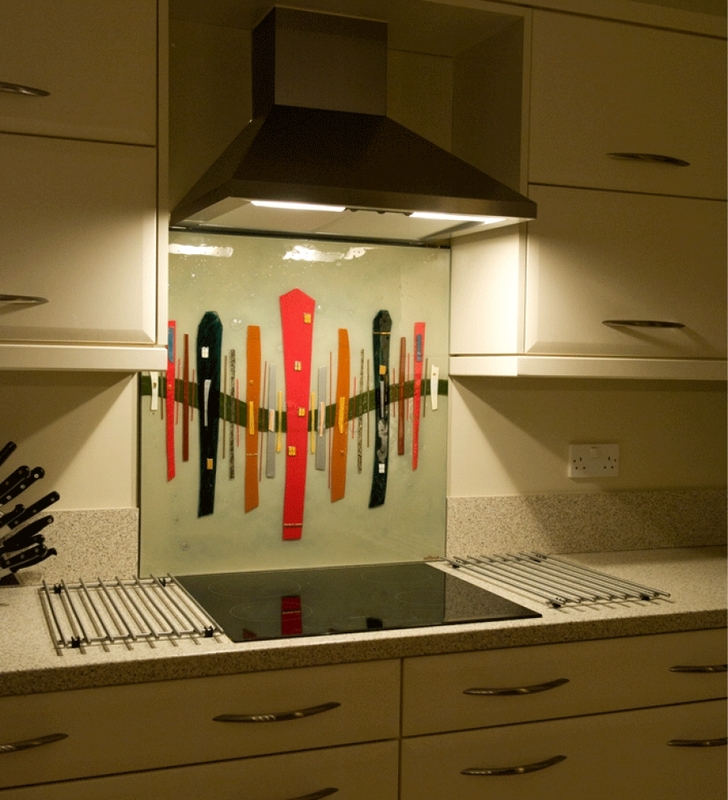 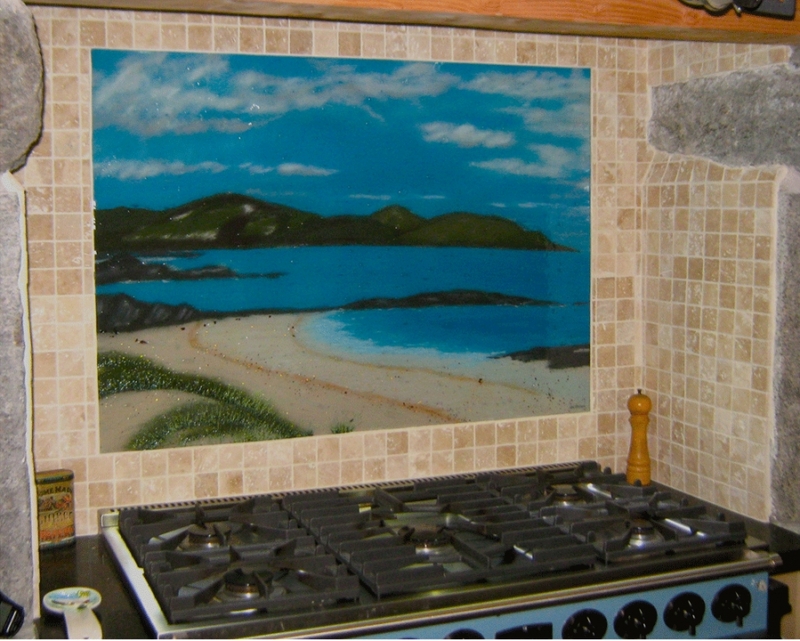 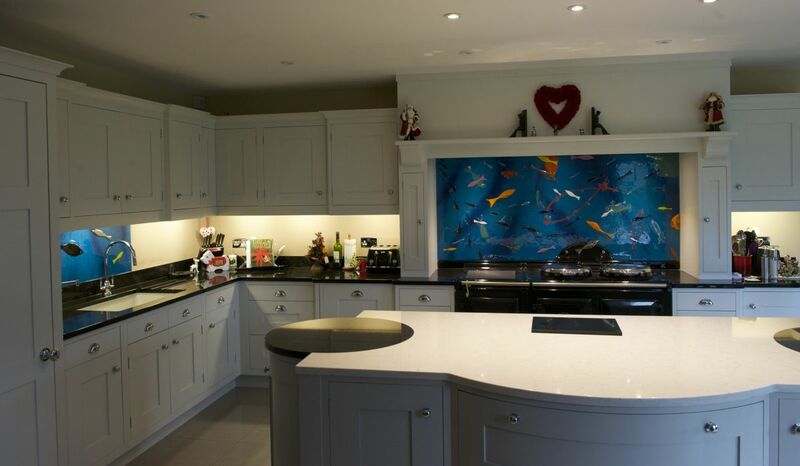 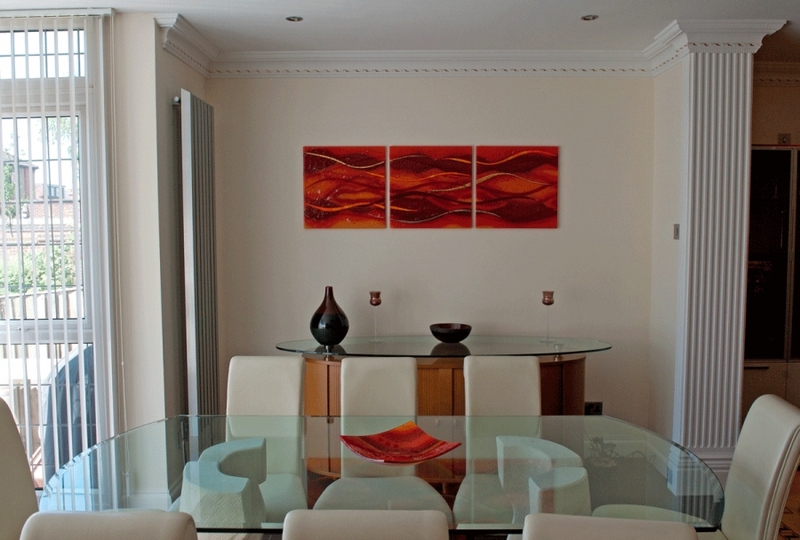 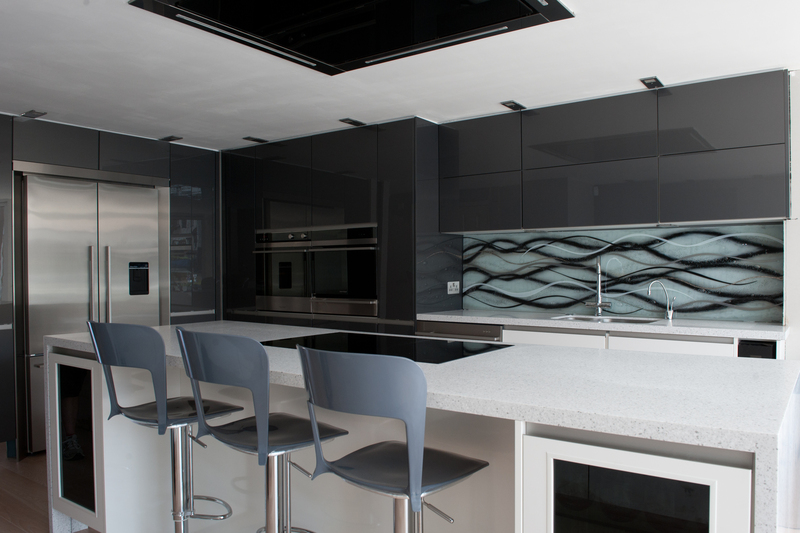 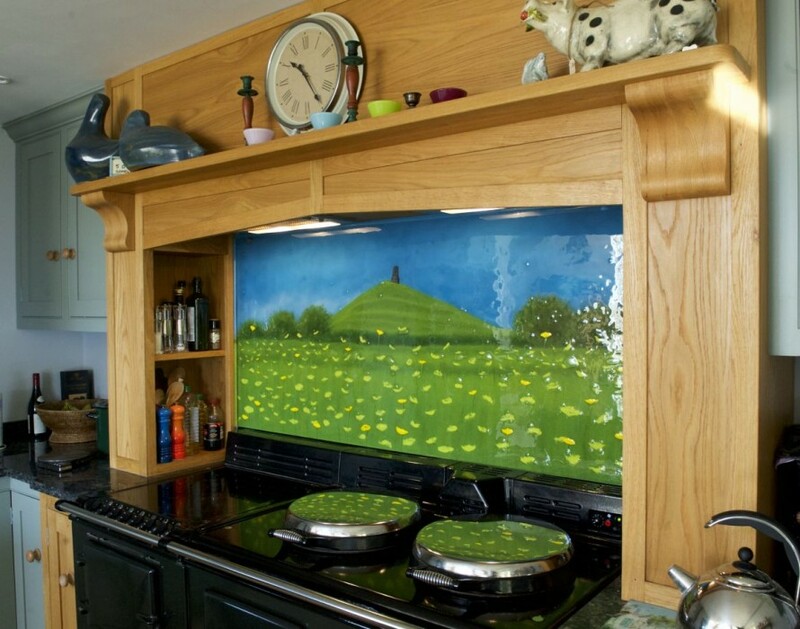 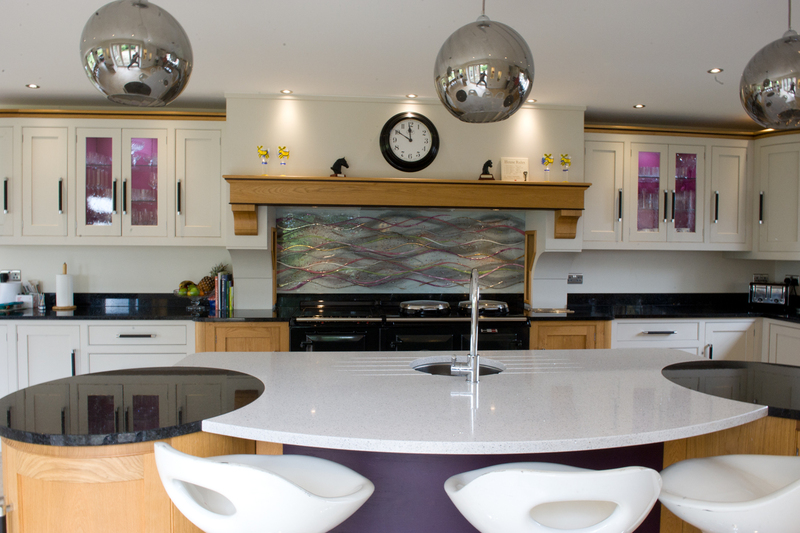 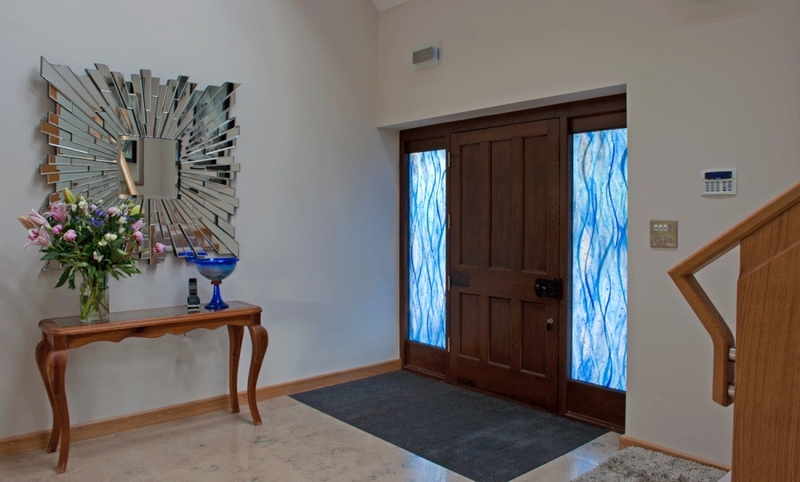 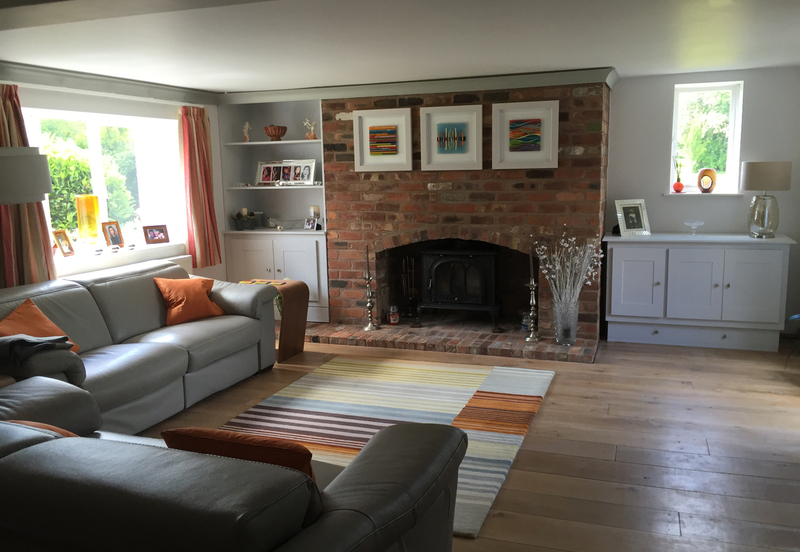 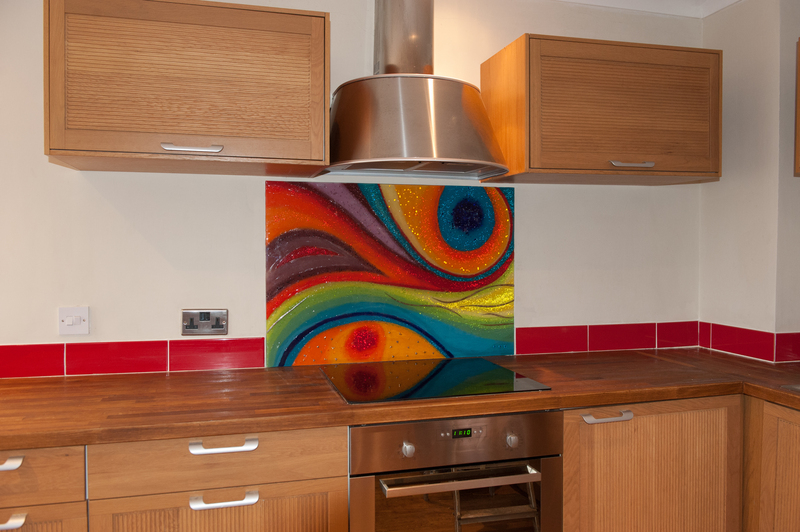 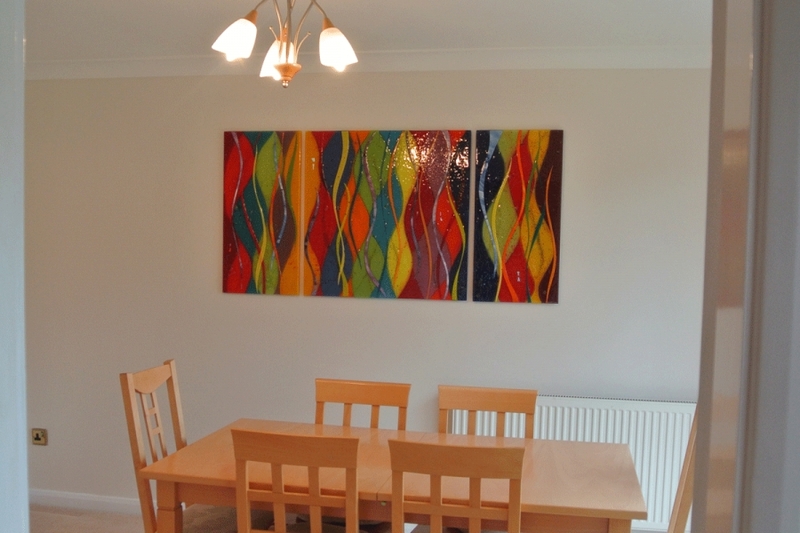 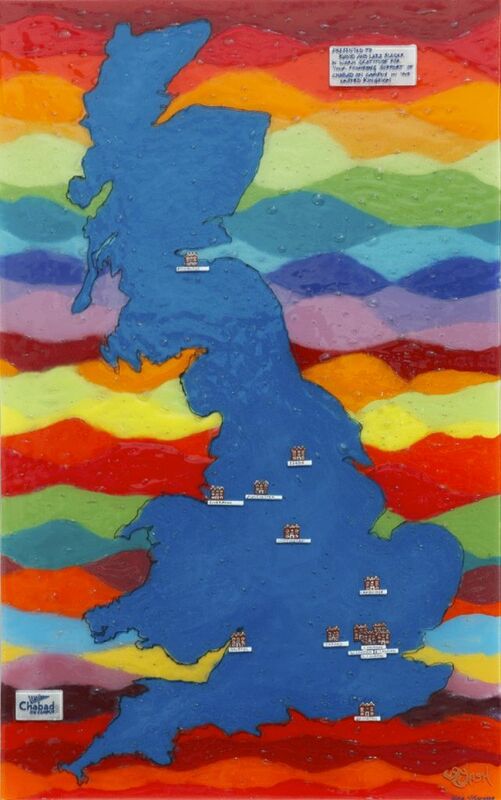 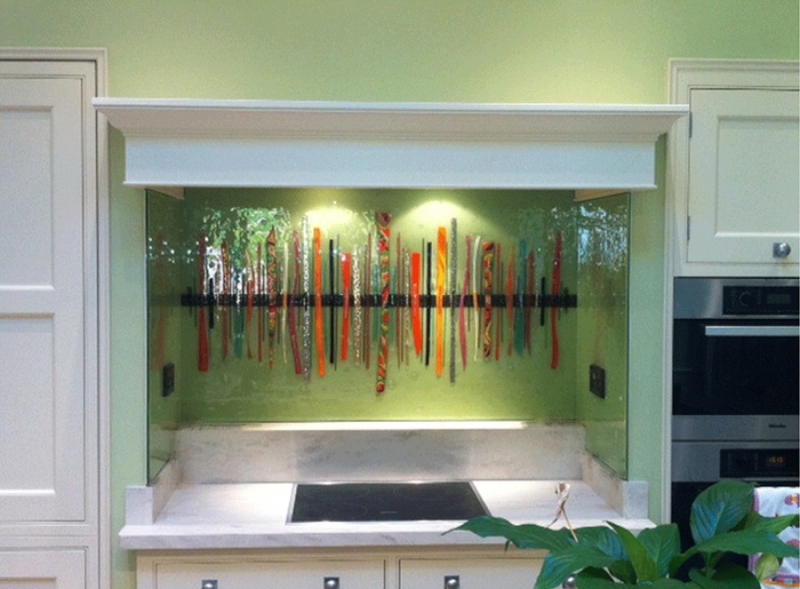 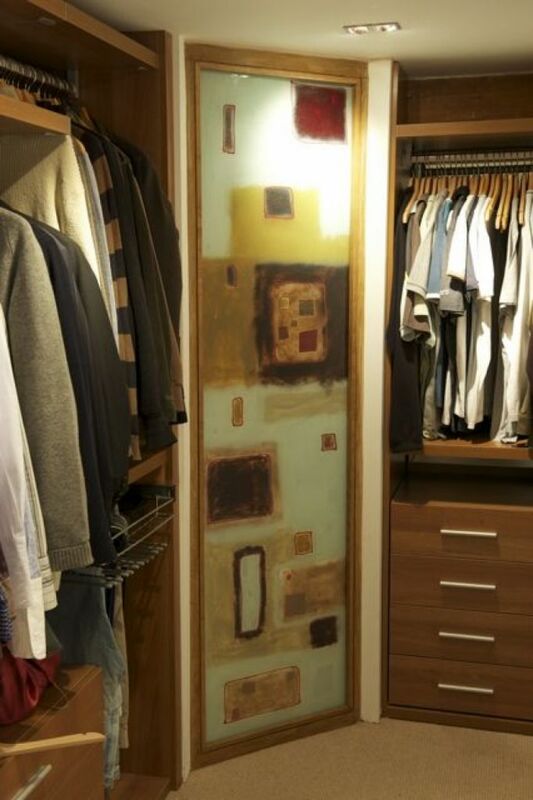 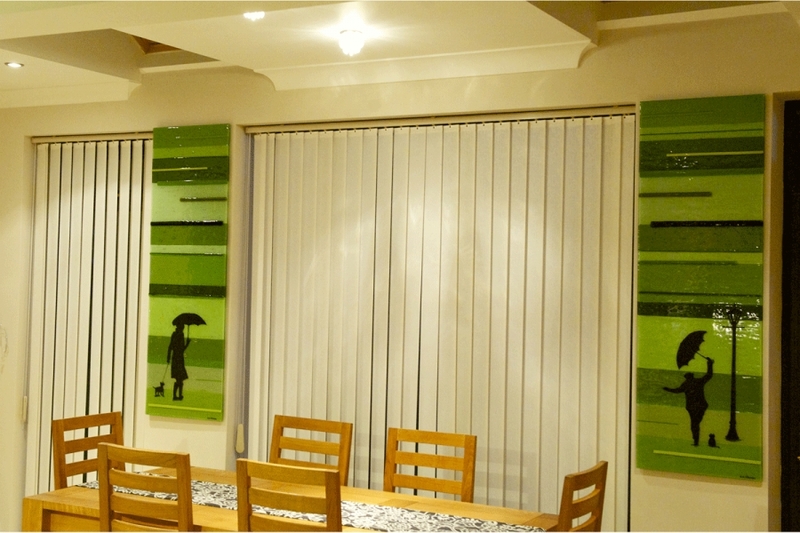 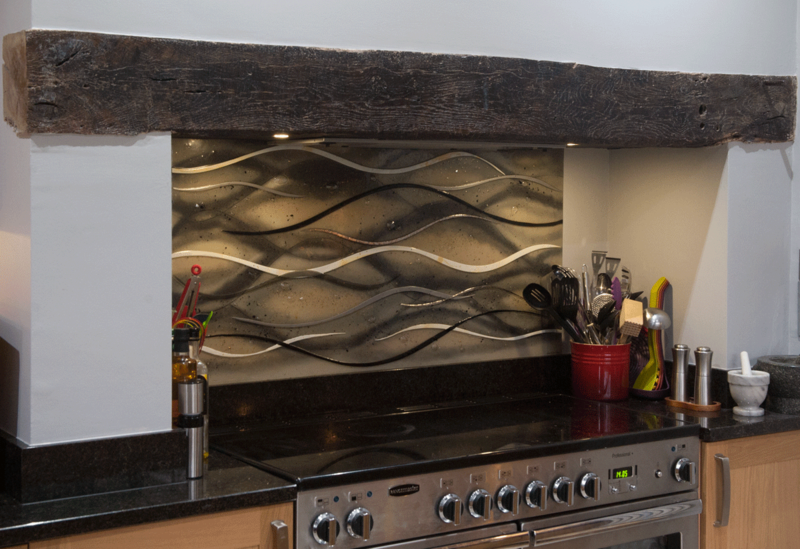 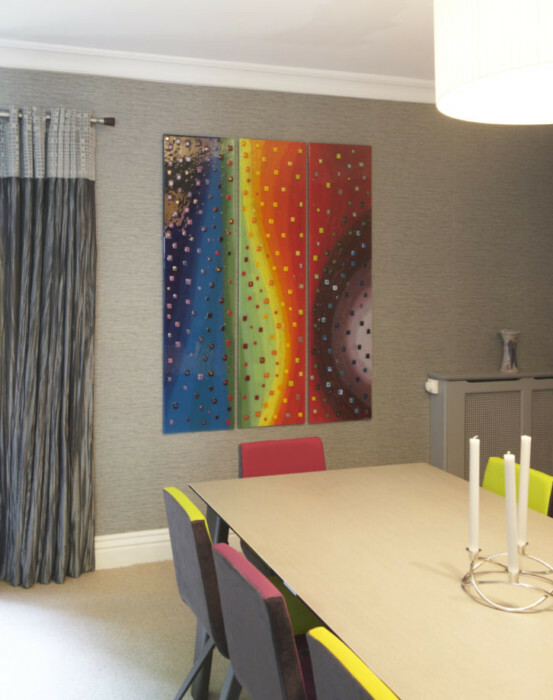 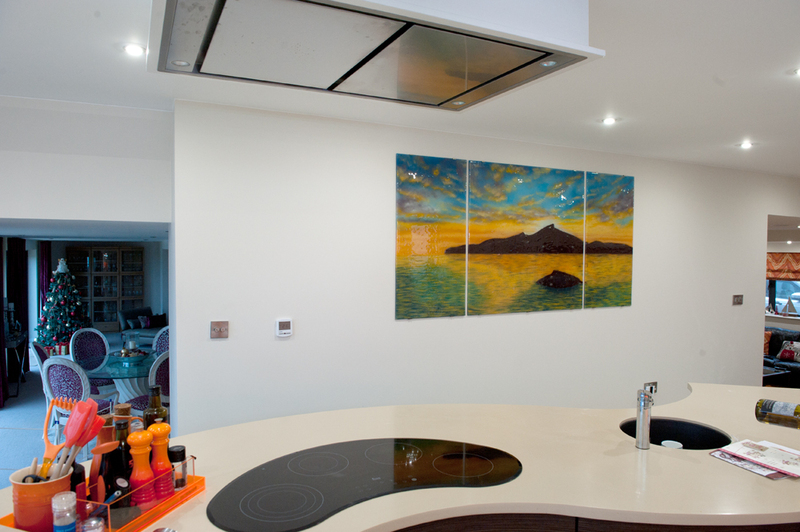 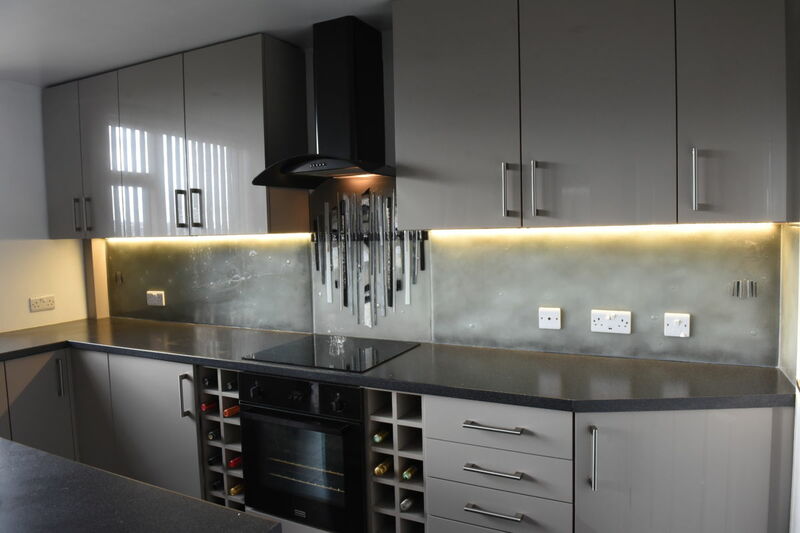 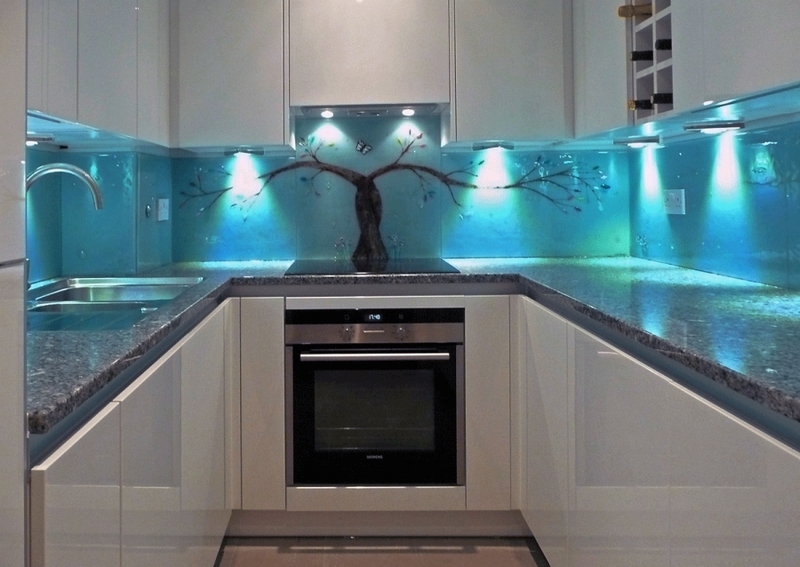 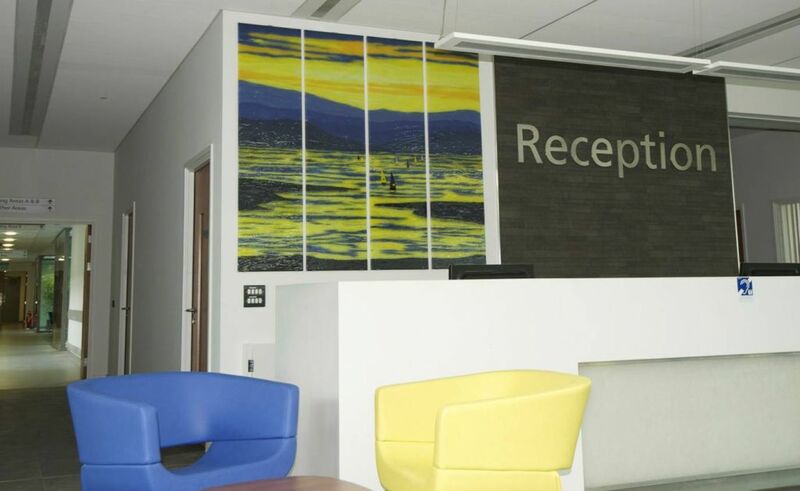 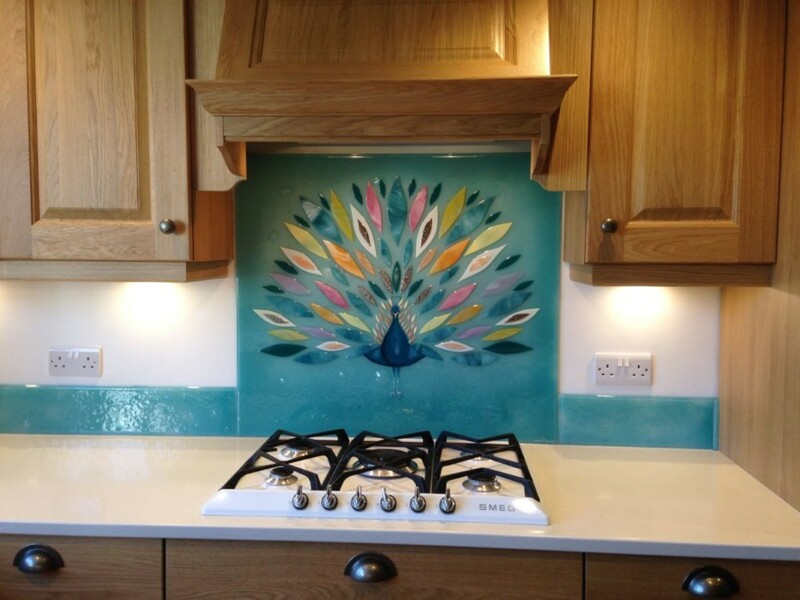 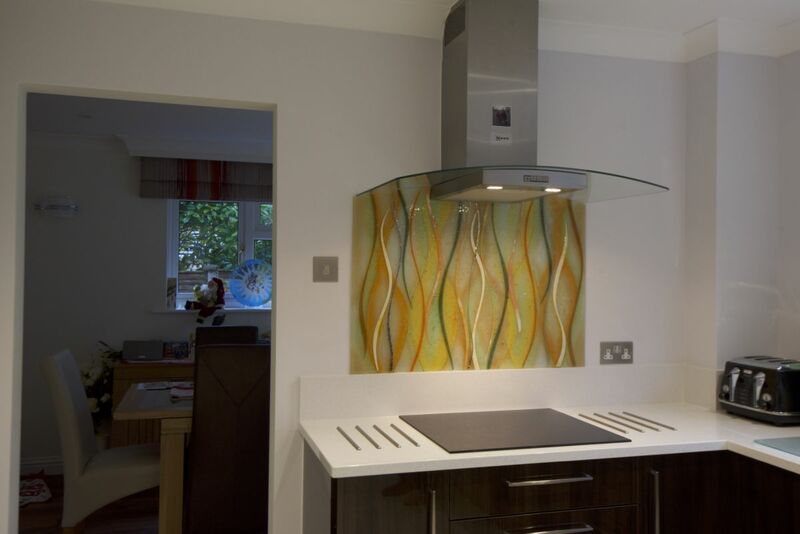 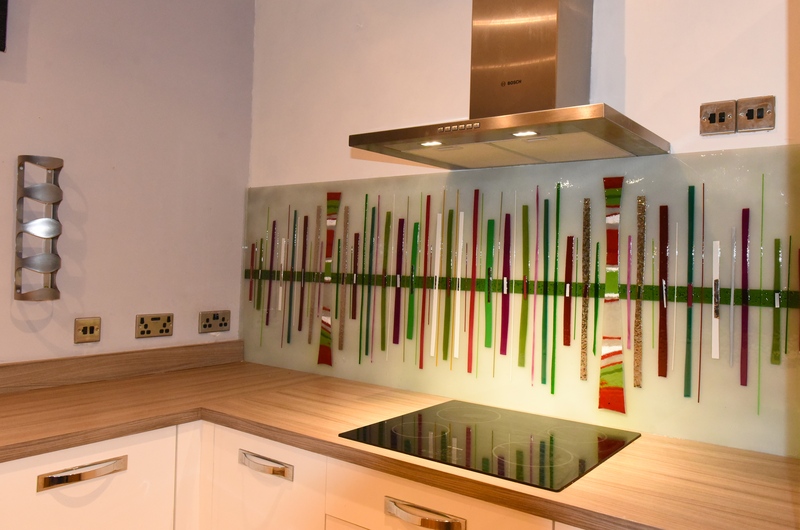 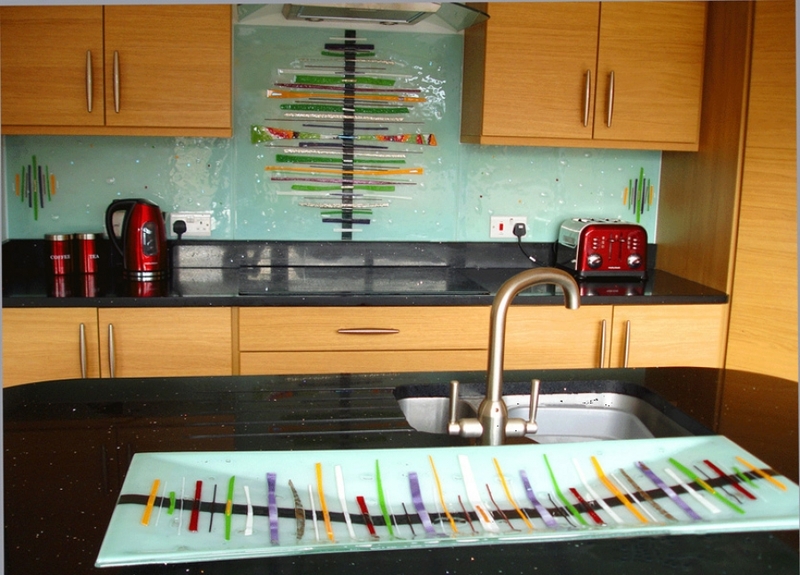 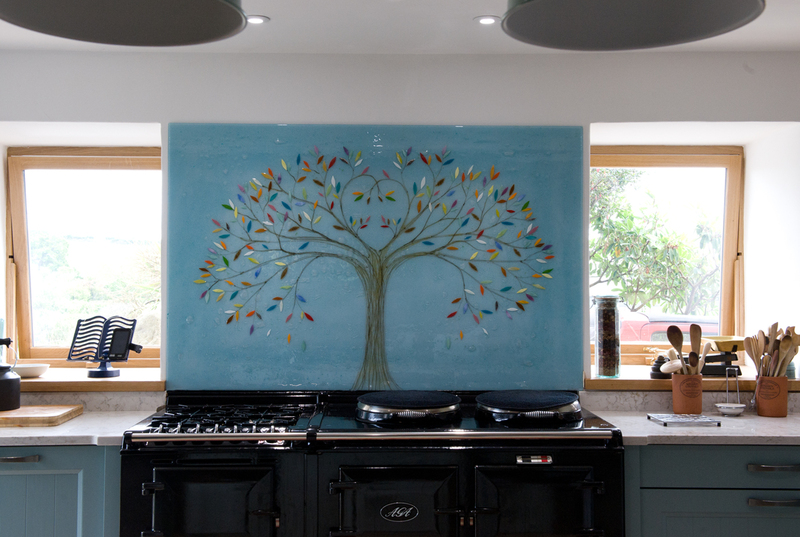 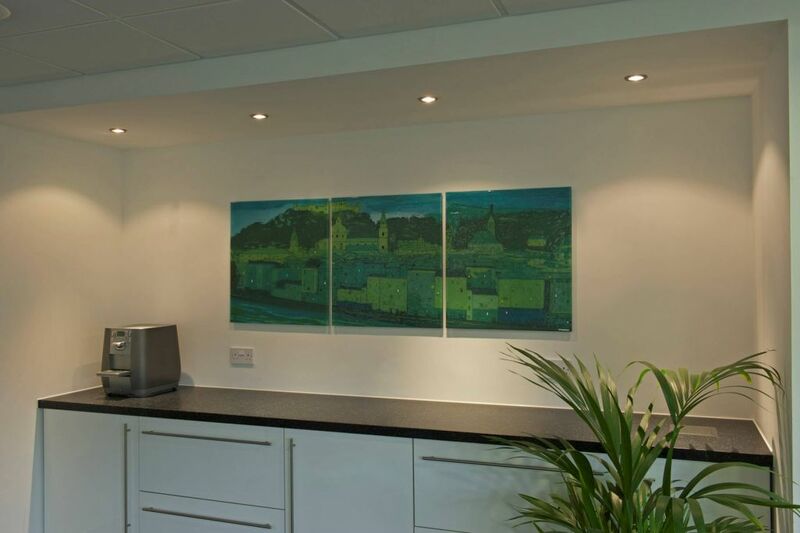 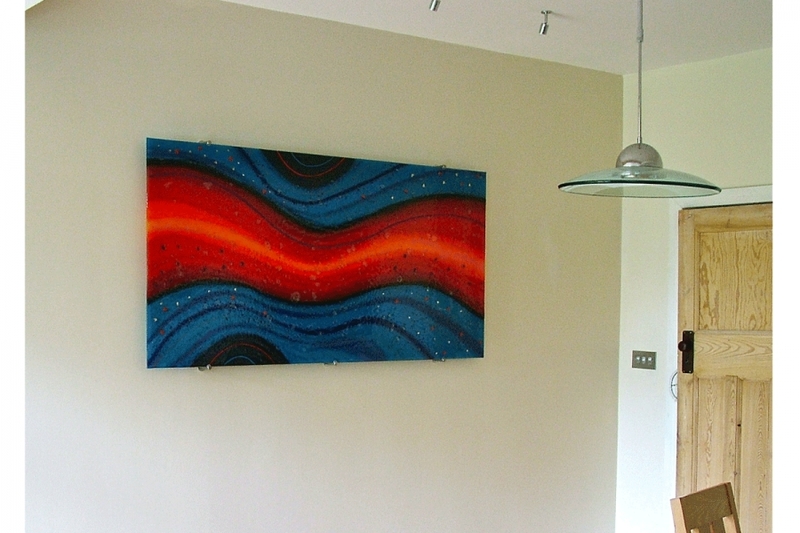 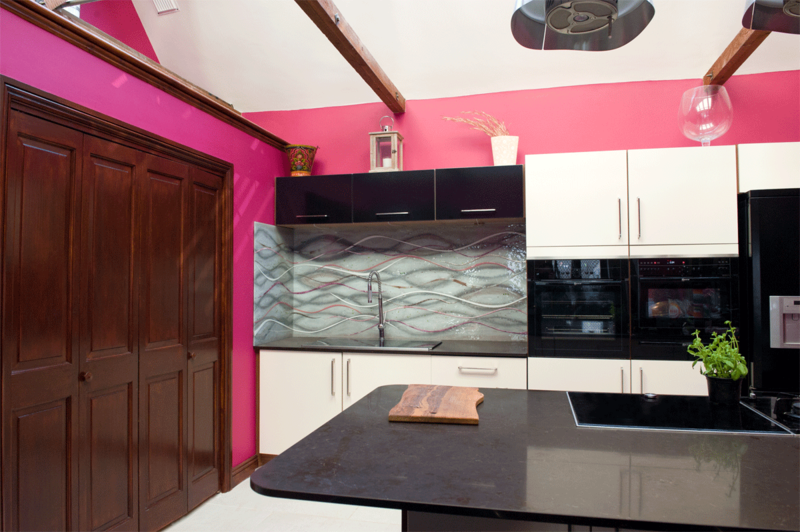 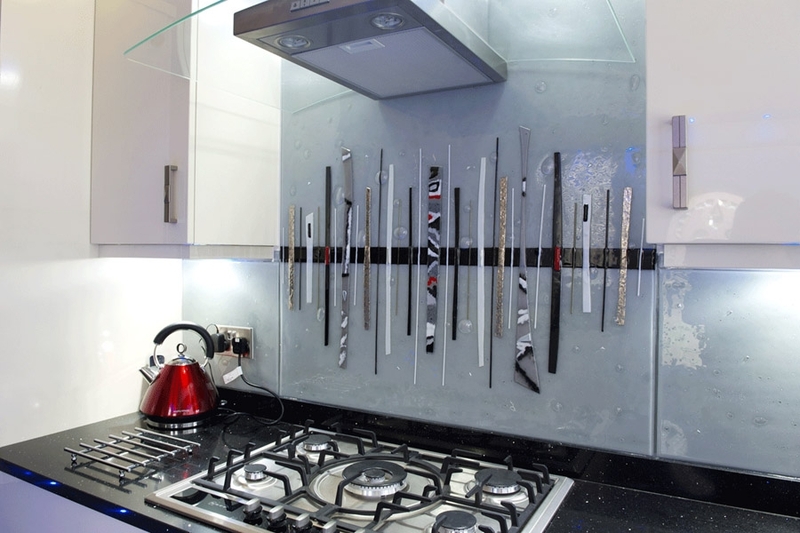 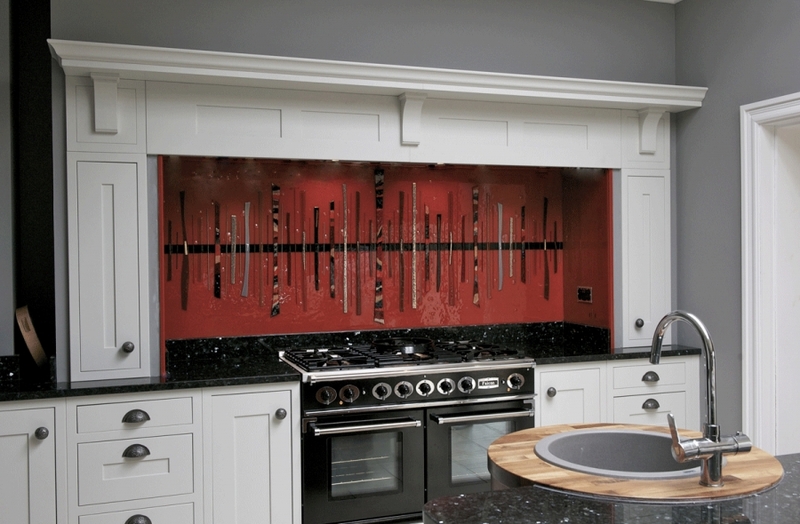 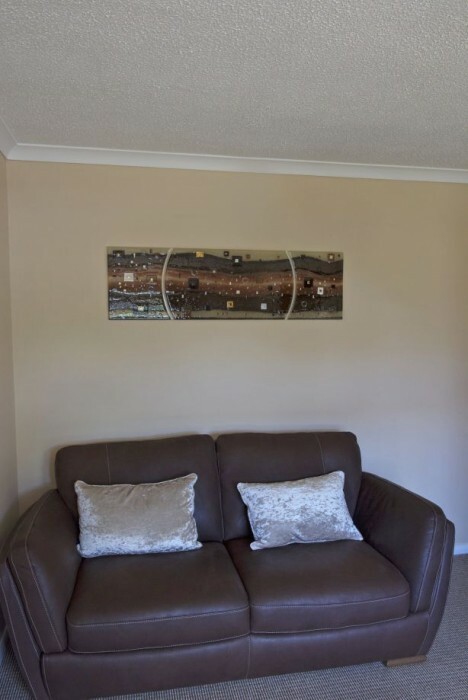 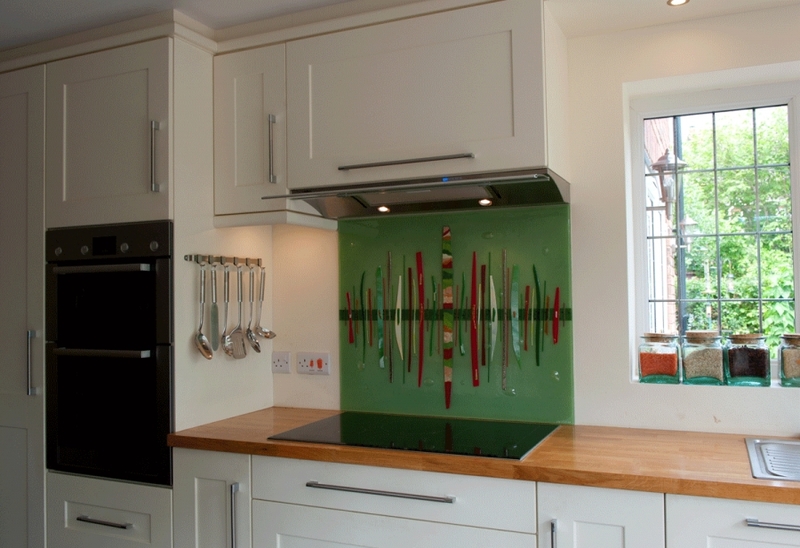 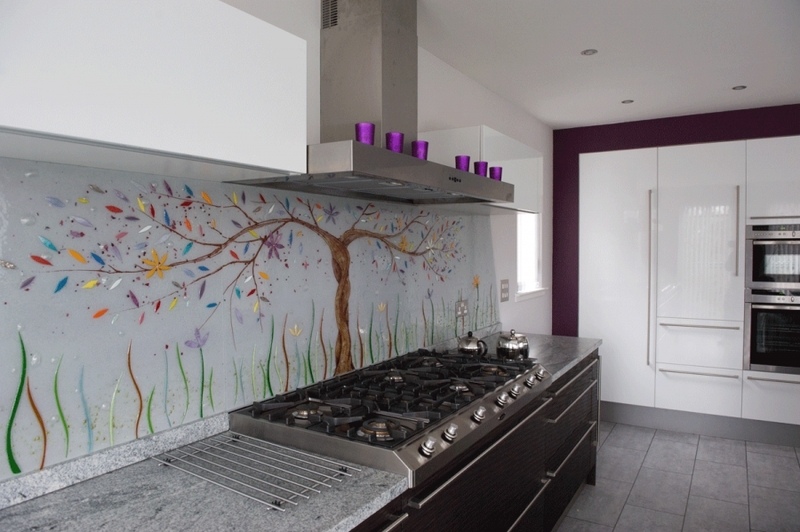 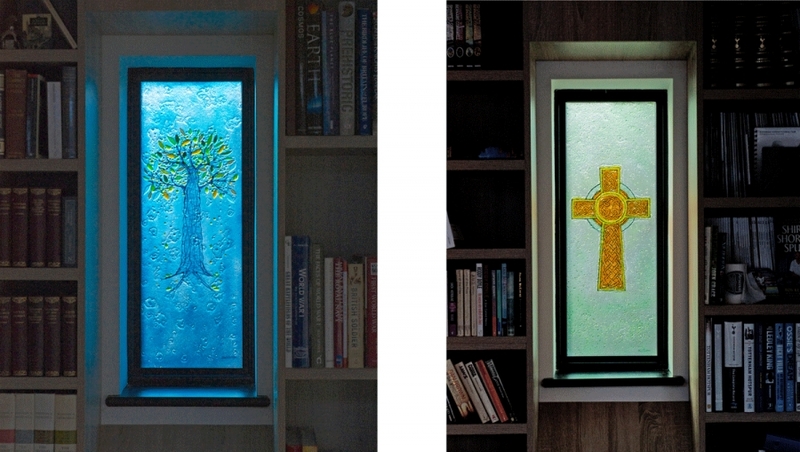 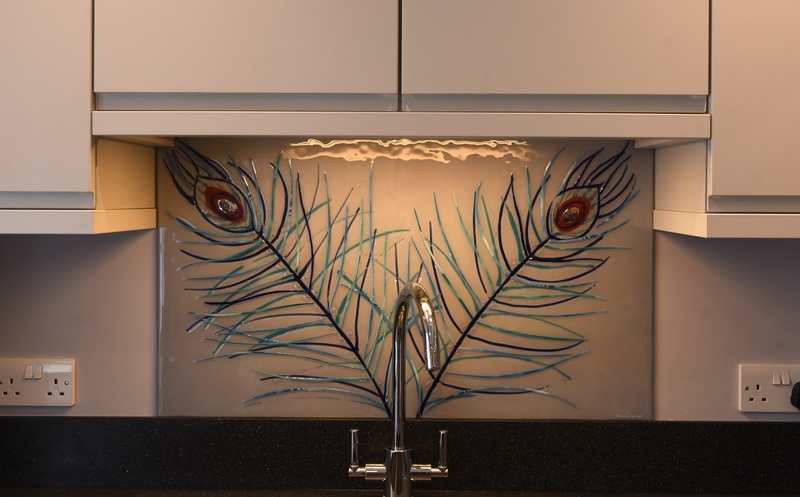 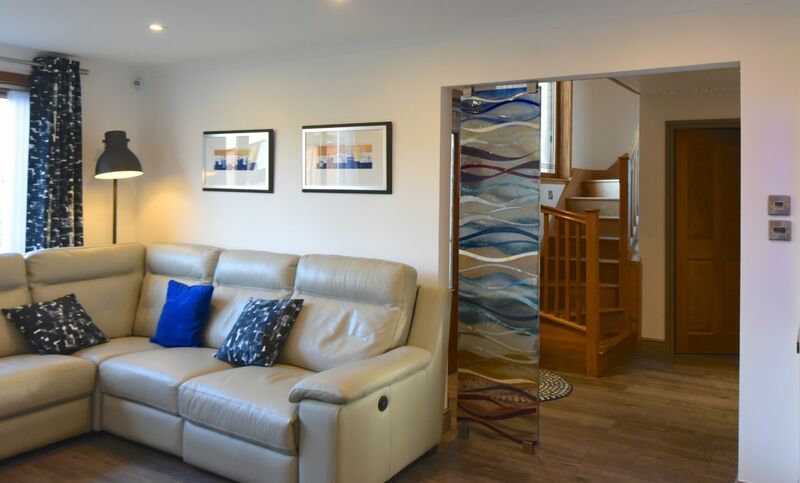 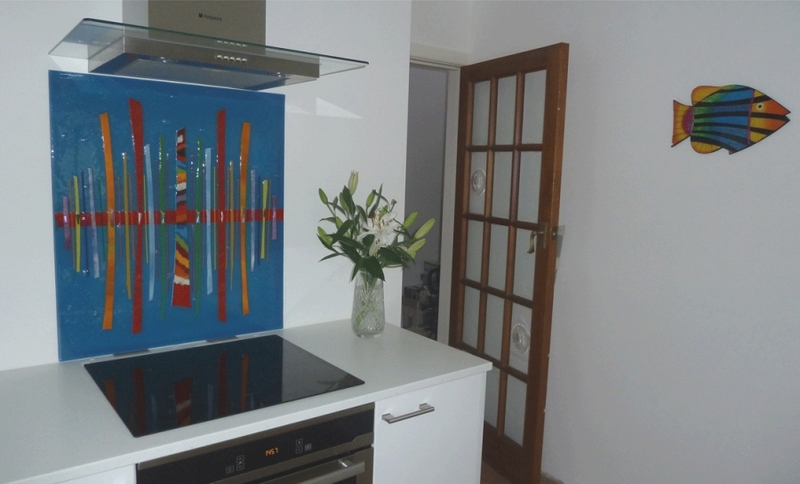 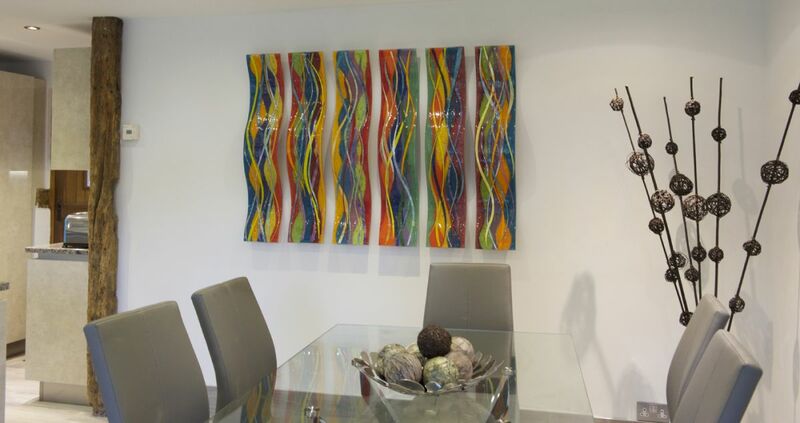 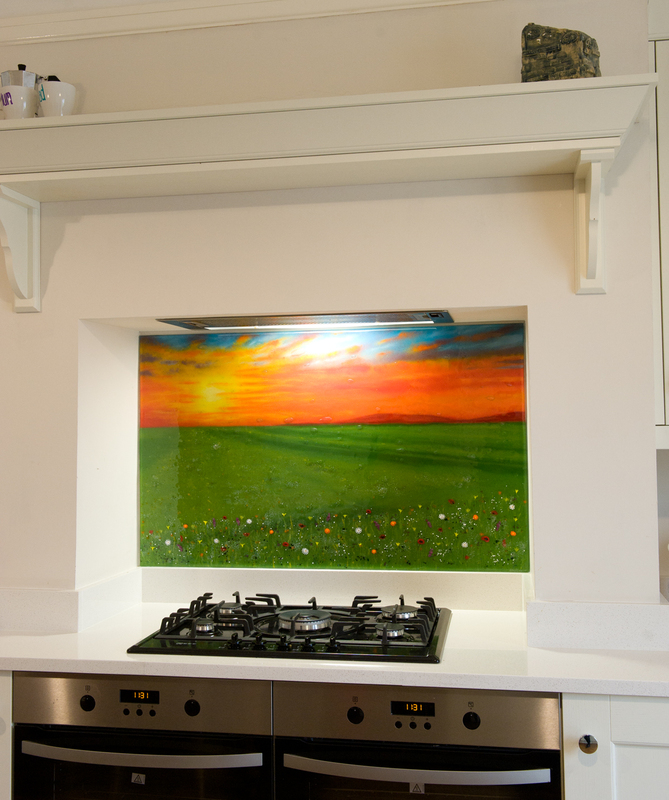 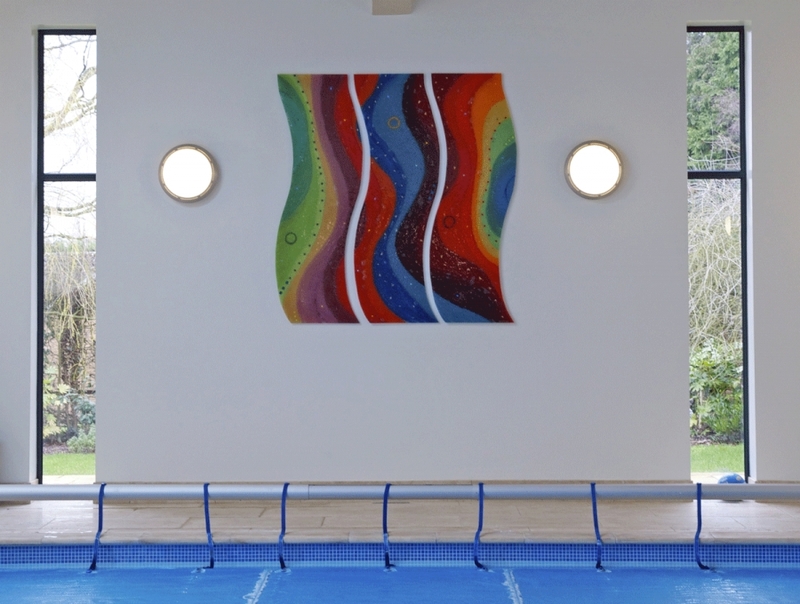 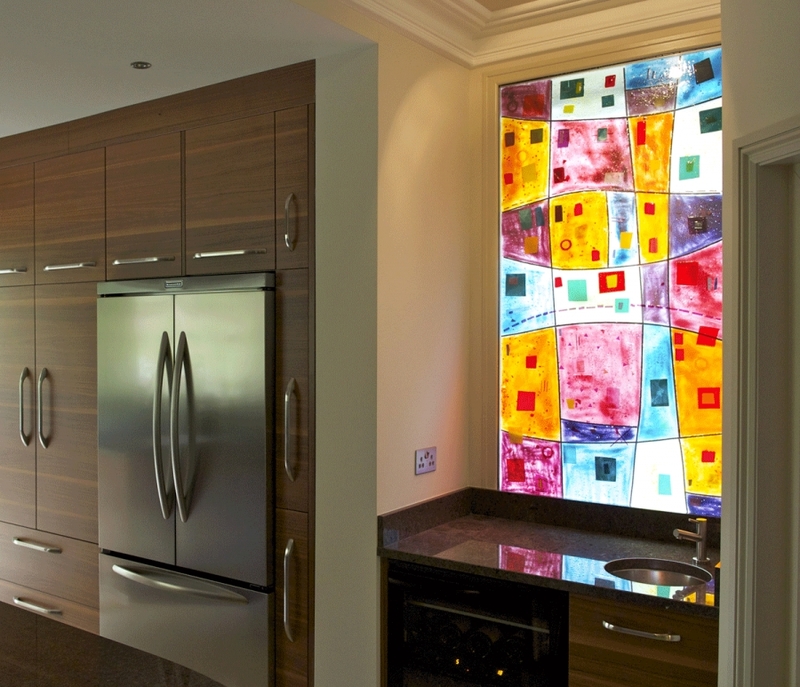 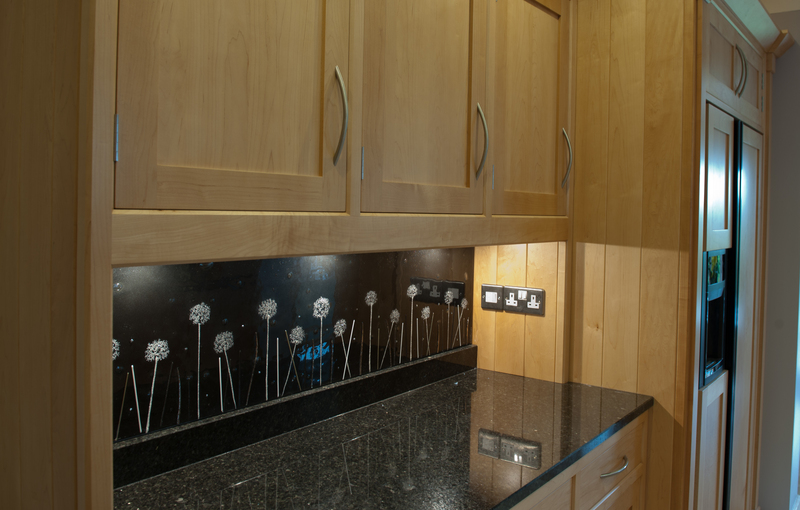 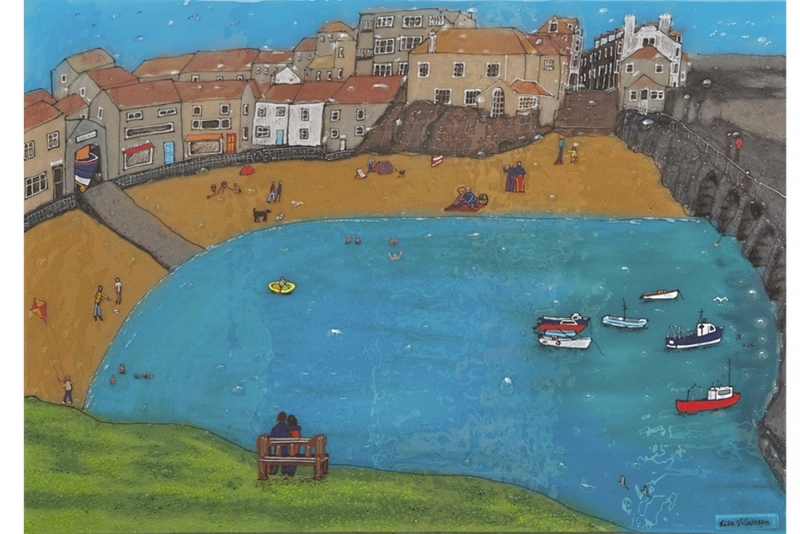 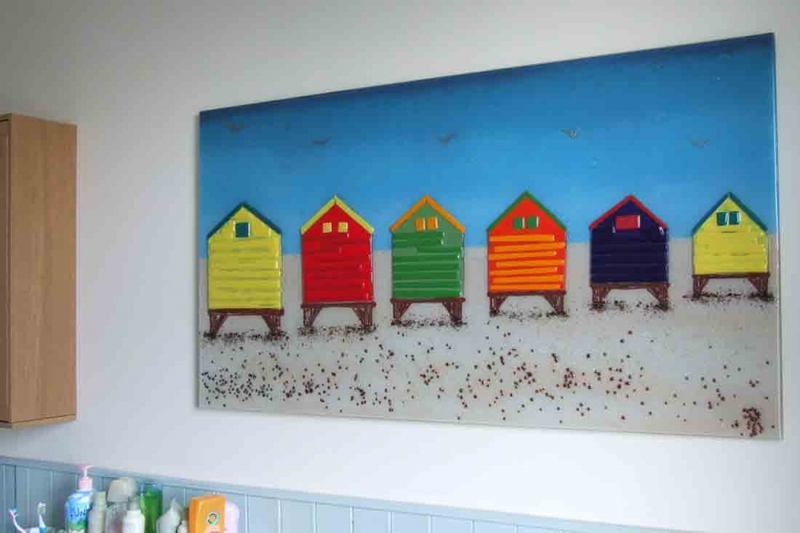 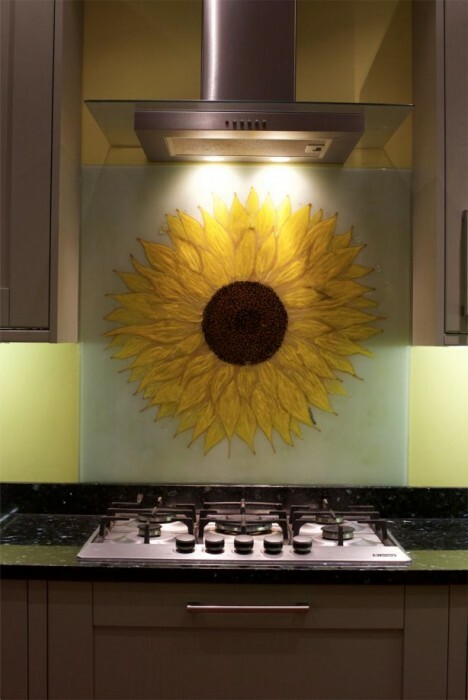 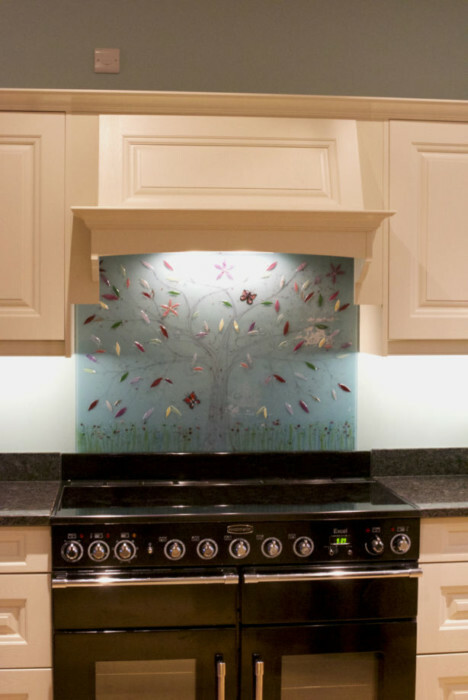 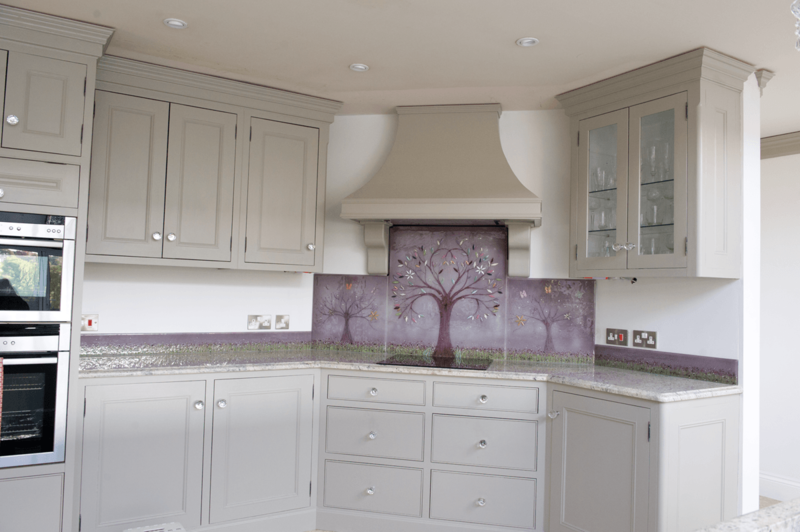 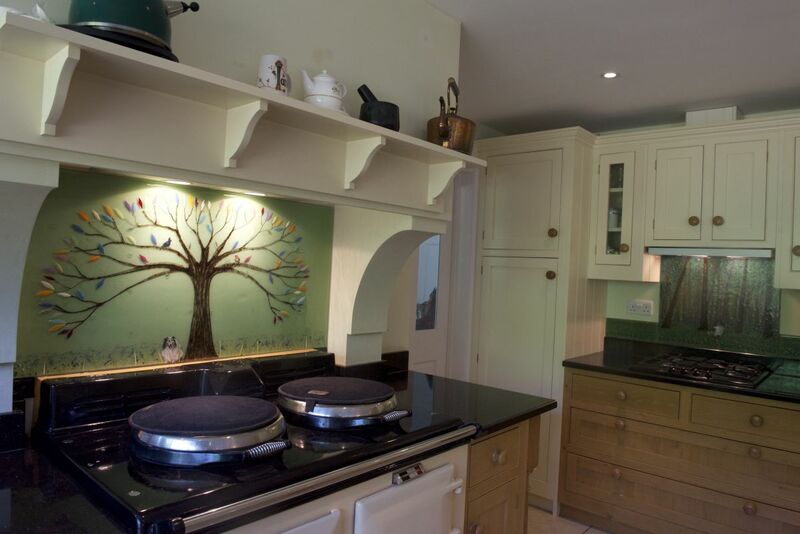 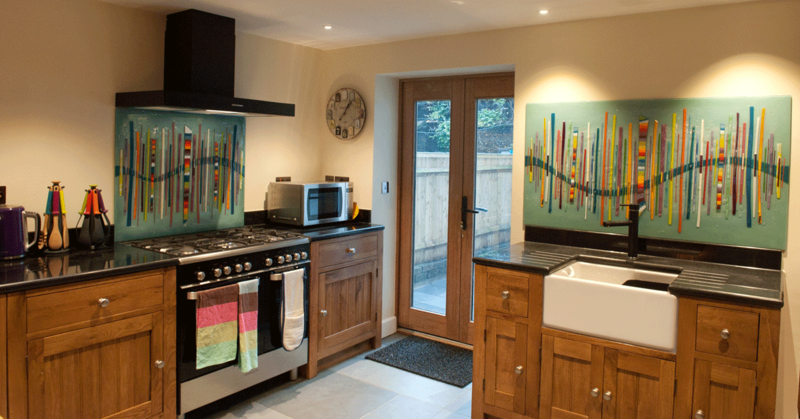 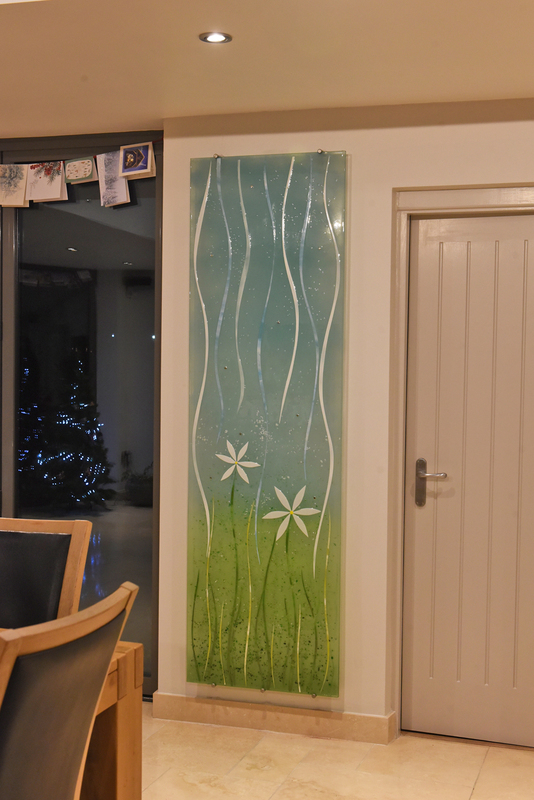 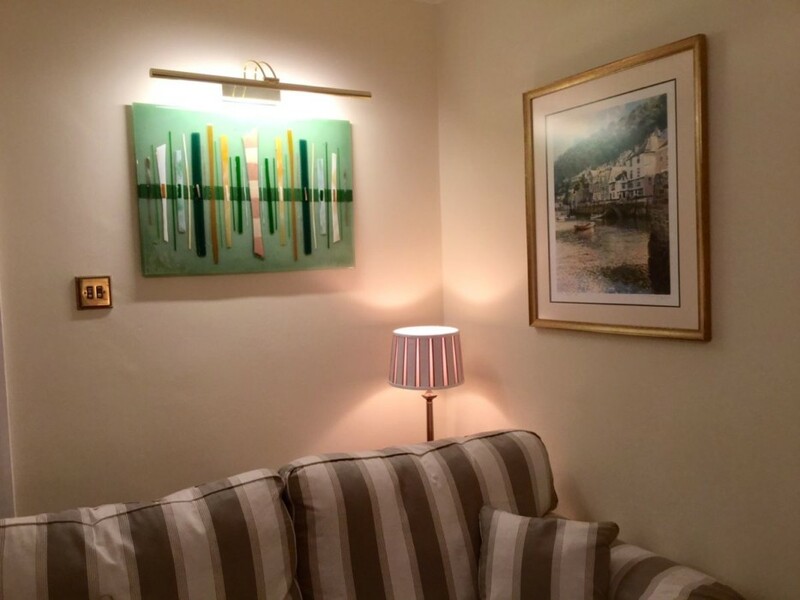 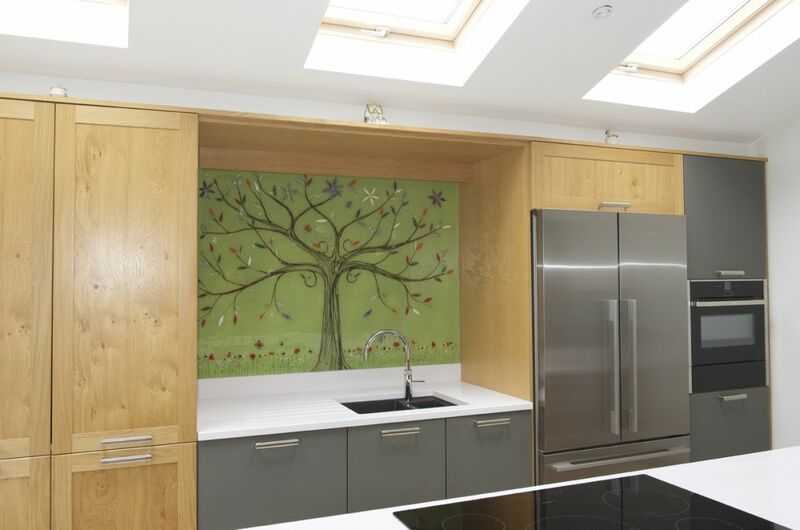 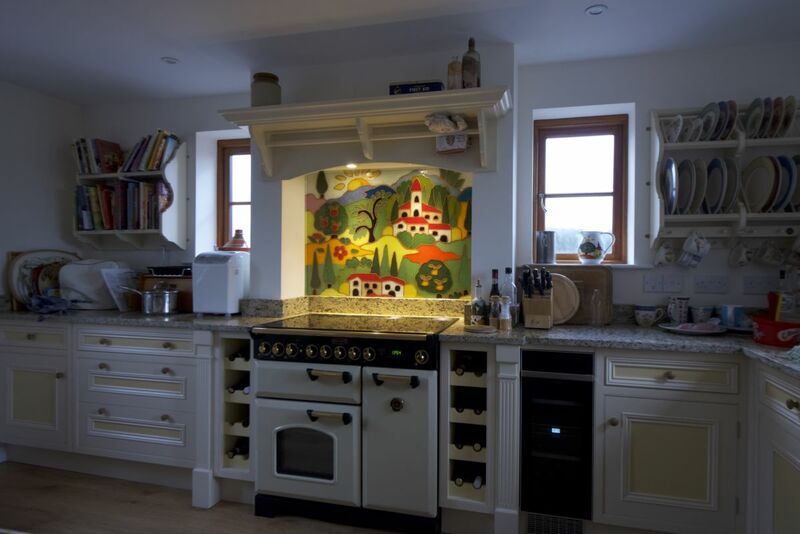 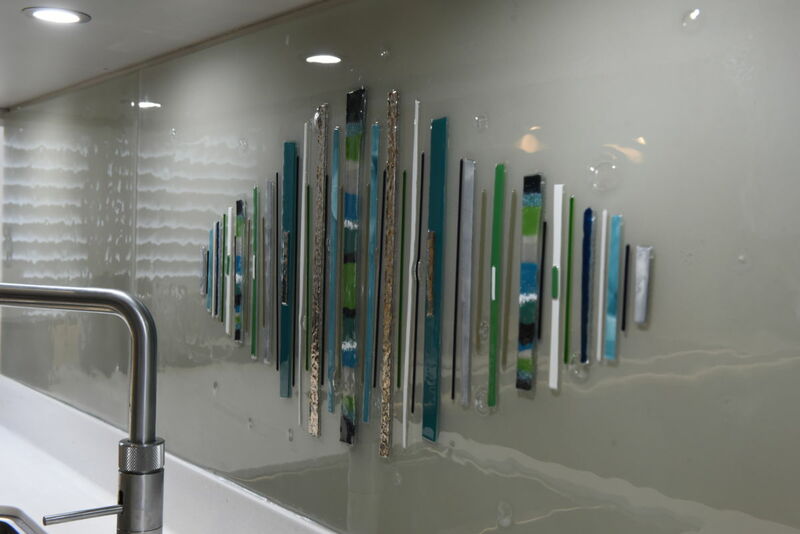 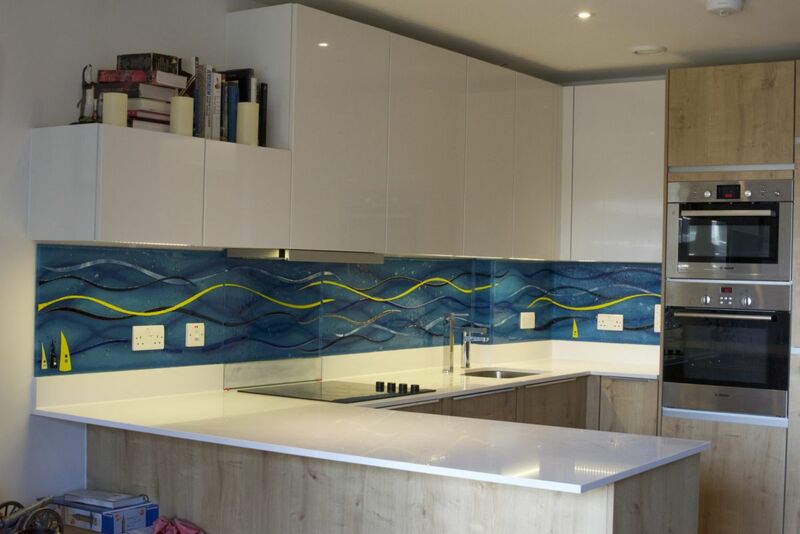 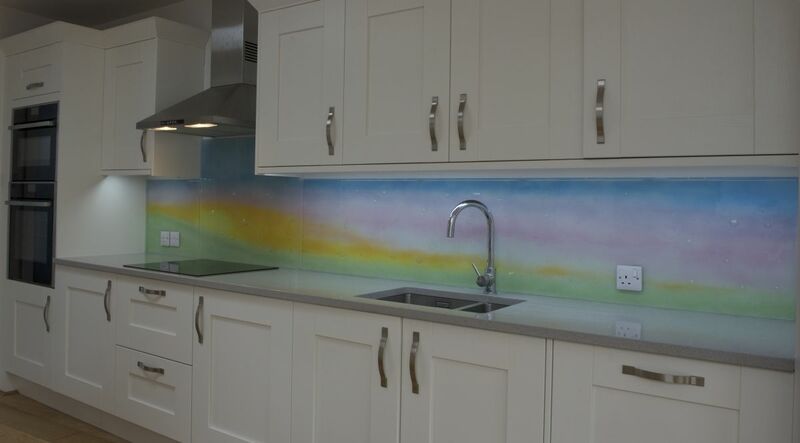 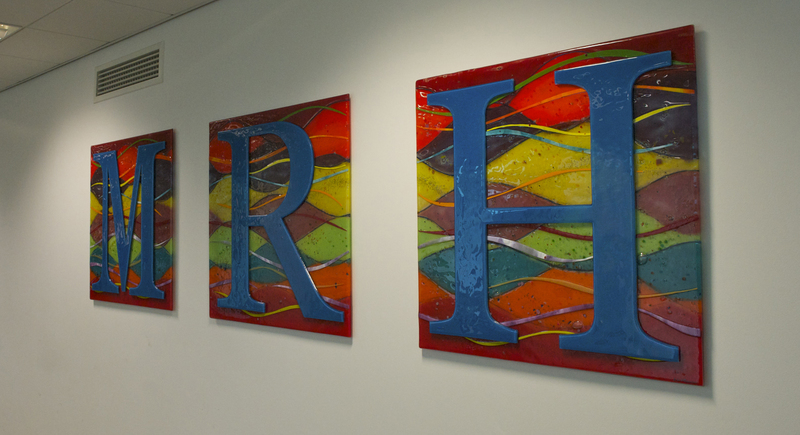 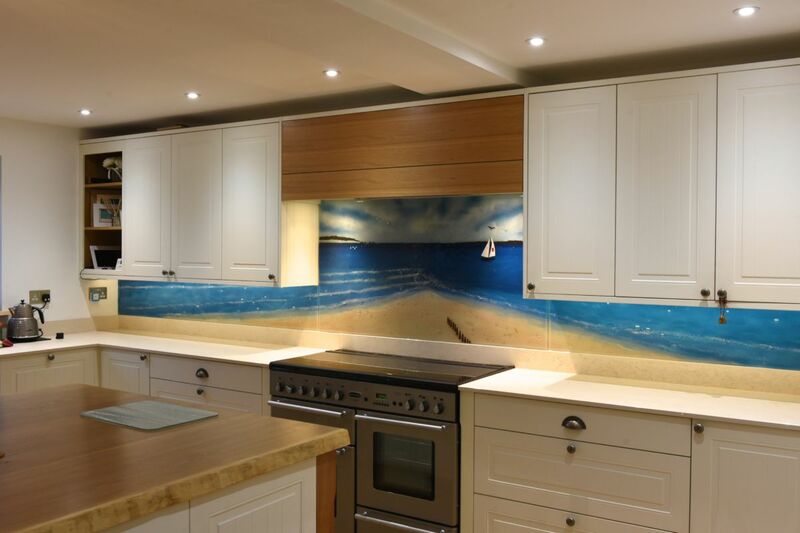 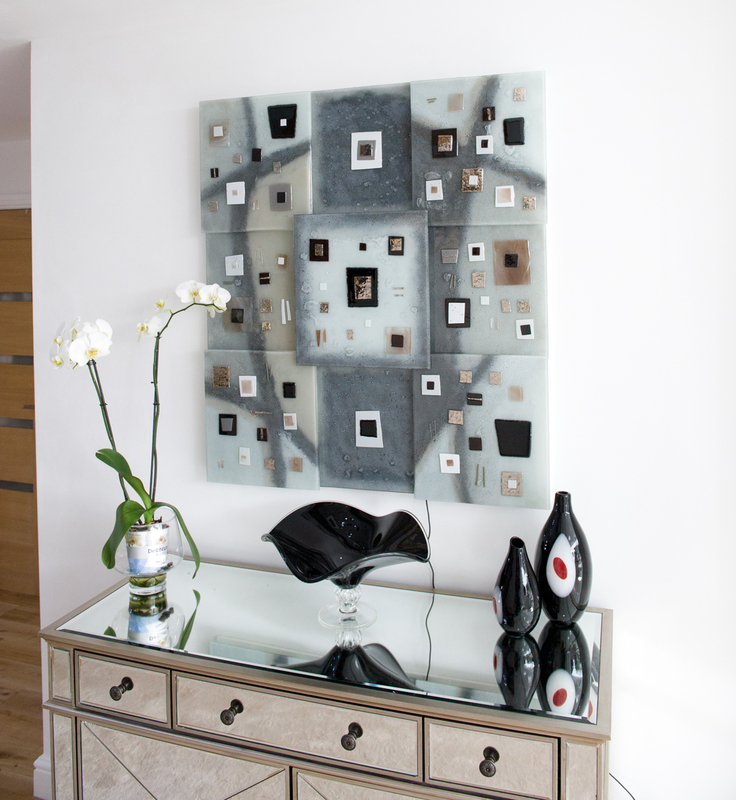 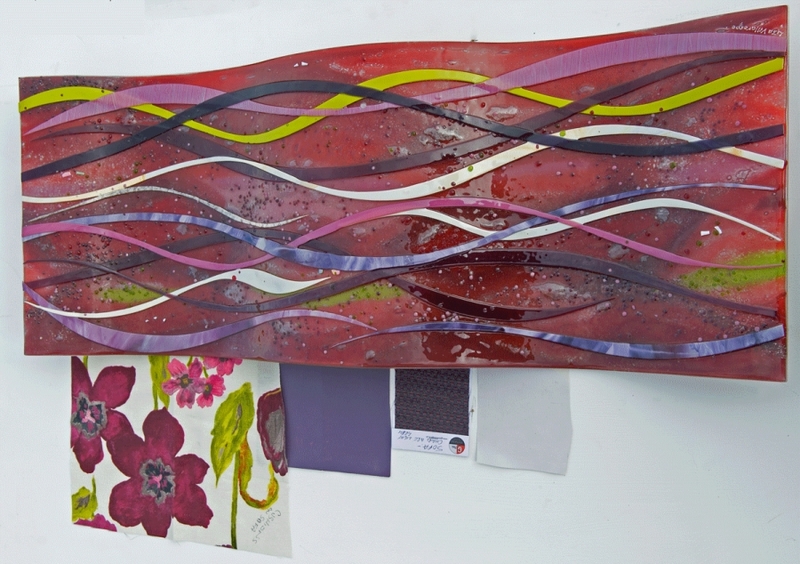 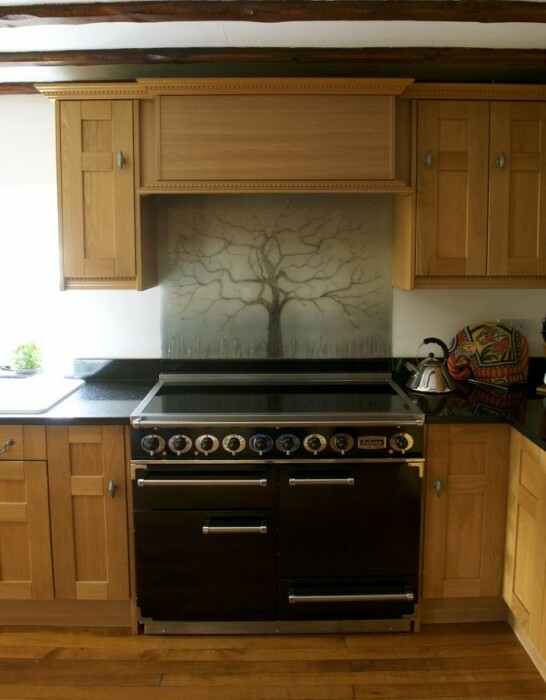 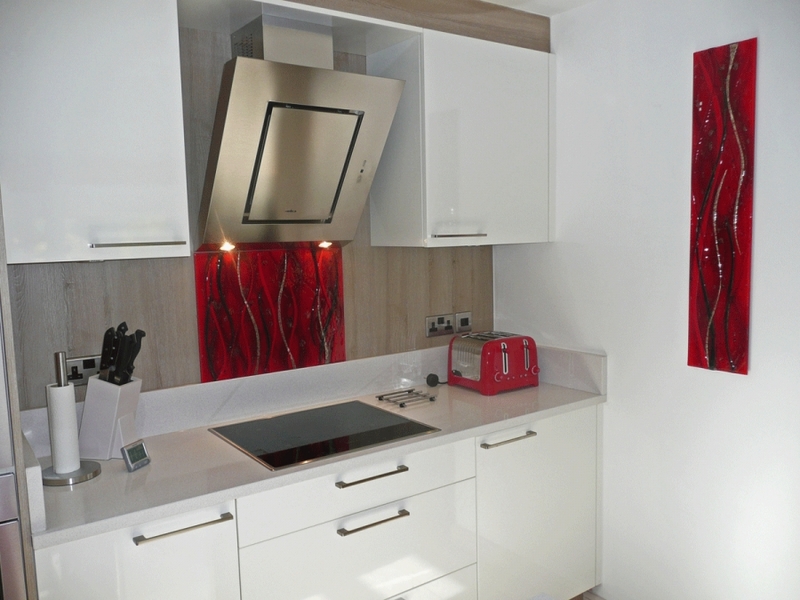 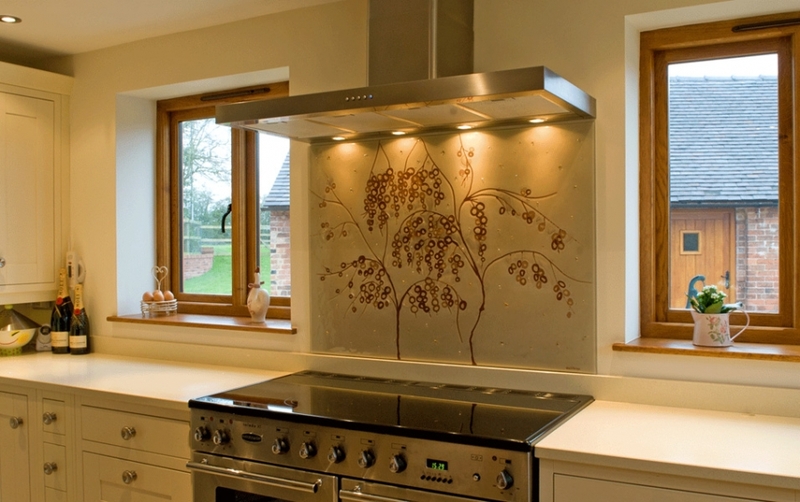 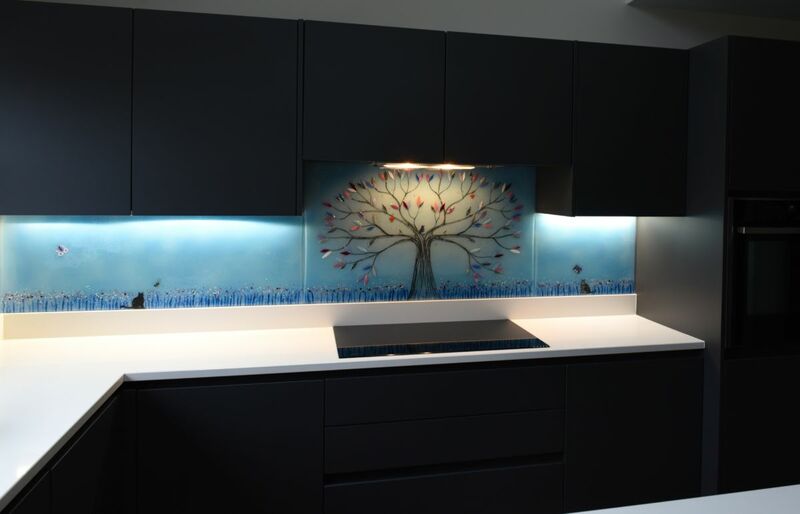 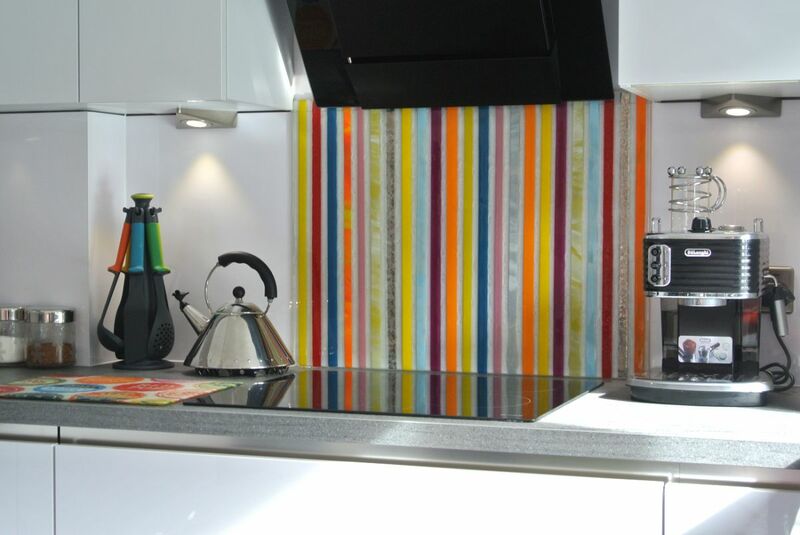 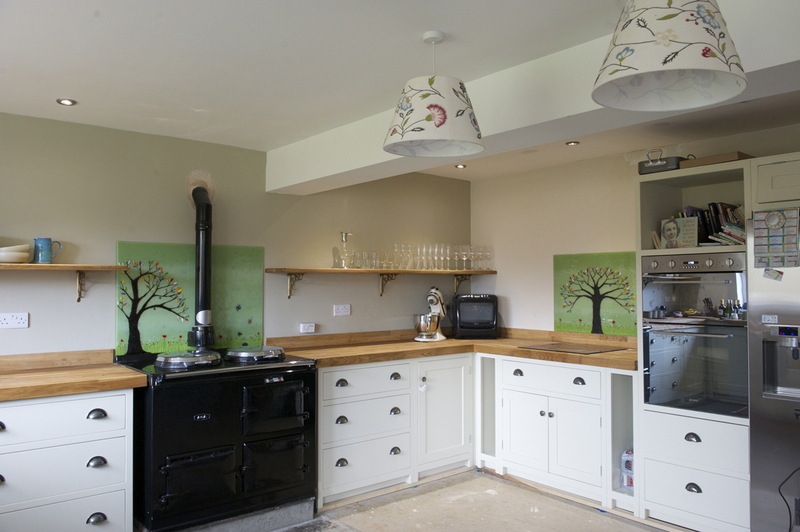 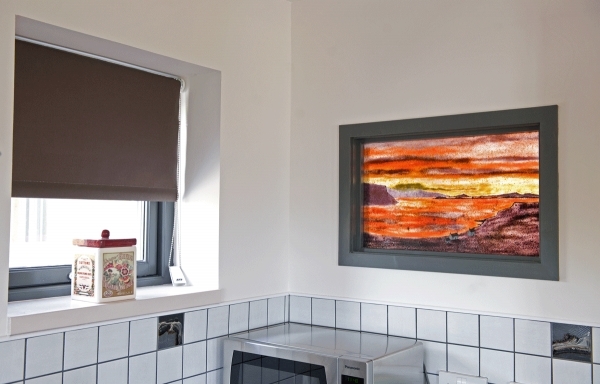 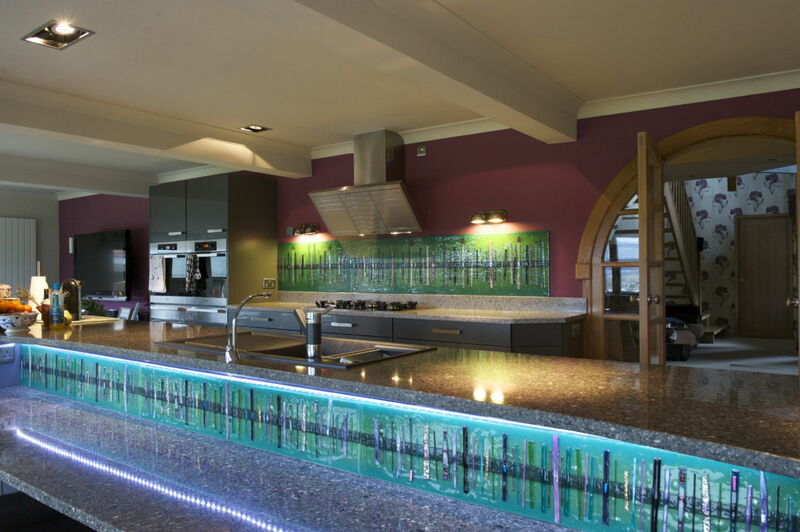 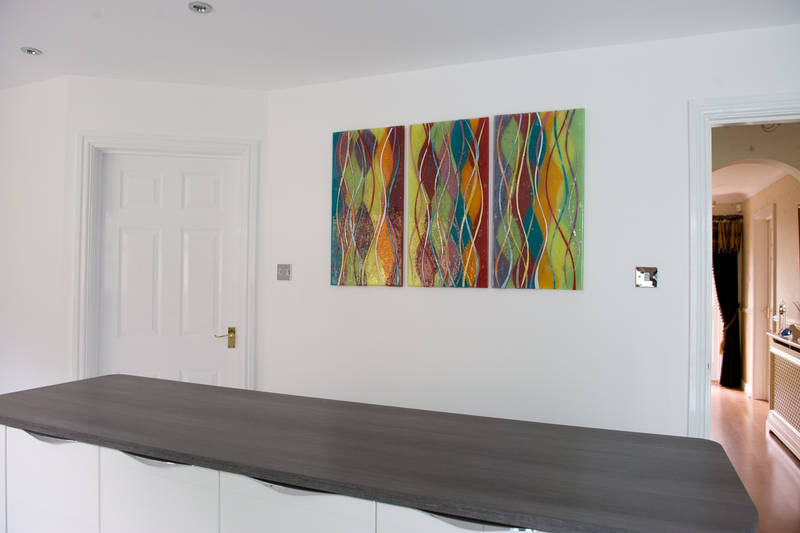 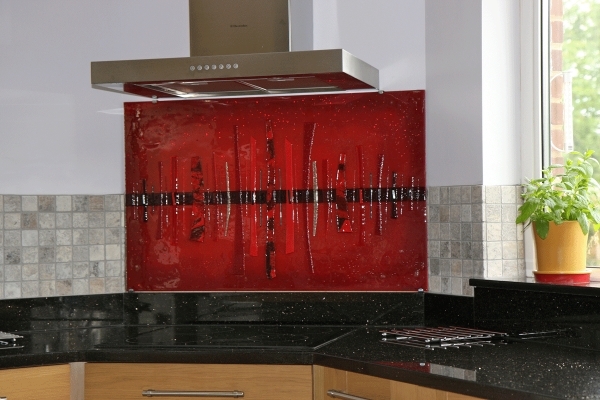 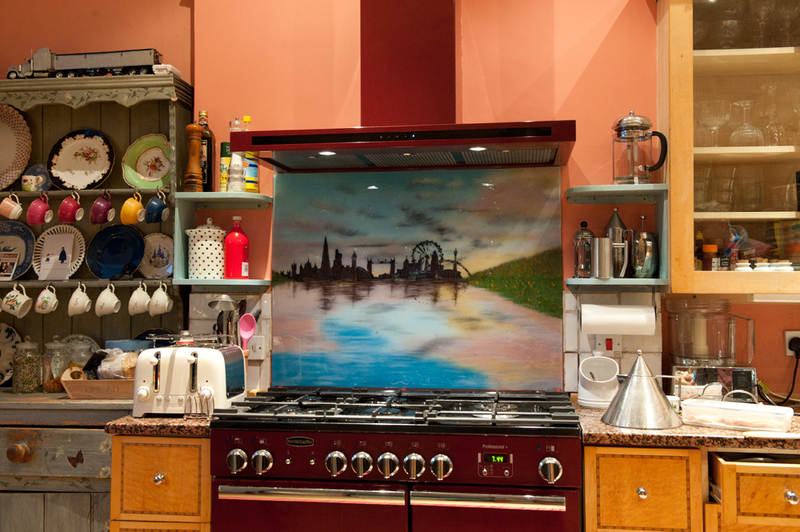 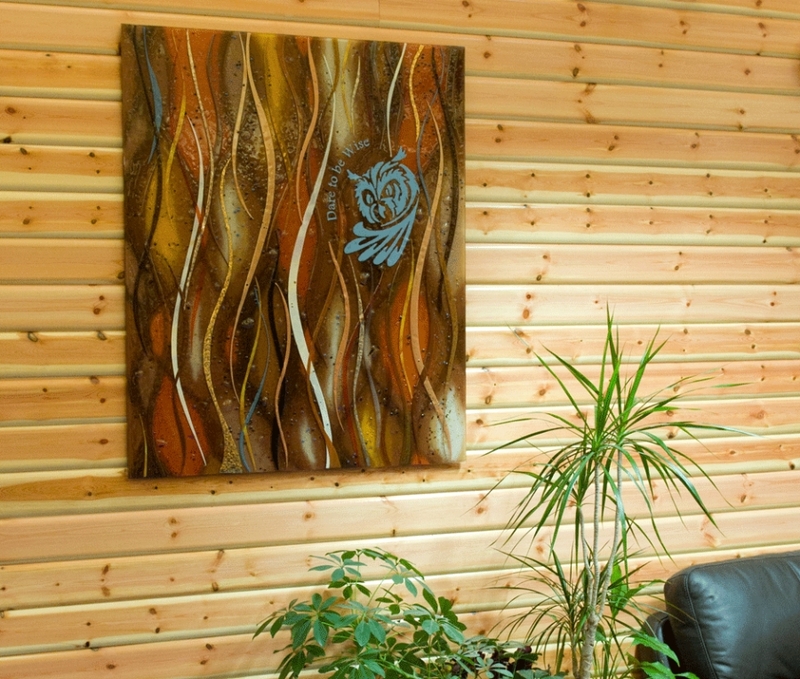 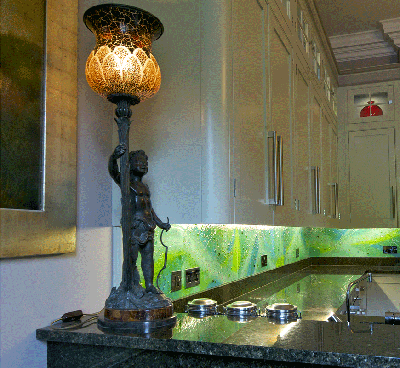 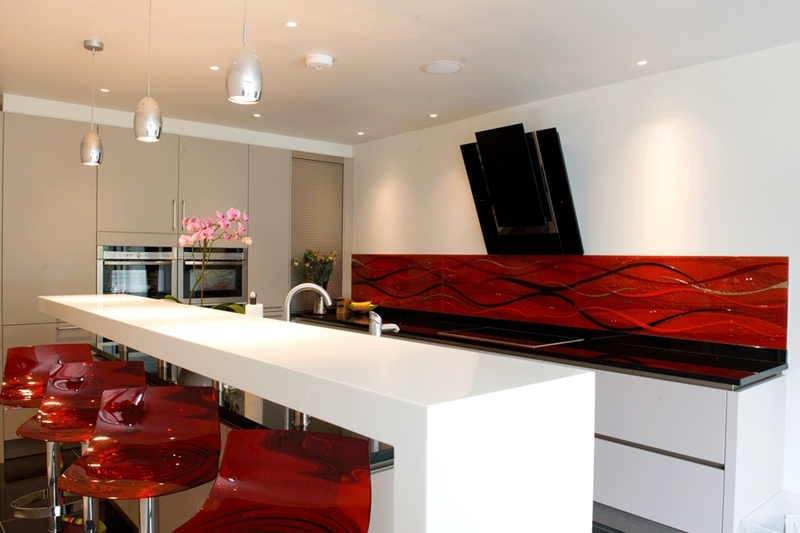 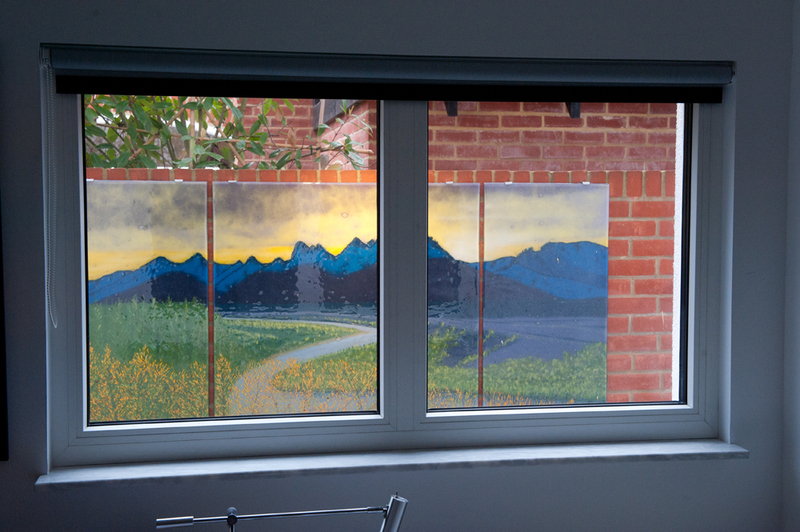 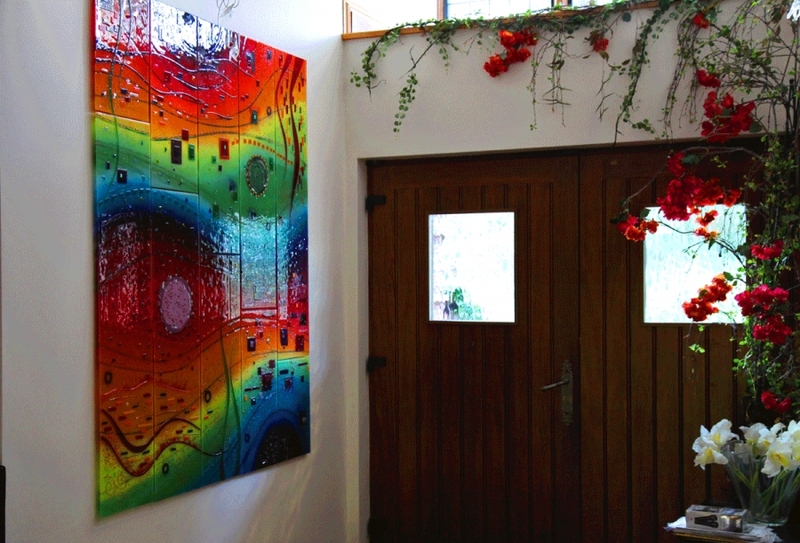 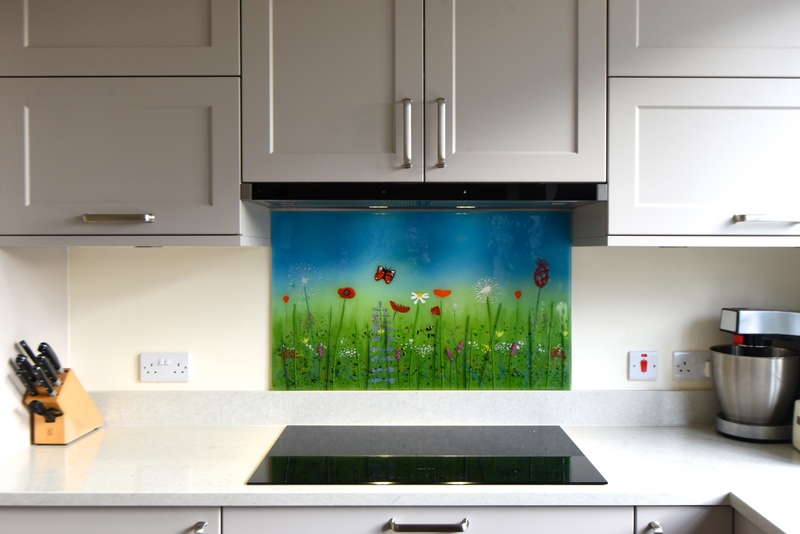 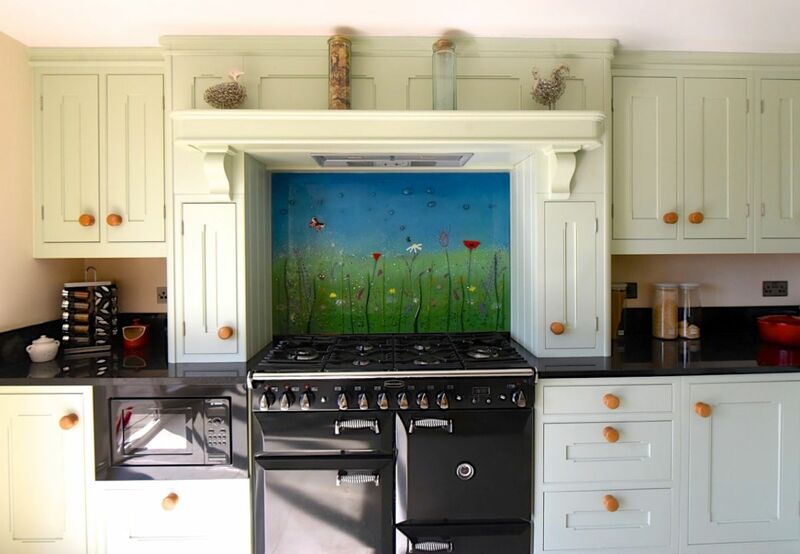 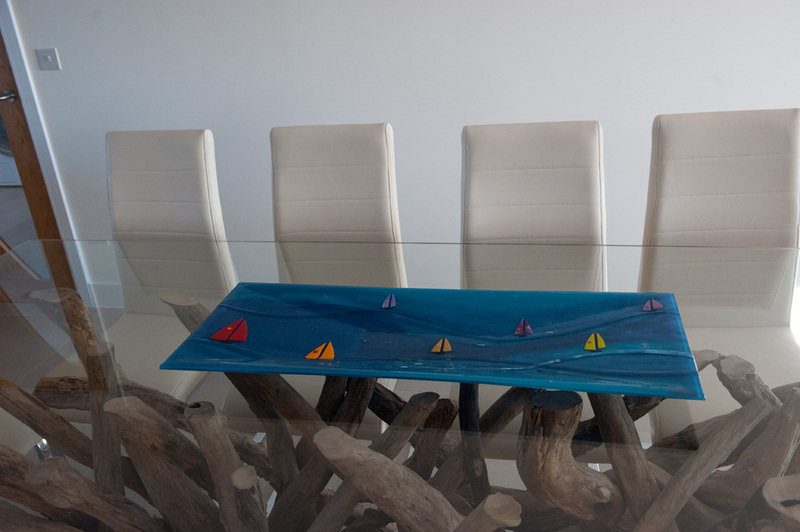 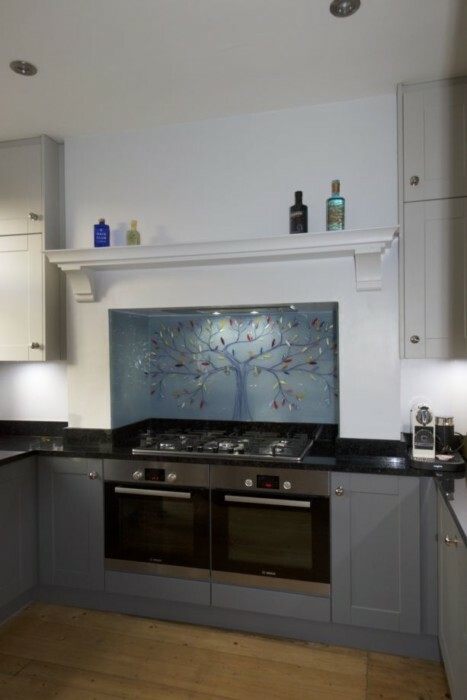 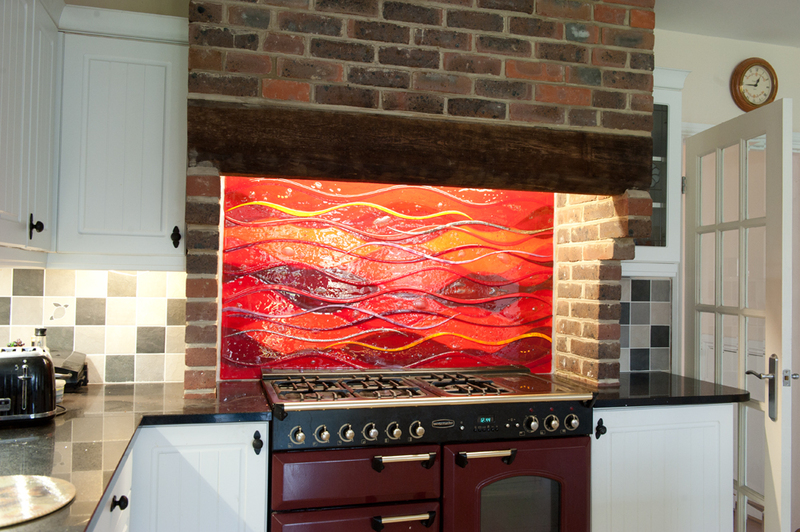 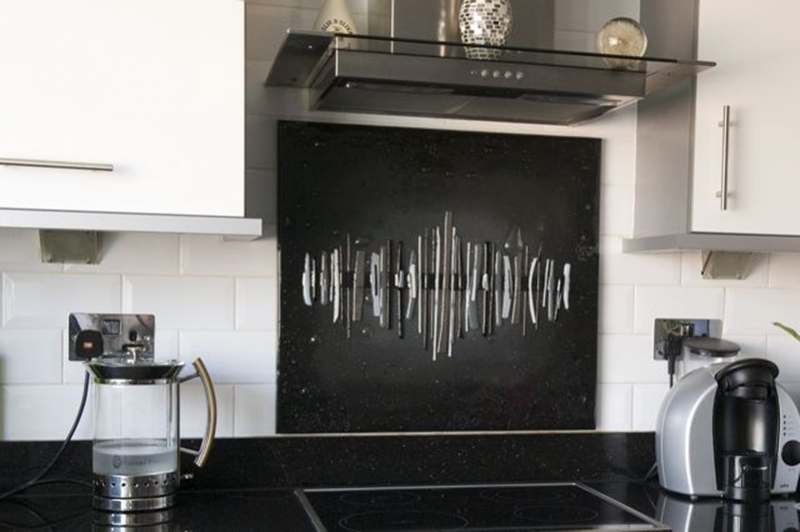 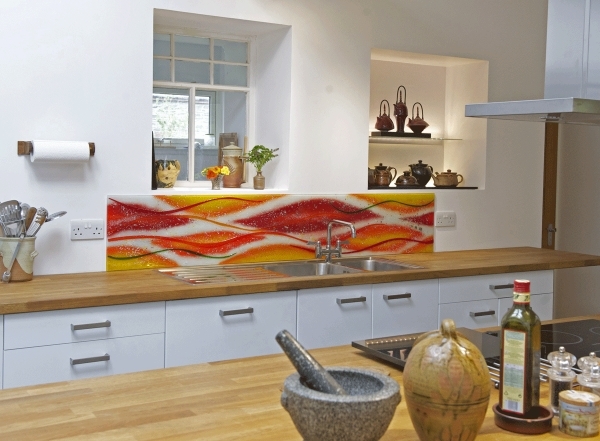 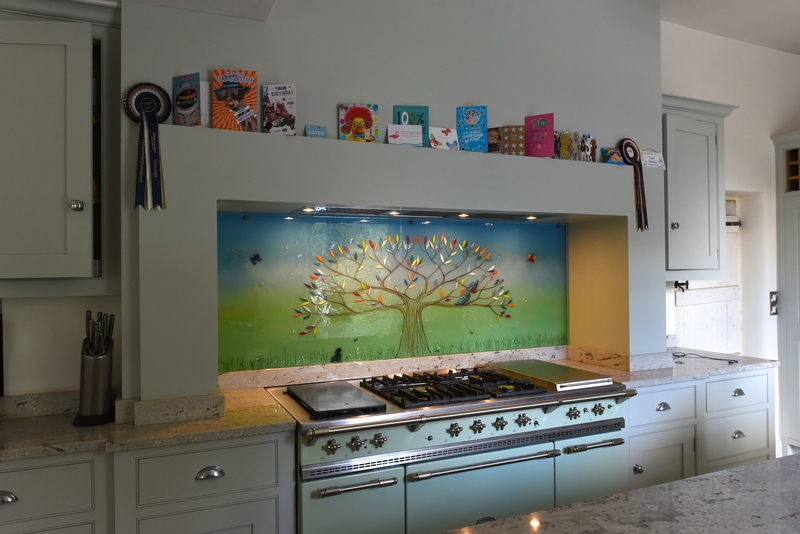 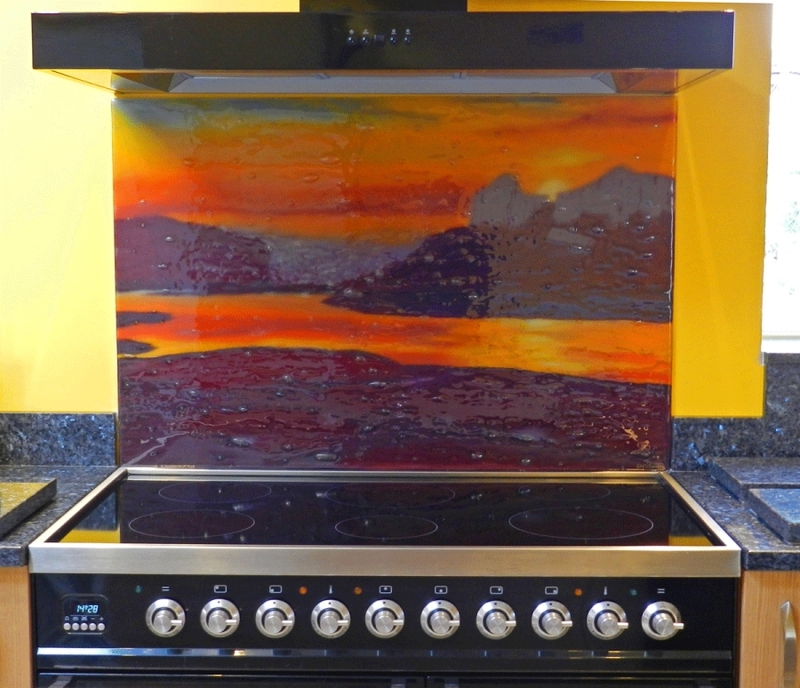 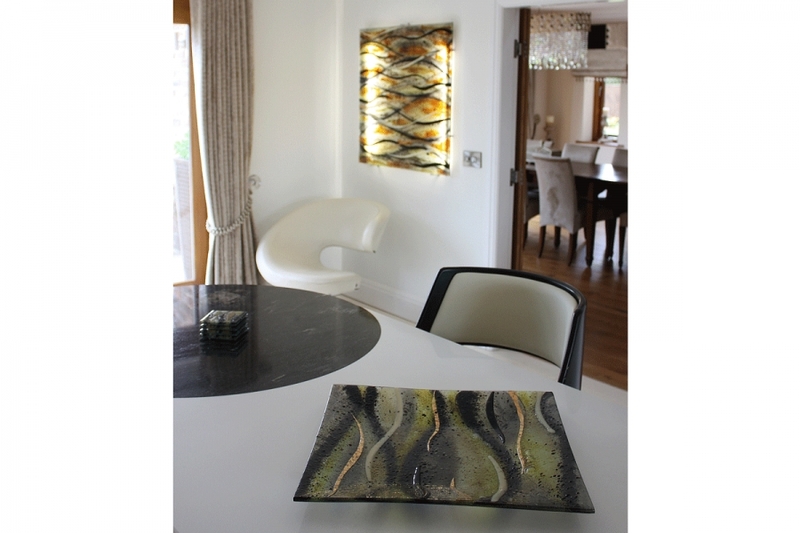 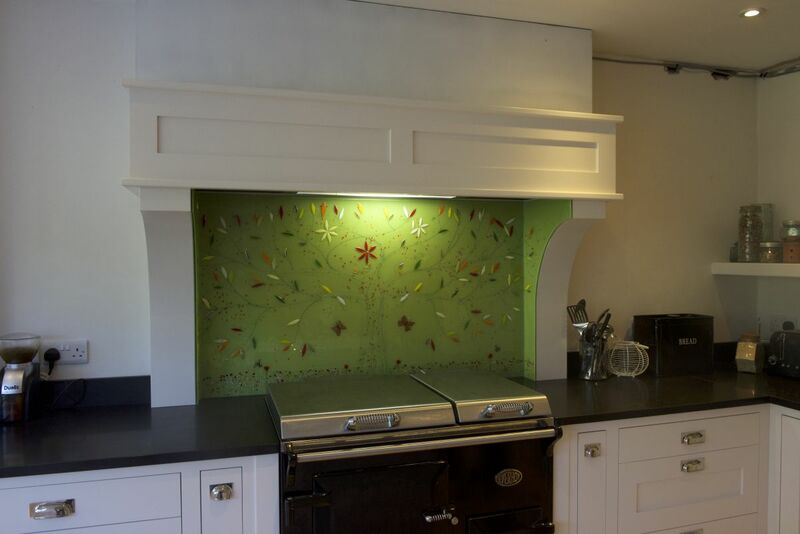 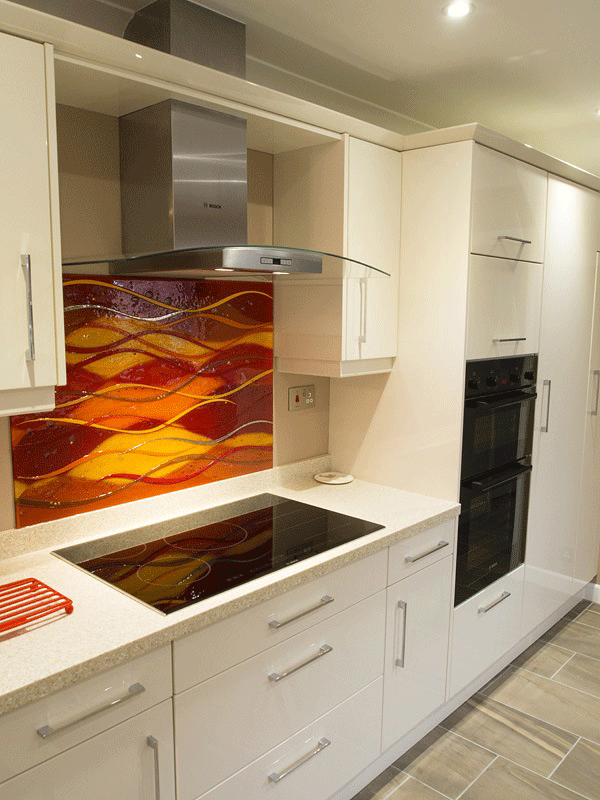 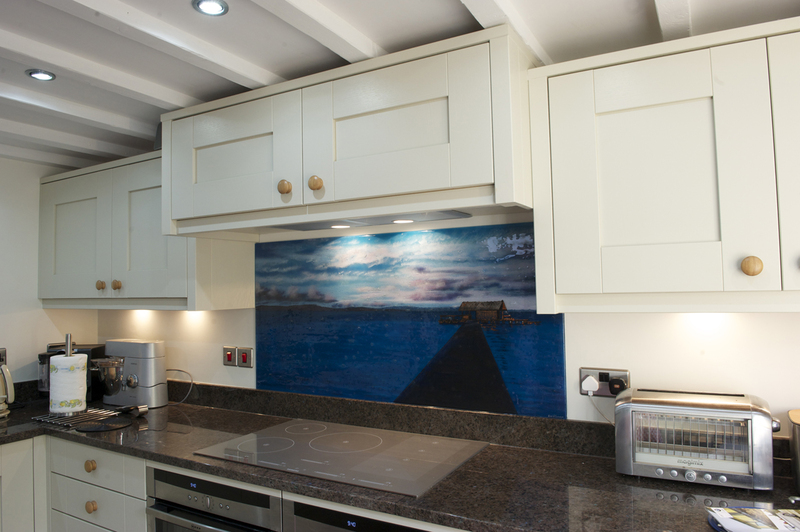 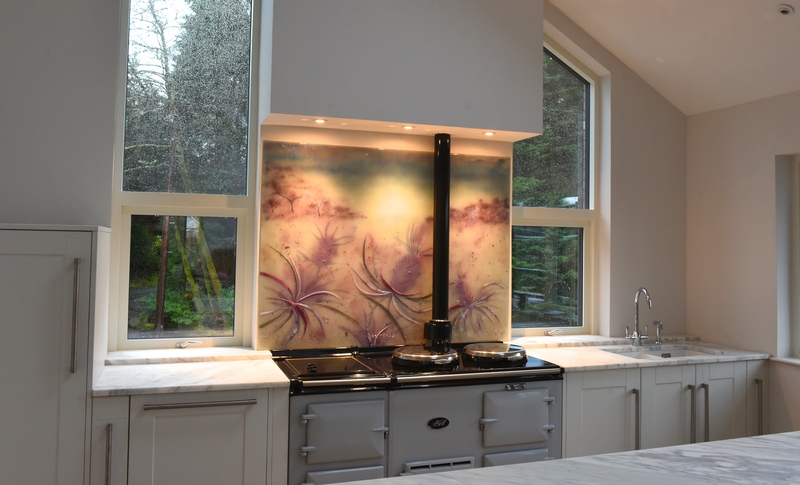 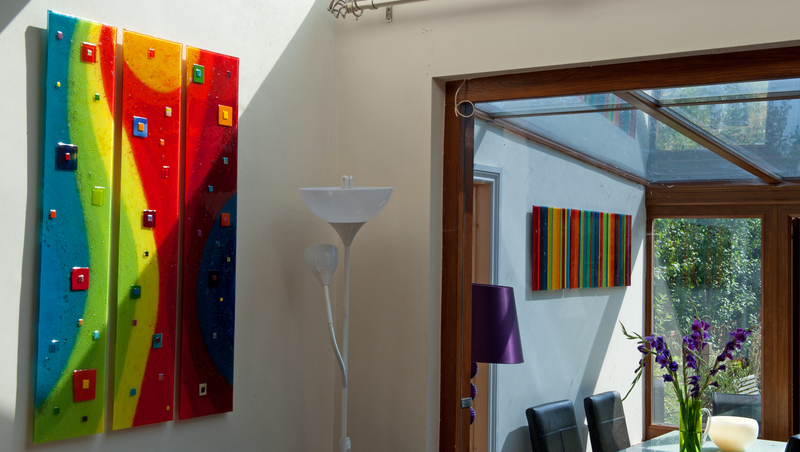 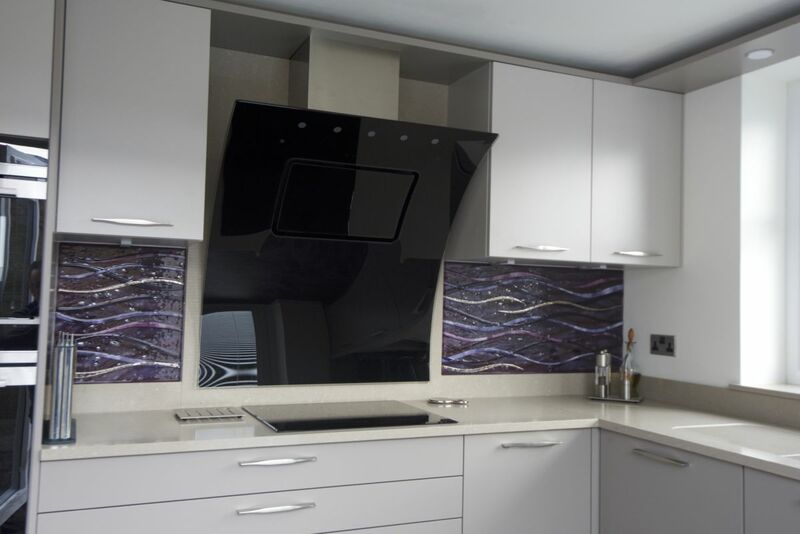 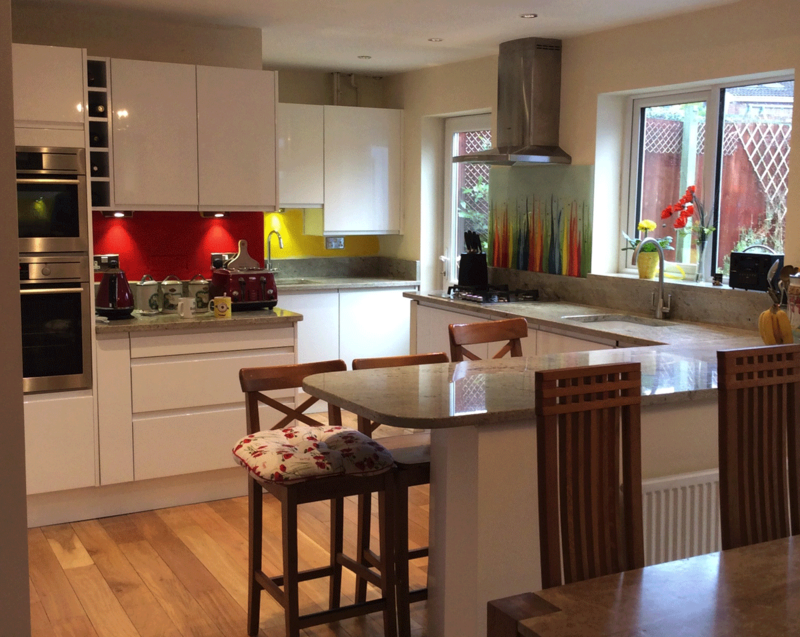 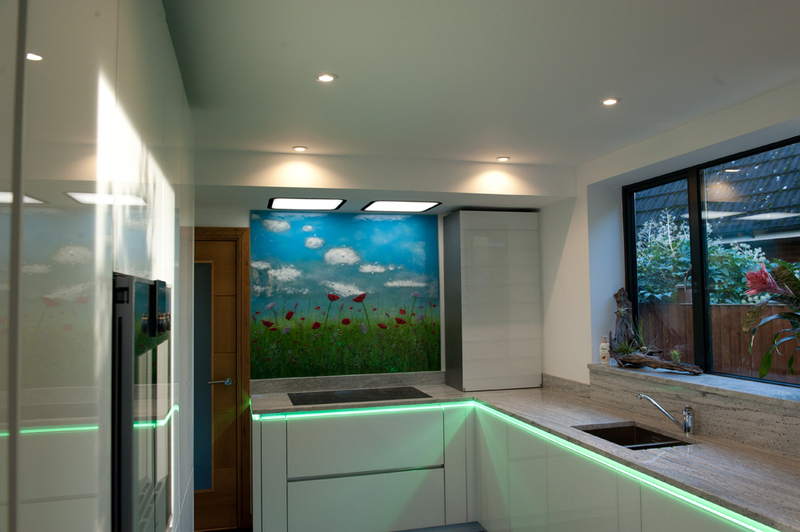 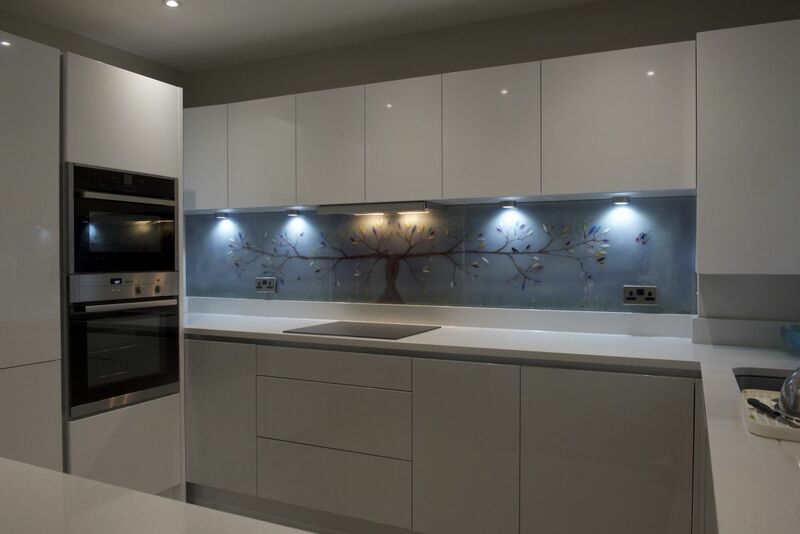 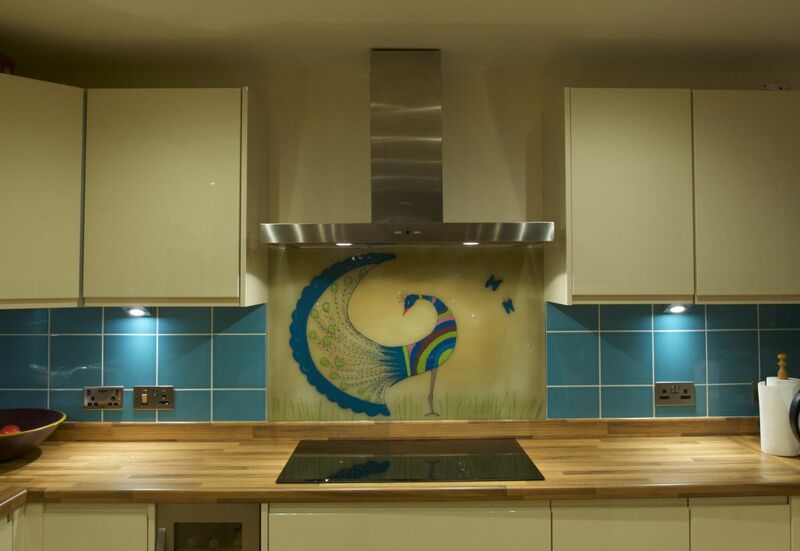 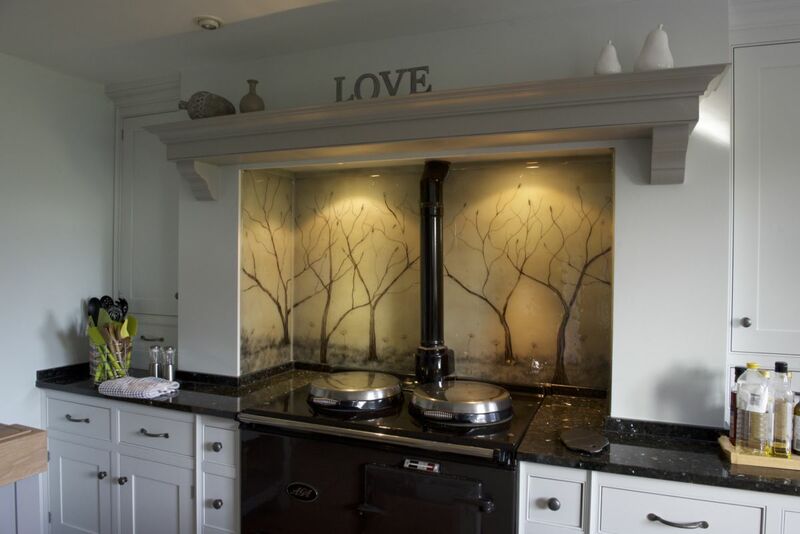 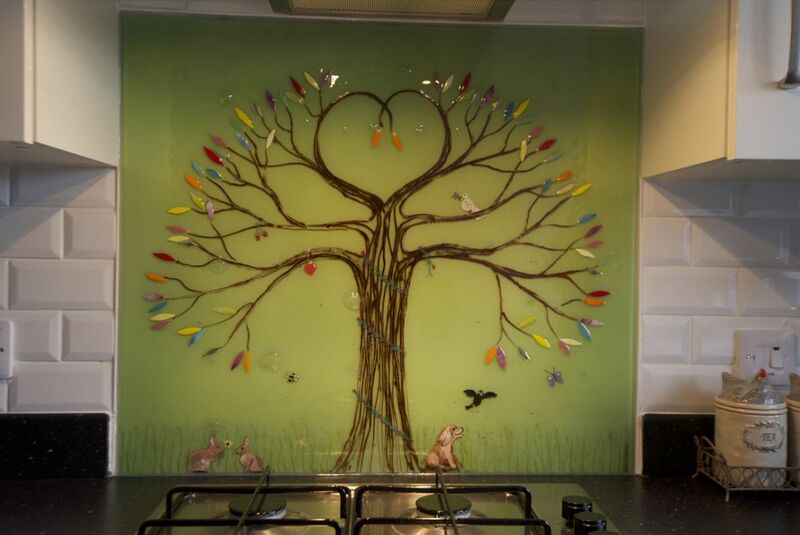 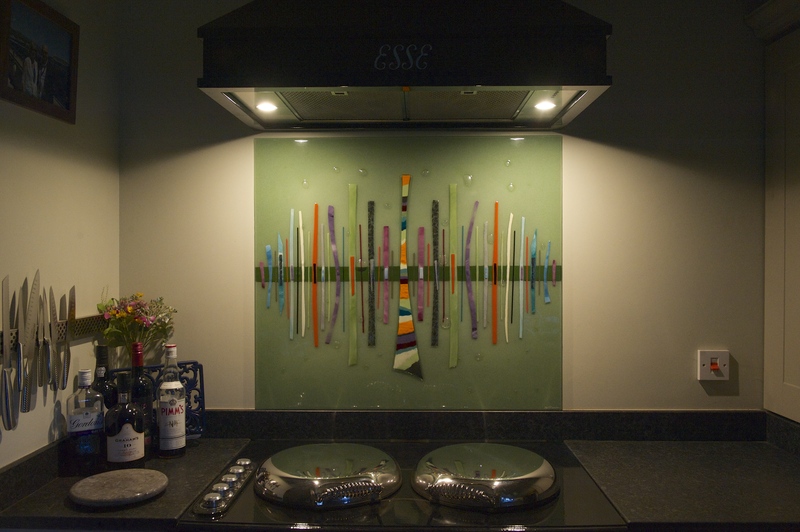 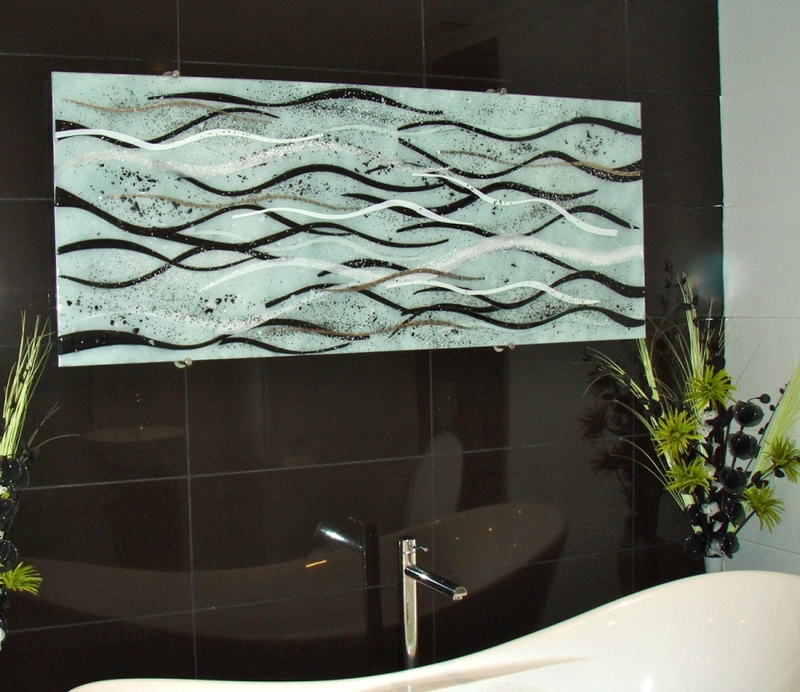 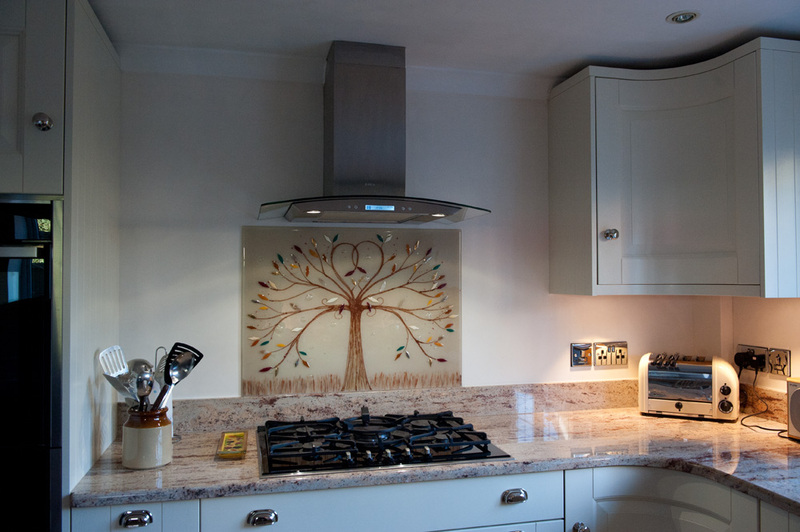 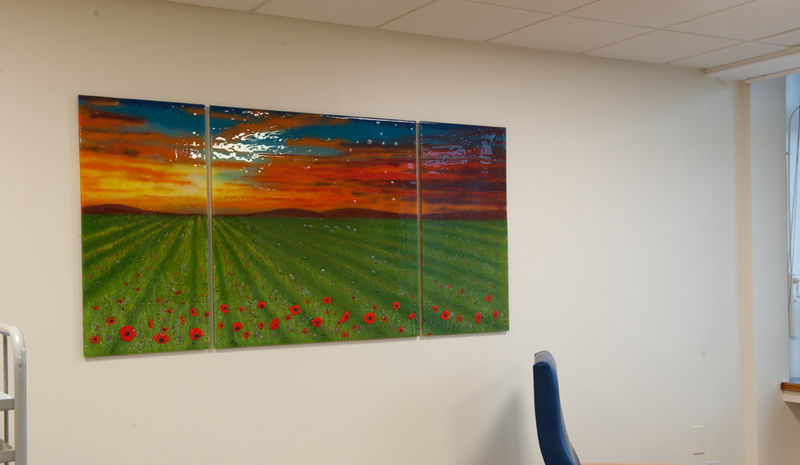 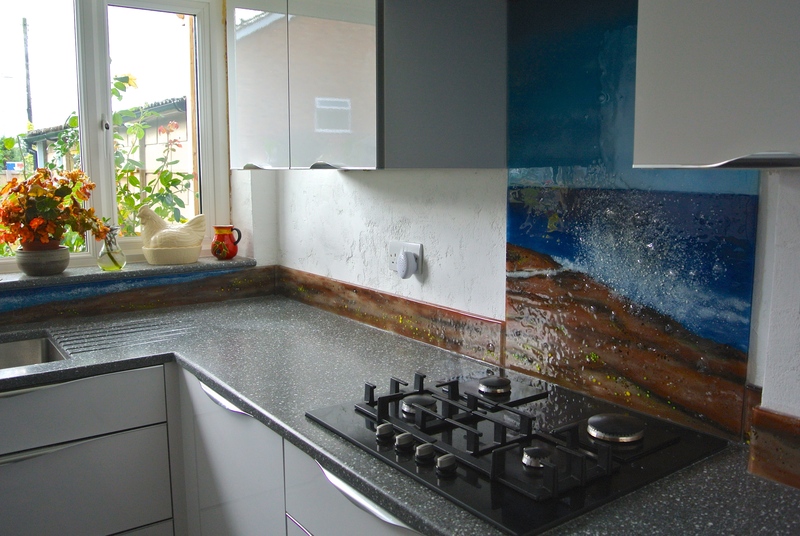 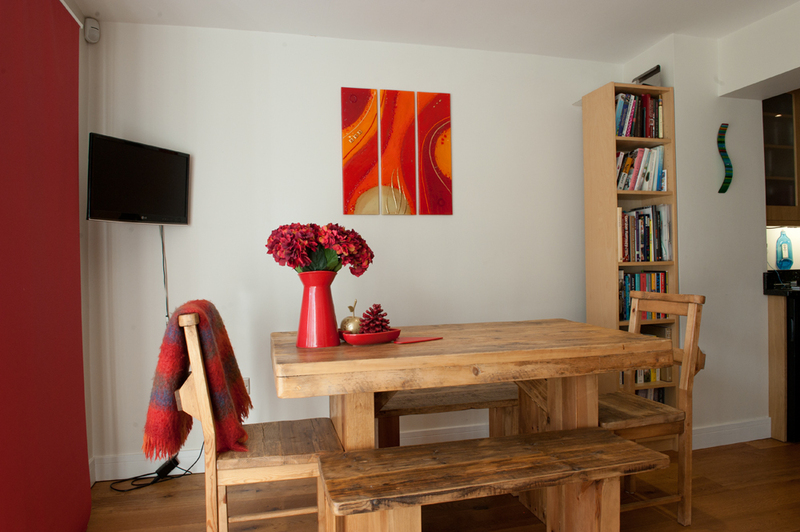 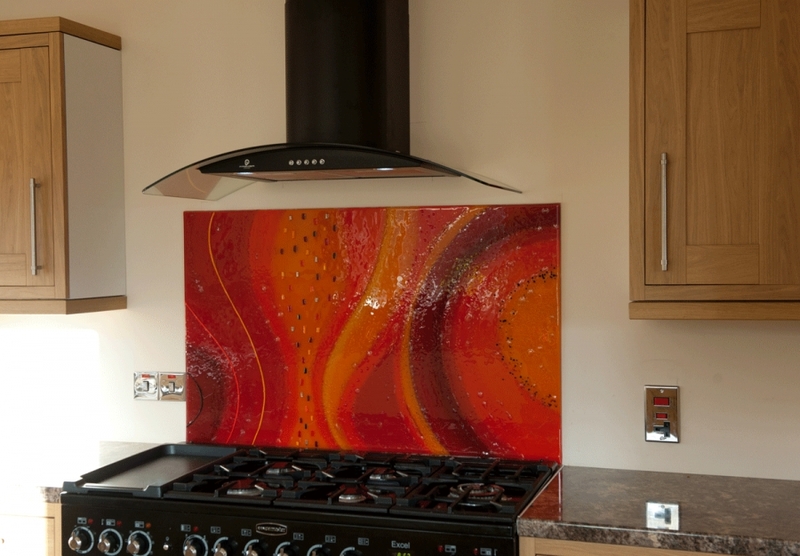 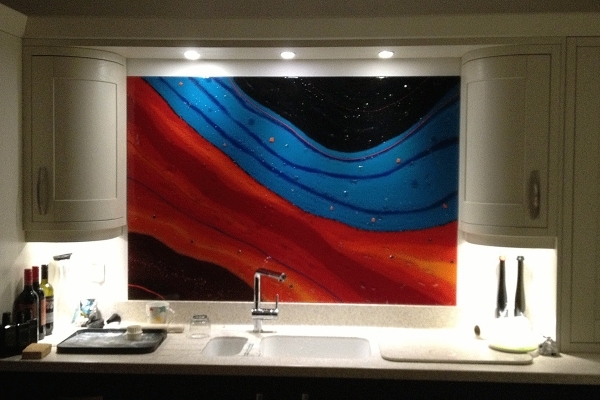 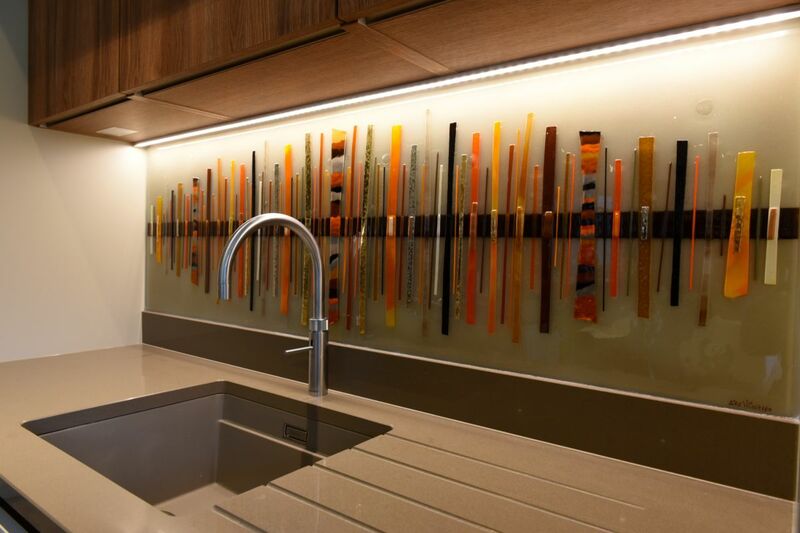 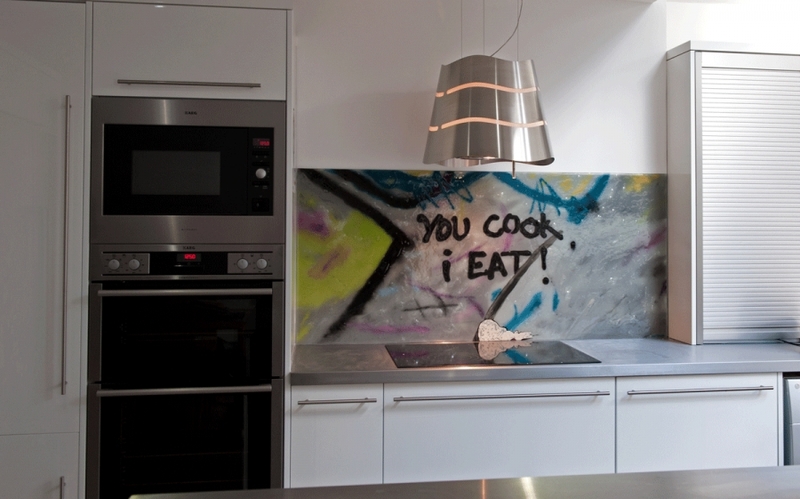 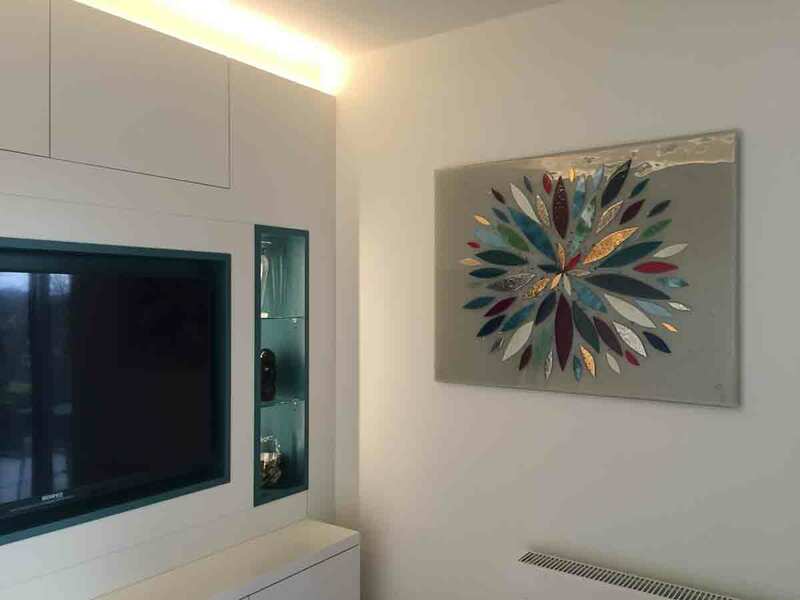 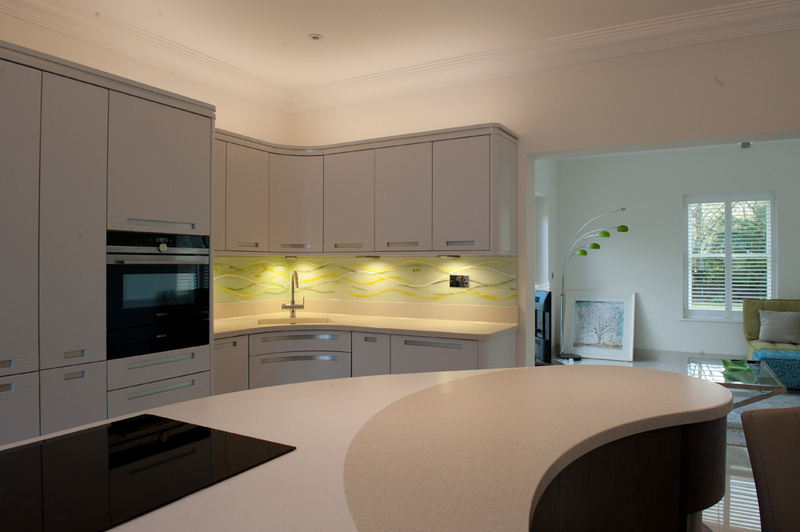 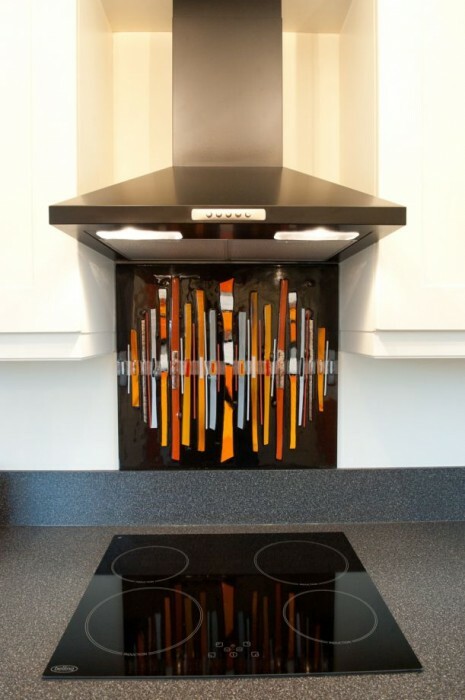 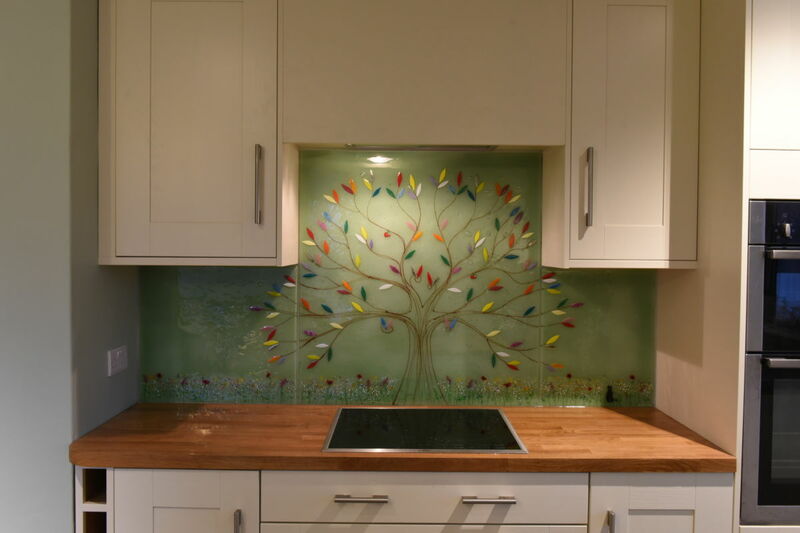 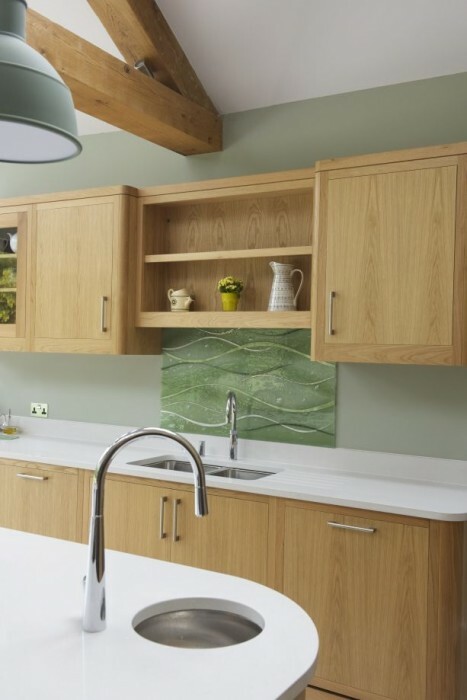 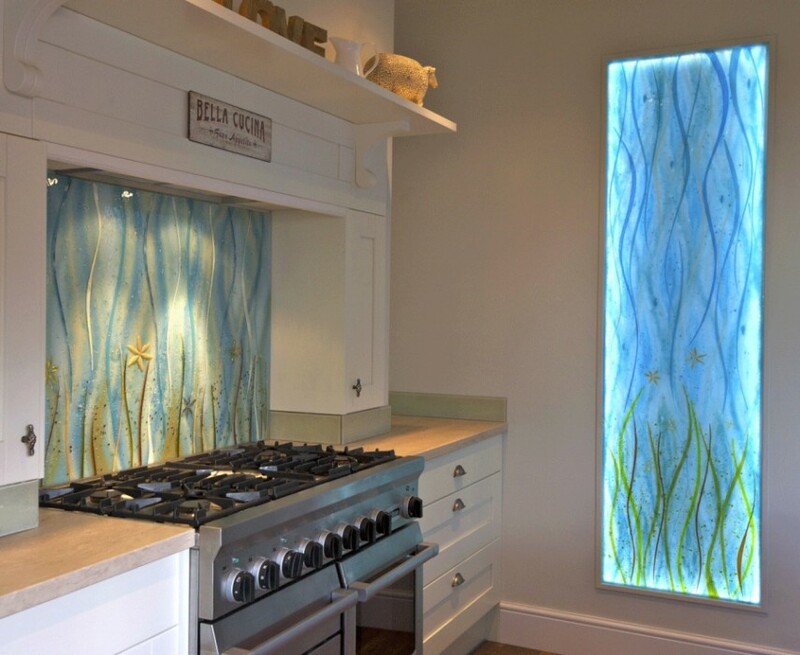 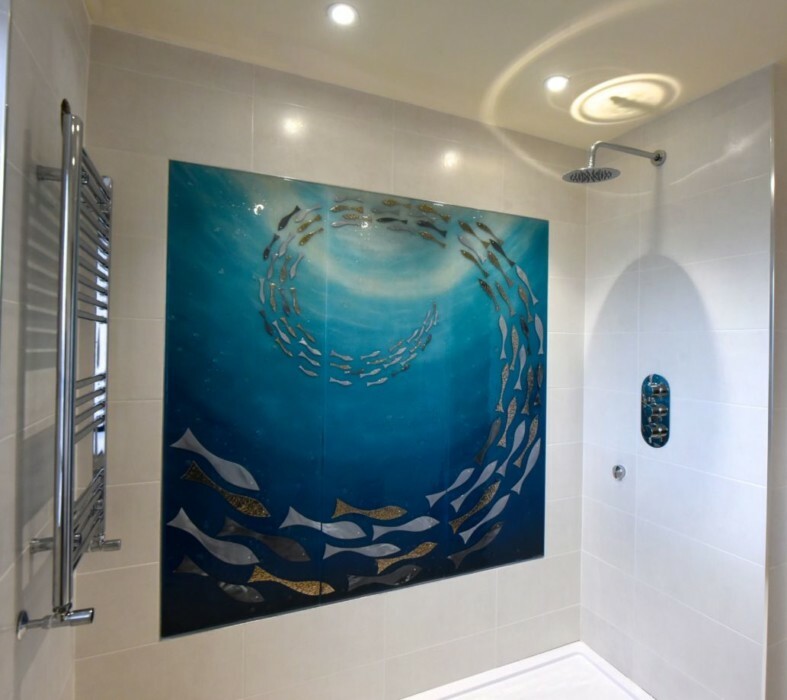 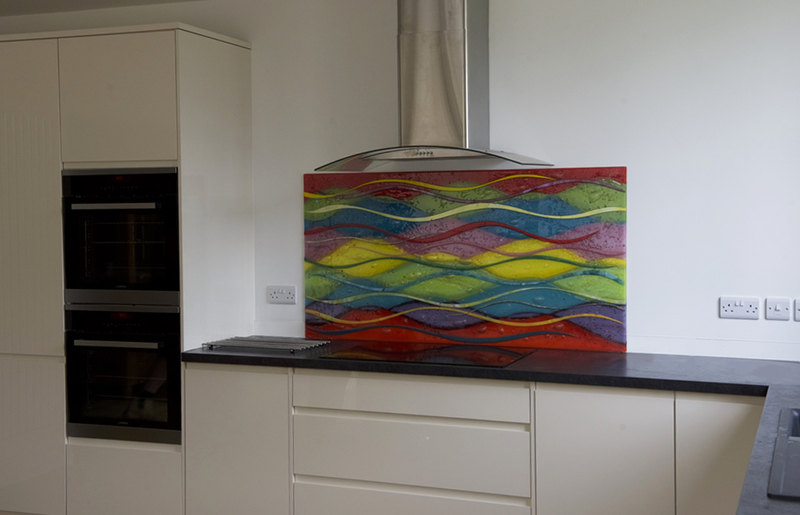 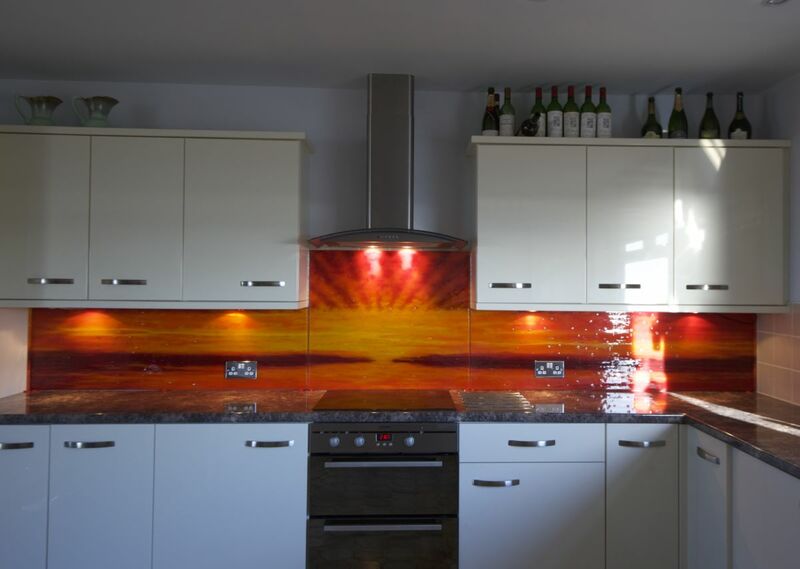 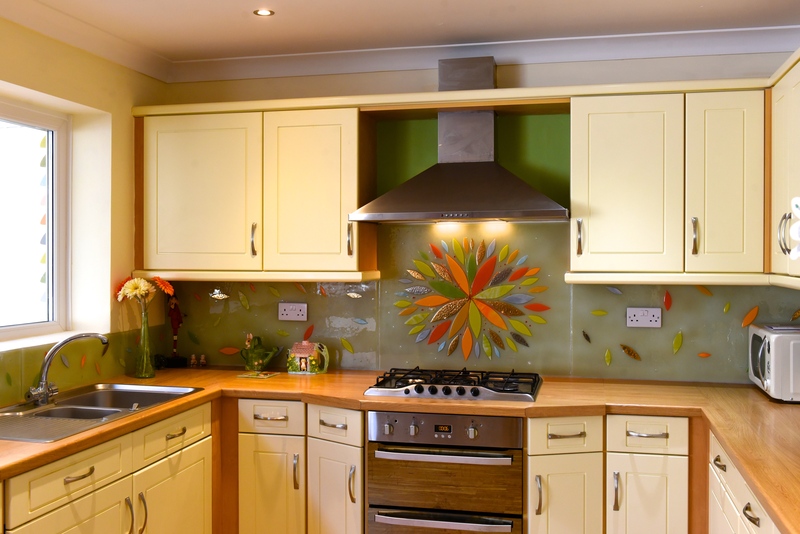 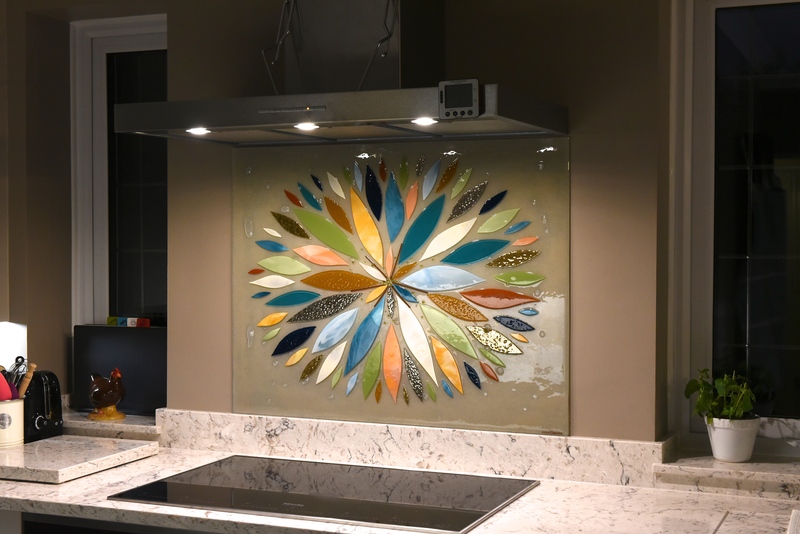 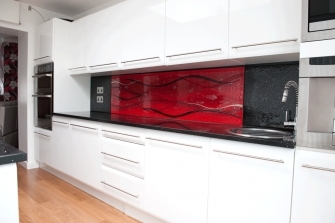 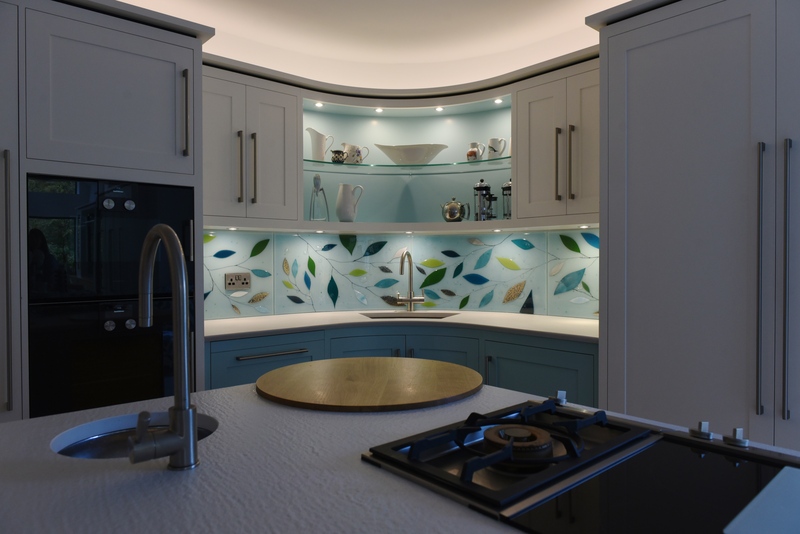 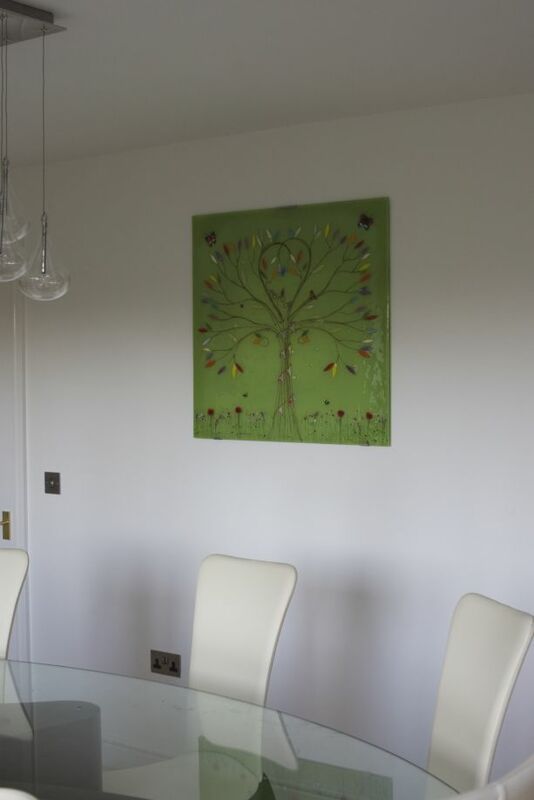 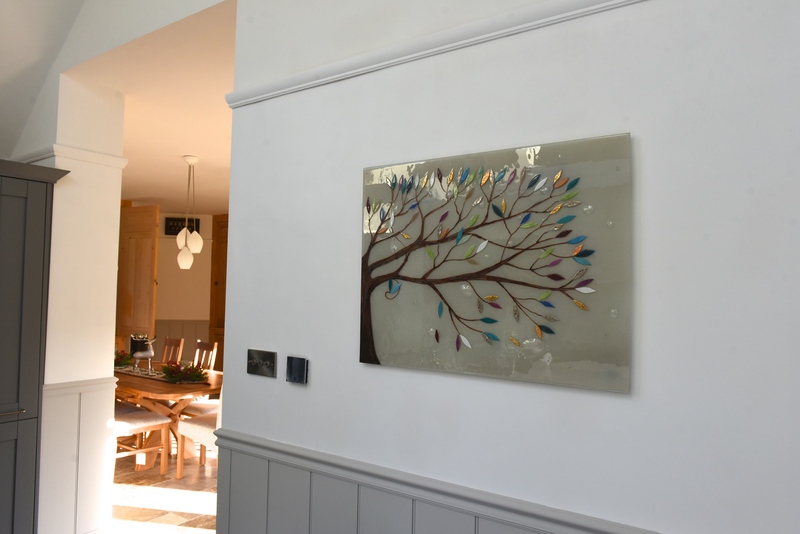 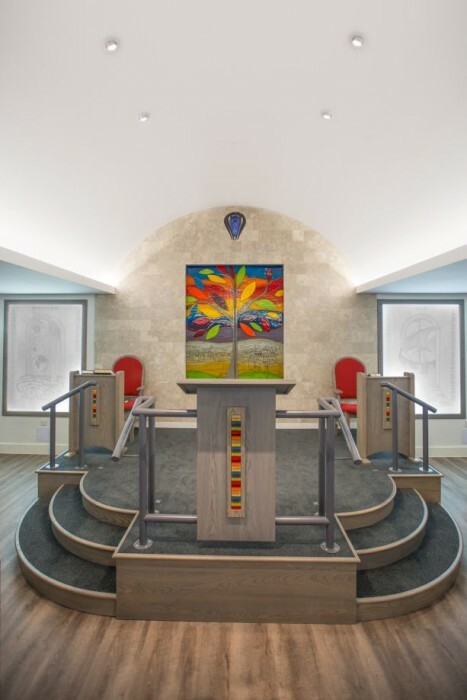 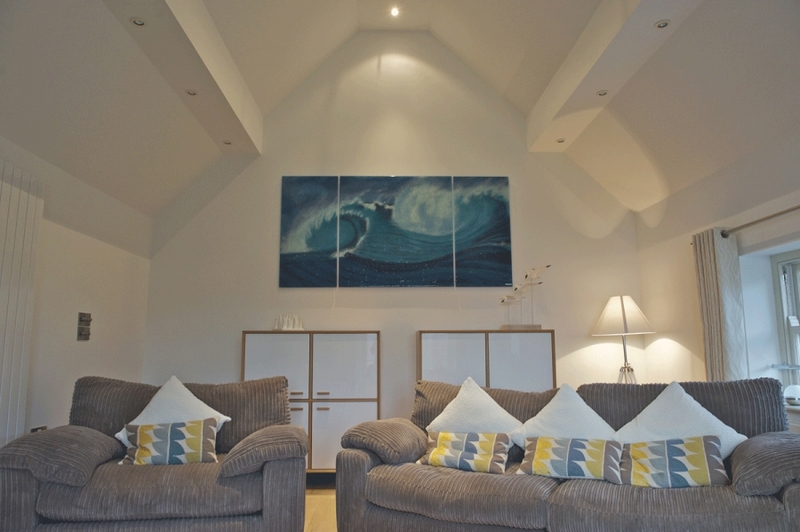 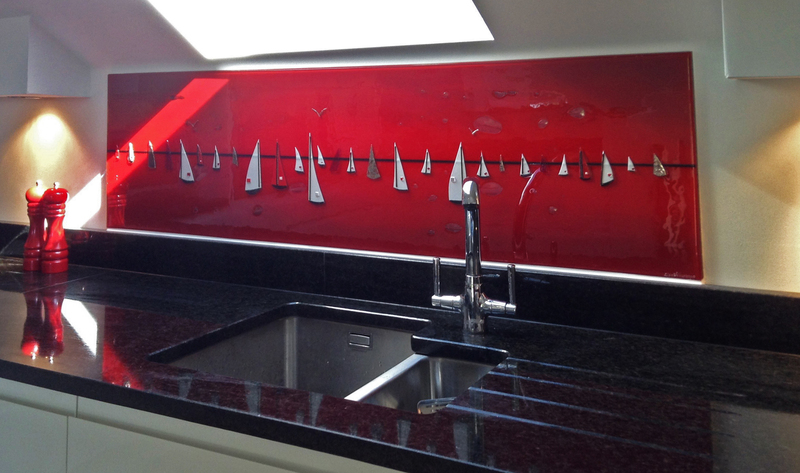 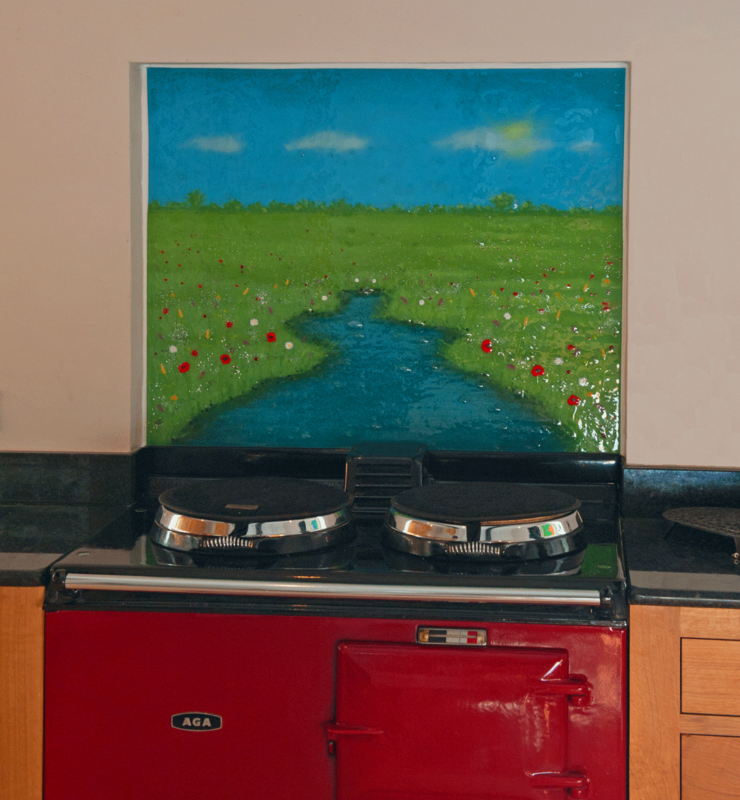 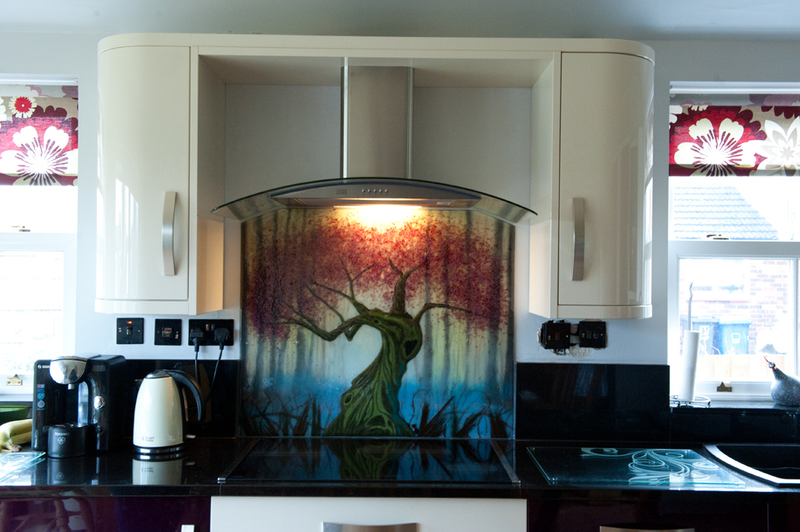 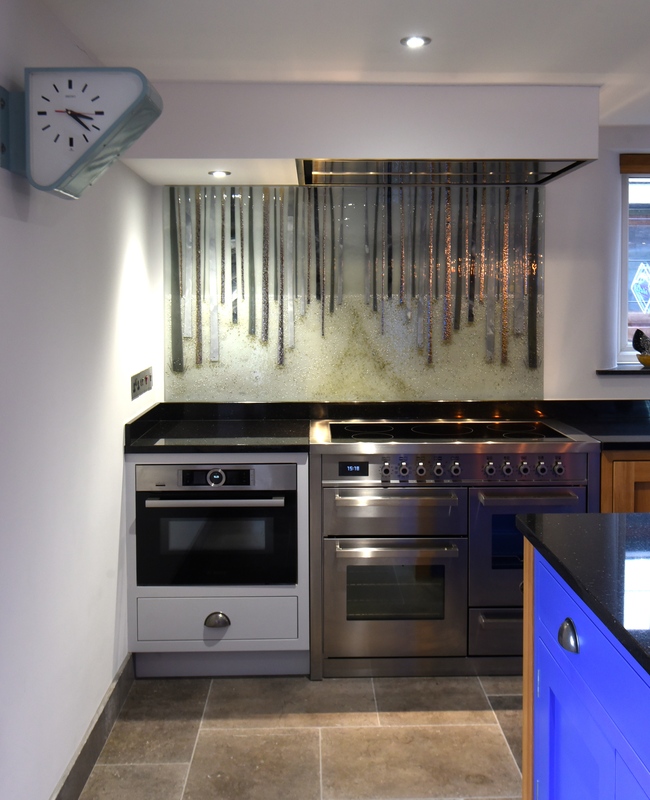 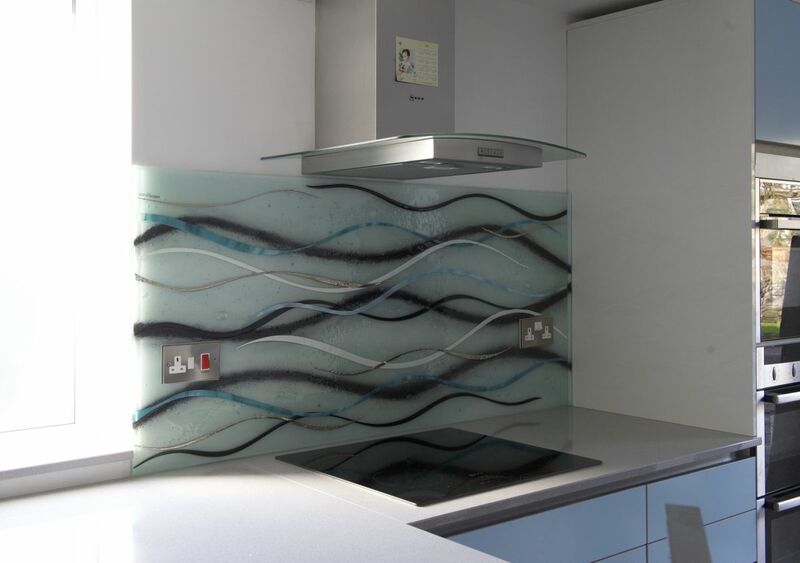 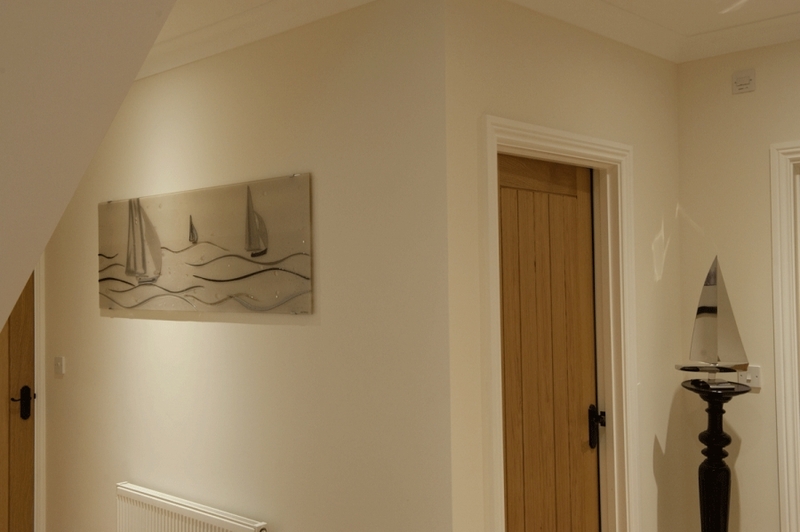 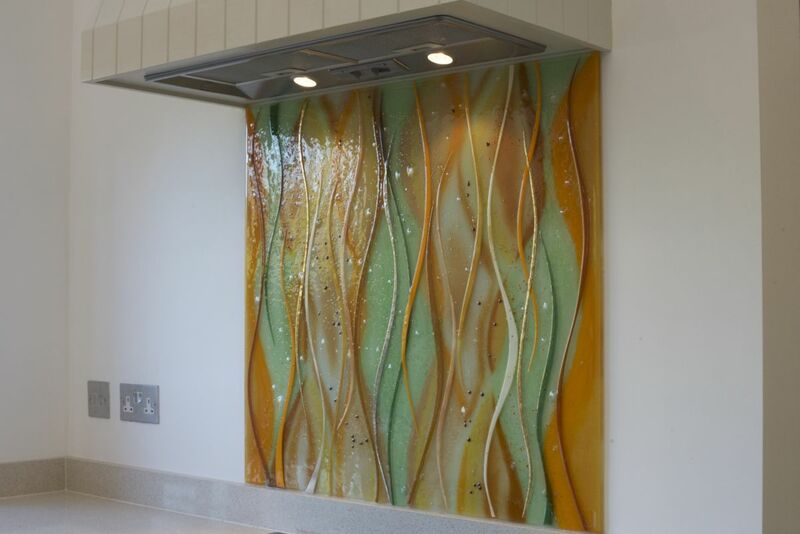 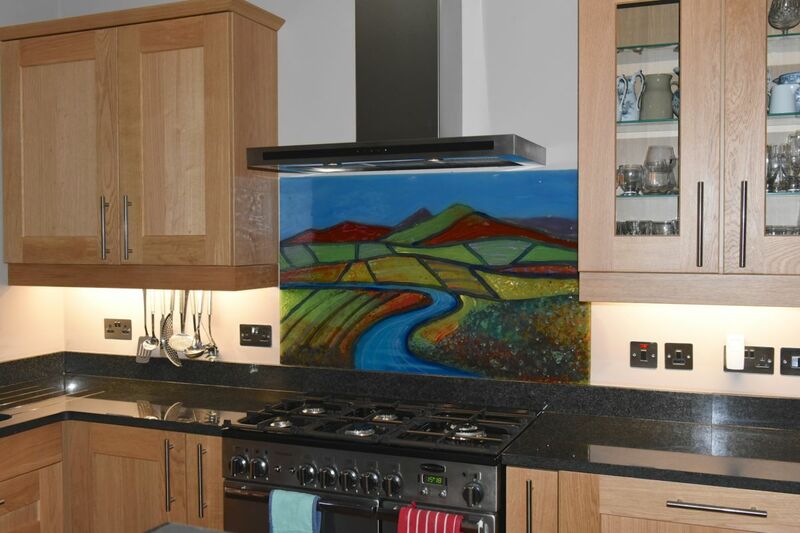 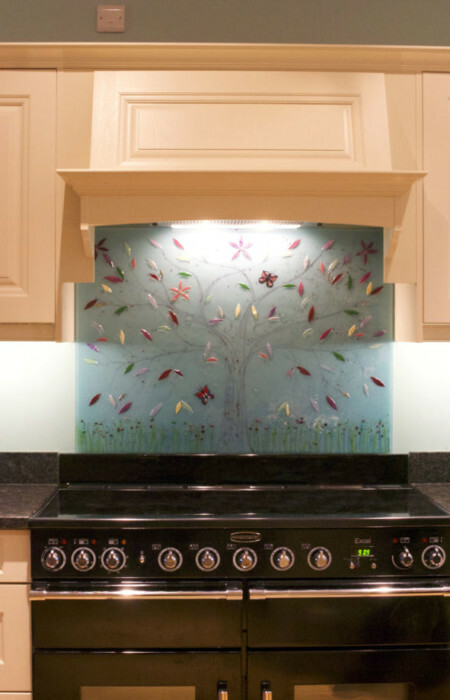 This beautiful handmade glass art splashback is a flower burst design which found a home in East Grinstead, Sussex. 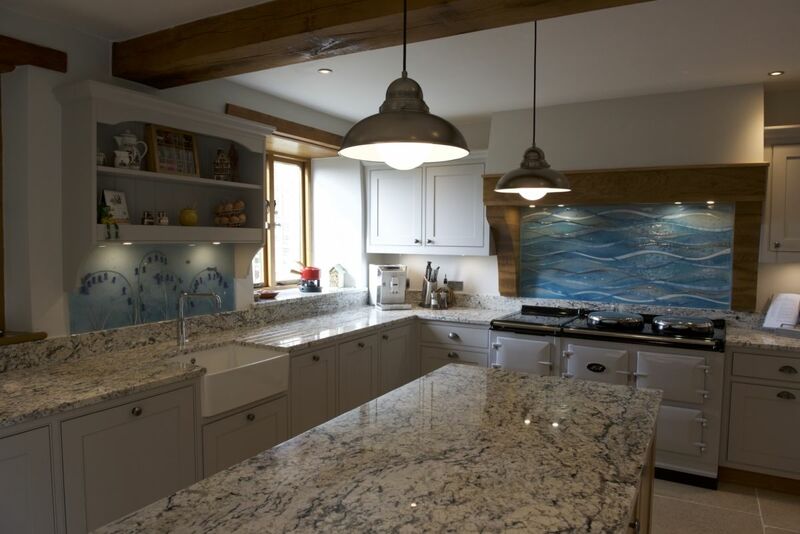 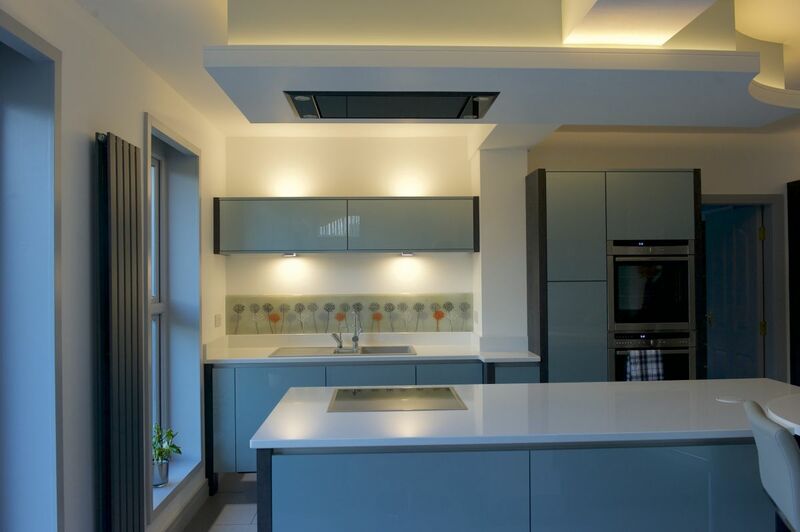 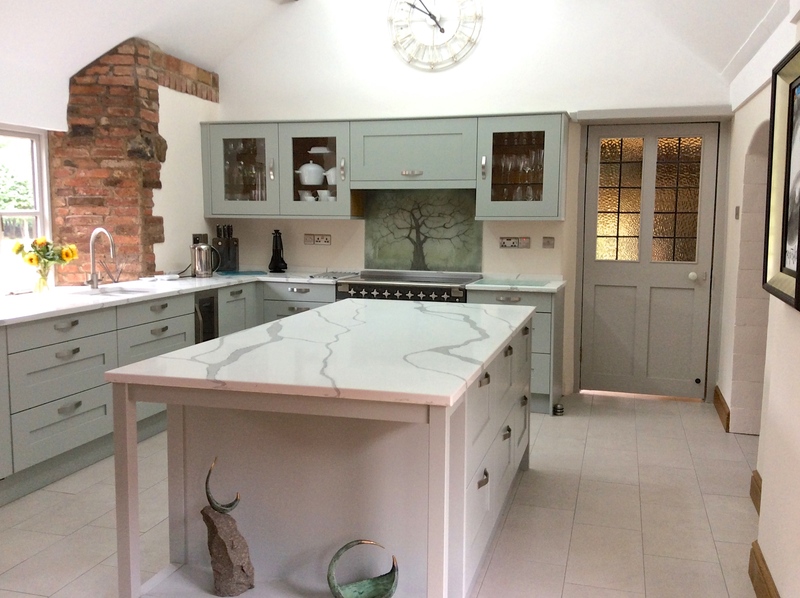 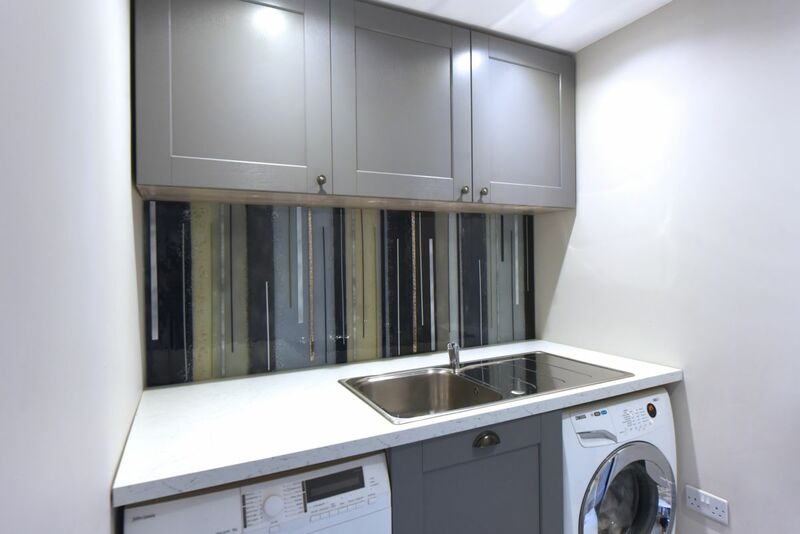 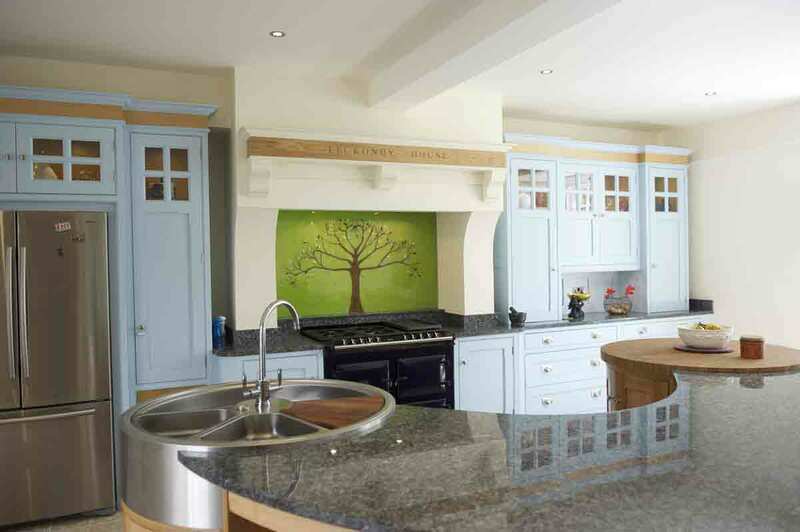 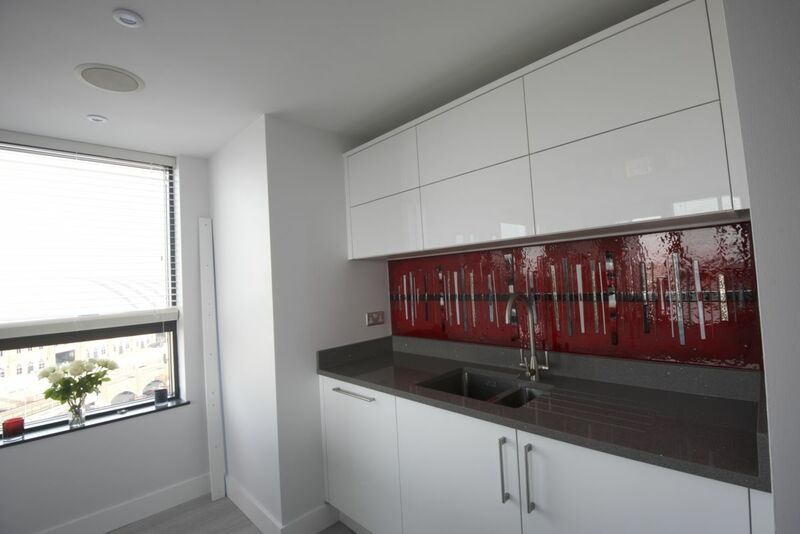 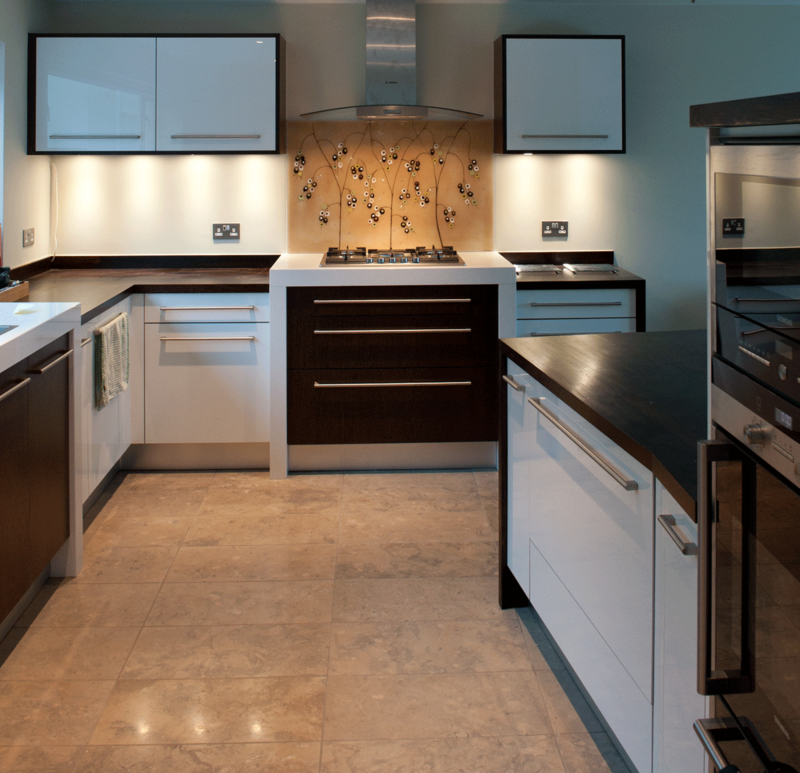 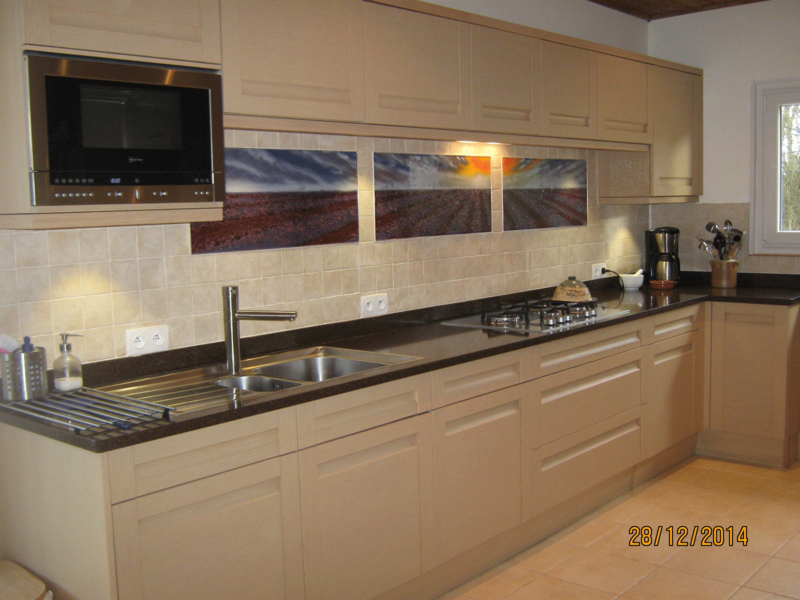 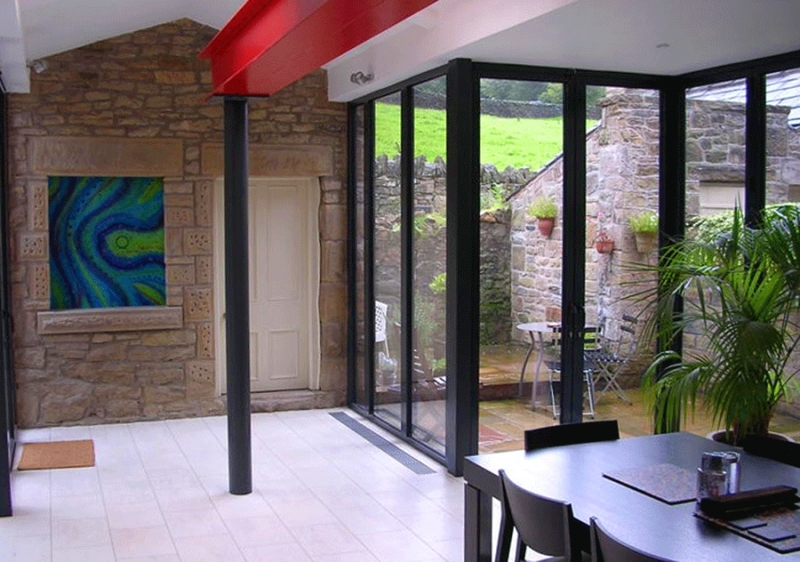 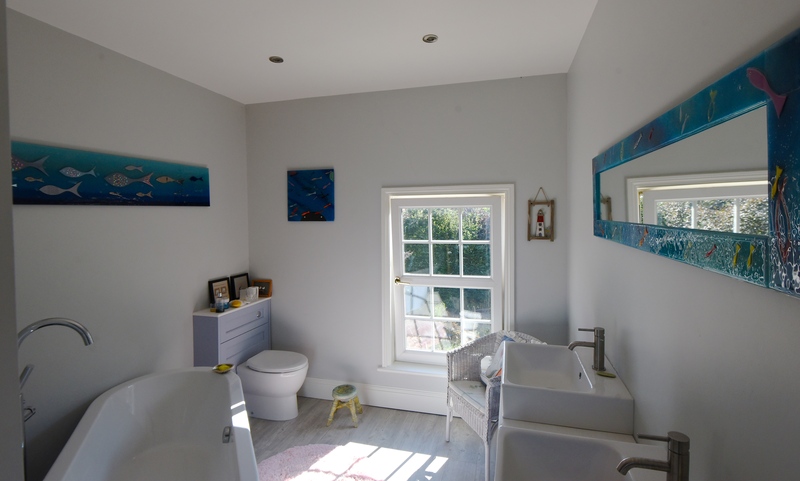 As you can see, it makes for a perfect fit for the kitchen and the surrounding décor, with a complementary stone background and a wide palette of matching colours. 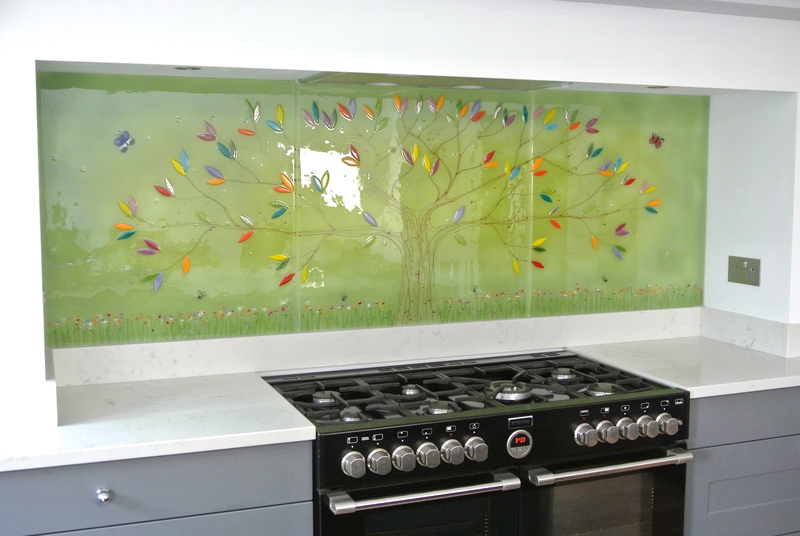 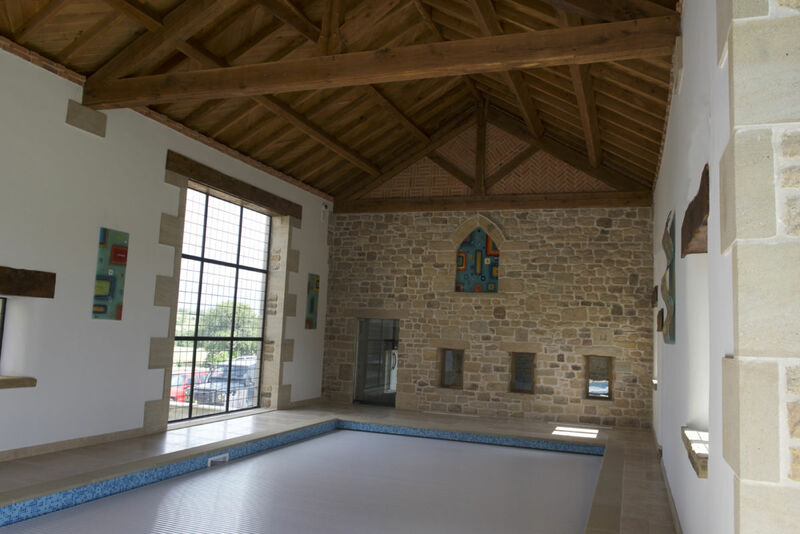 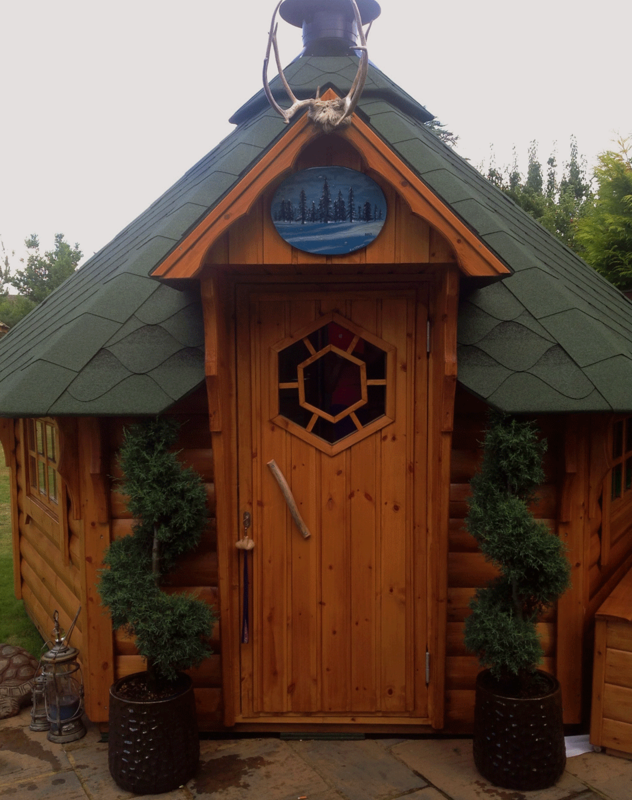 Each leaf was cut carefully by hand, giving it a uniquely artistic flair that you won’t find in many other houses! 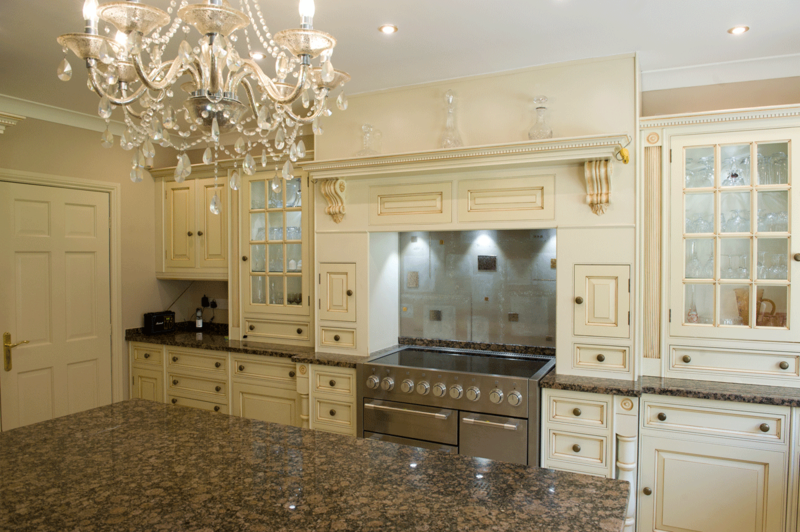 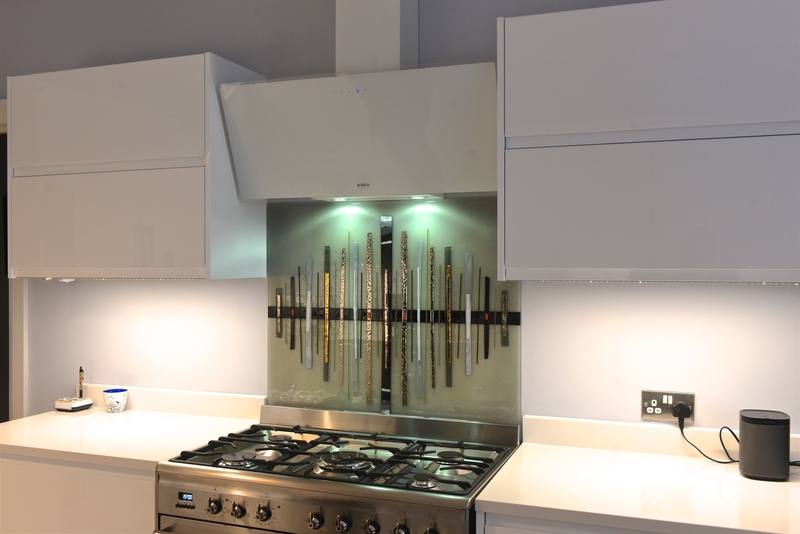 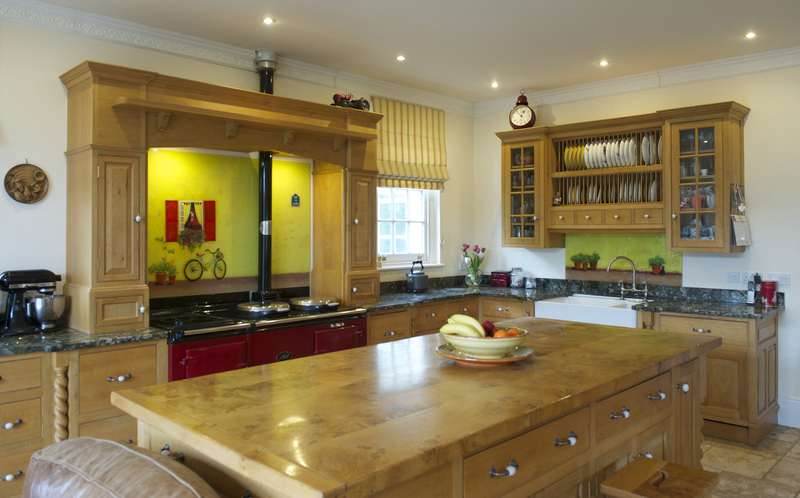 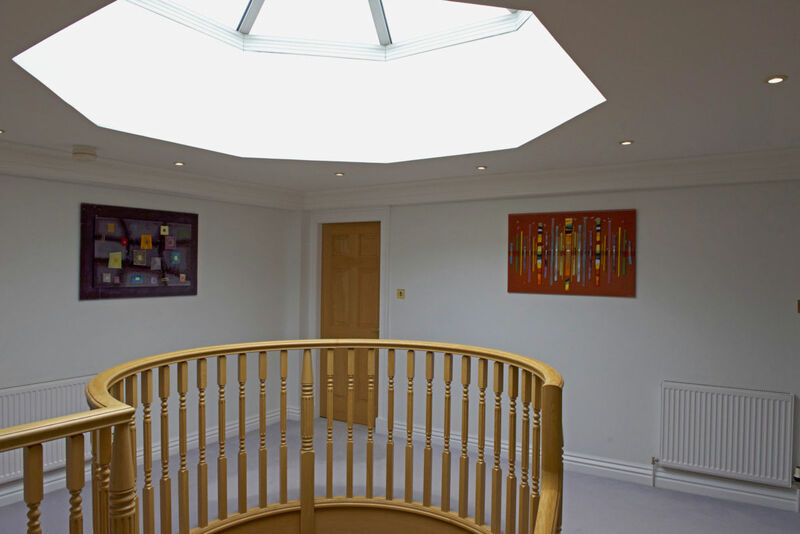 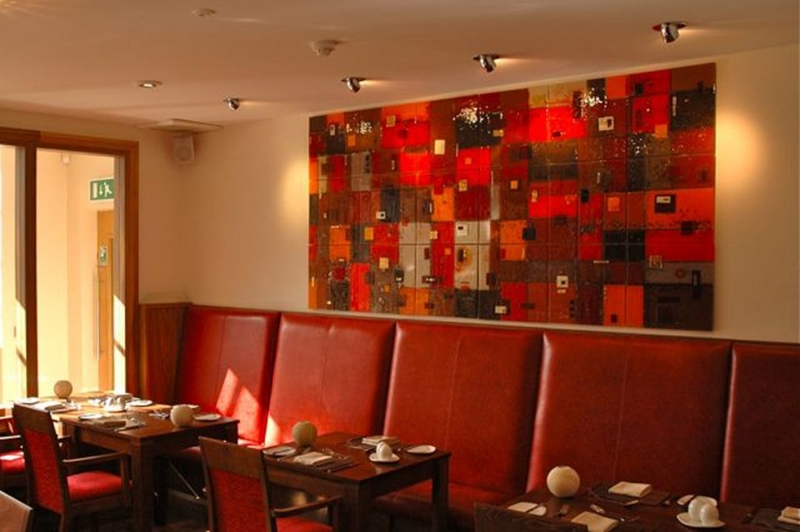 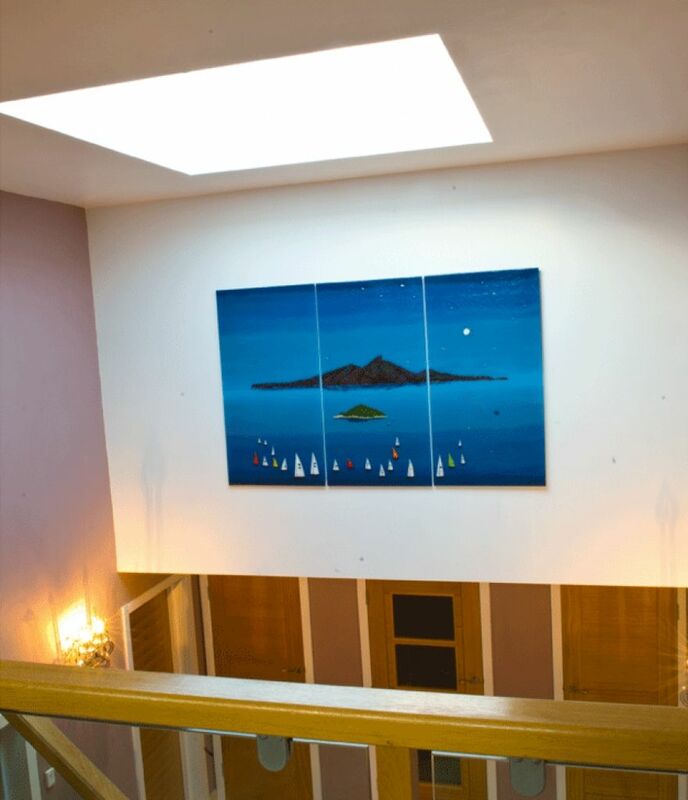 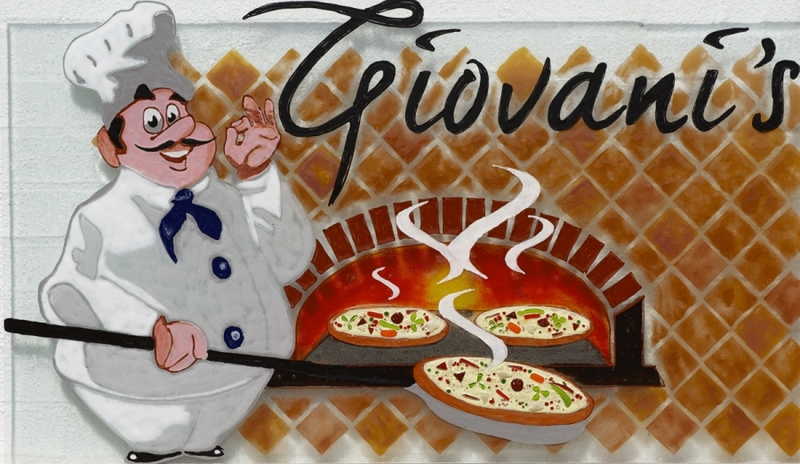 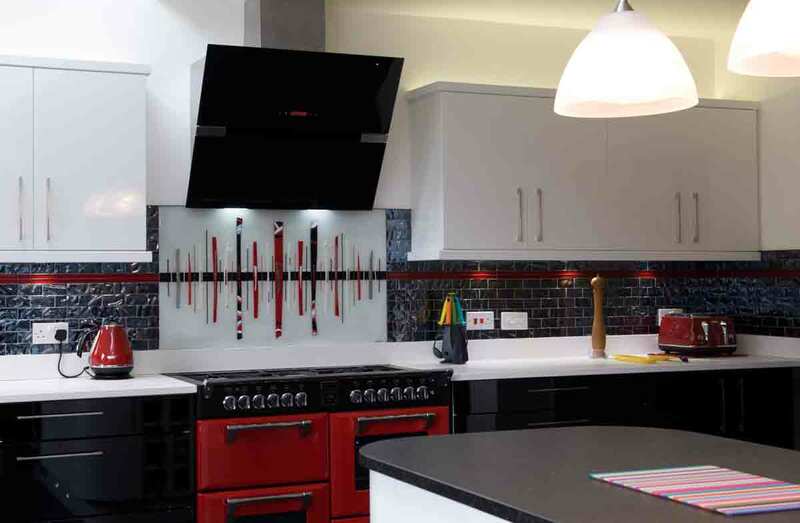 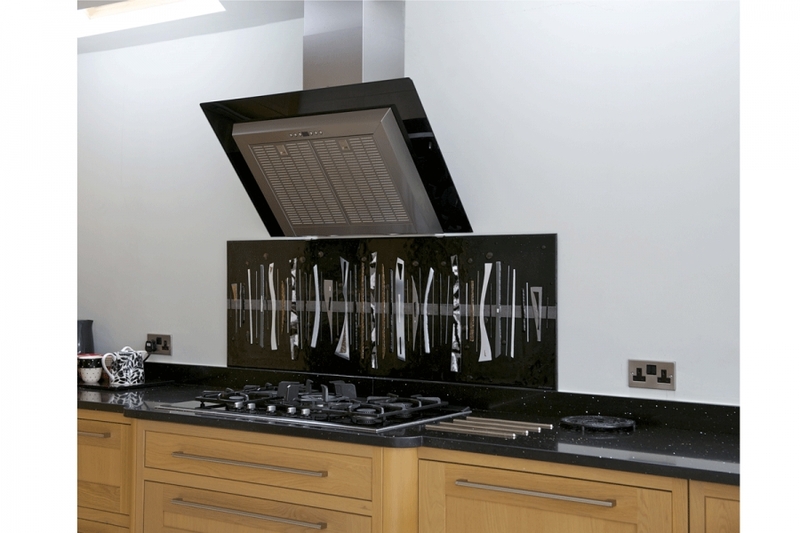 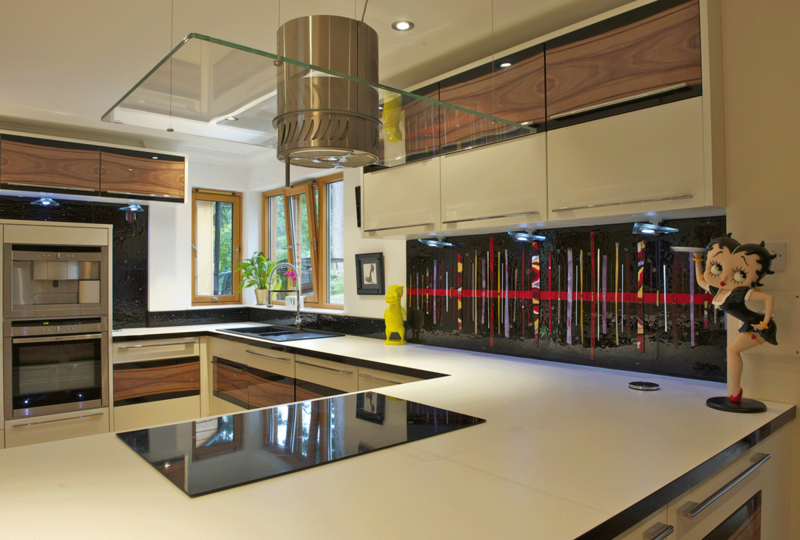 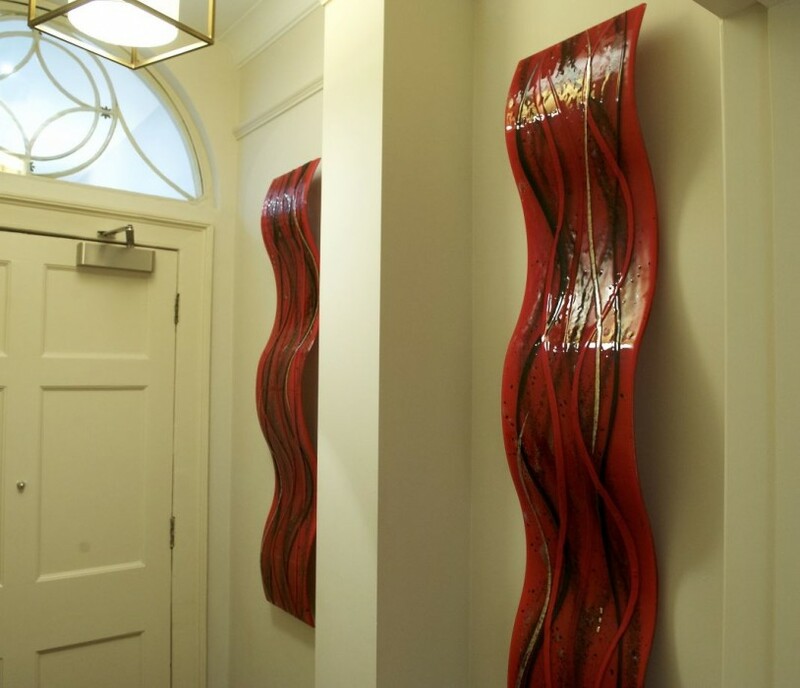 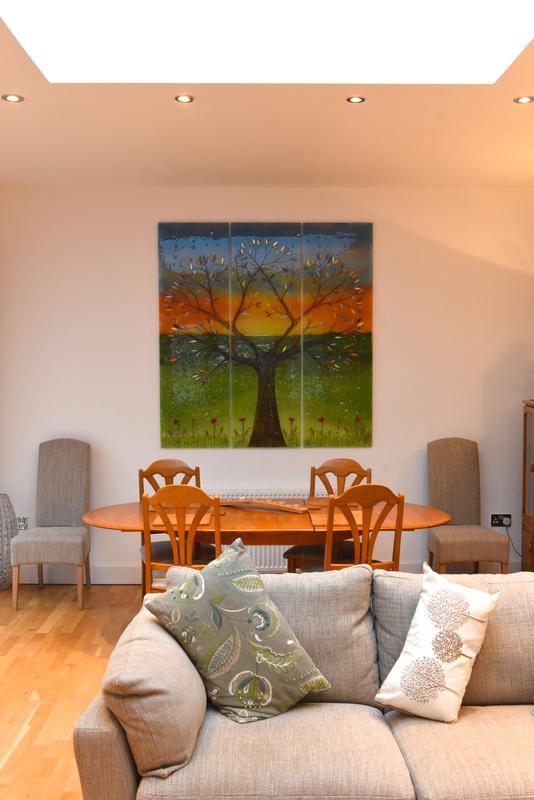 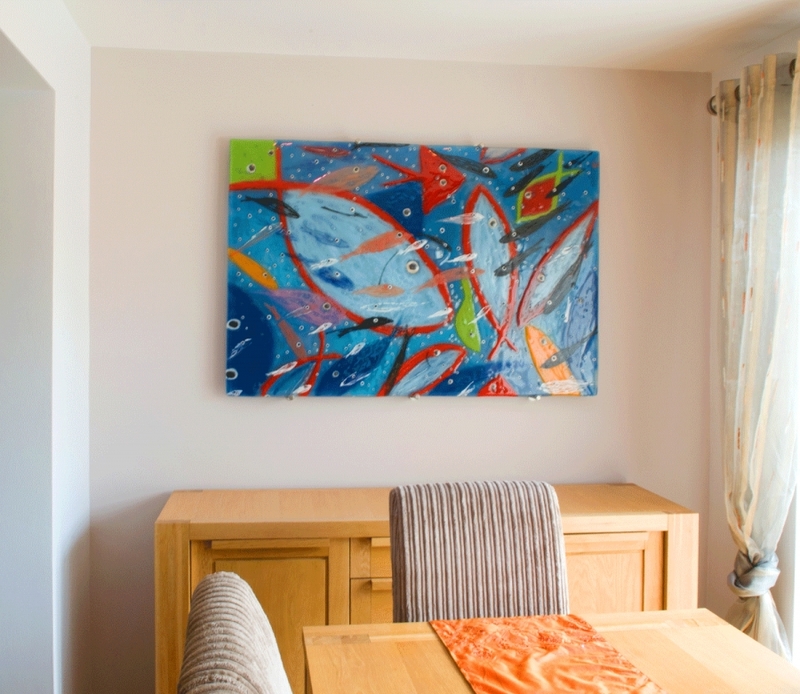 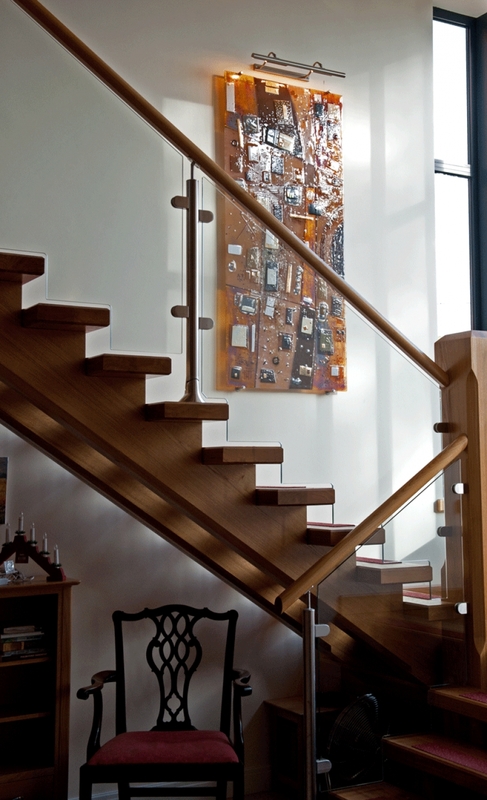 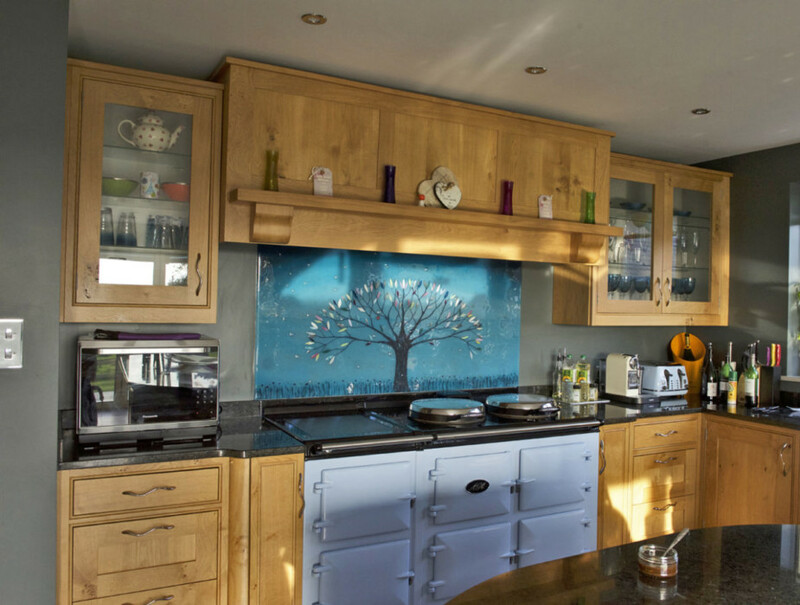 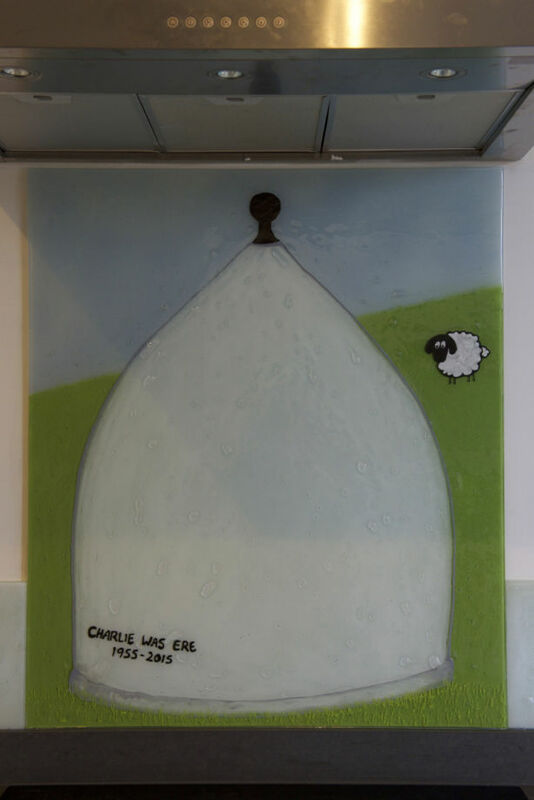 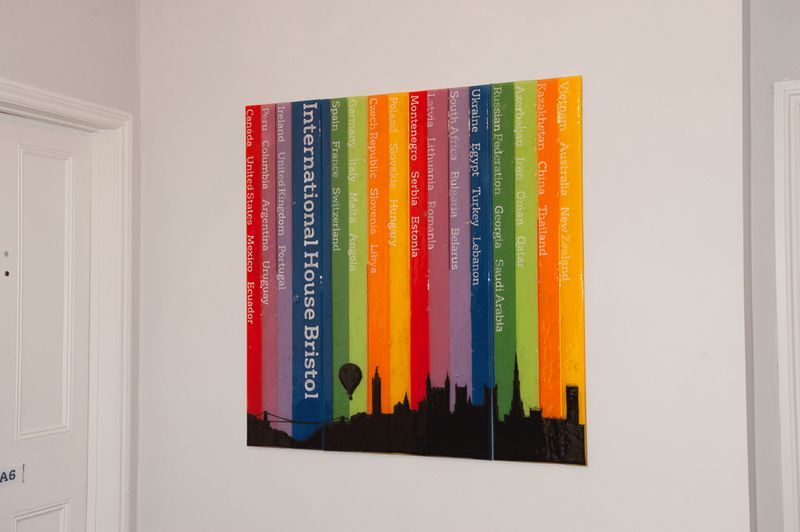 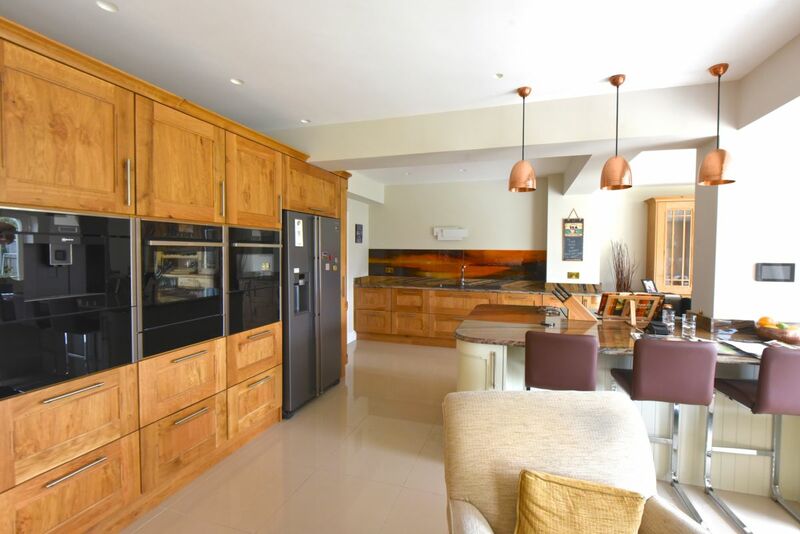 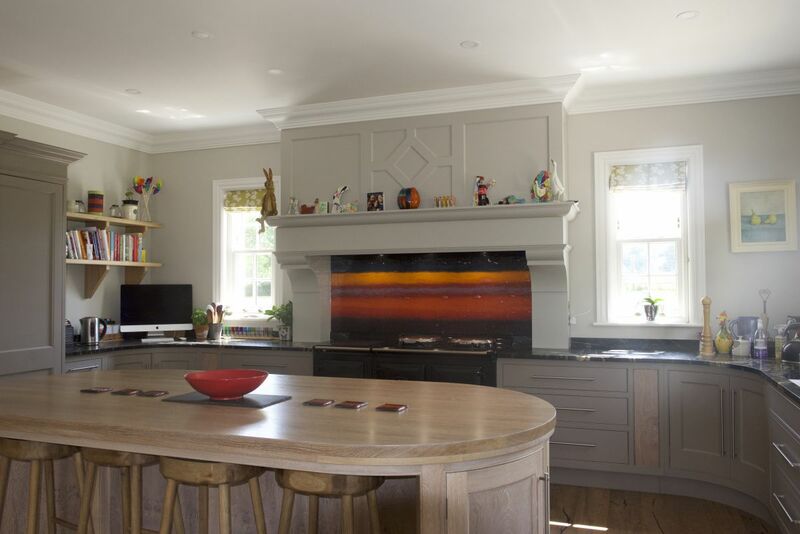 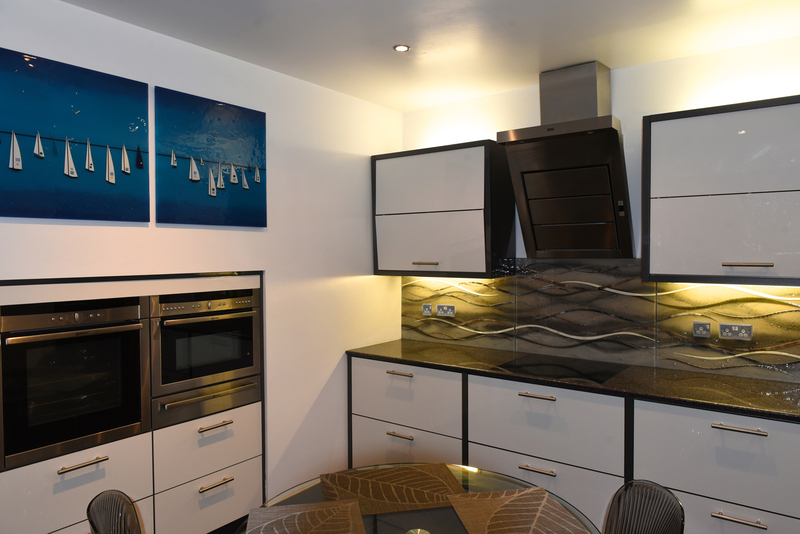 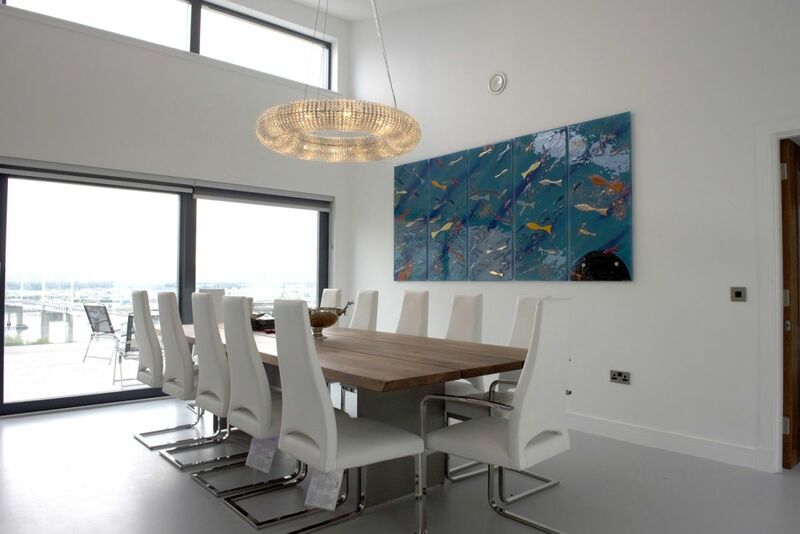 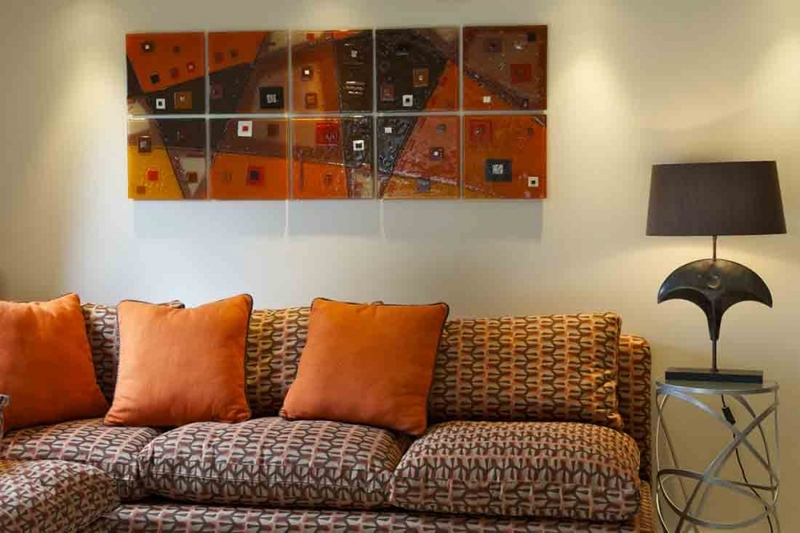 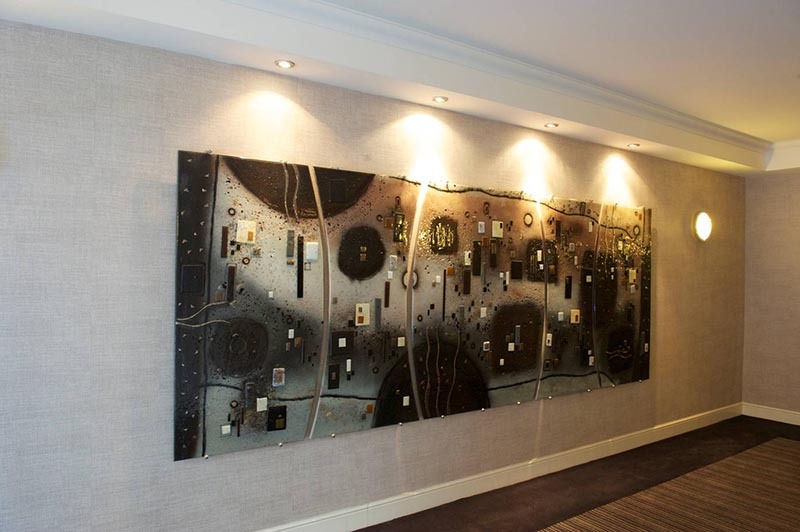 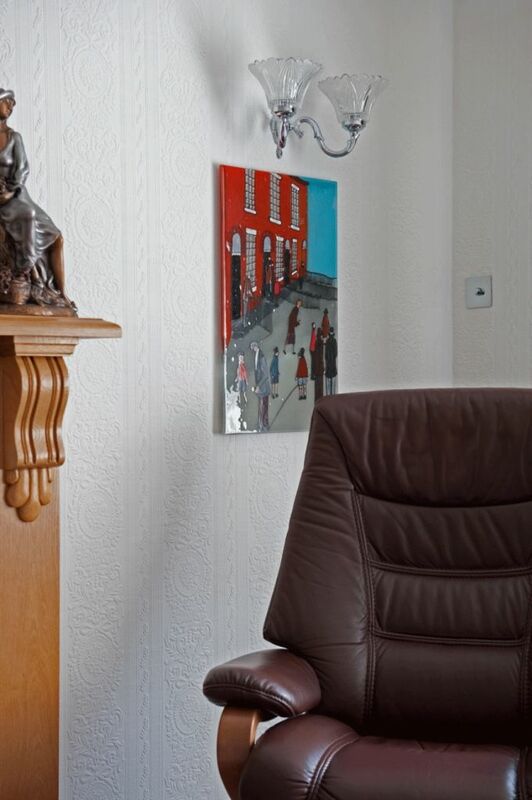 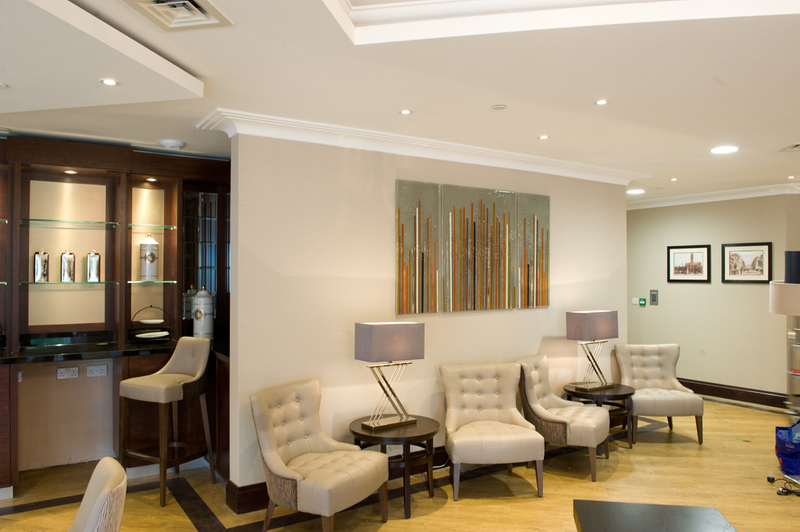 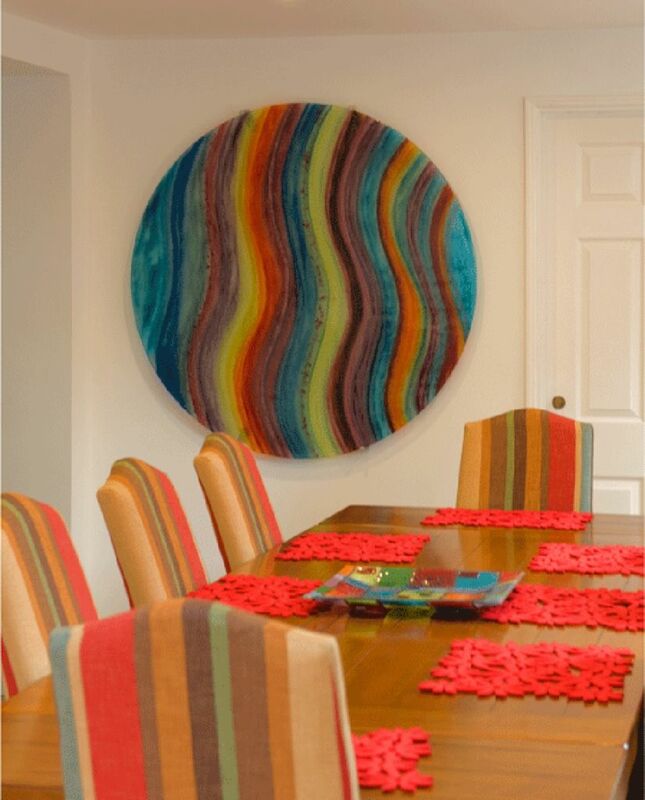 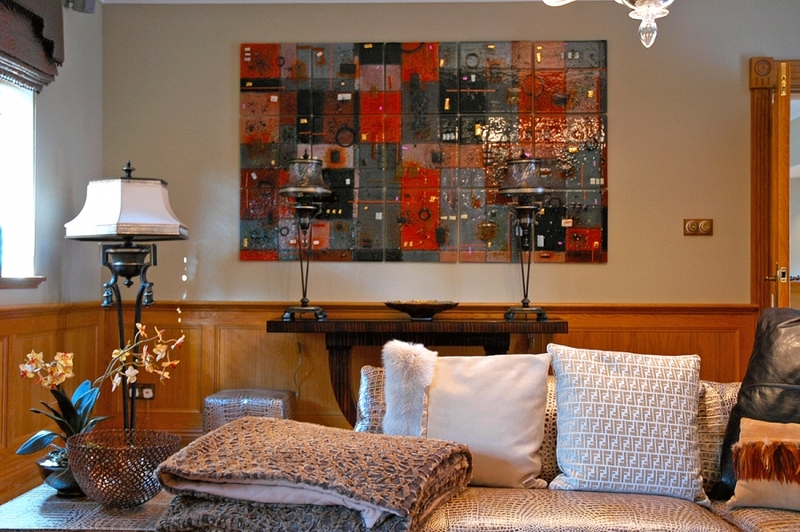 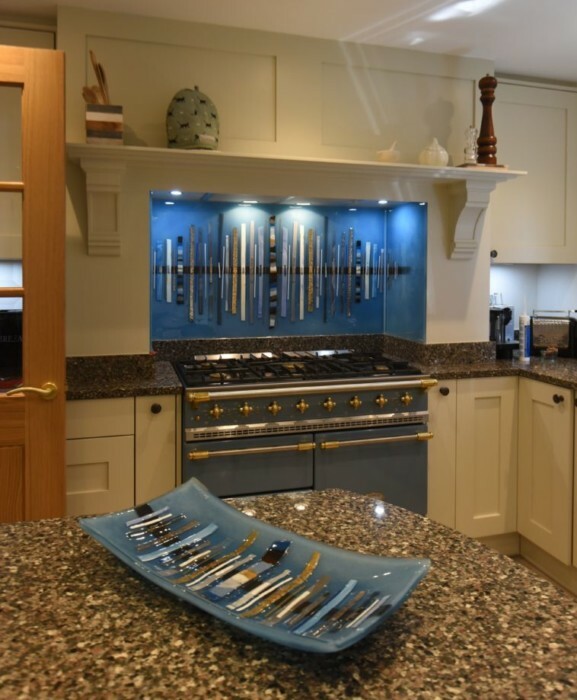 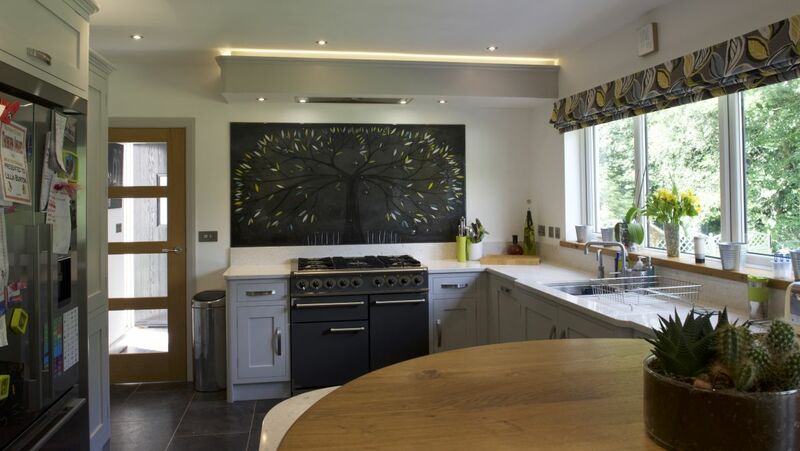 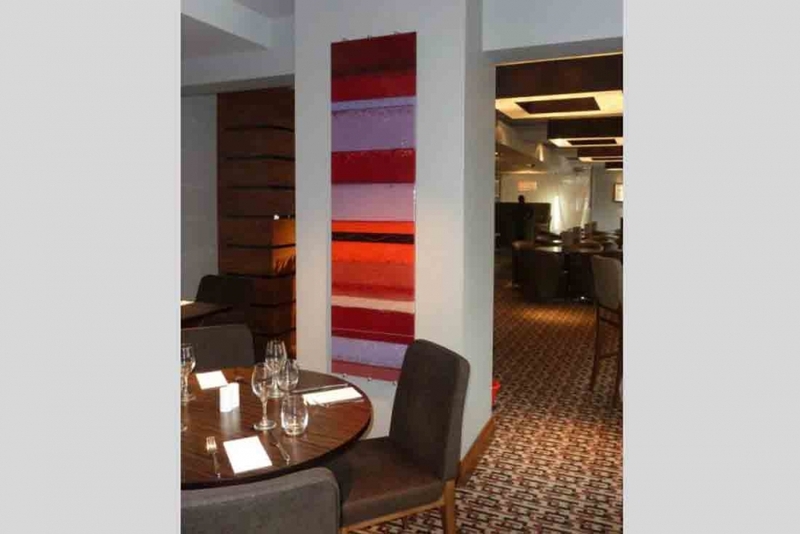 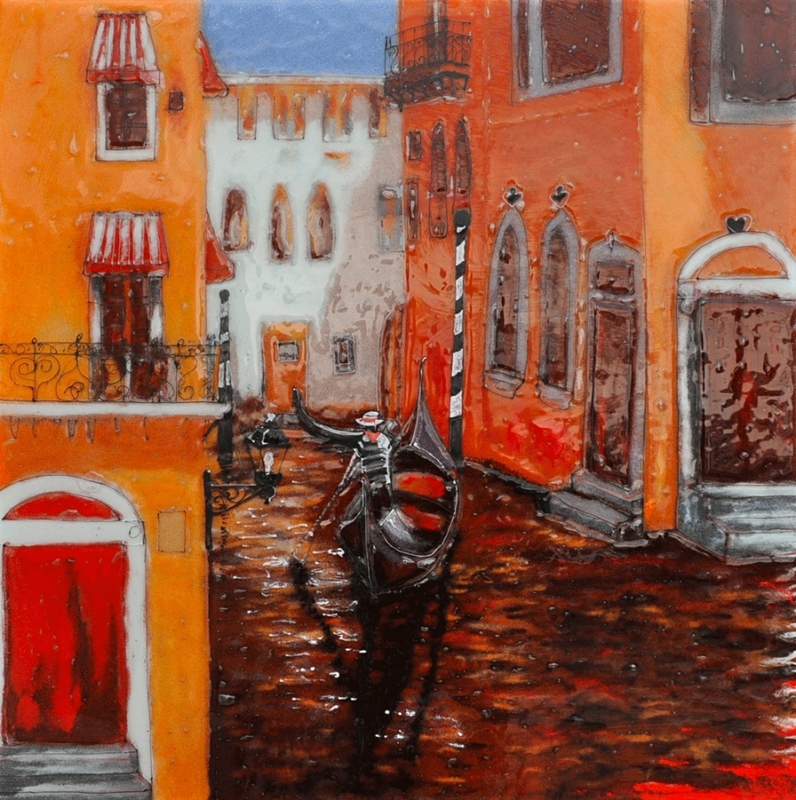 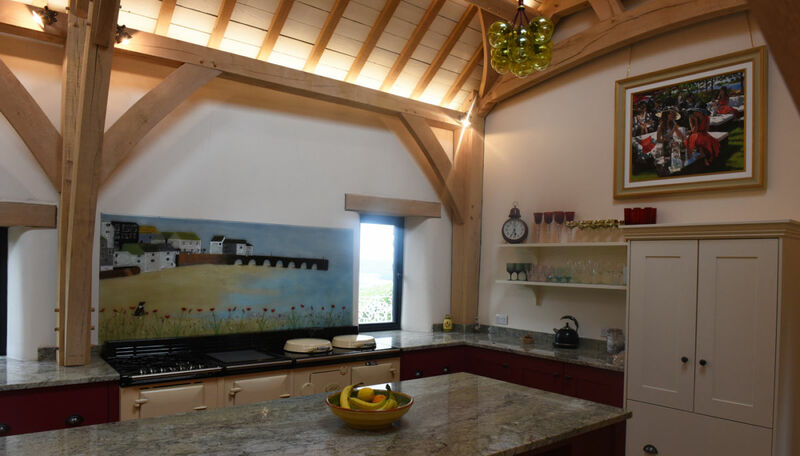 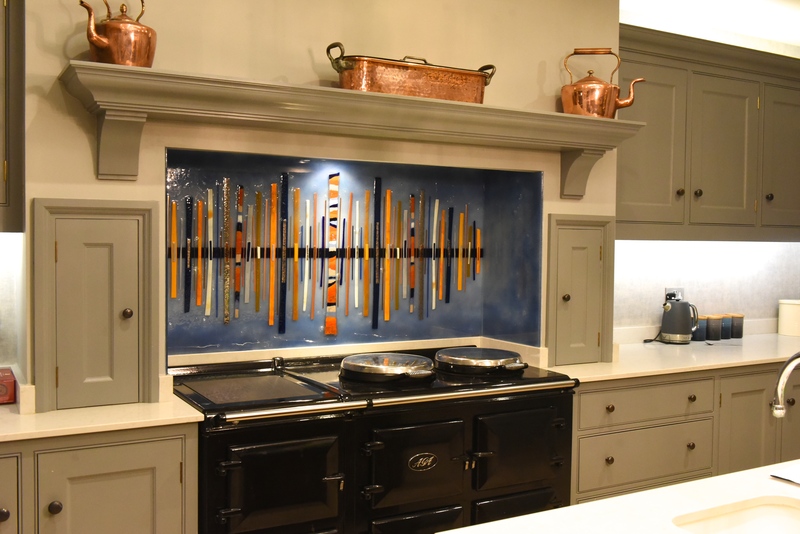 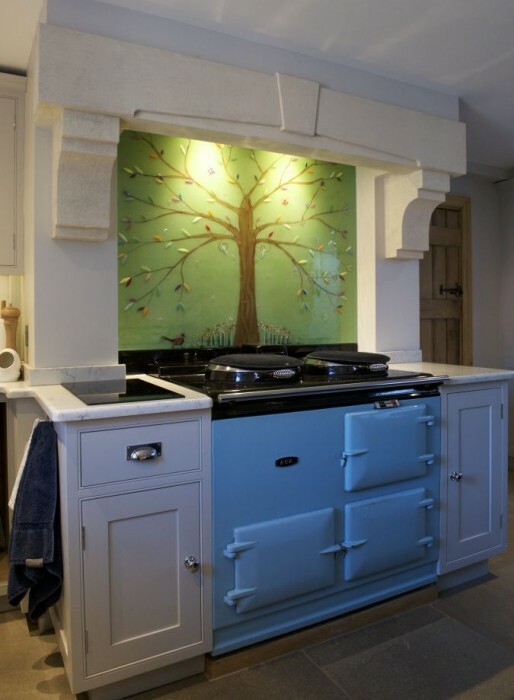 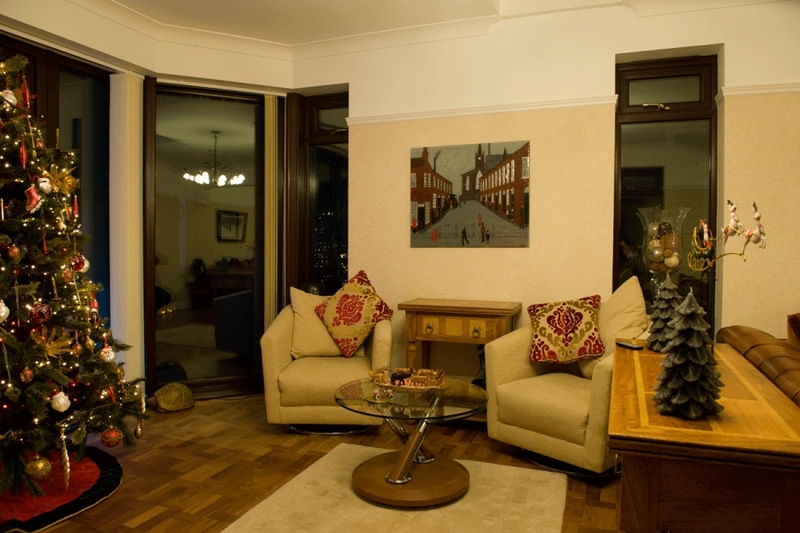 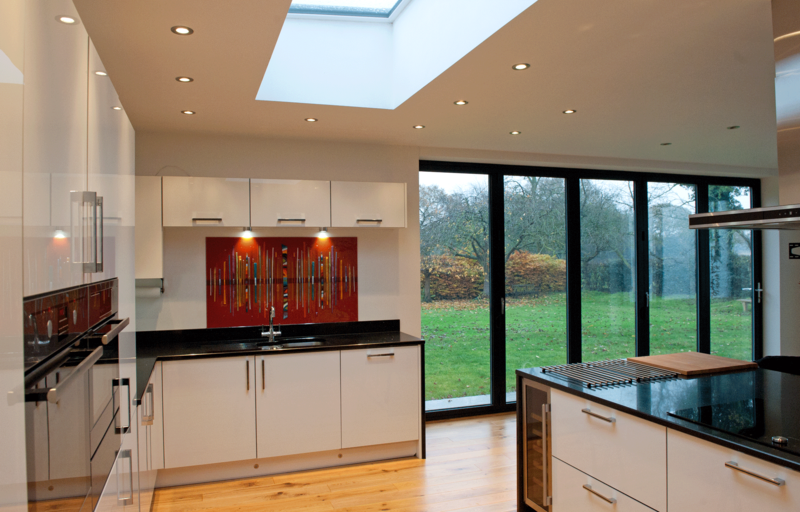 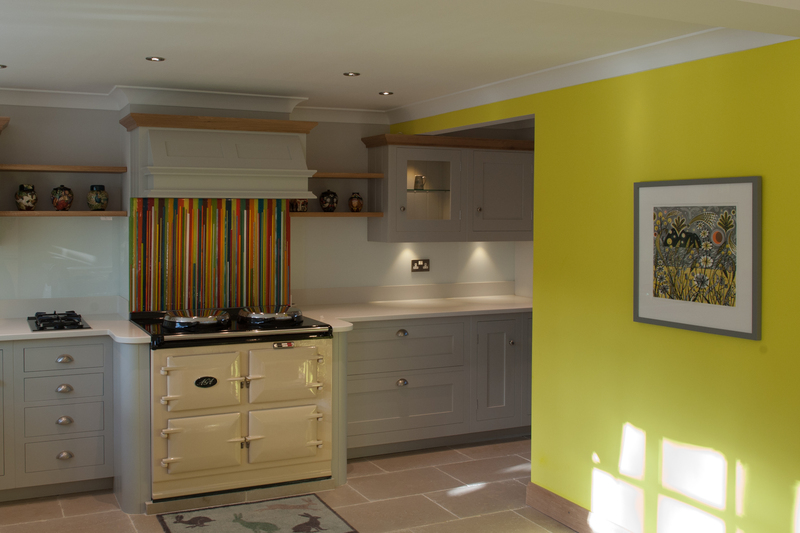 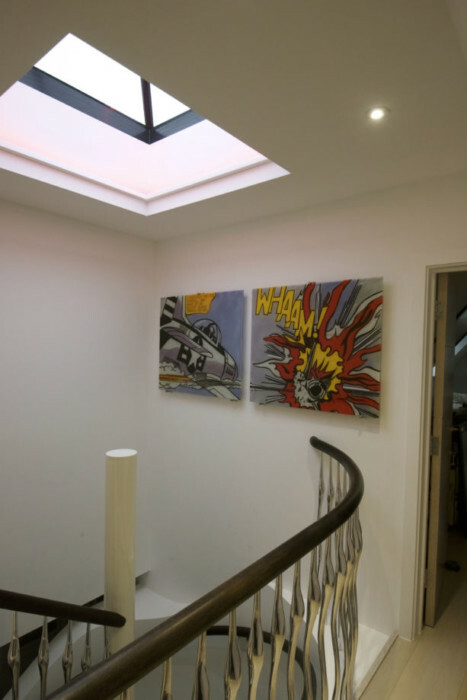 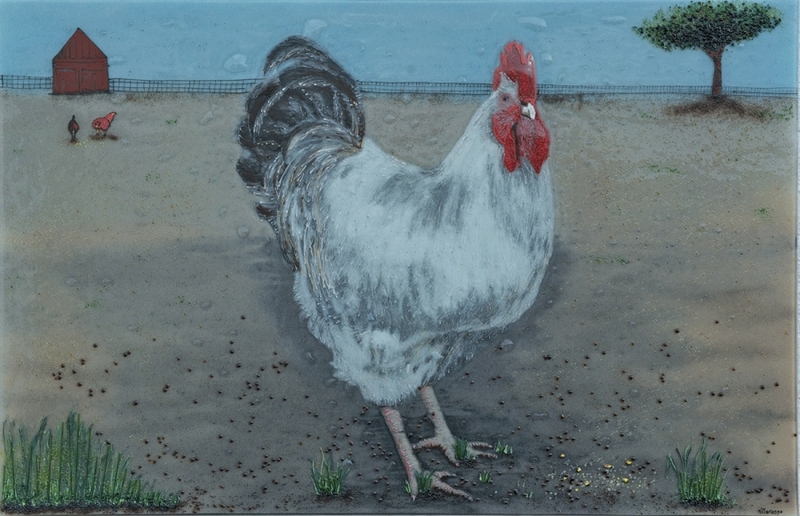 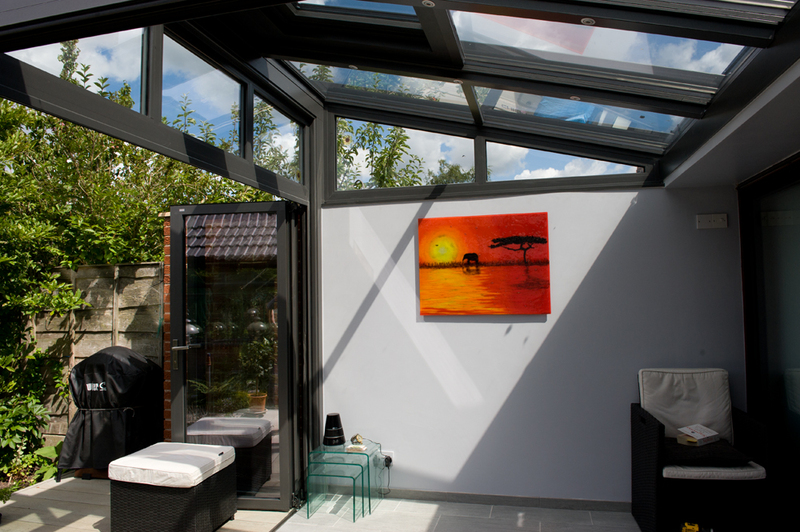 As a very special centrepiece in the home, we’re sure that guests of all kinds are sure to be amazed when they see this piece sitting proudly behind the cooker.